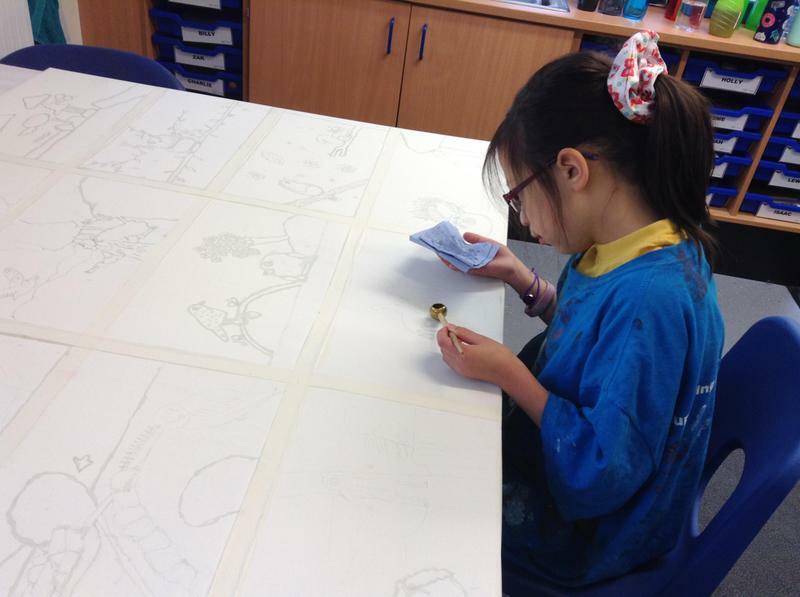 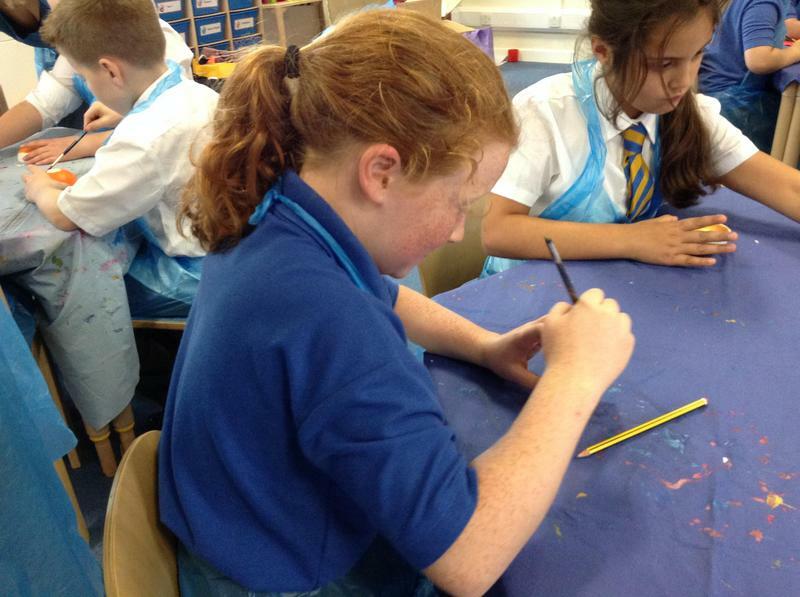 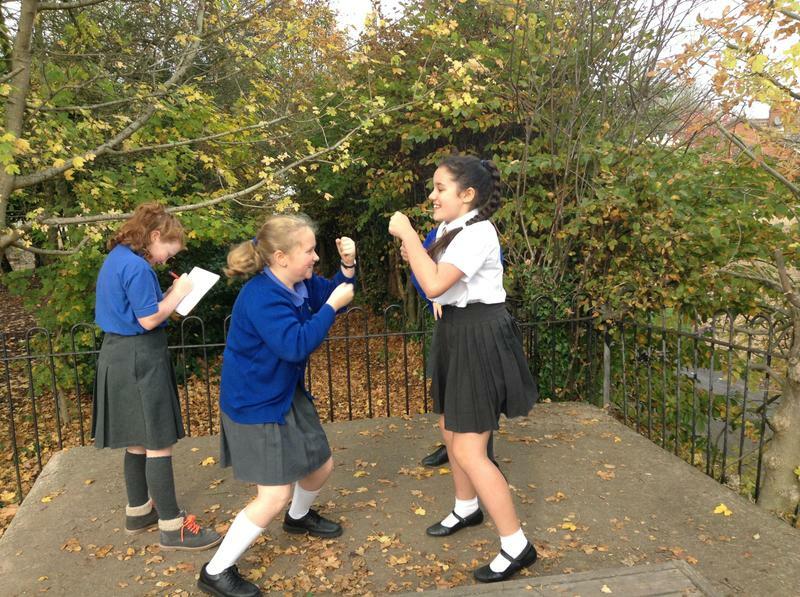 When starting our art project firstly we used view finders and recorded our observational drawings. 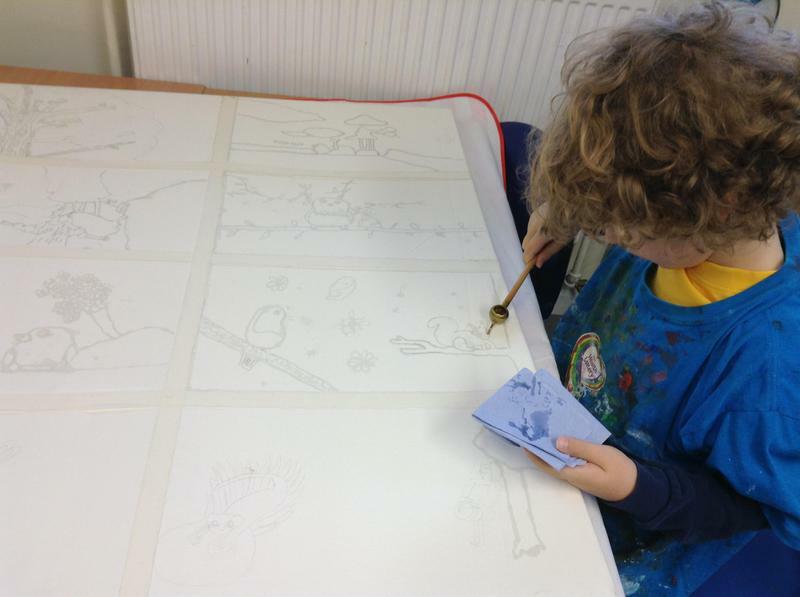 Next we looked at the illustrations using the Secret Garden as our inspiration. 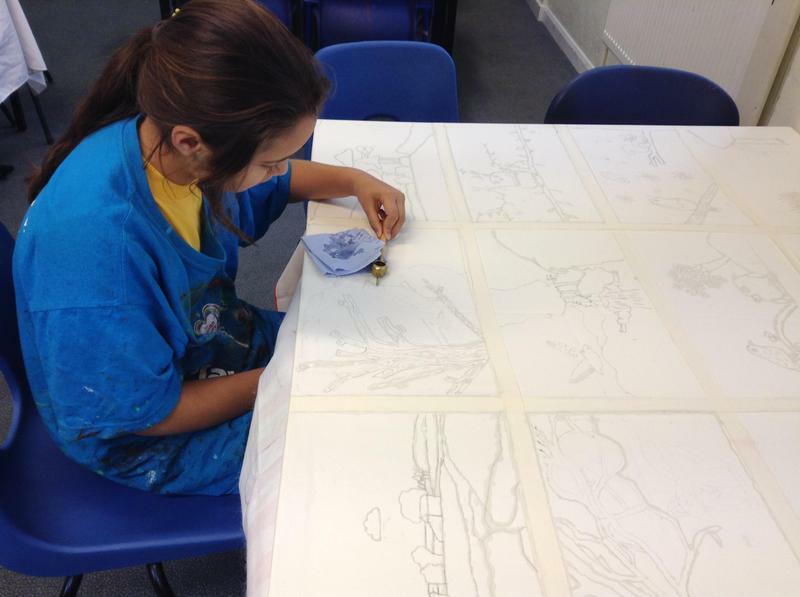 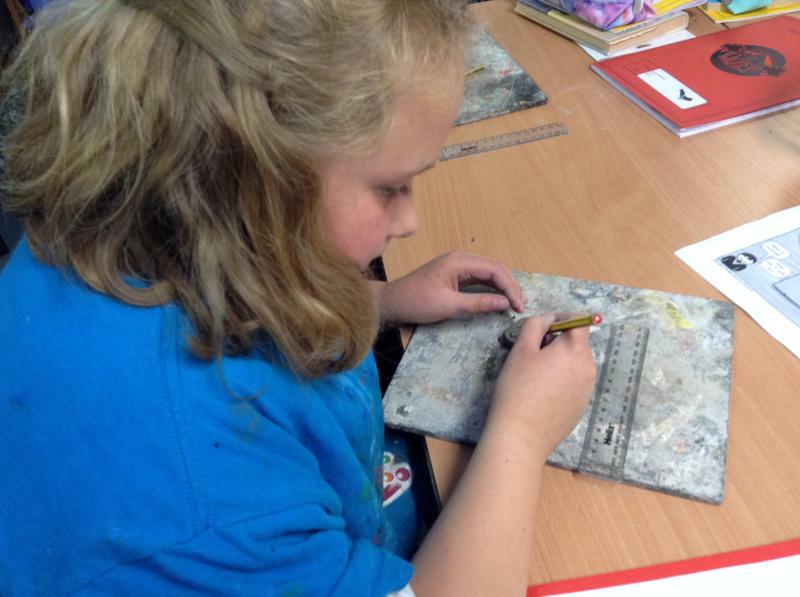 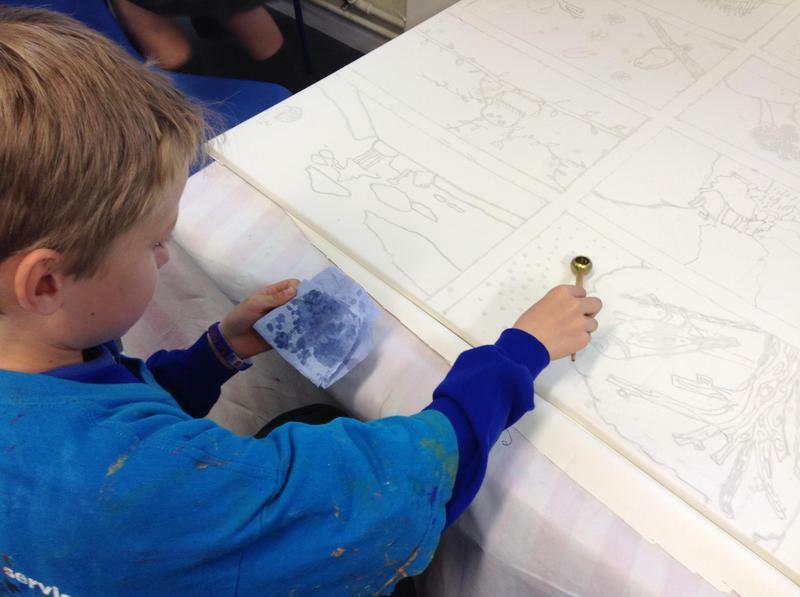 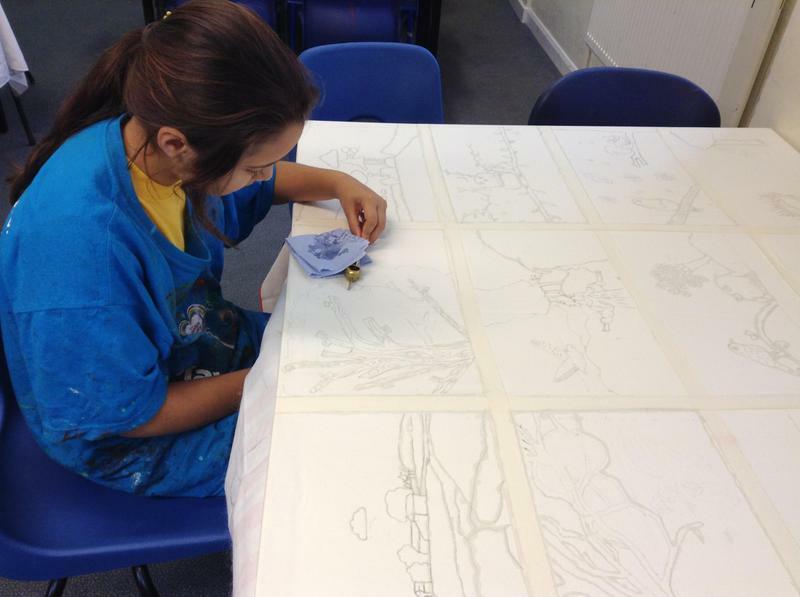 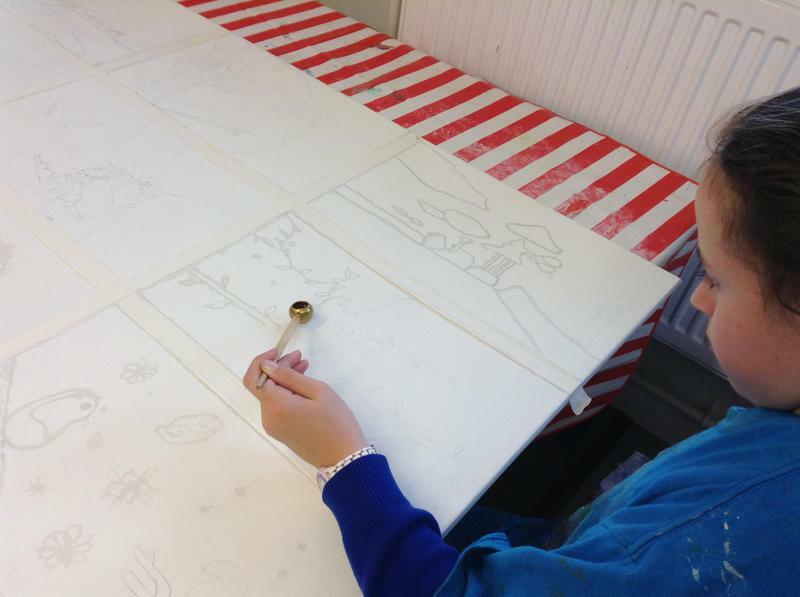 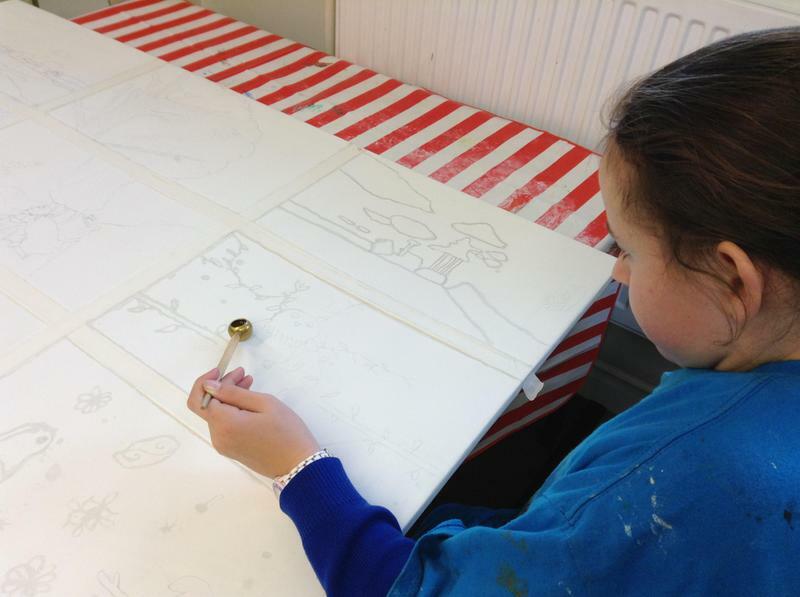 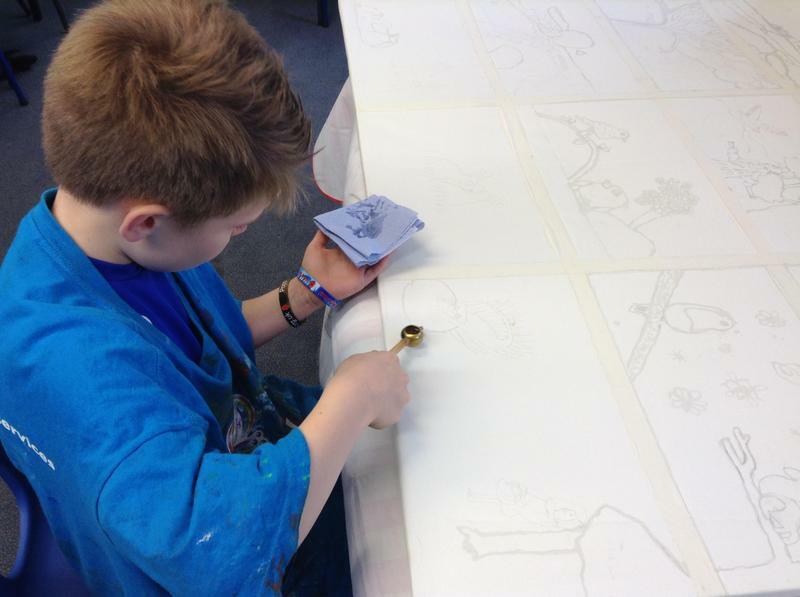 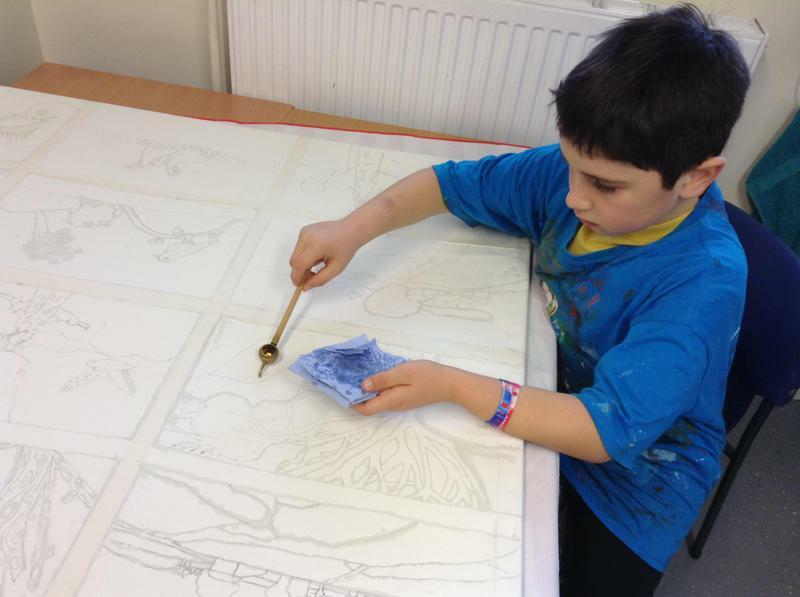 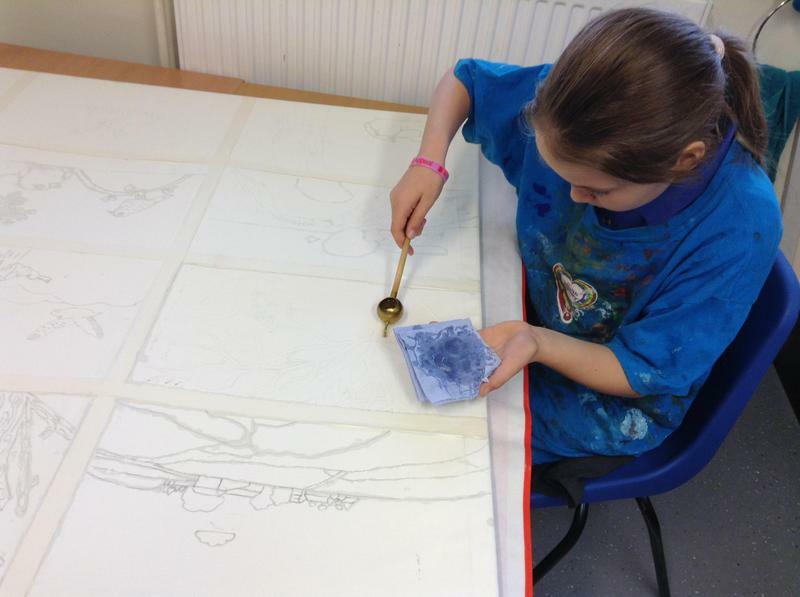 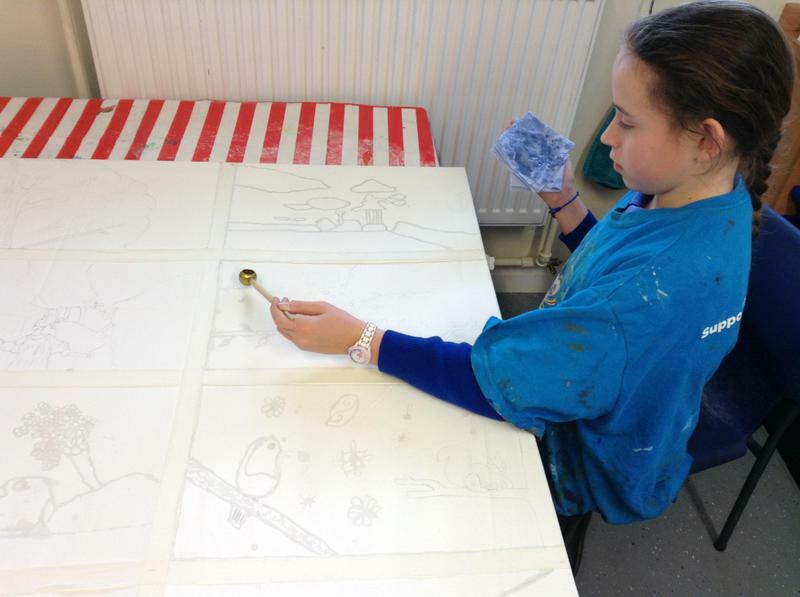 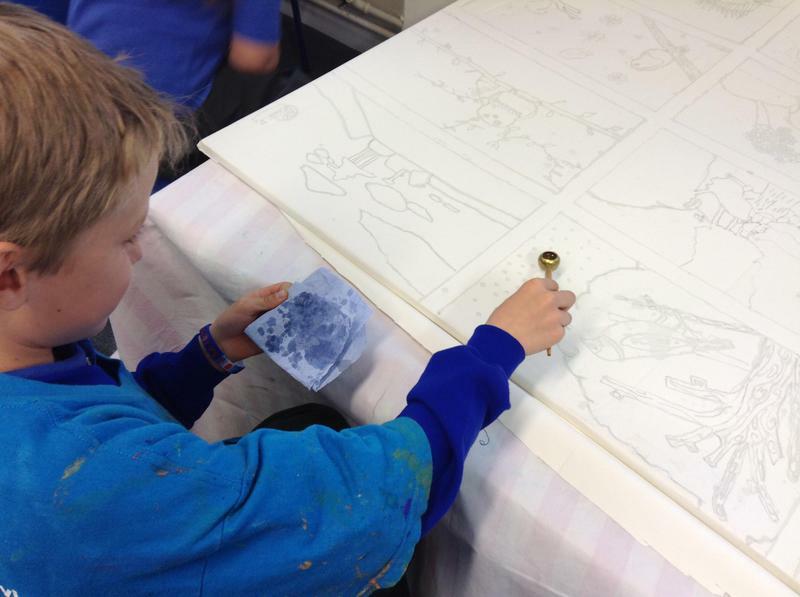 We then embellished our drawings and created and designed a collage using batik. 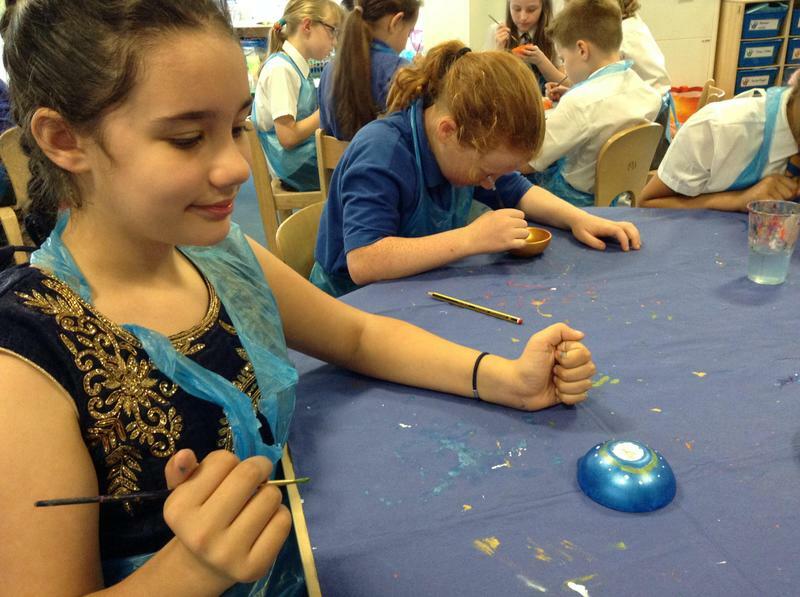 Batik is a technique of wax- resist dyeing applied to cloth. 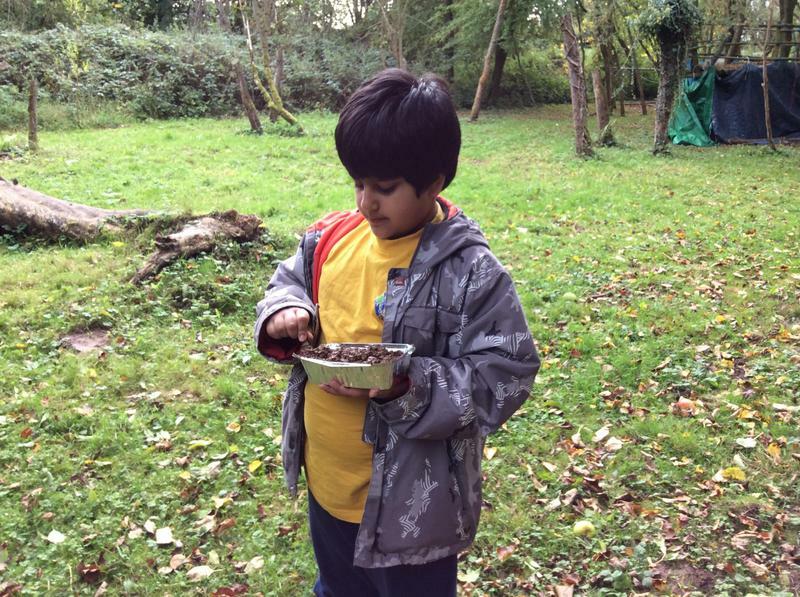 The landscape is typically British with a twist of India as this is where our story began. 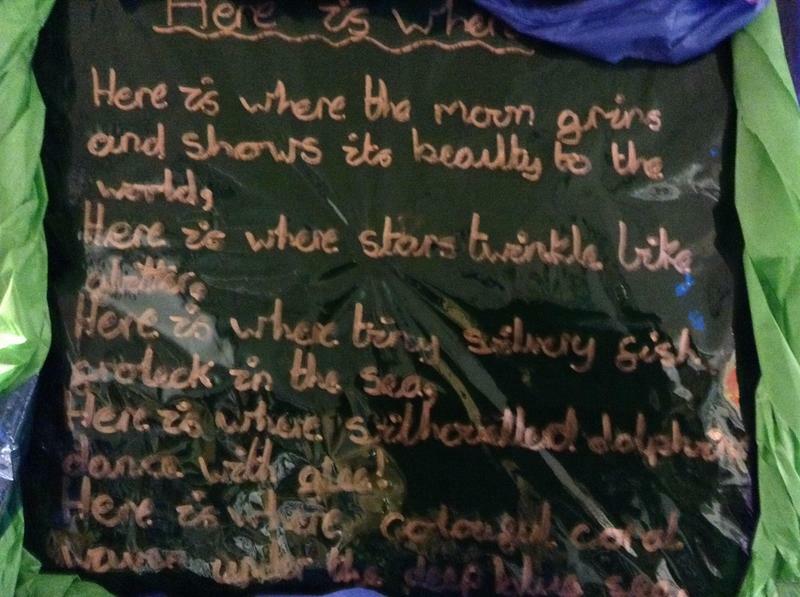 Today the children took their parents on an exciting journey to poetry land inspired by the book 'A Boy and a Bear in a Boat'. 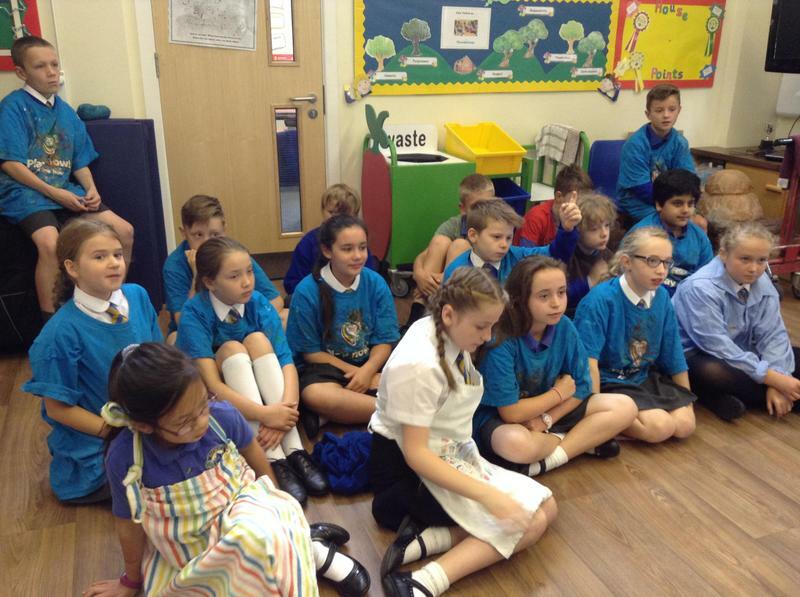 They read their amazing poetry and then read some of their narrative writing also inspired by the same book. 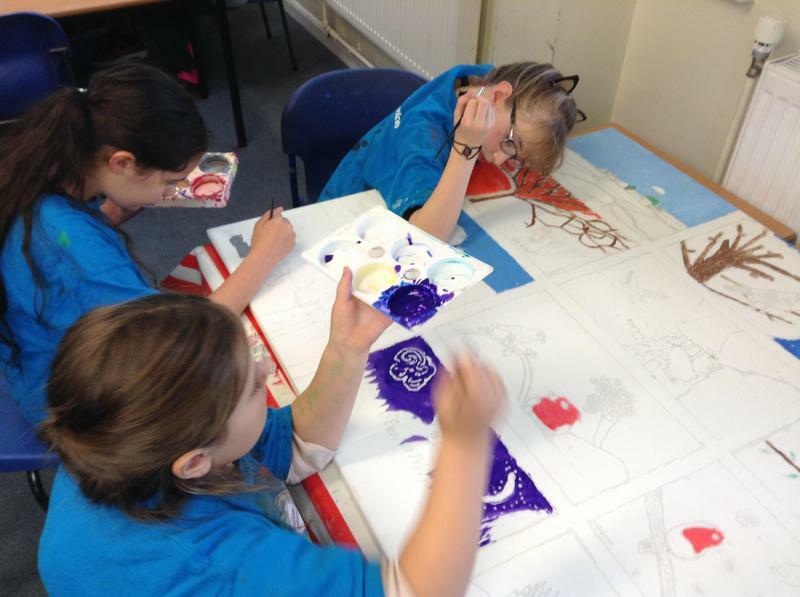 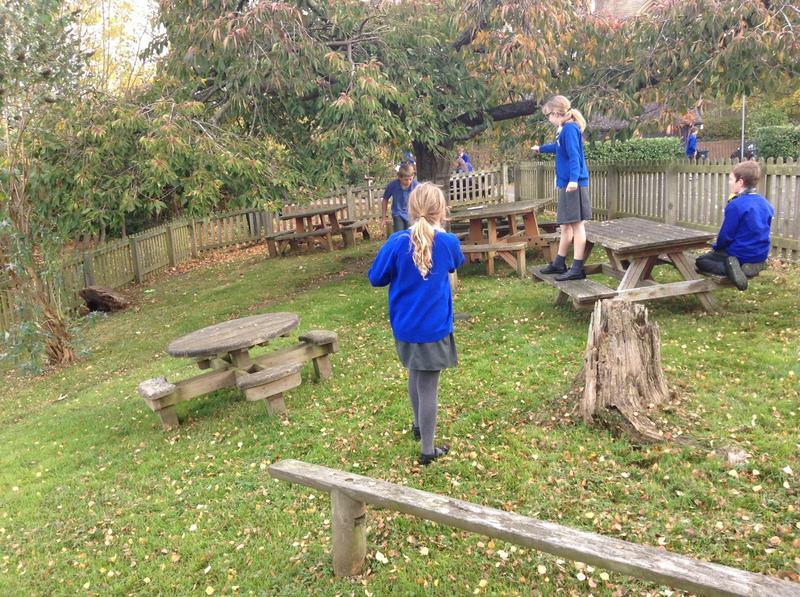 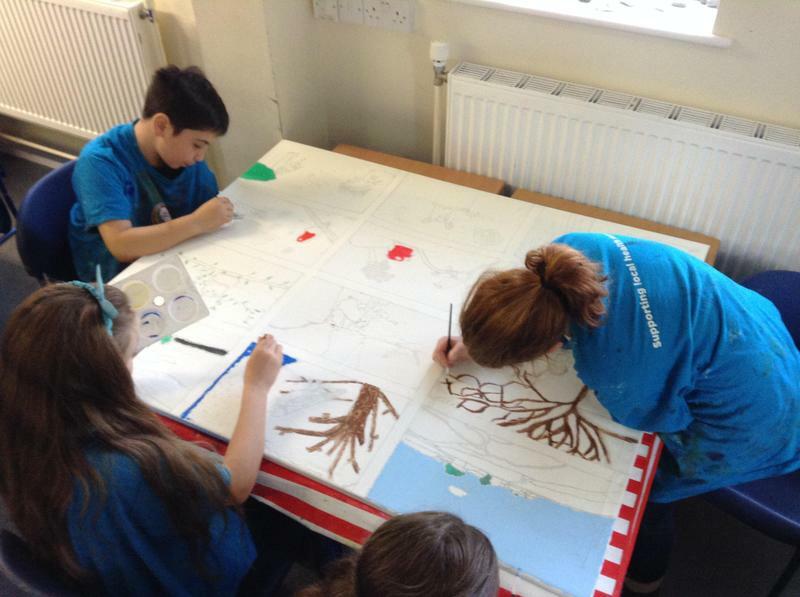 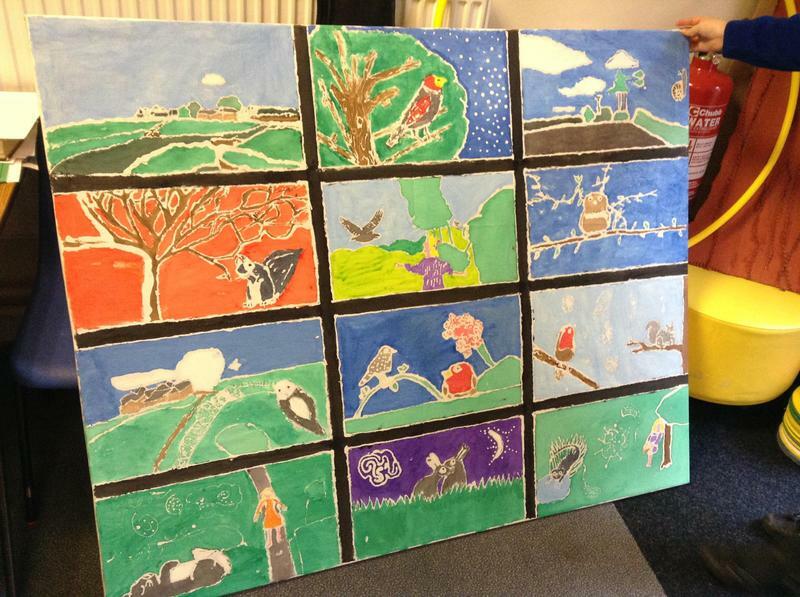 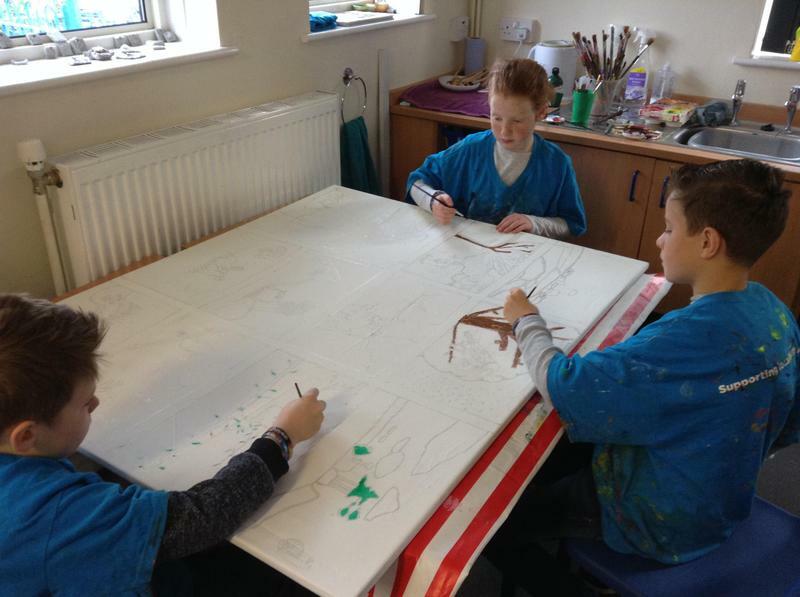 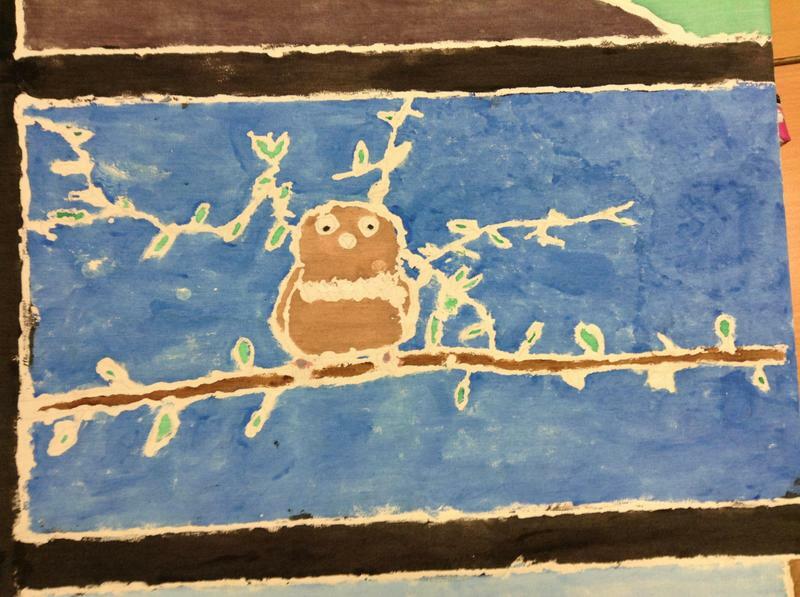 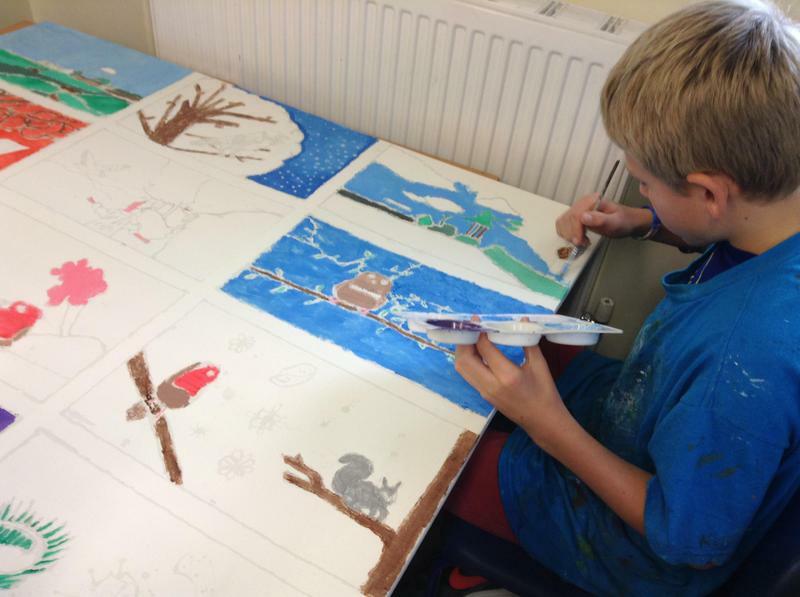 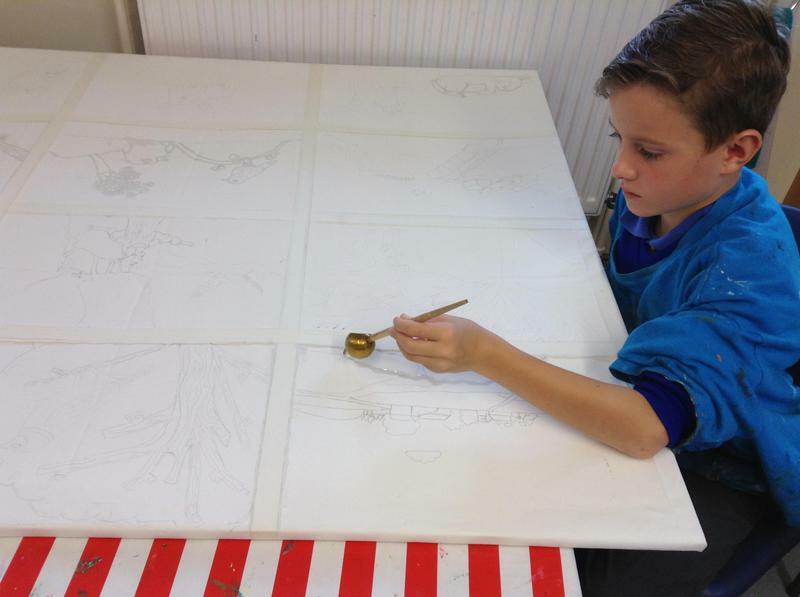 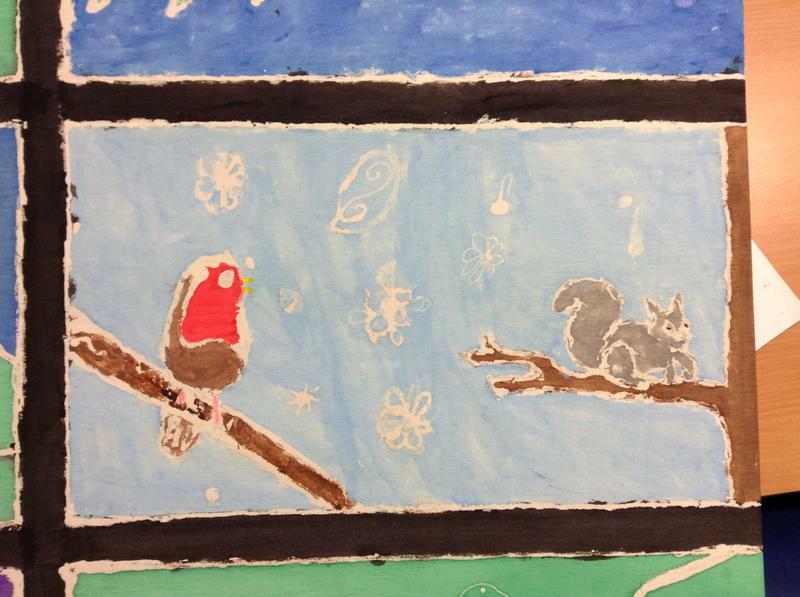 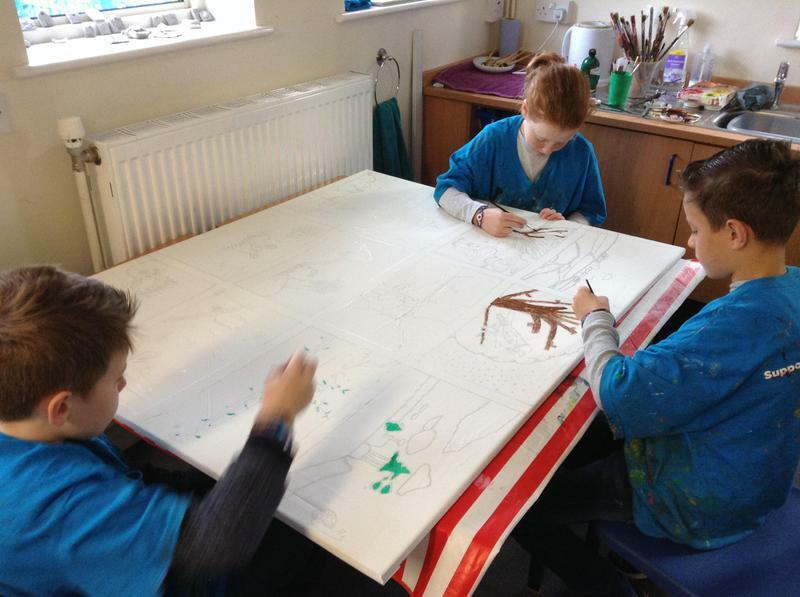 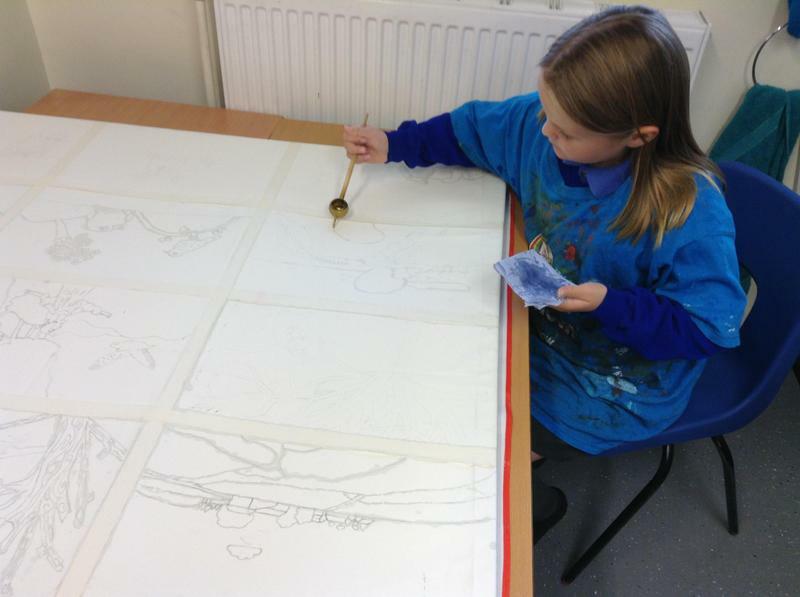 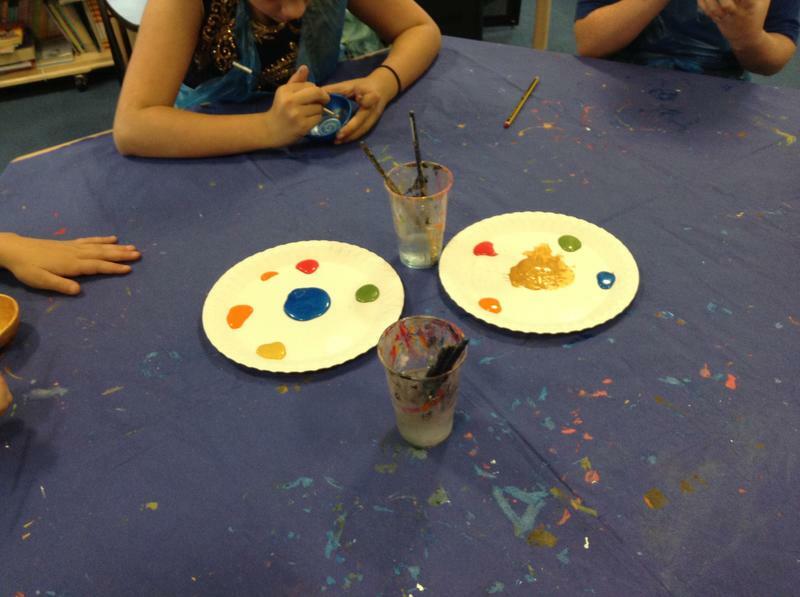 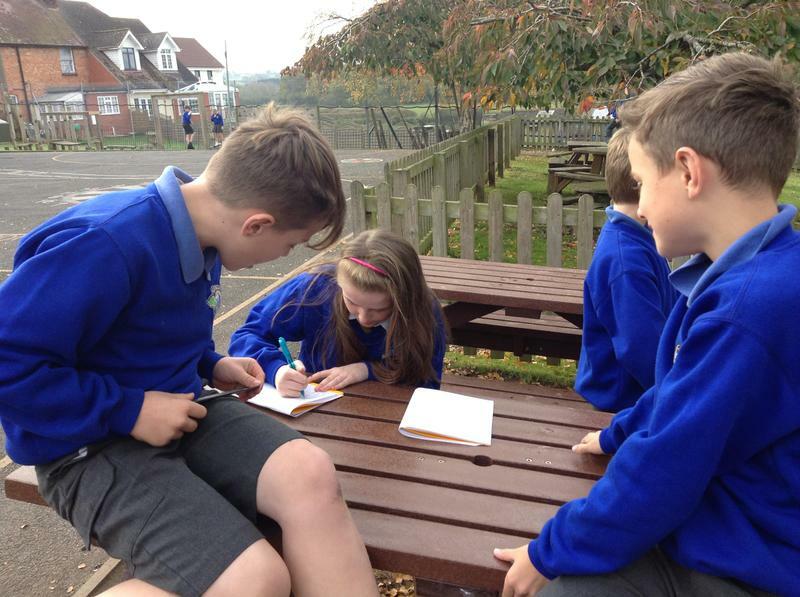 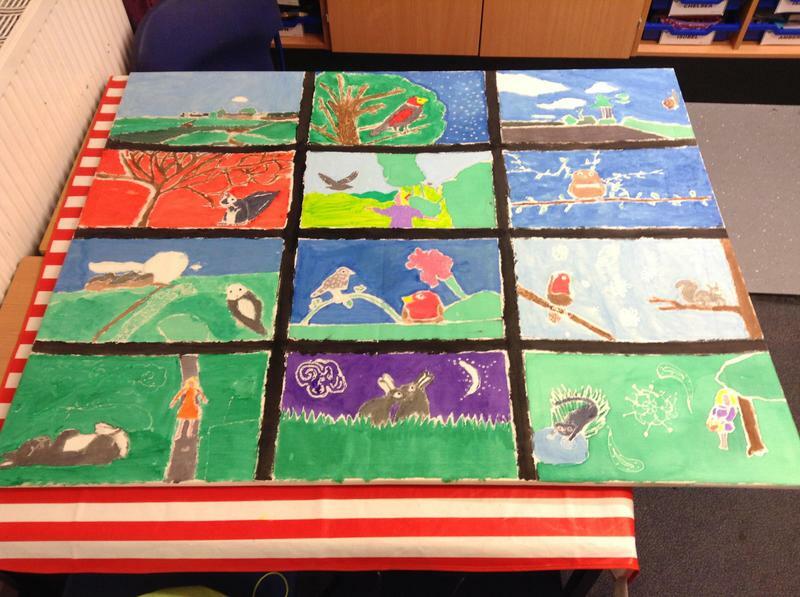 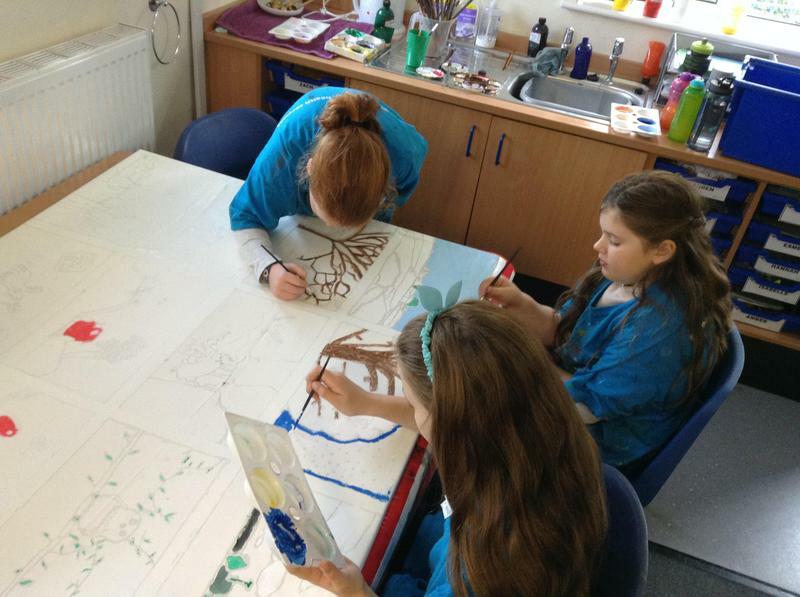 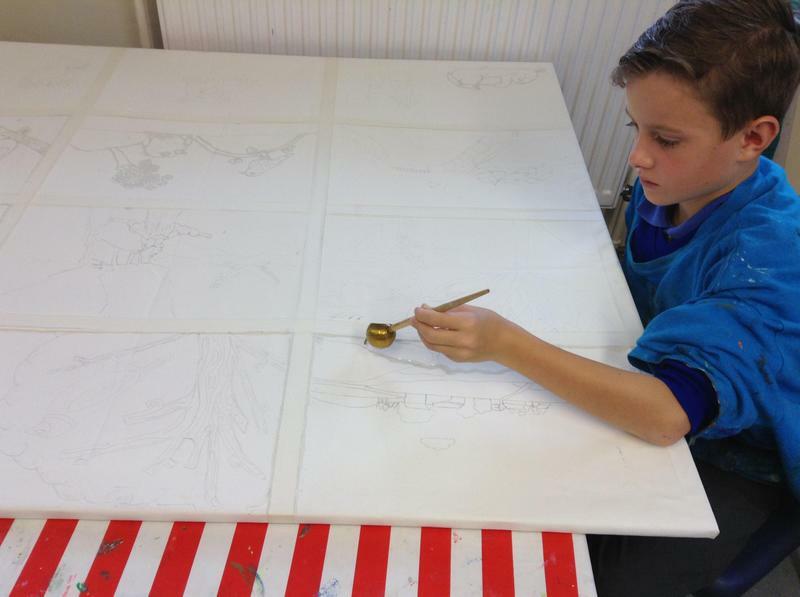 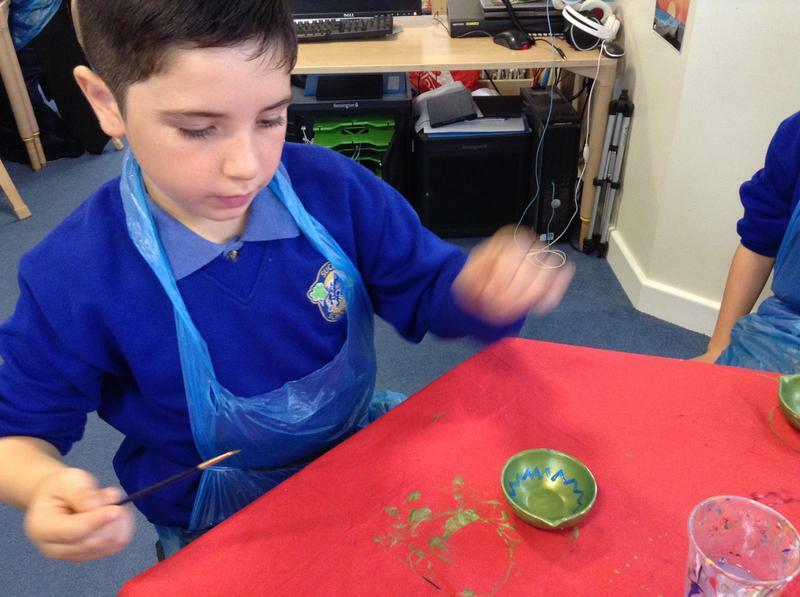 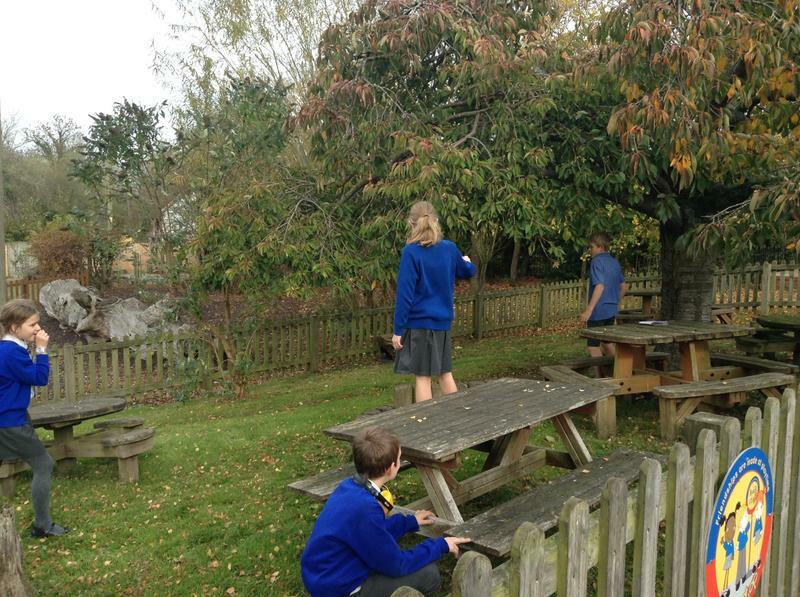 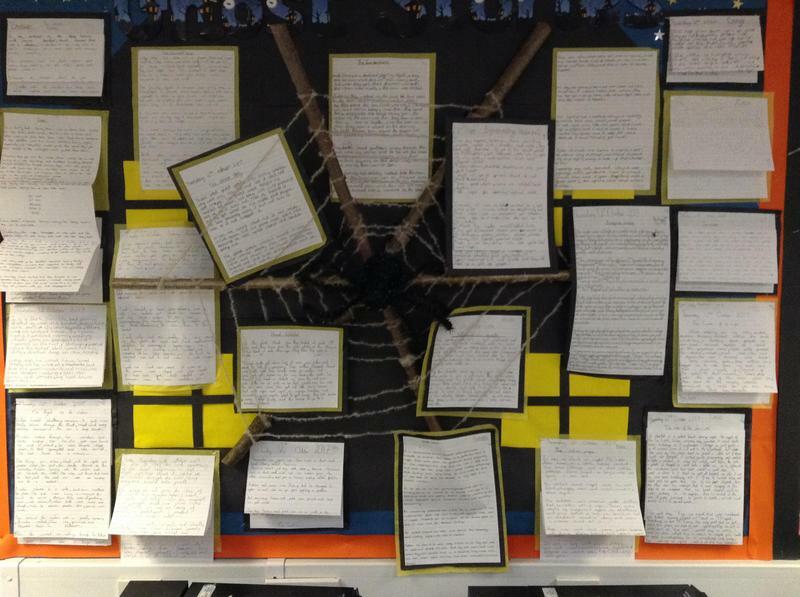 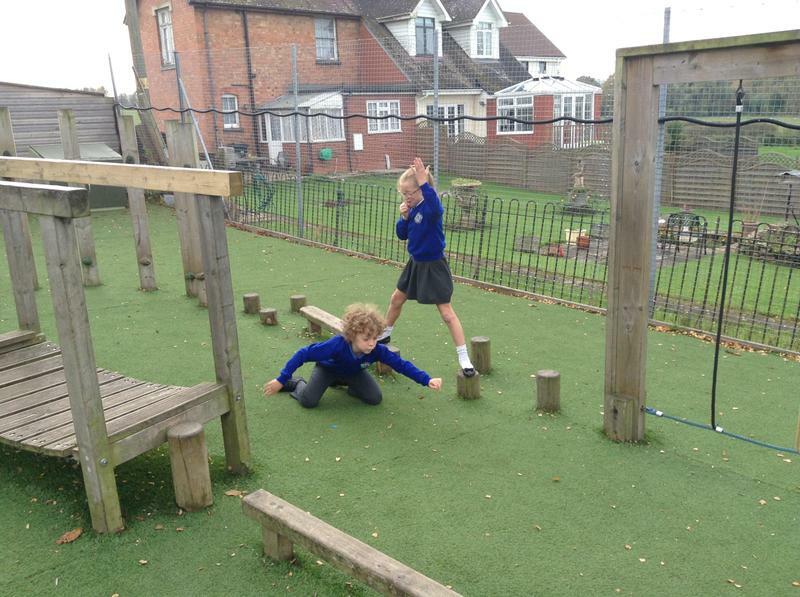 The children then talked about The Secret Garden by Frances Hodgson Burnett, which inspired their art work above. 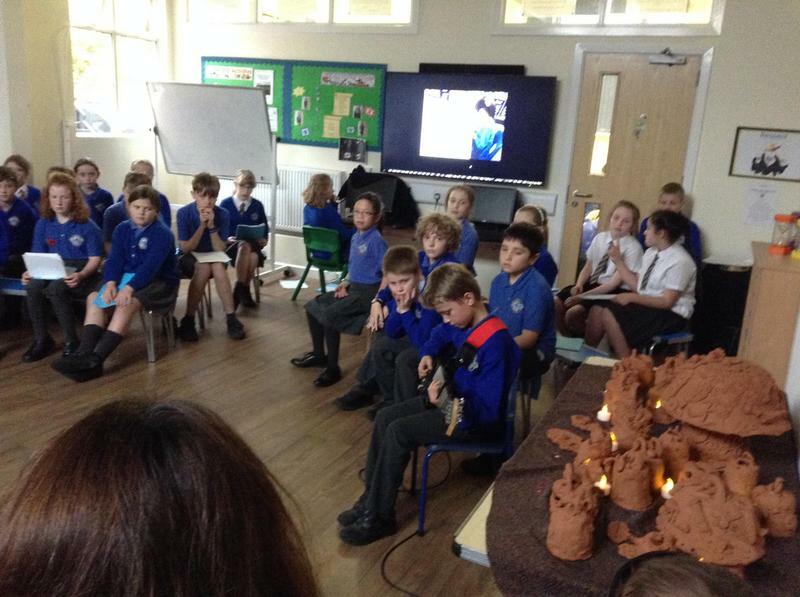 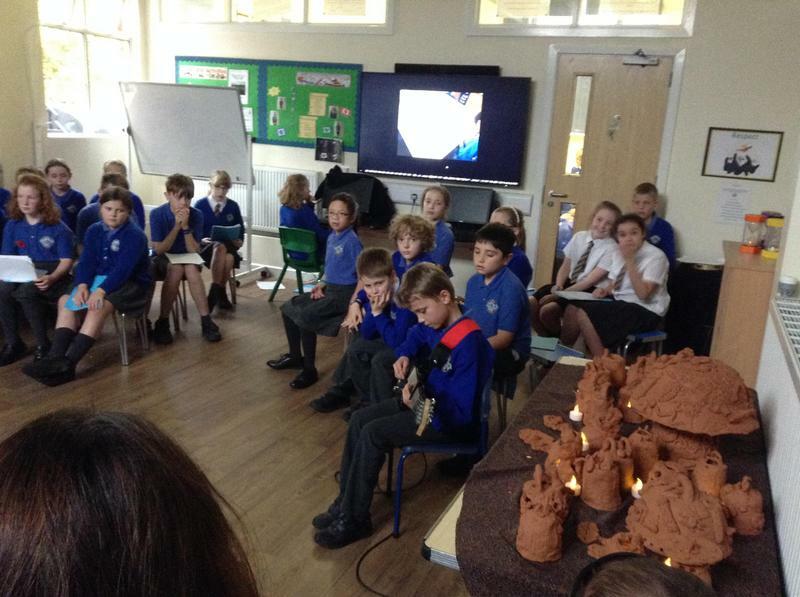 Jake and Sophie played the guitar and violin brilliantly . 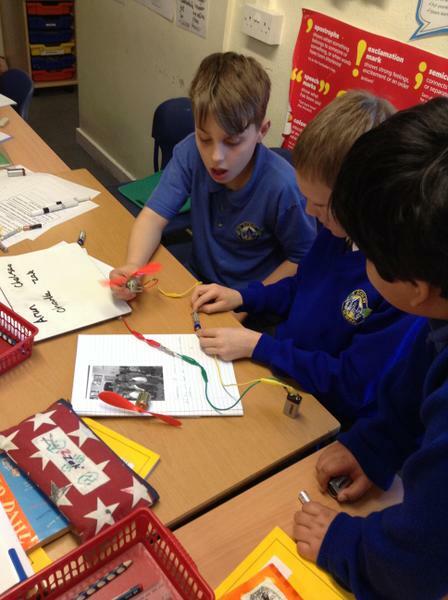 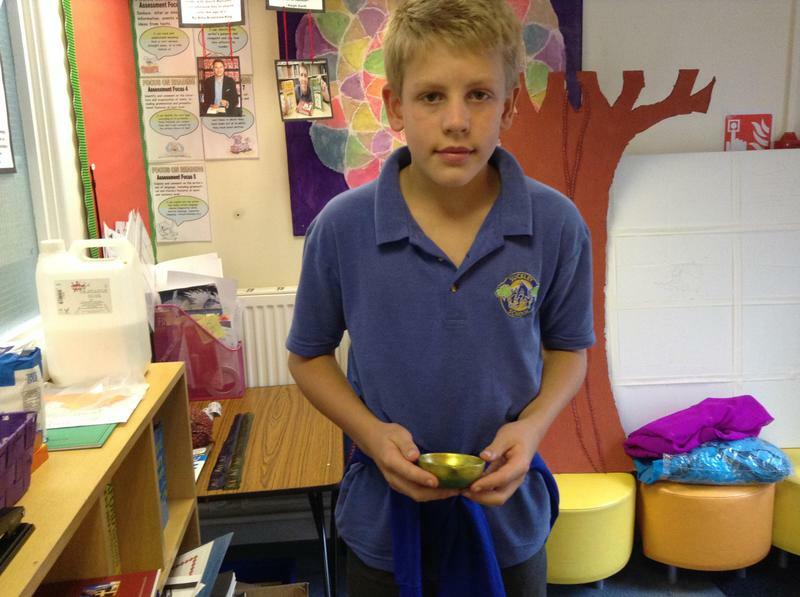 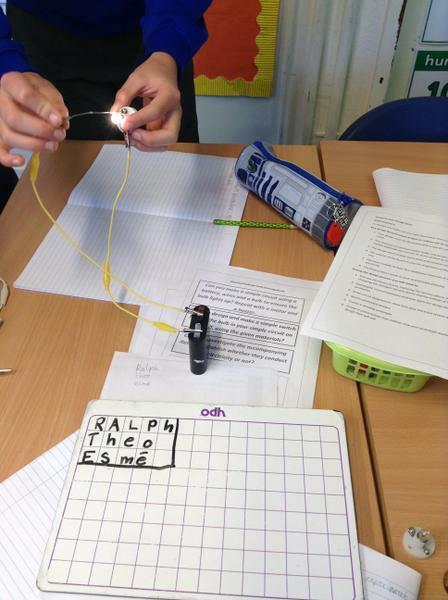 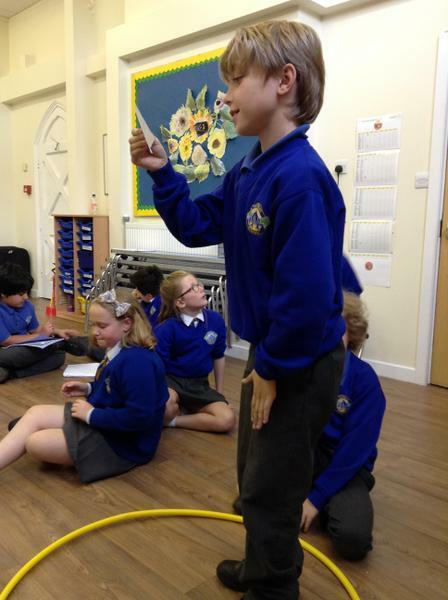 .... Ralph then delivered a power-point looking in detail at the Indus Valley civilisation. 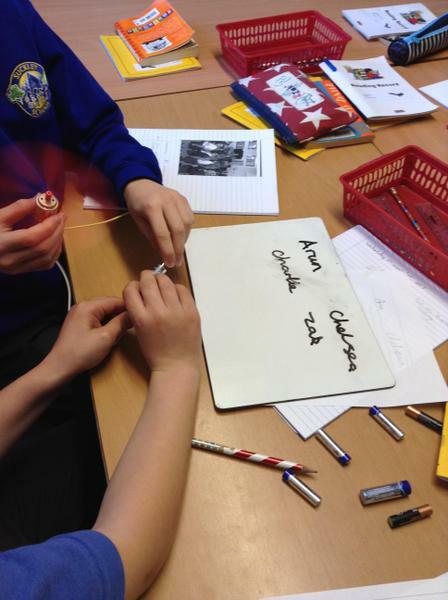 Billy then put the children to task and set them a quiz. 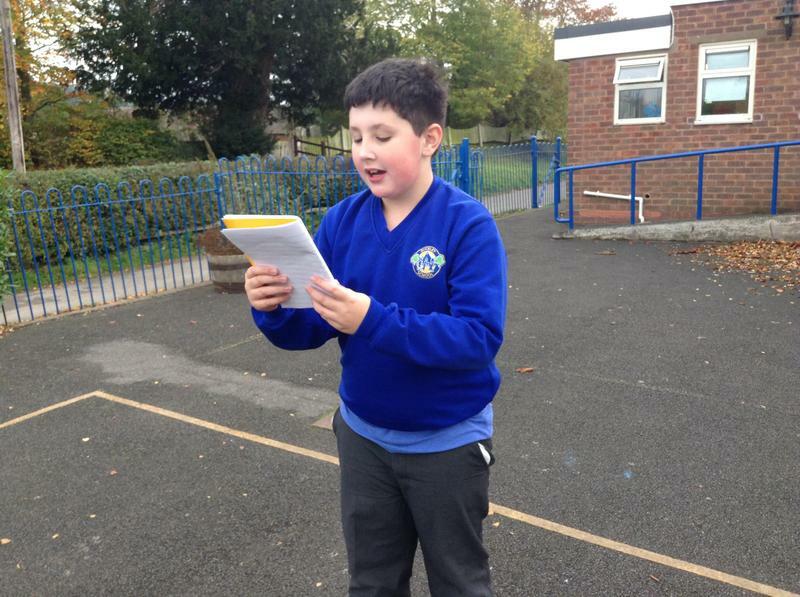 I think you will all agree what a fantastic quiz master! 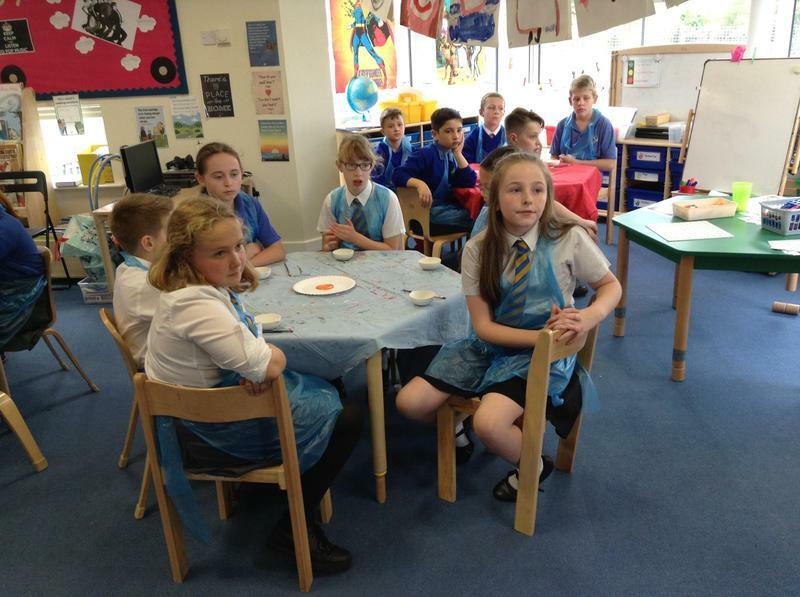 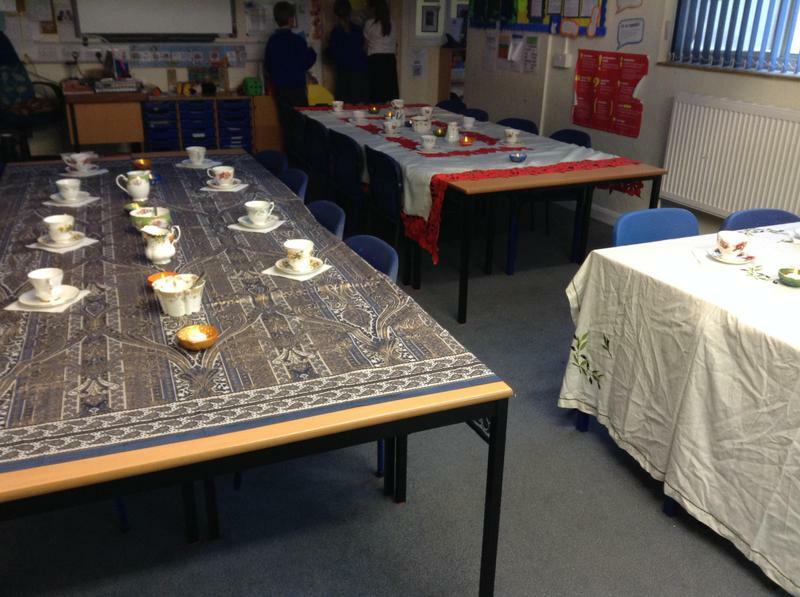 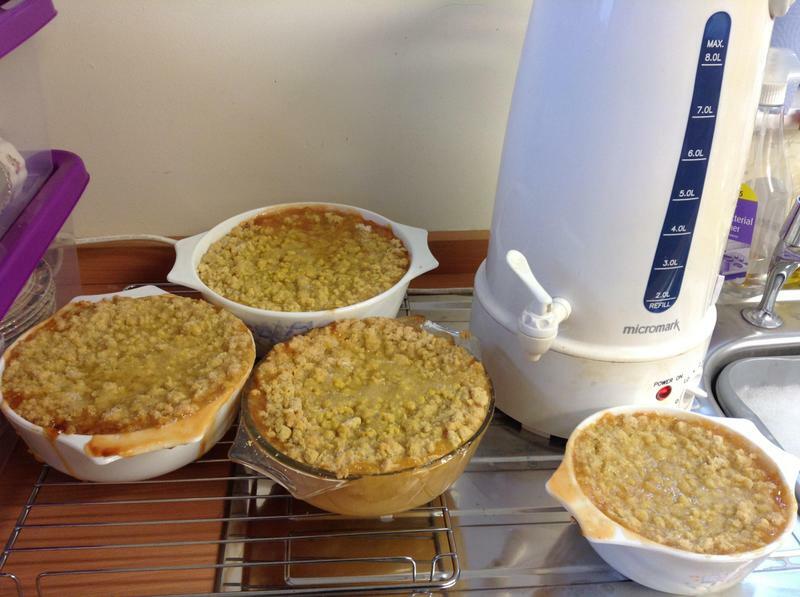 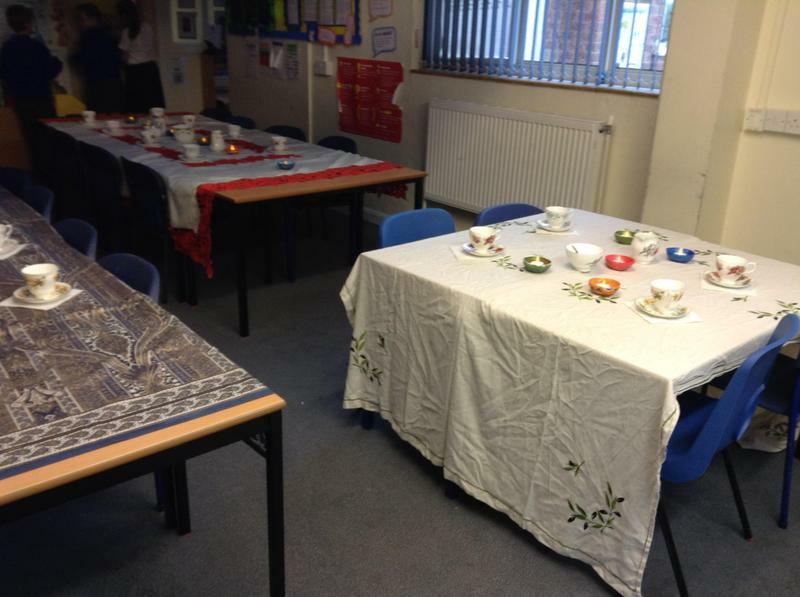 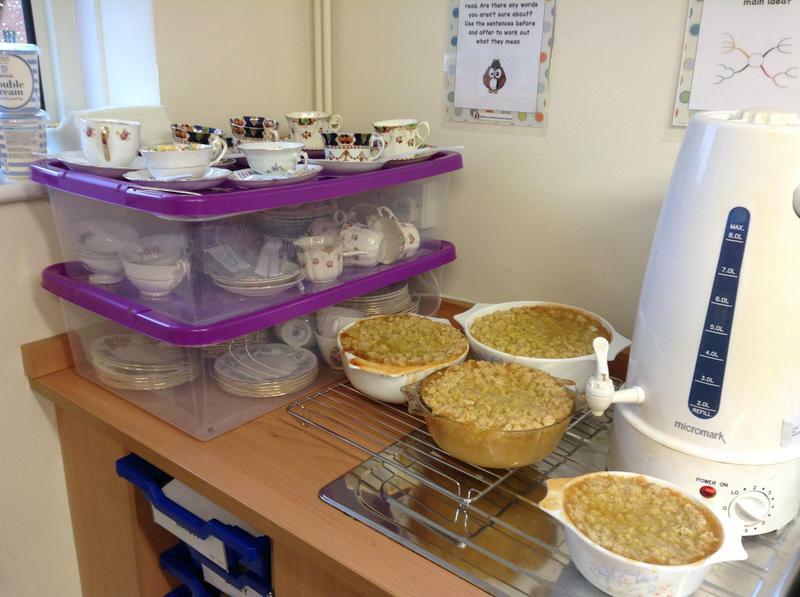 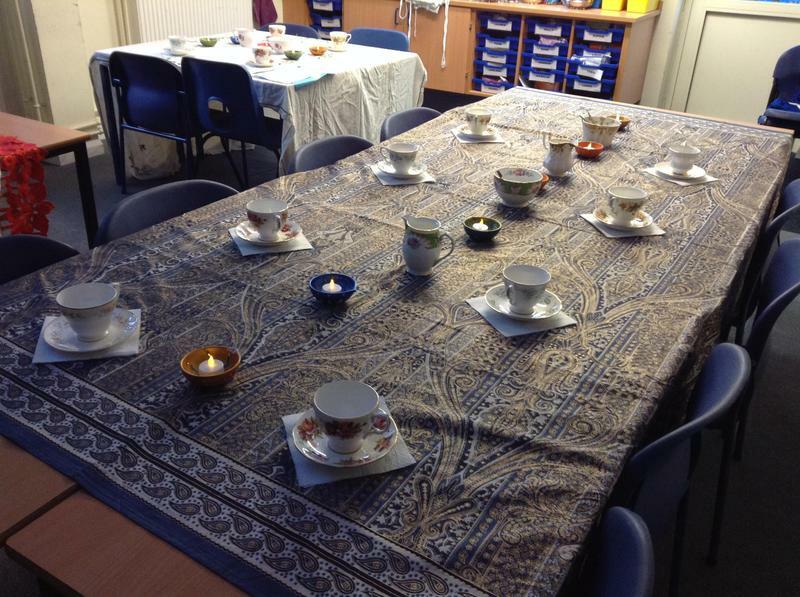 The day was completed with afternoon apple crumble and tea baked by the children. 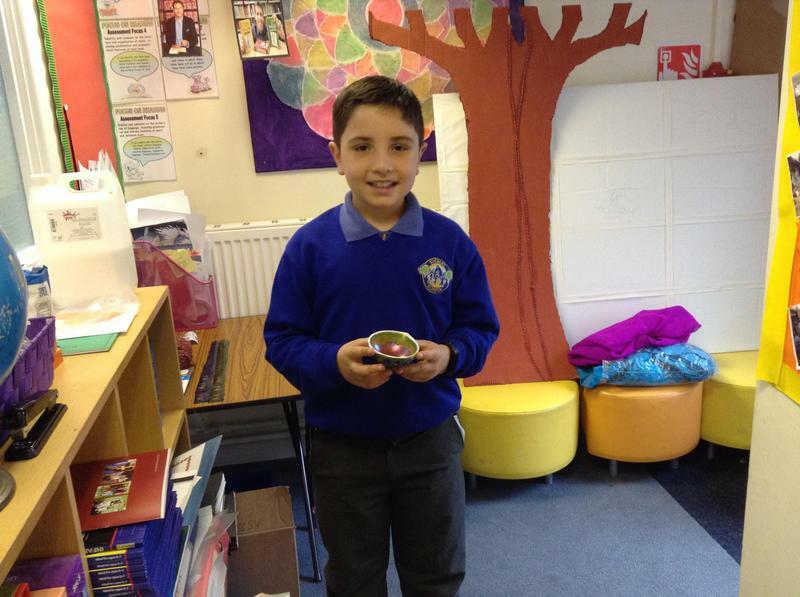 A huge thank you to parents and grand parents relatives and friends for all your support and praise. 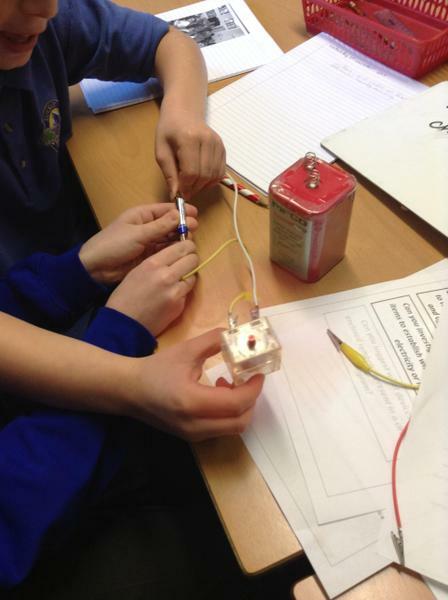 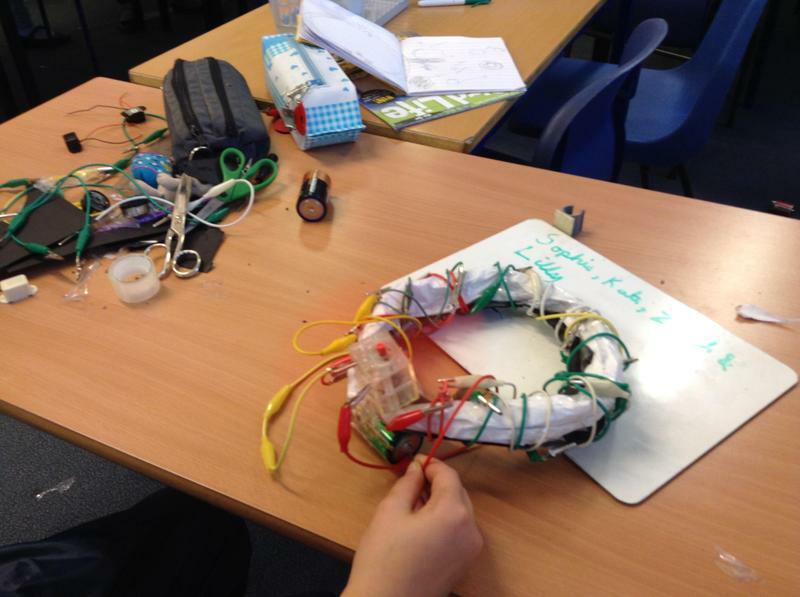 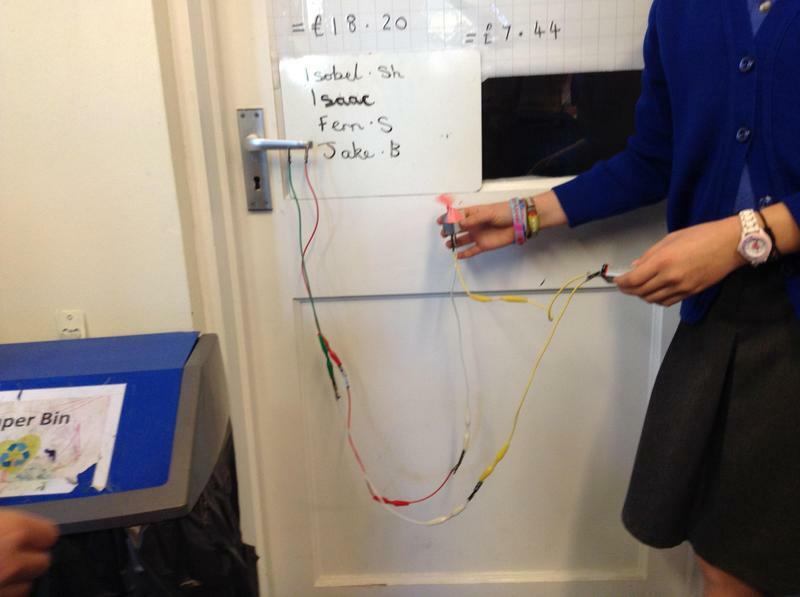 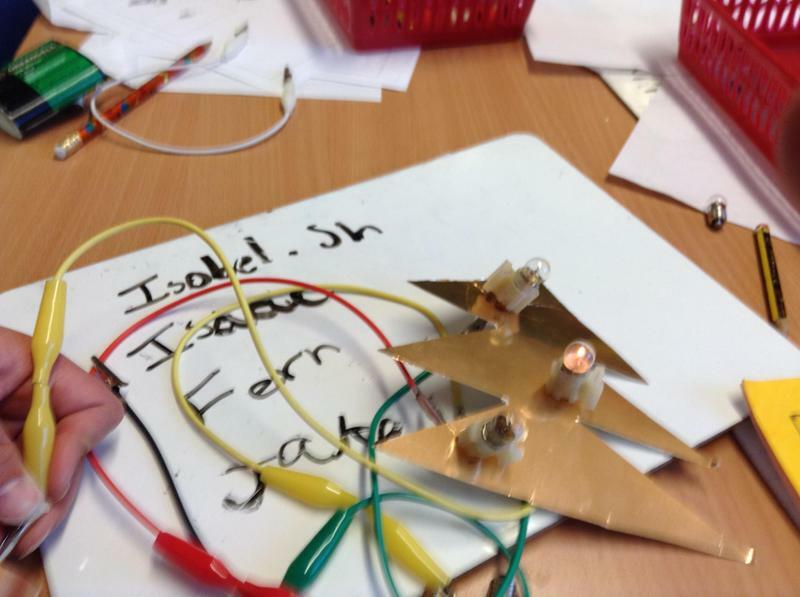 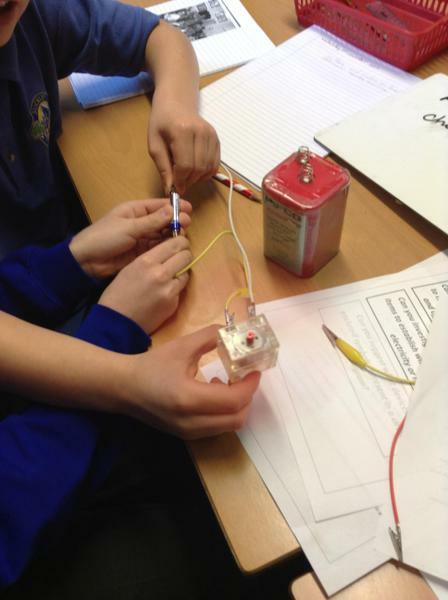 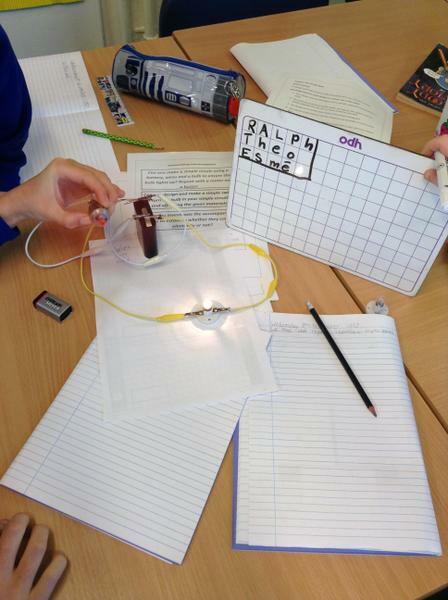 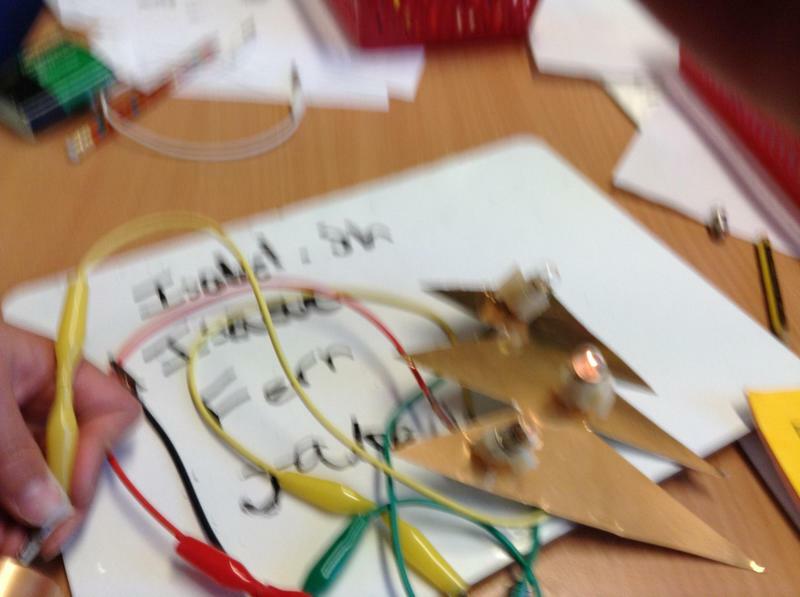 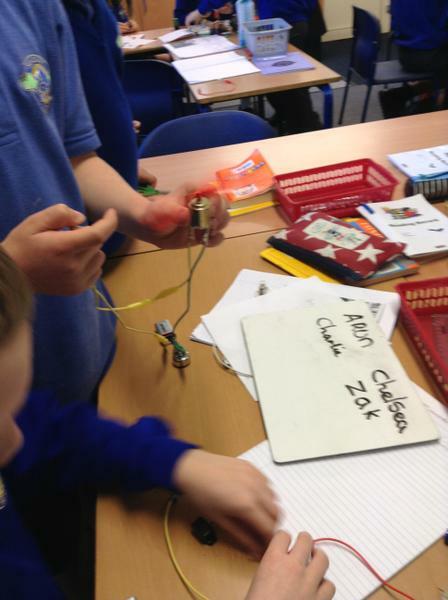 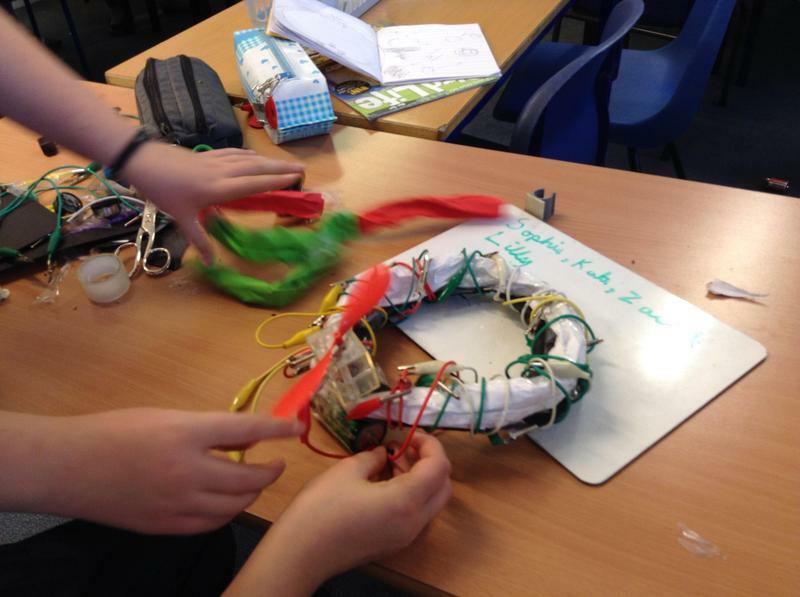 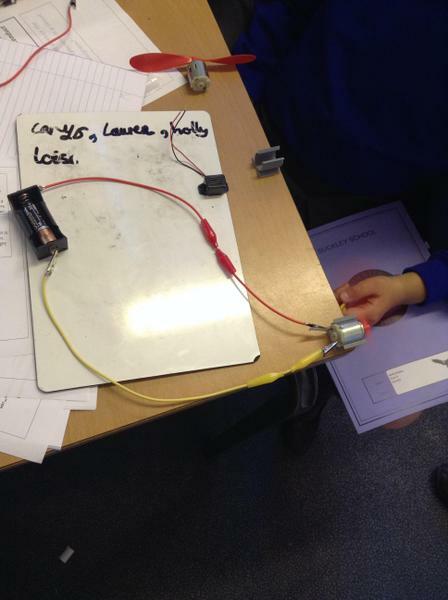 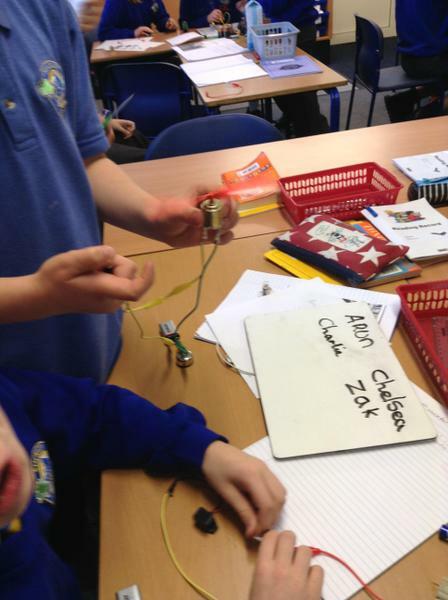 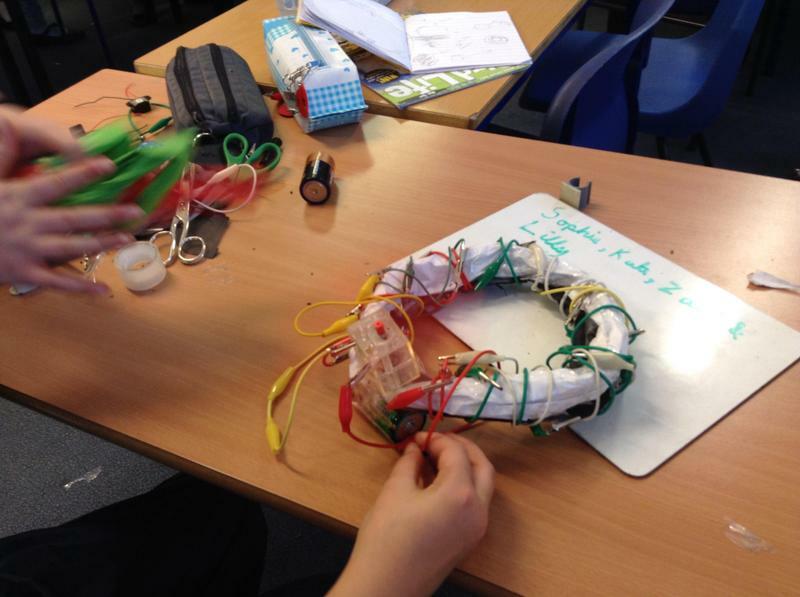 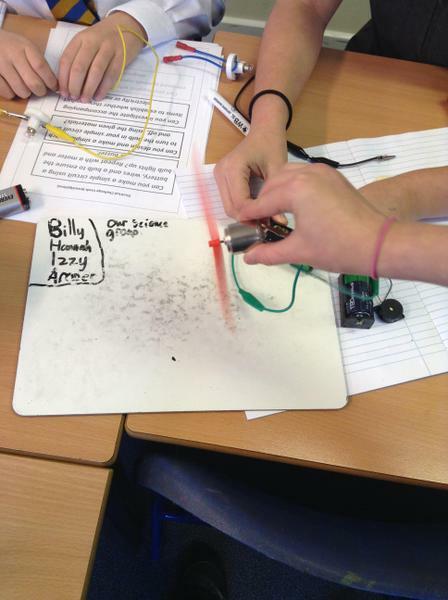 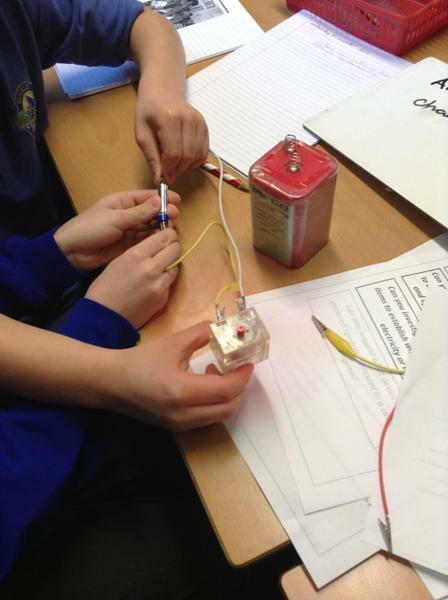 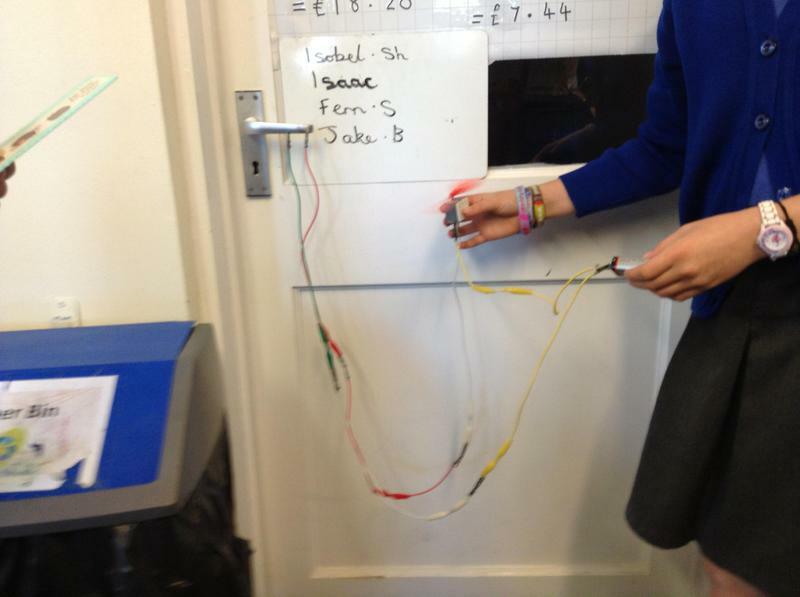 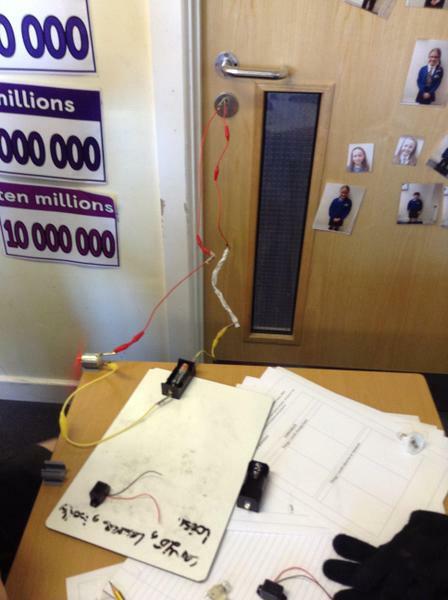 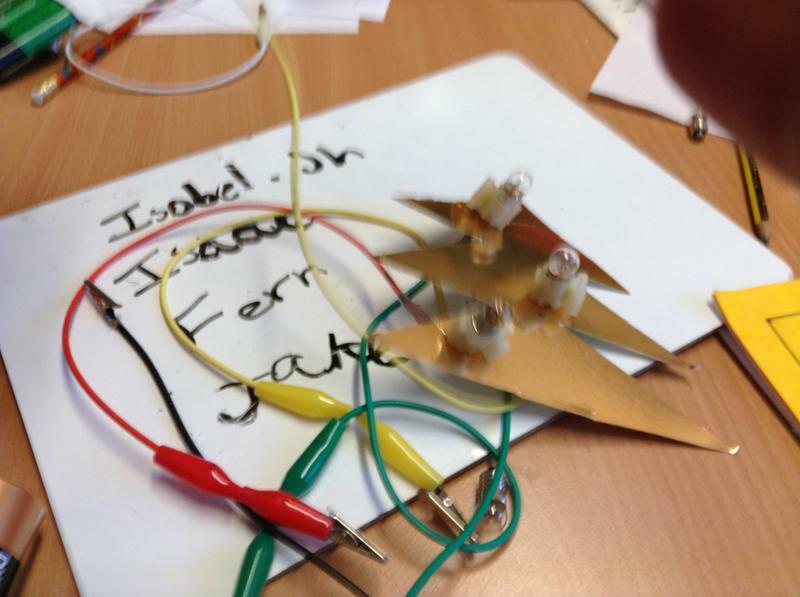 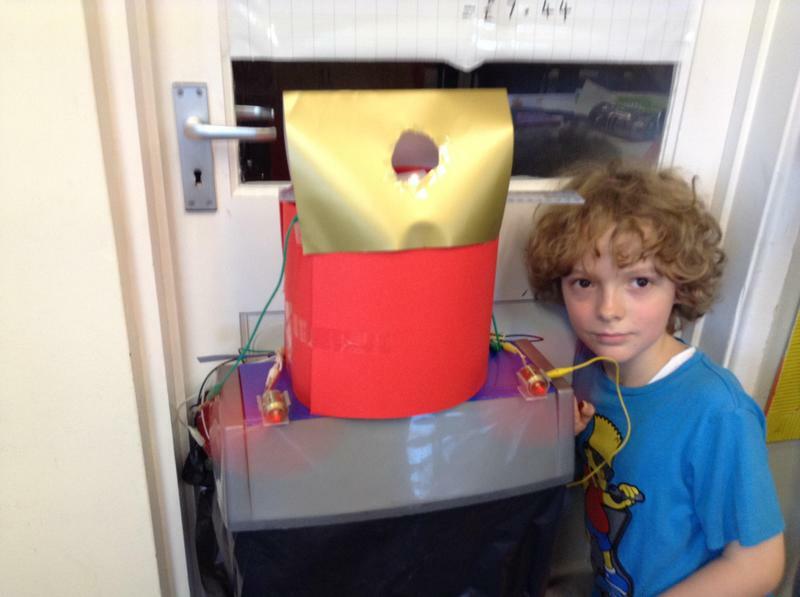 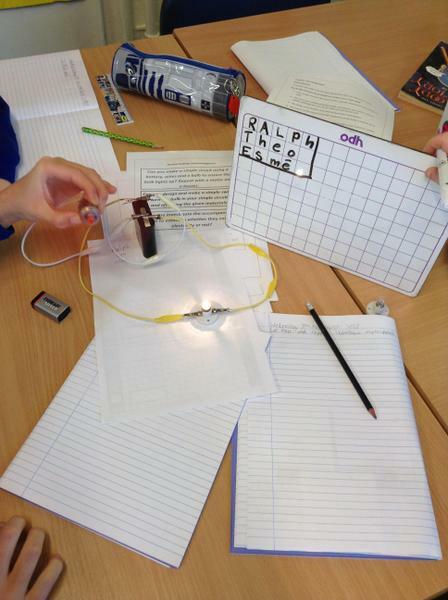 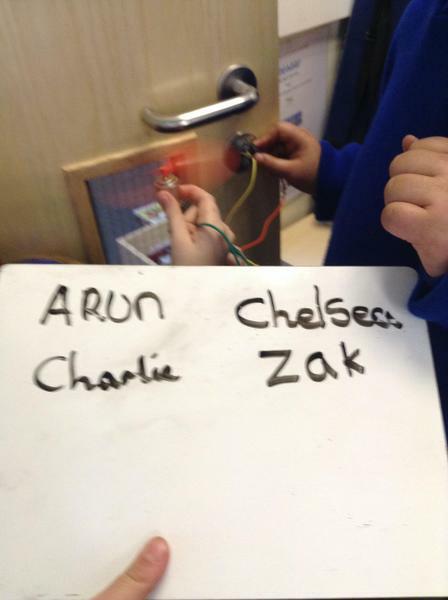 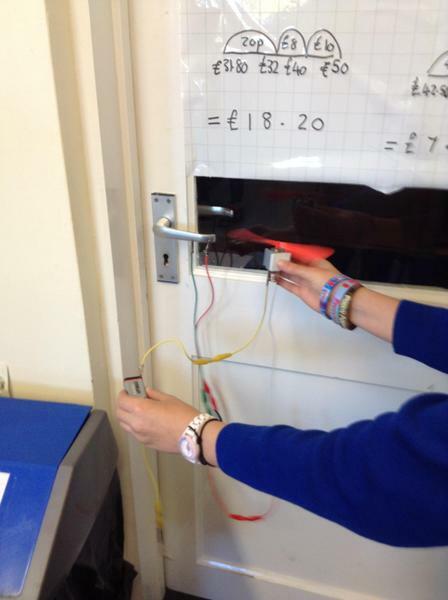 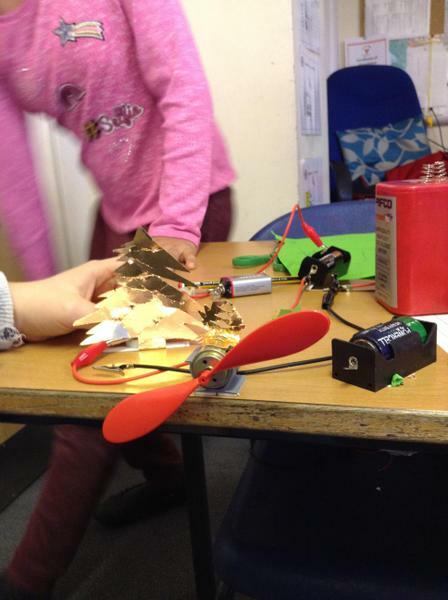 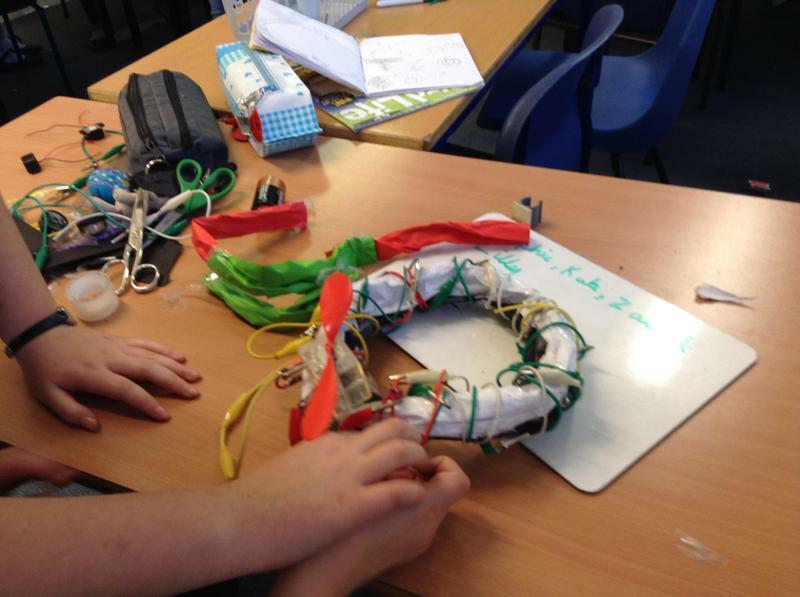 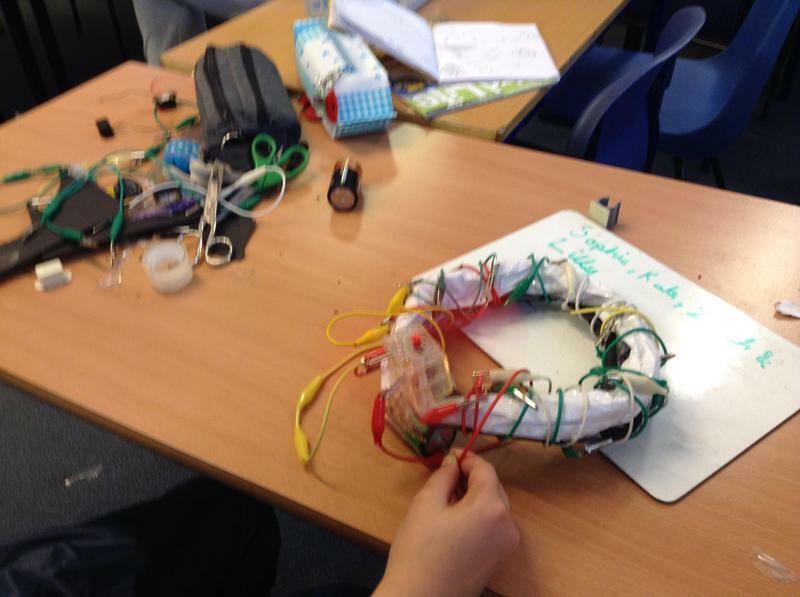 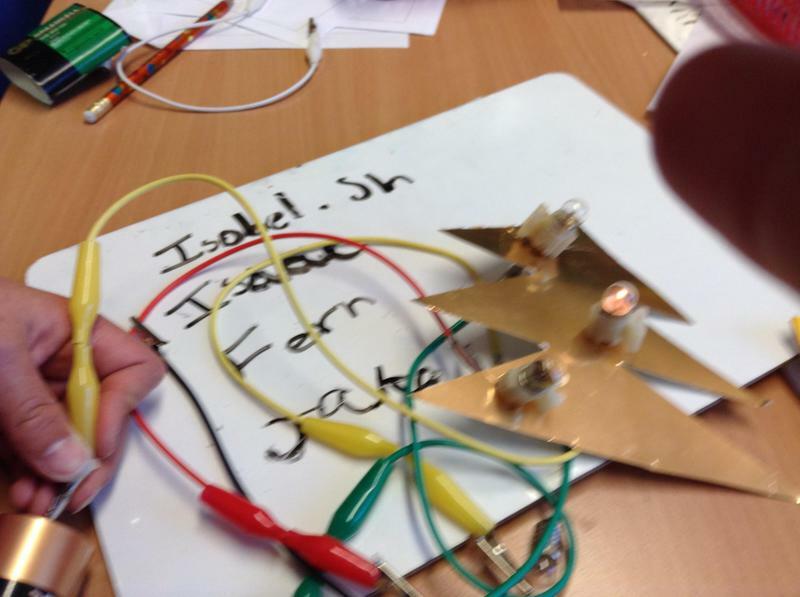 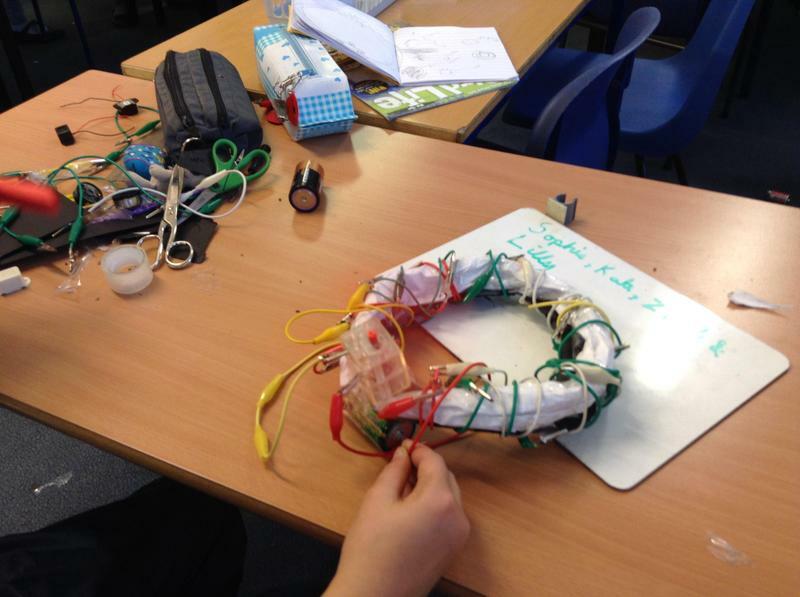 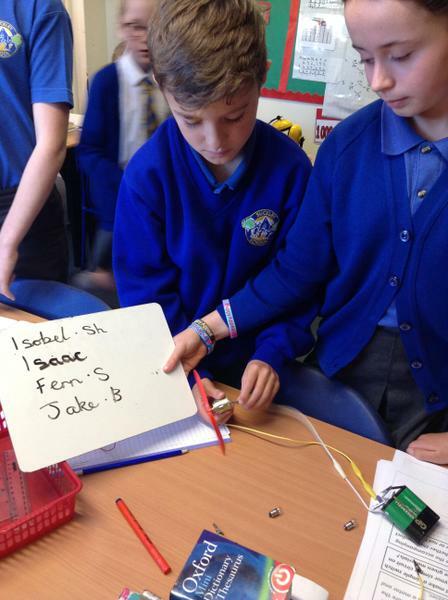 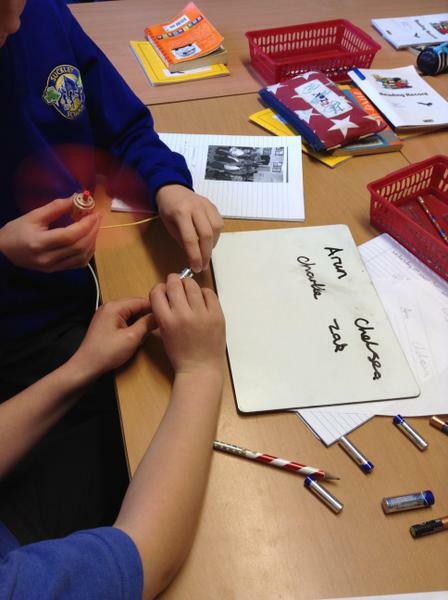 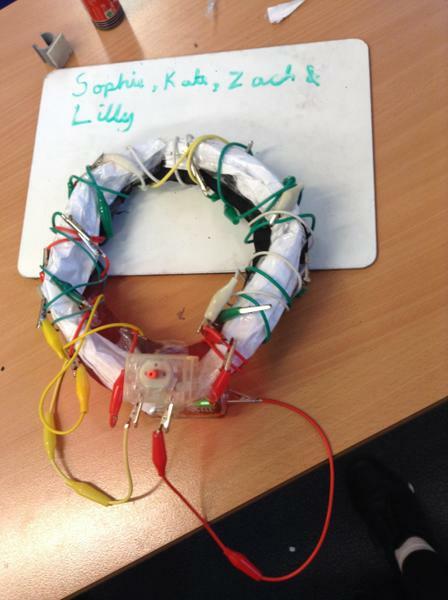 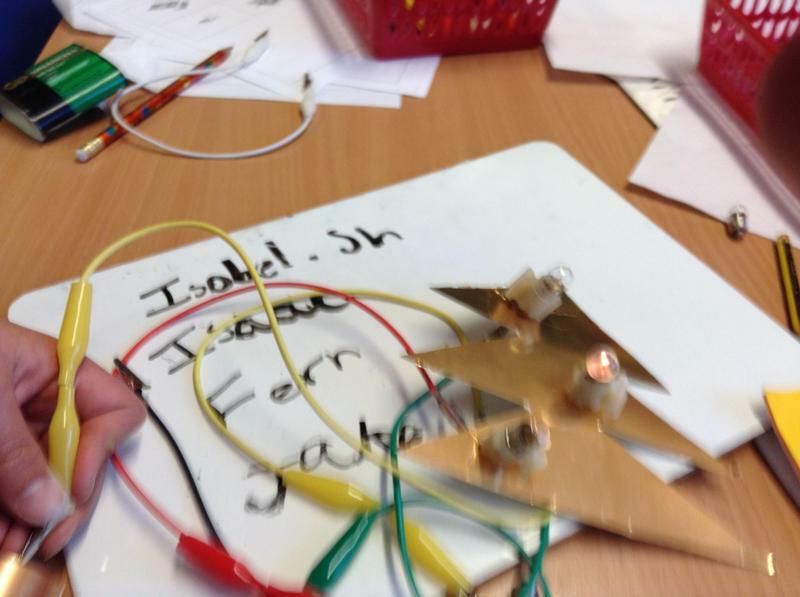 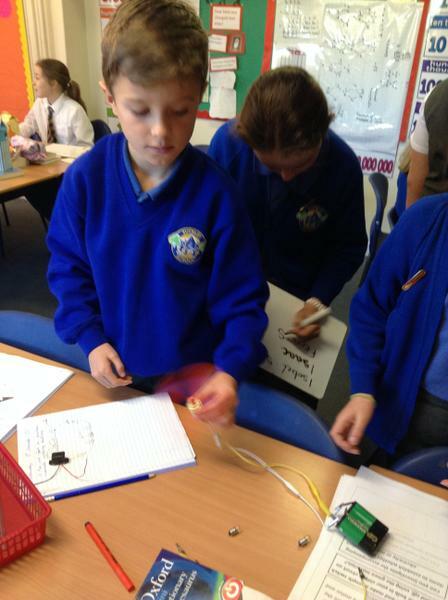 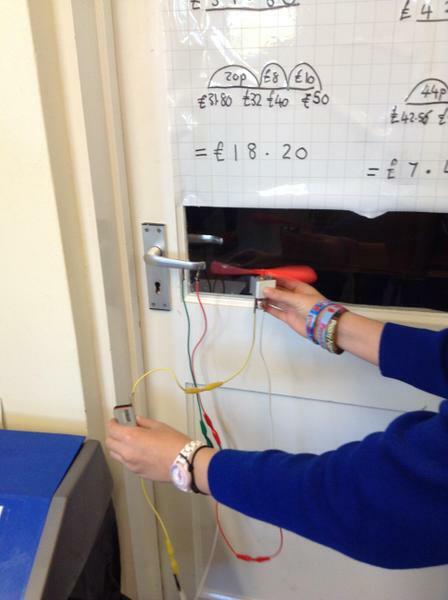 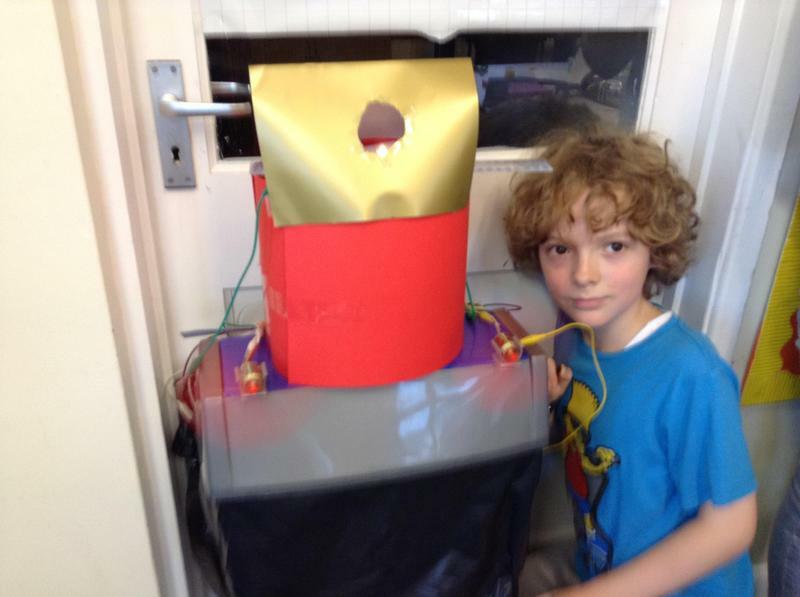 To design and make a festive light decoration that uses electrical circuits. 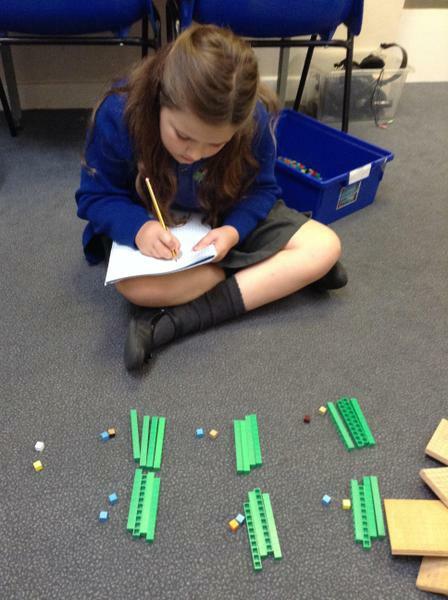 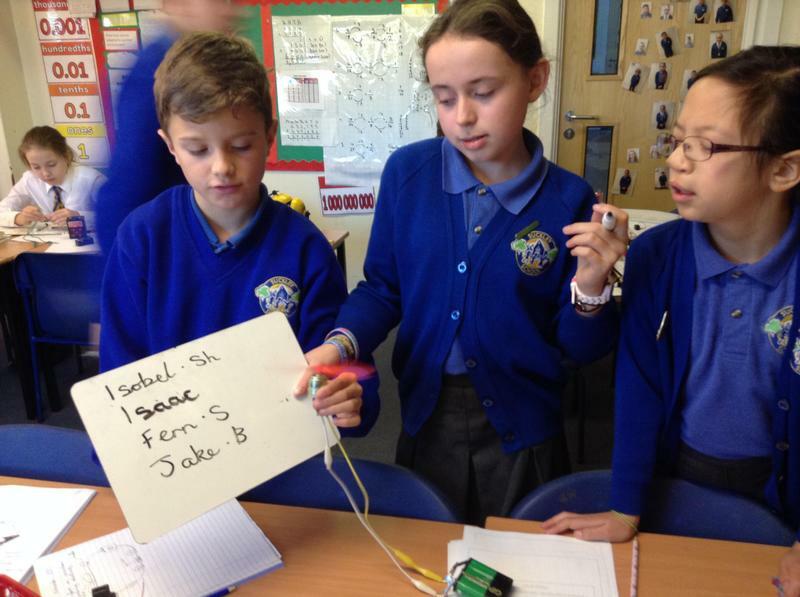 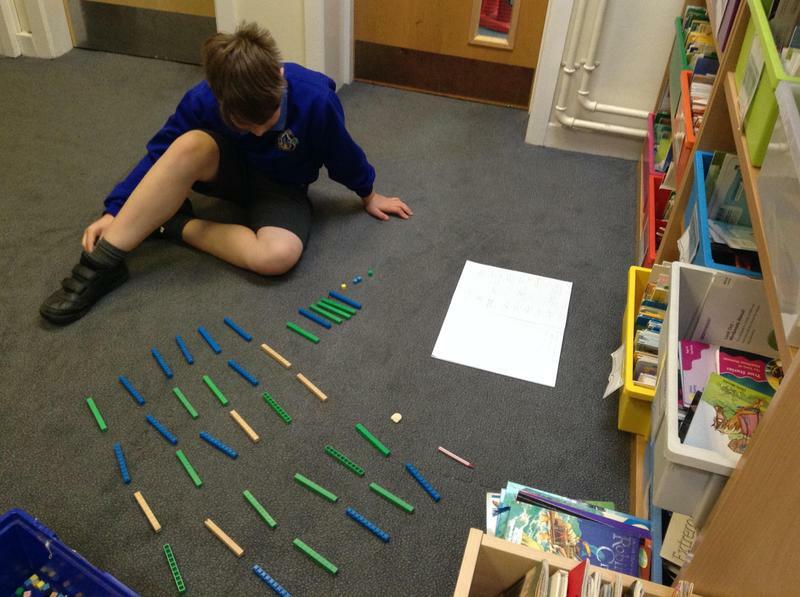 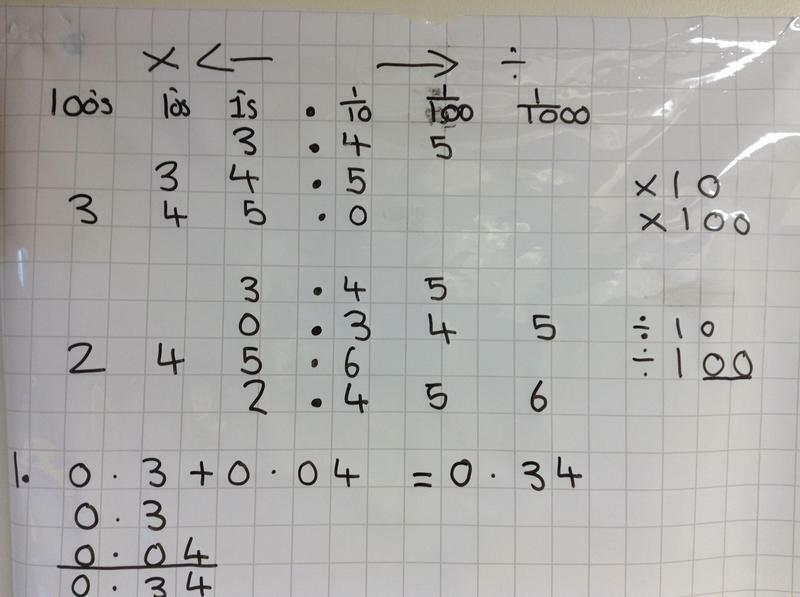 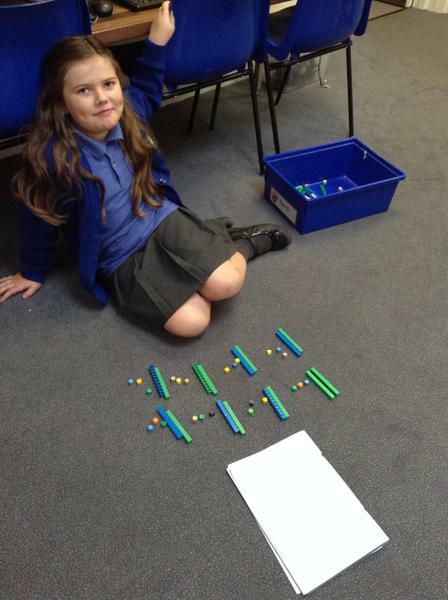 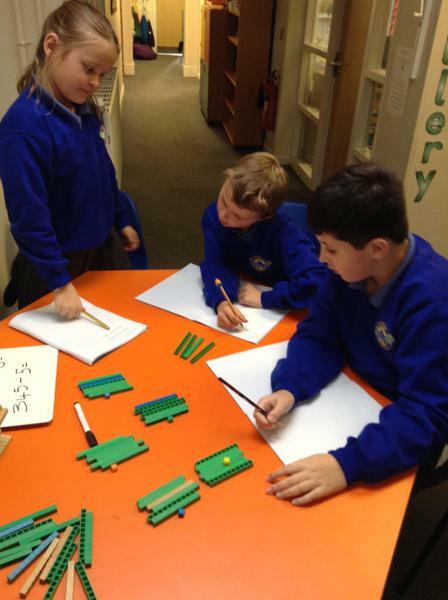 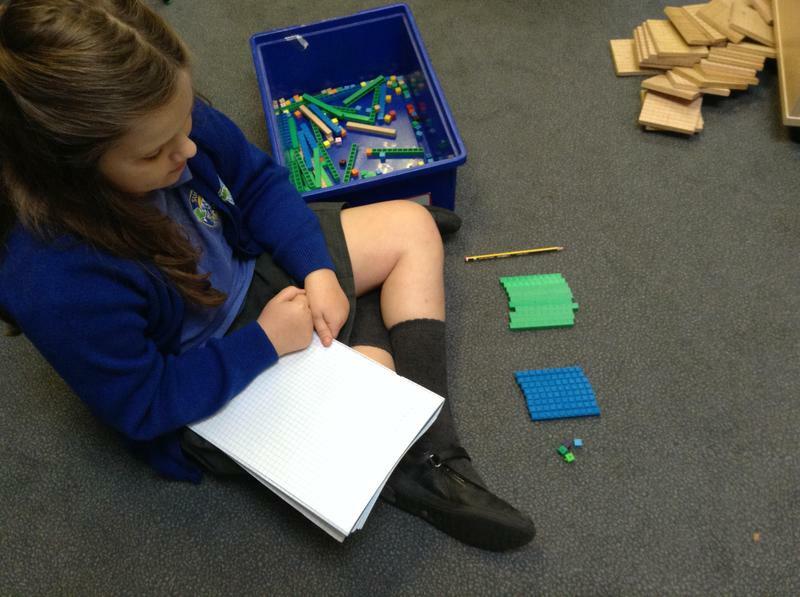 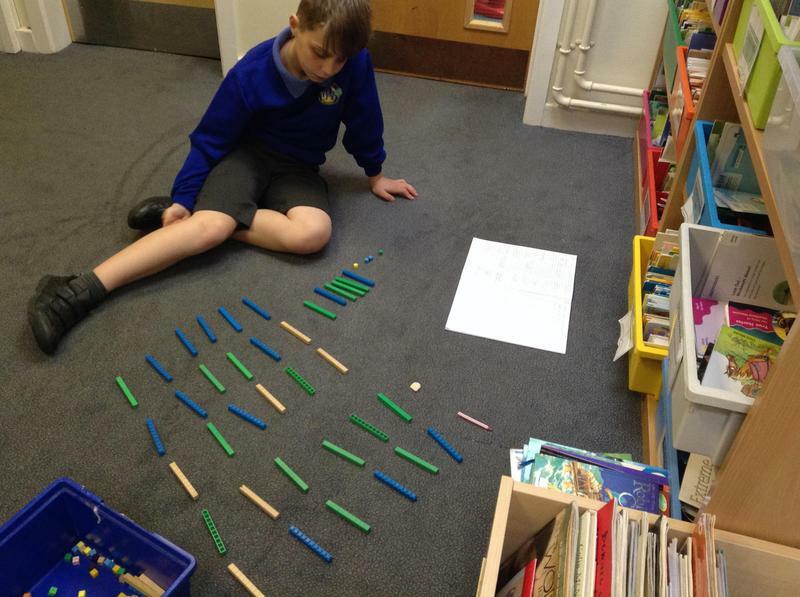 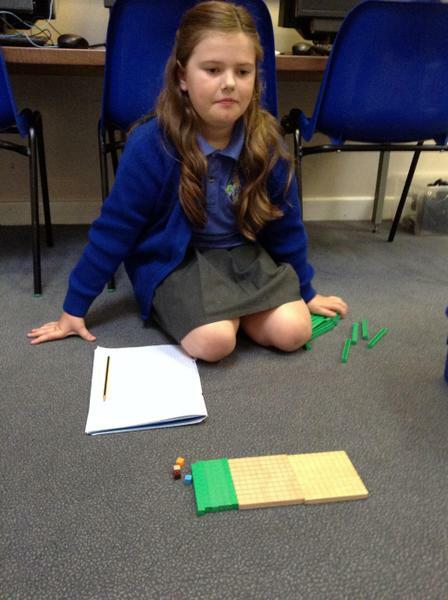 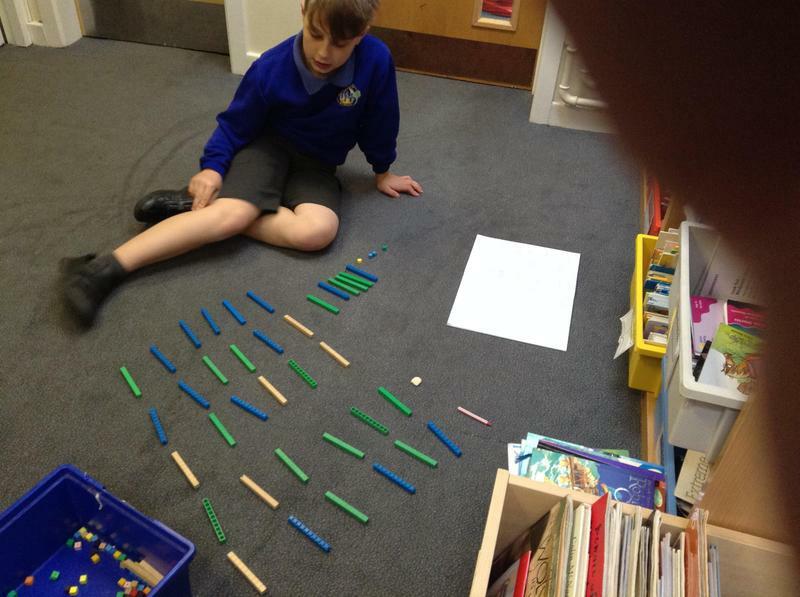 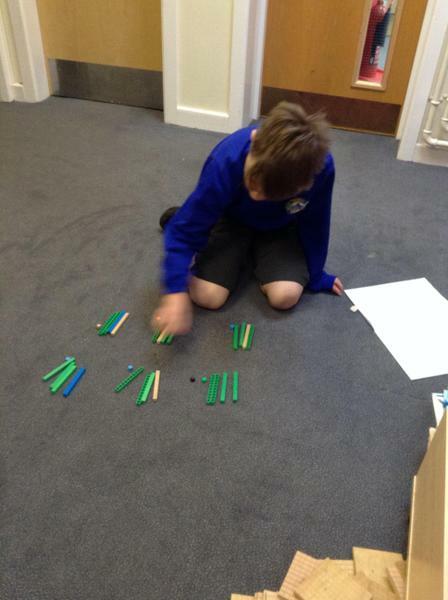 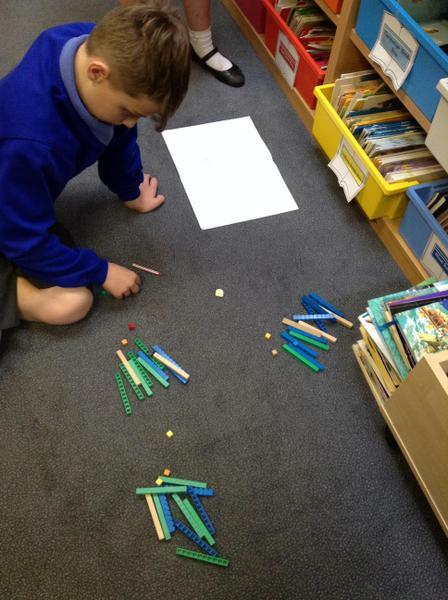 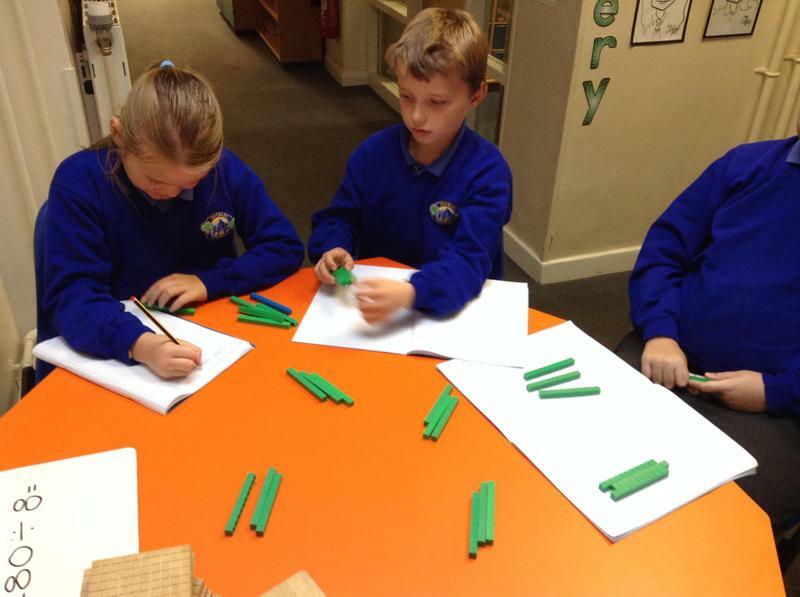 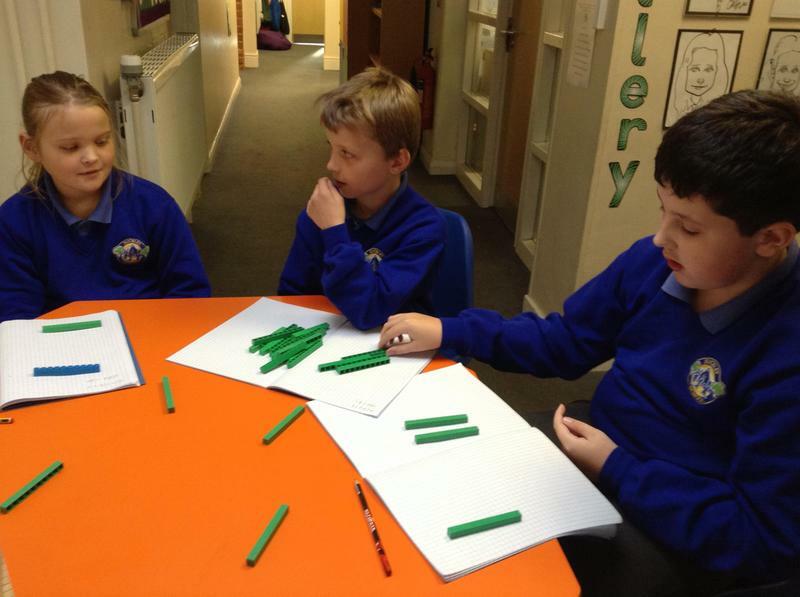 Using base 10 ( diennes) division to divide 3 digit numbers. 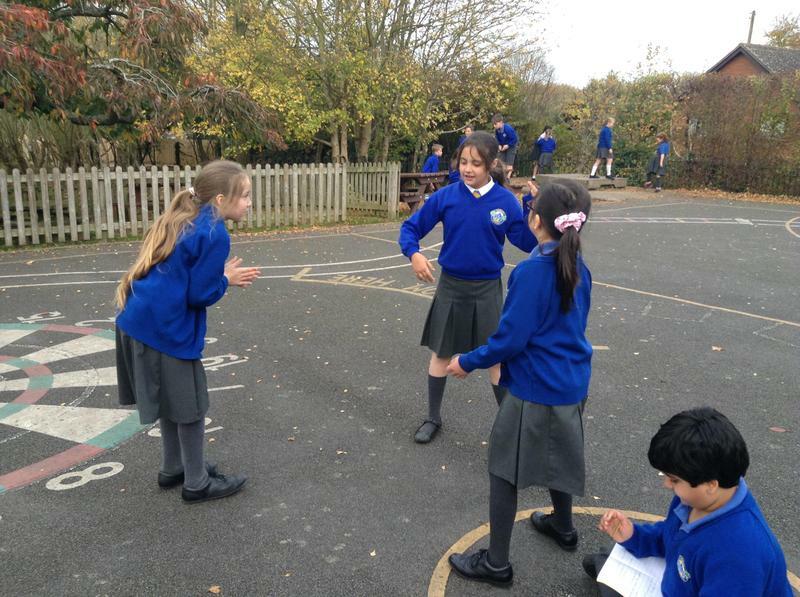 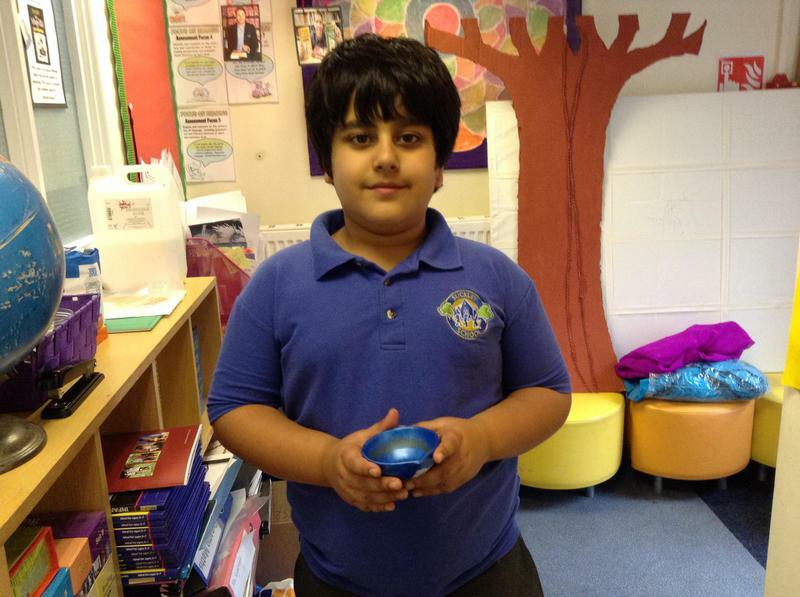 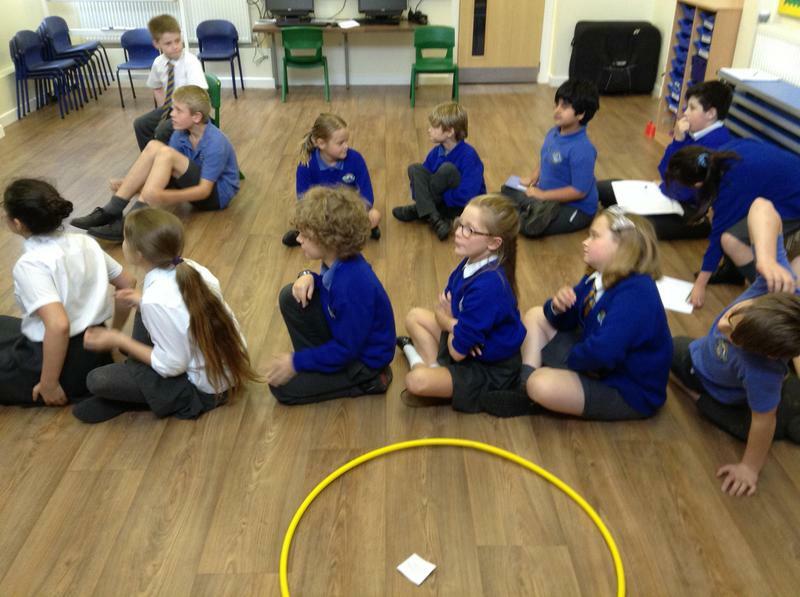 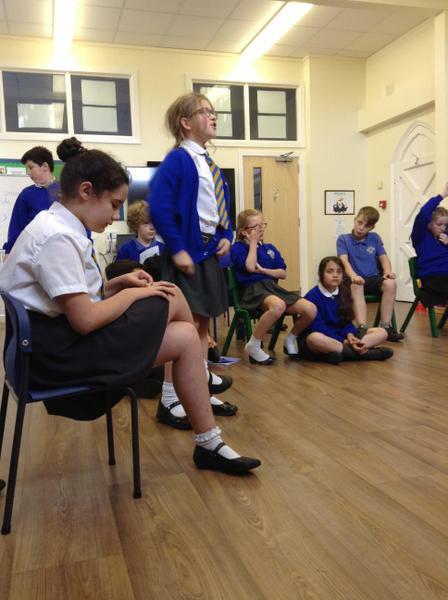 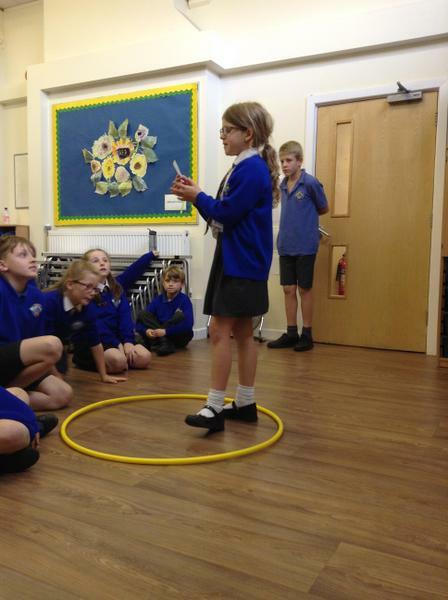 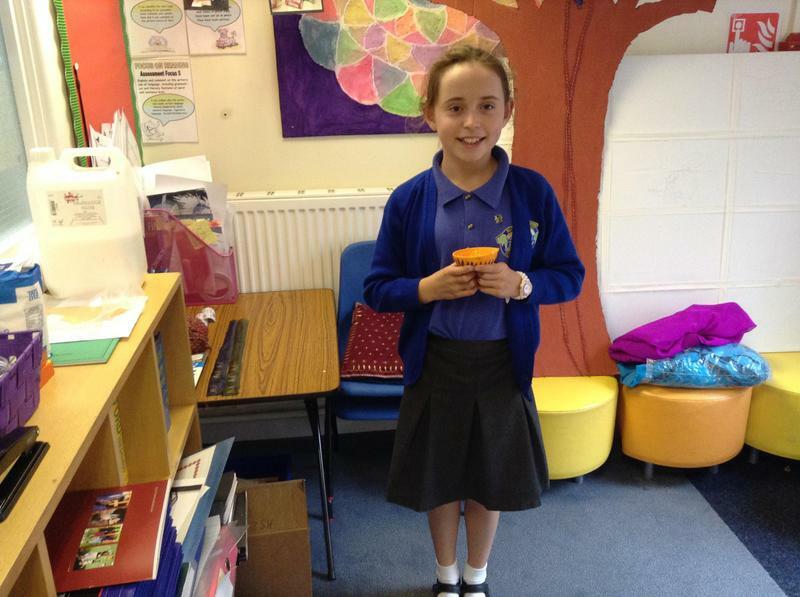 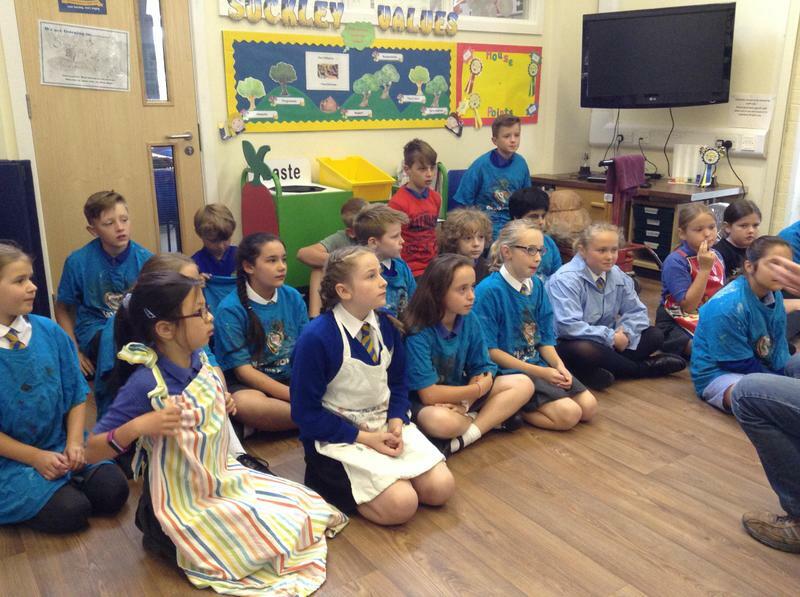 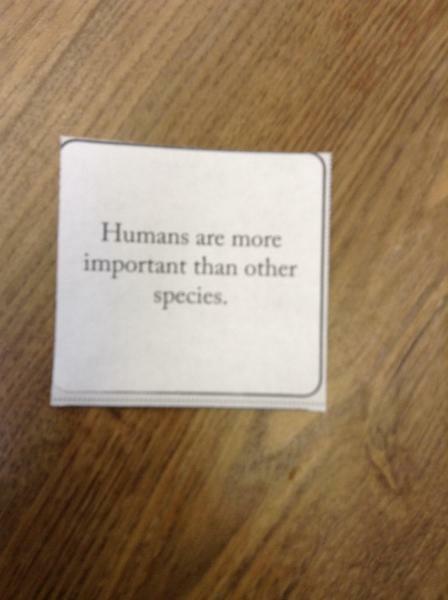 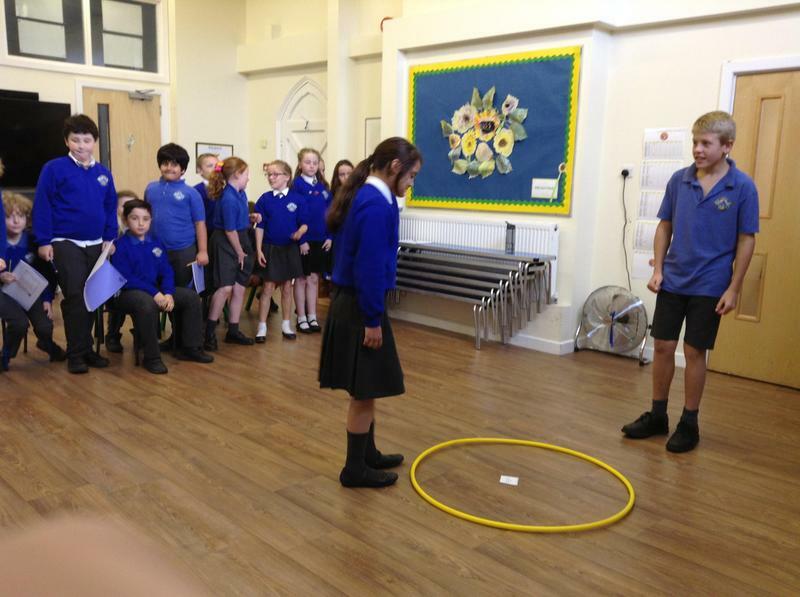 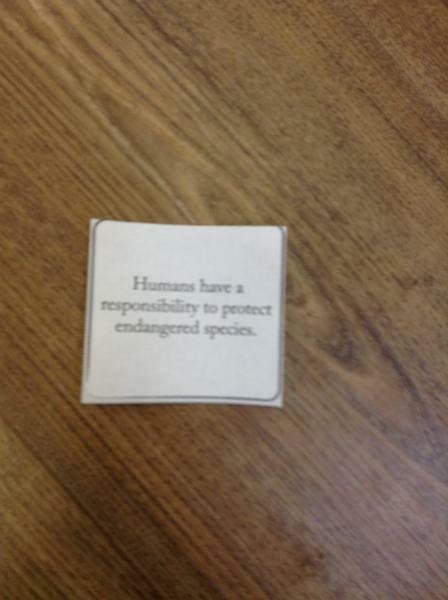 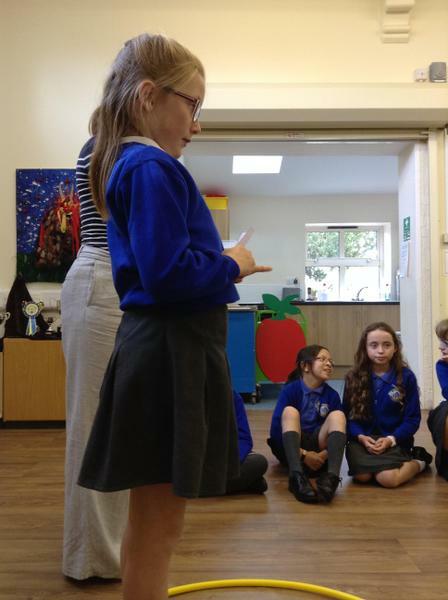 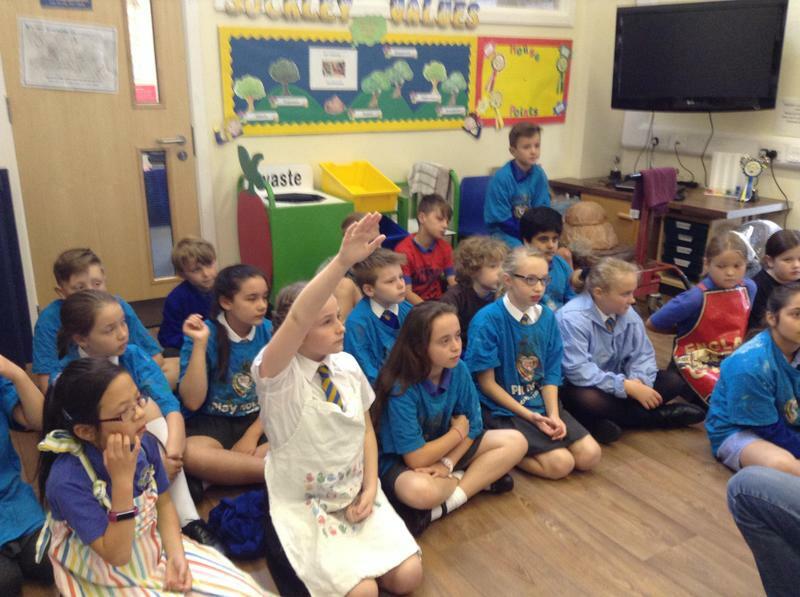 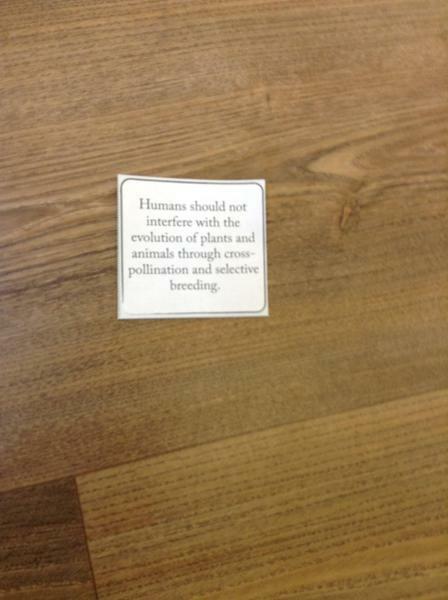 To complete our science topic on Evolution and Inheritance the children took part in a philosophy for children debate. 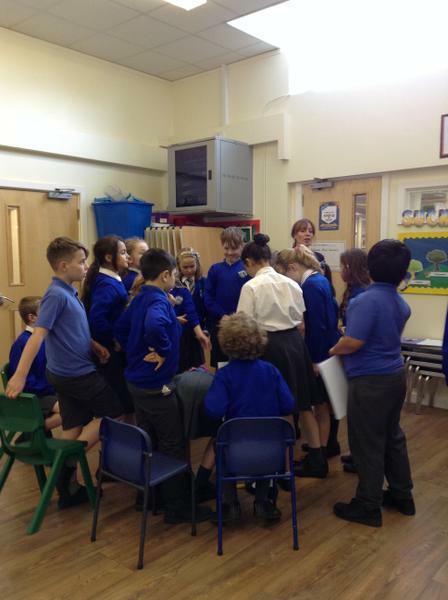 They formed their own opinions and listened to each other with mutual respect. 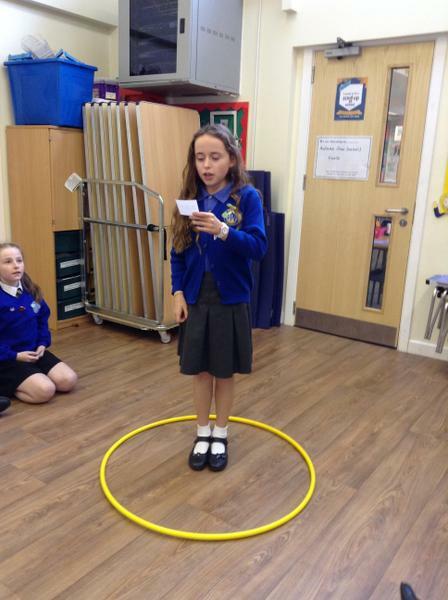 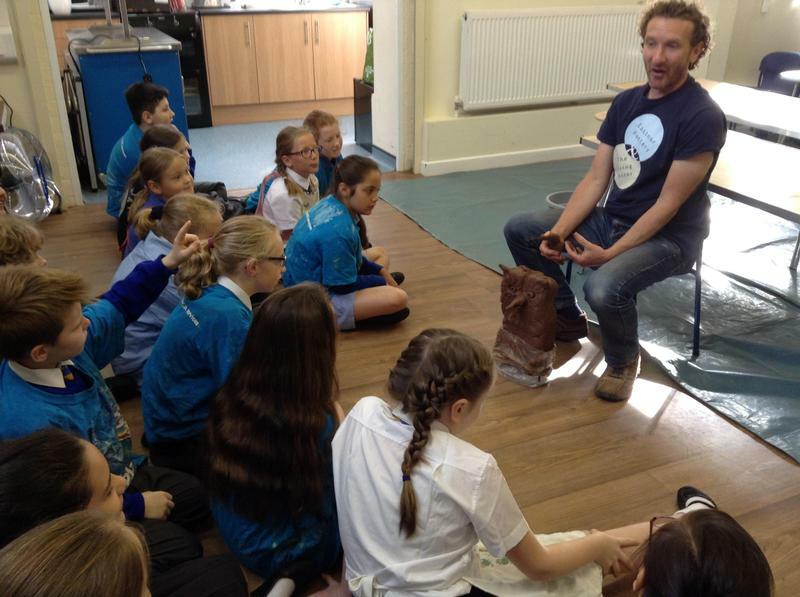 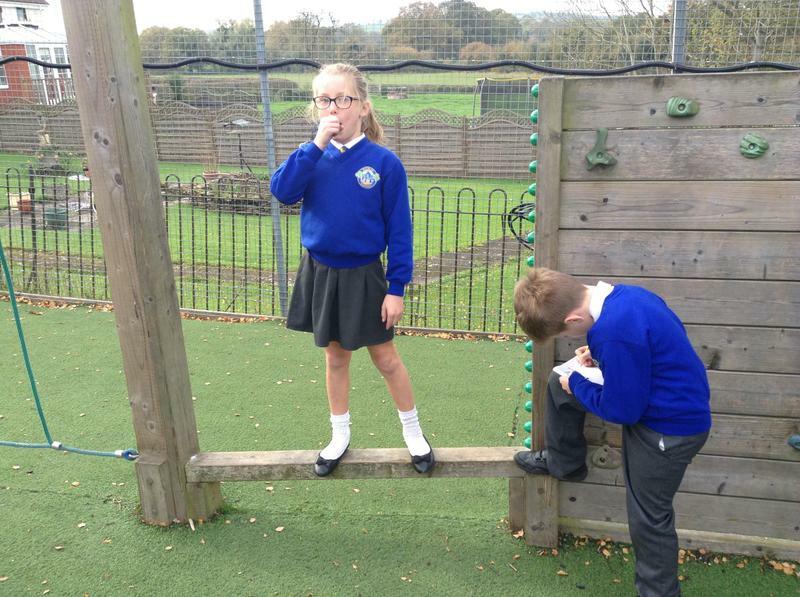 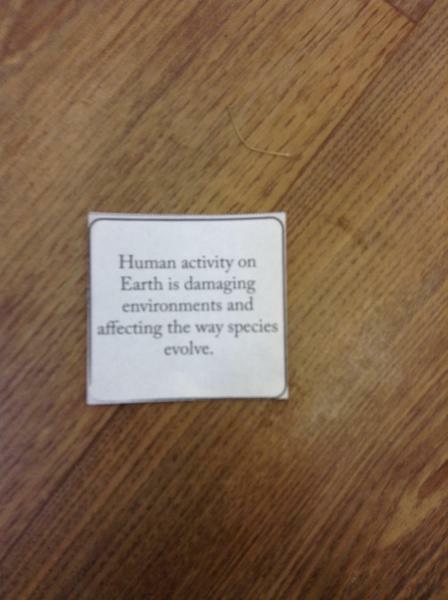 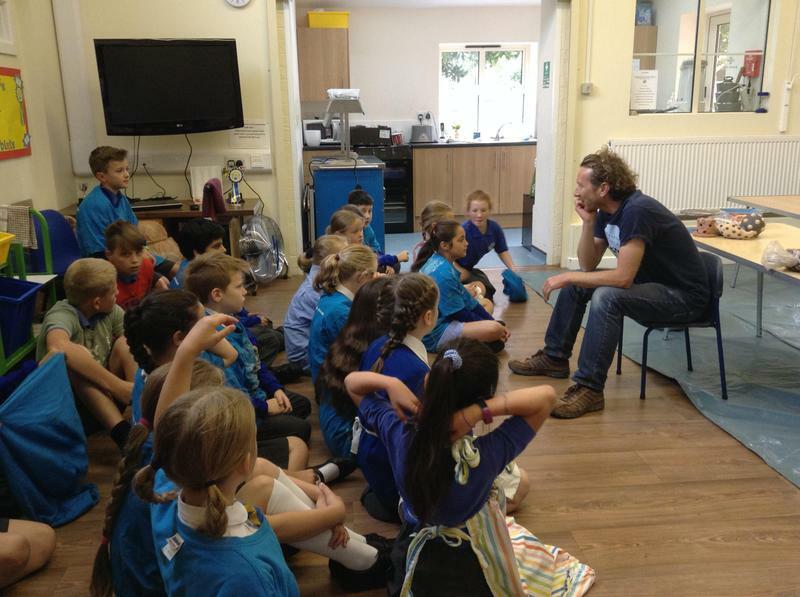 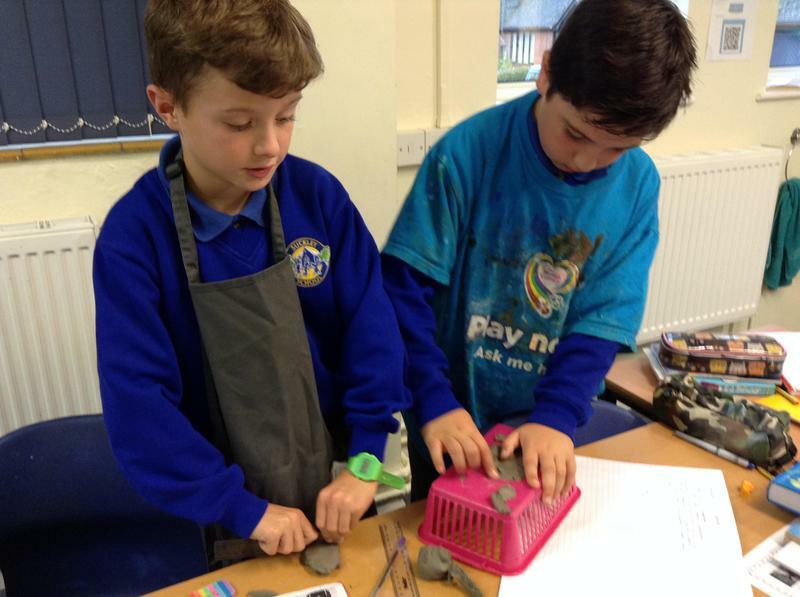 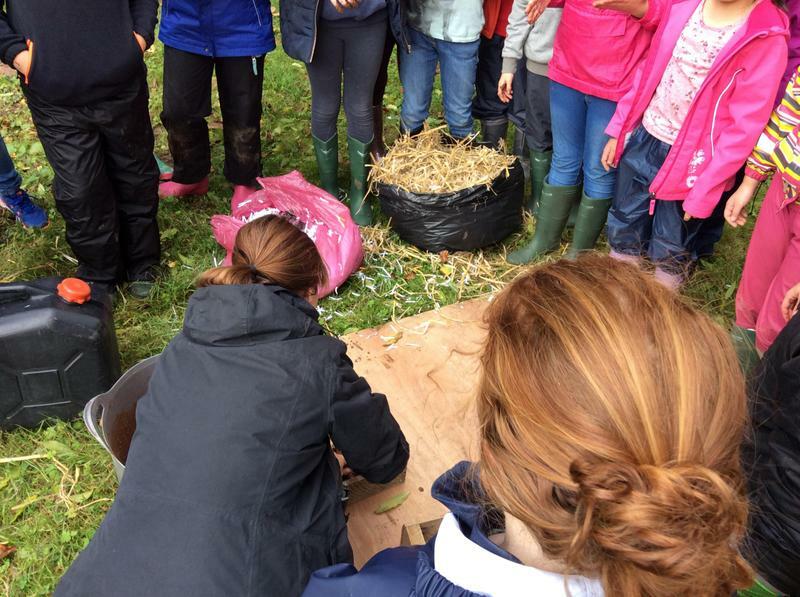 The children know that primate species have changed over time;they can explain some ways in which human behaviour has changed the characteristics of other species and can identify positive and negative consequences of human behaviour. 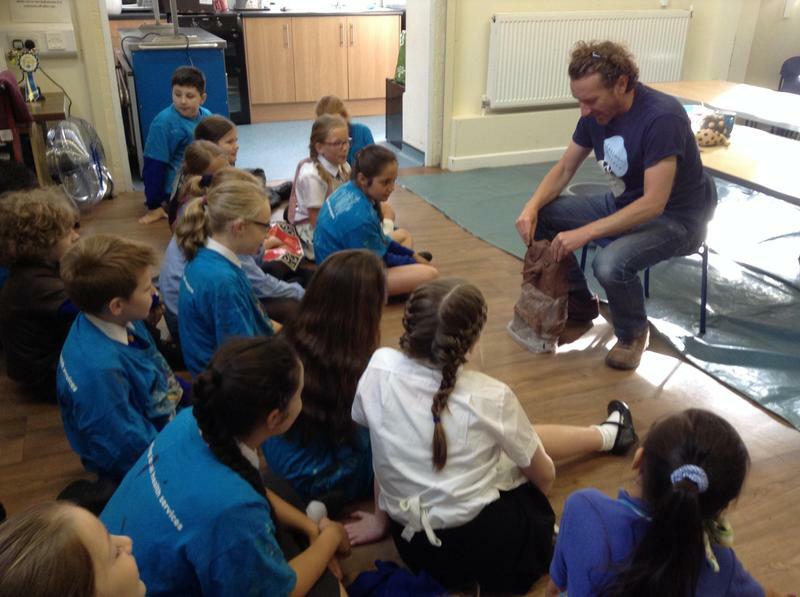 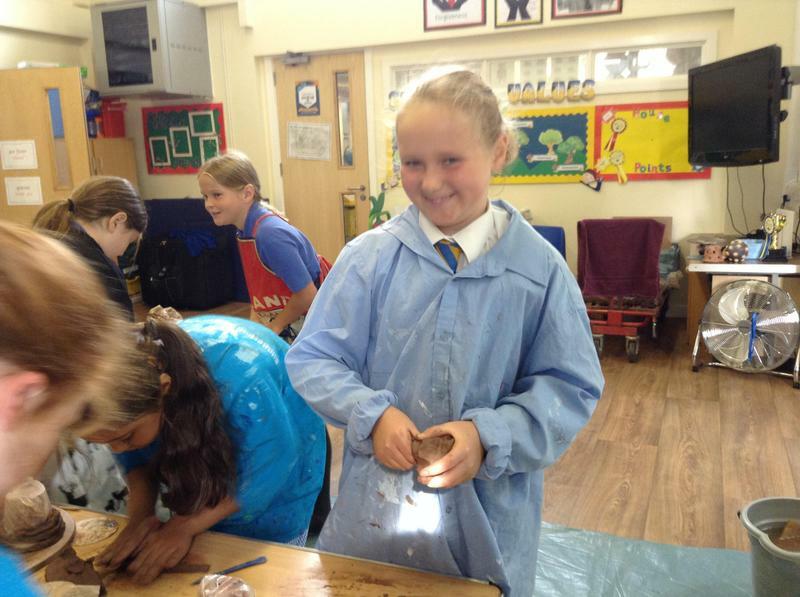 What an exciting start to the term! 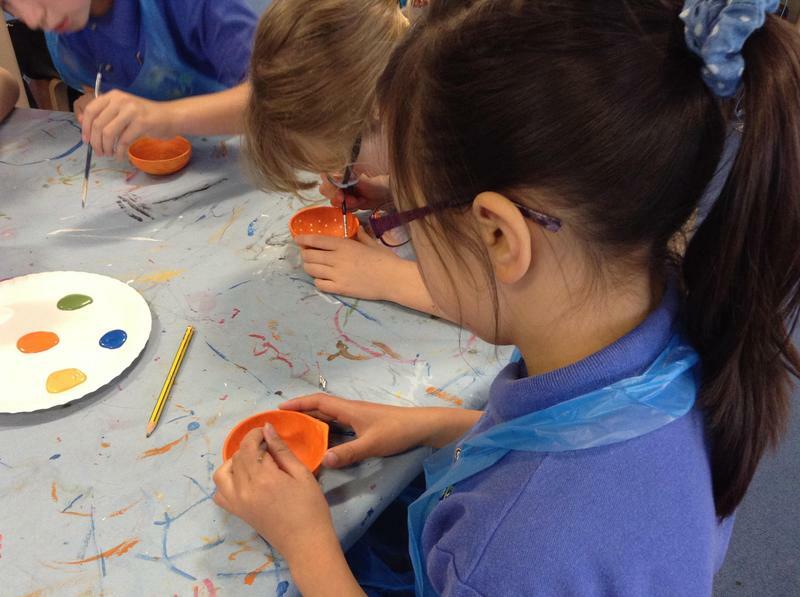 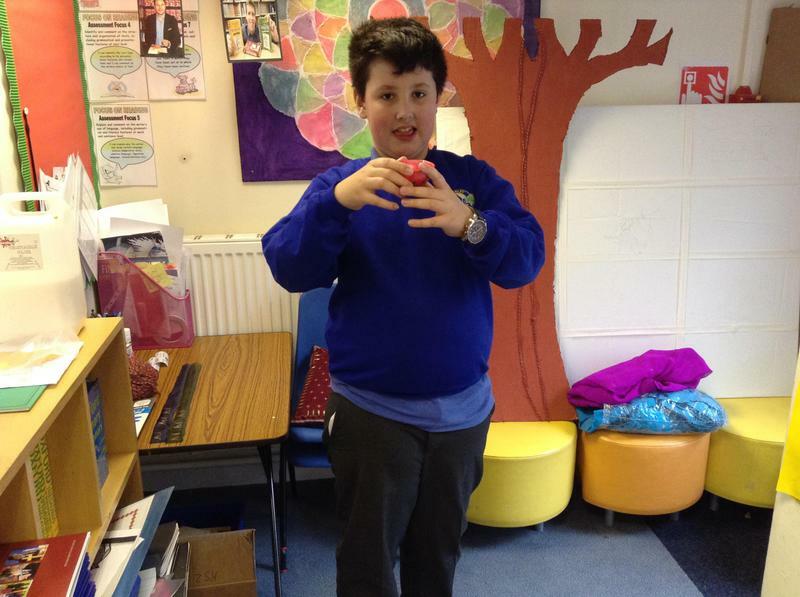 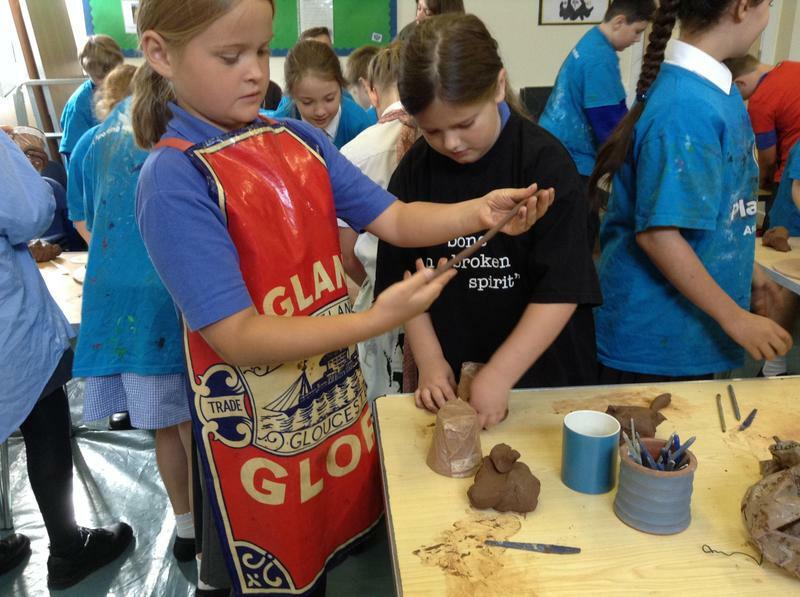 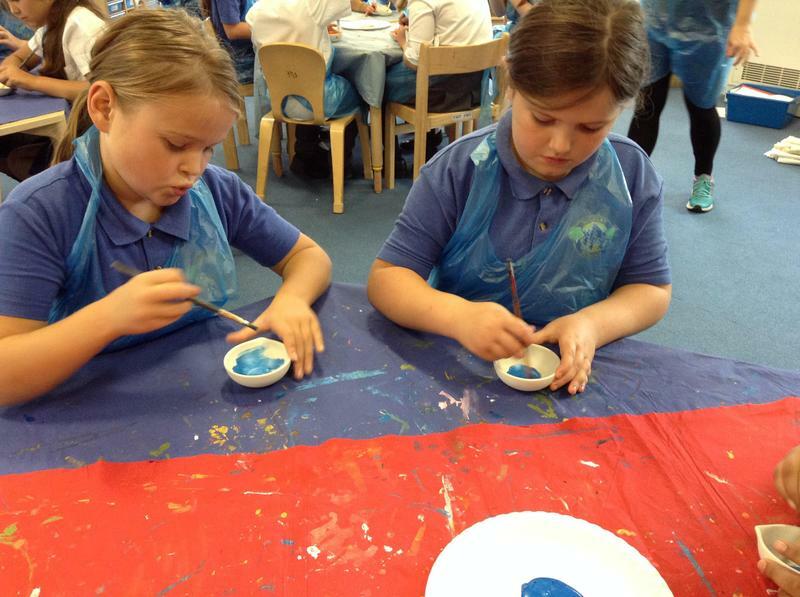 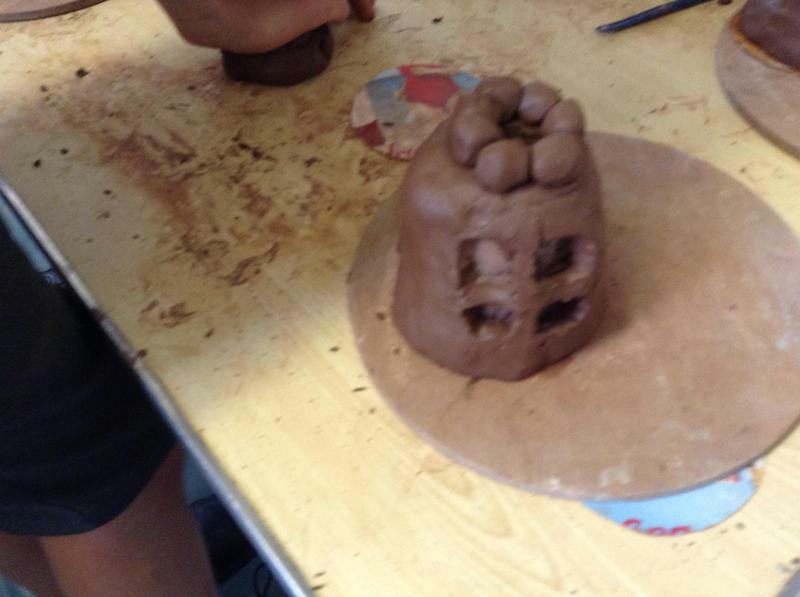 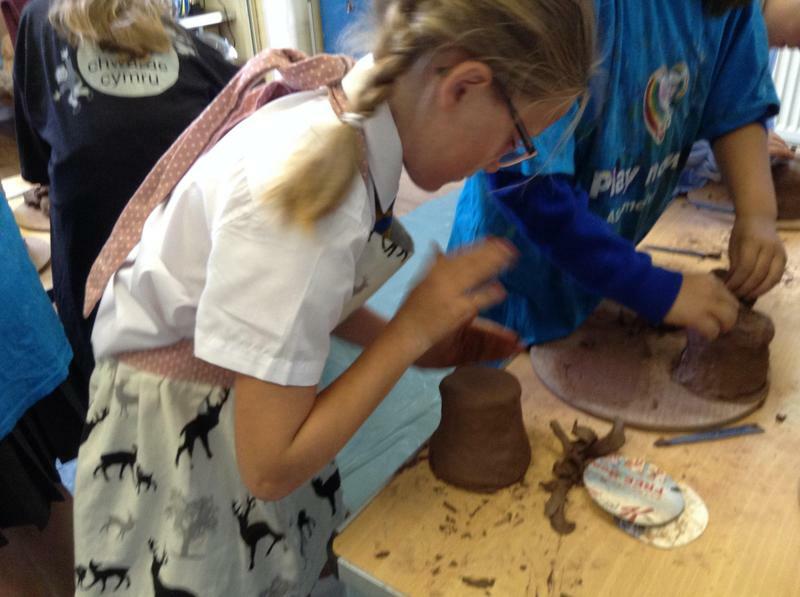 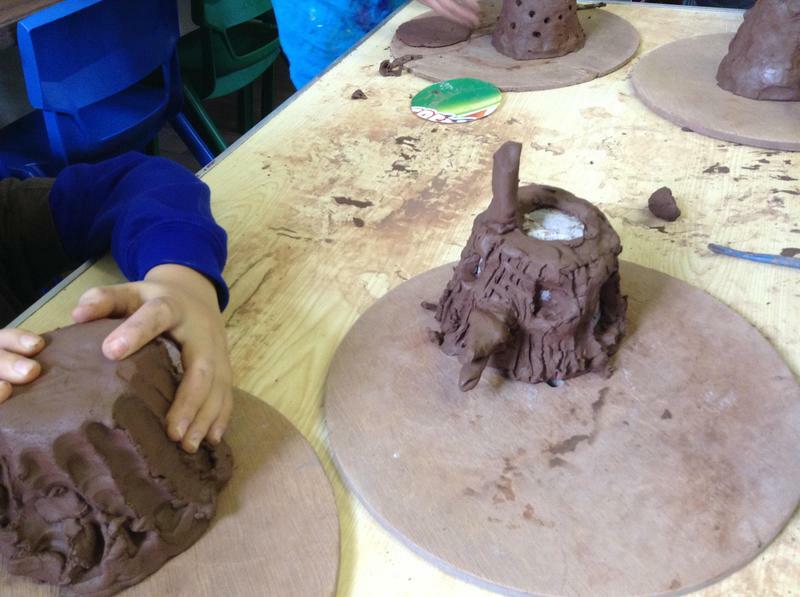 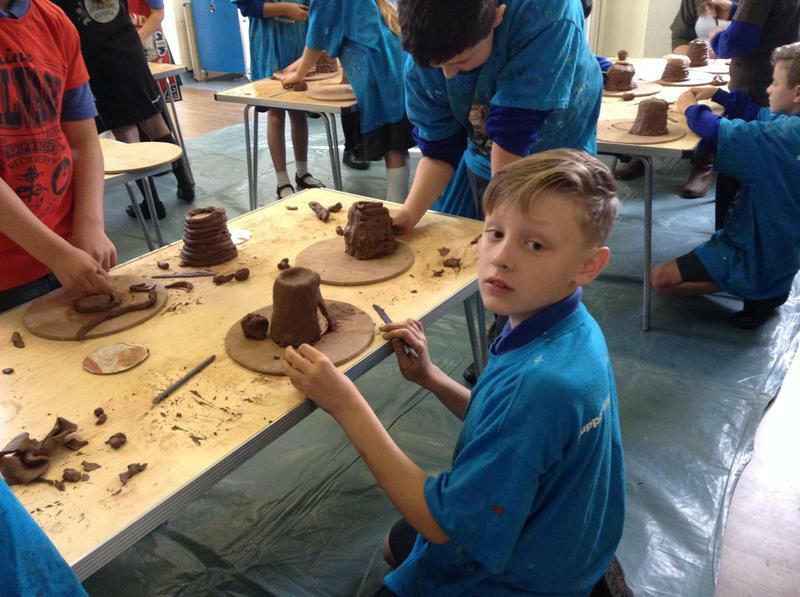 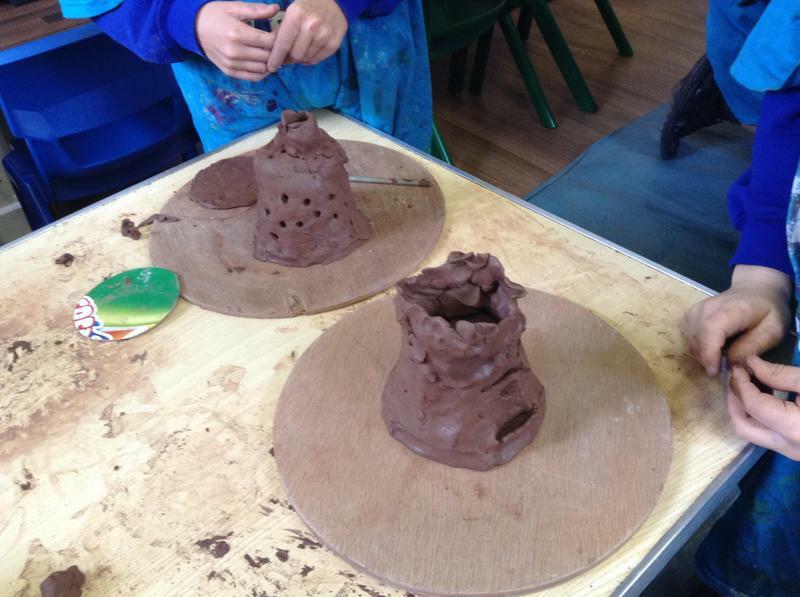 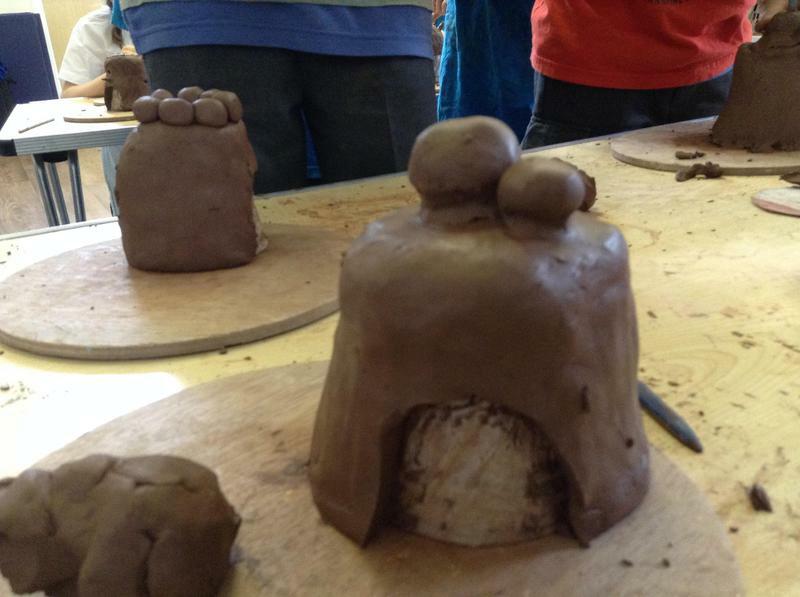 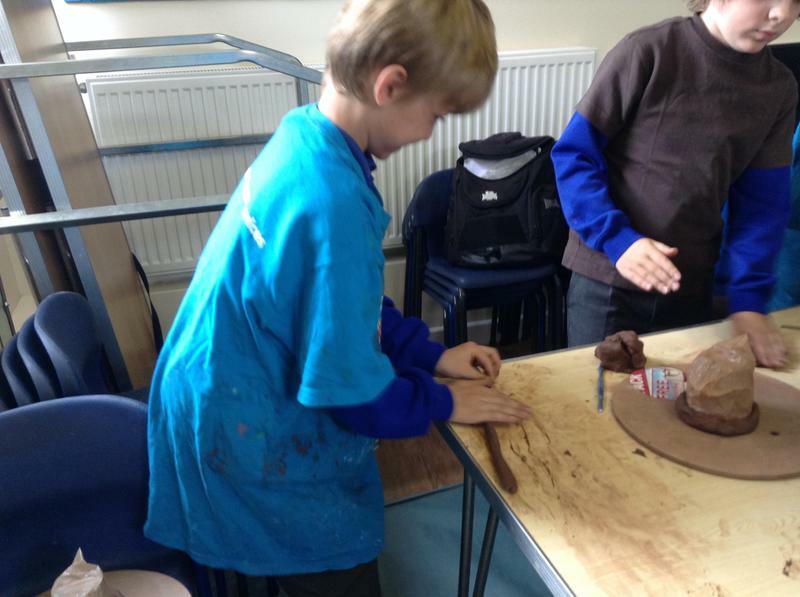 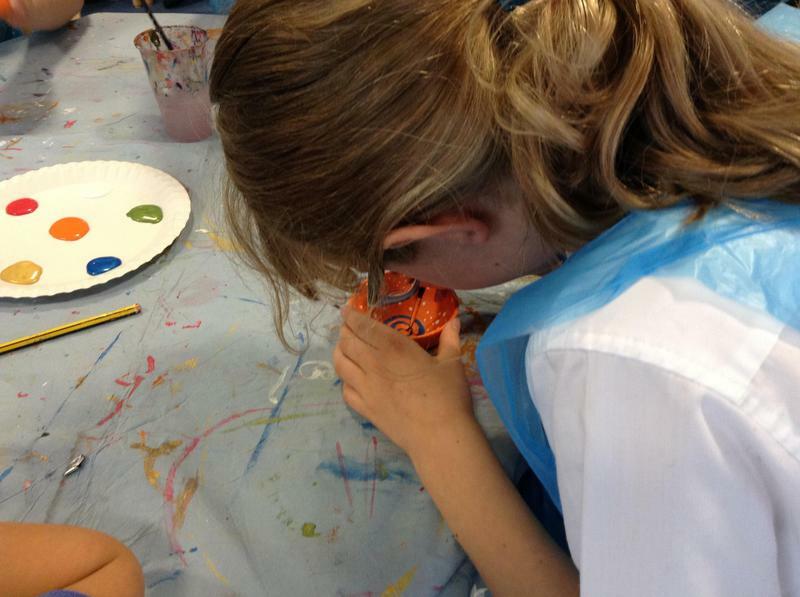 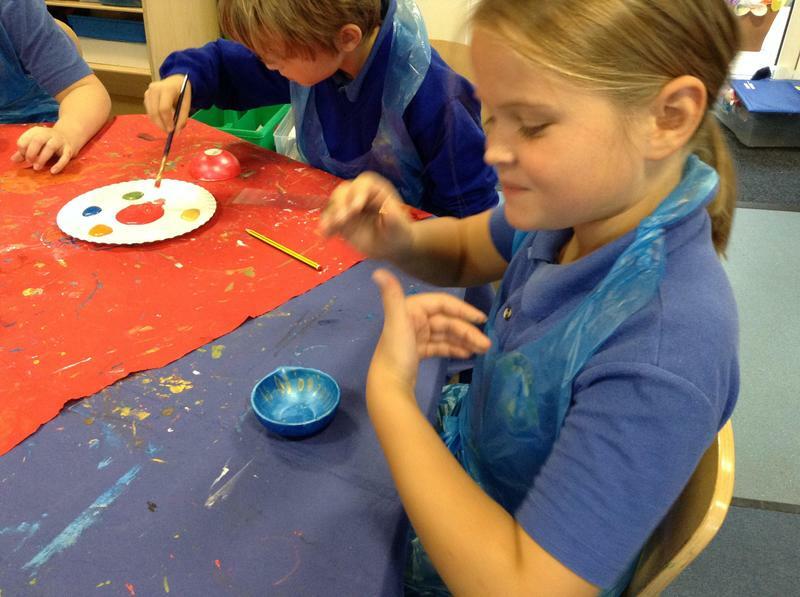 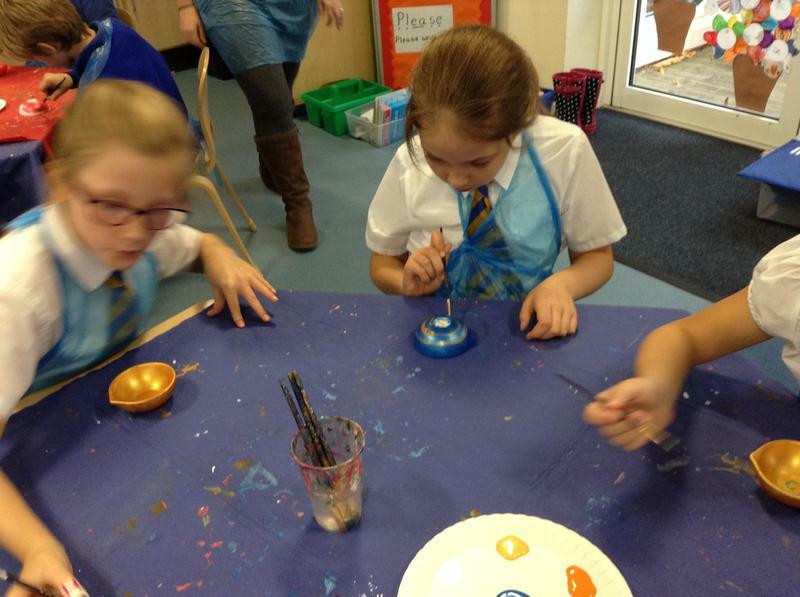 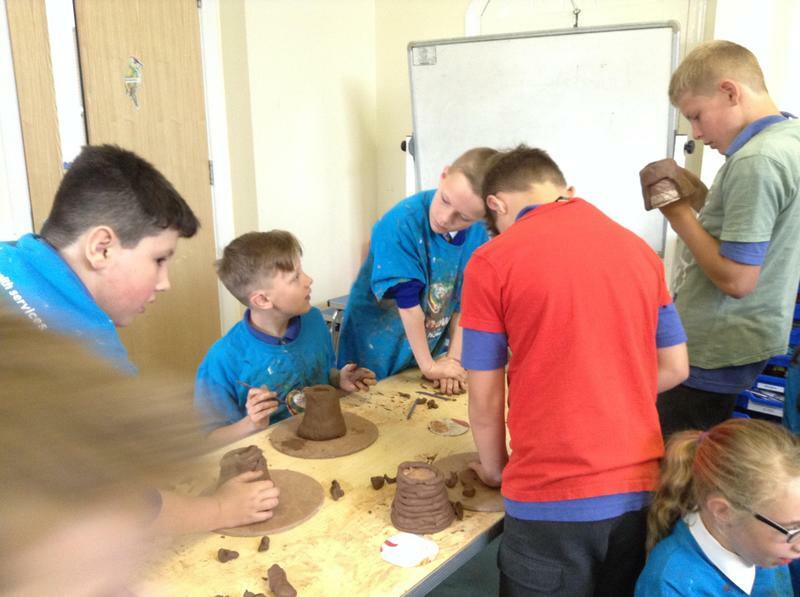 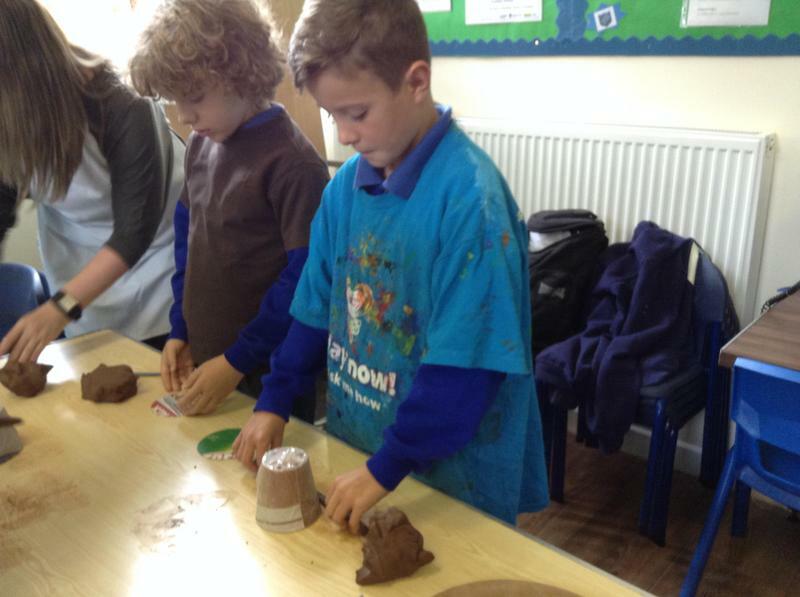 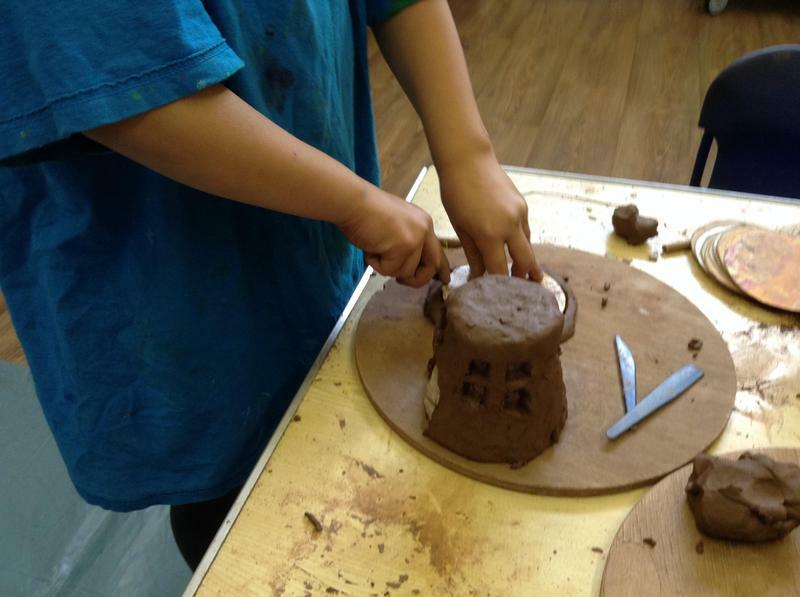 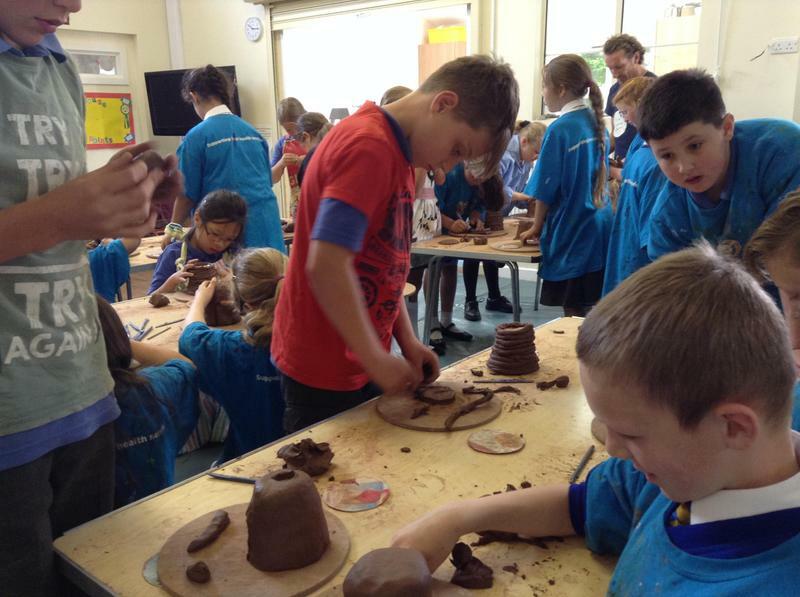 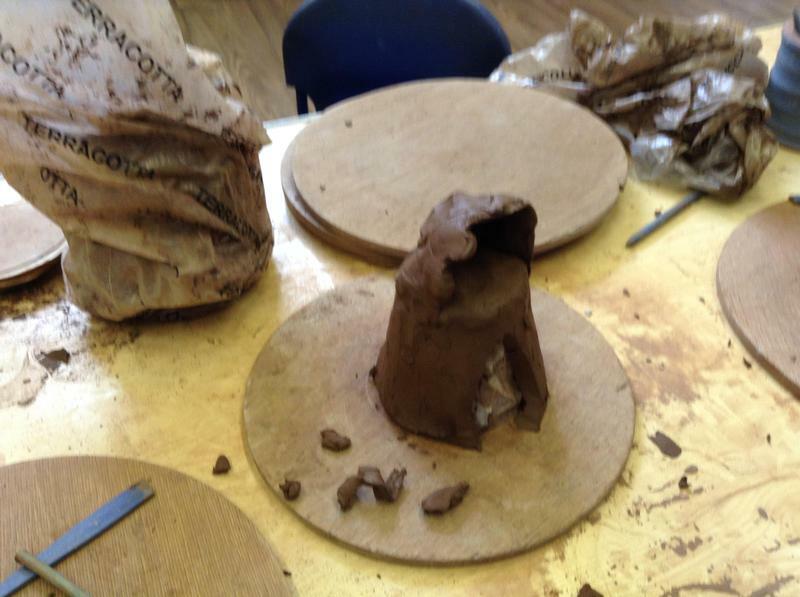 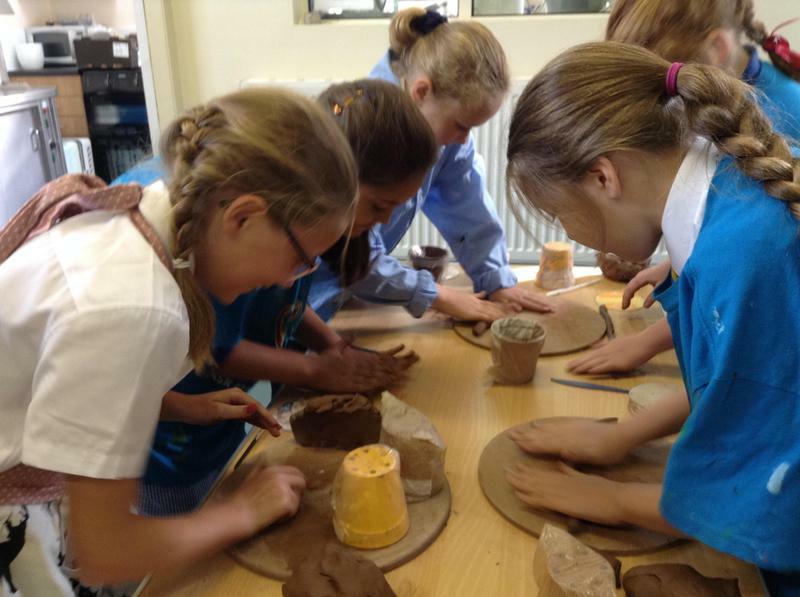 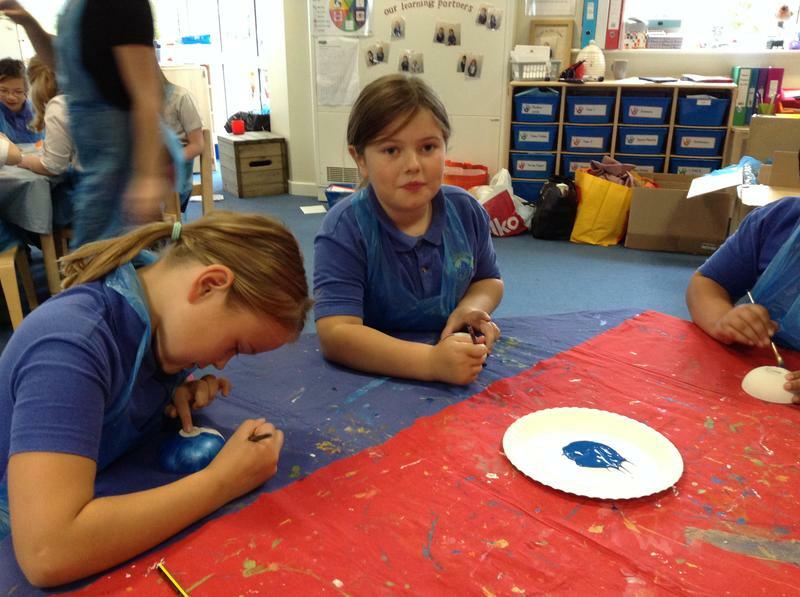 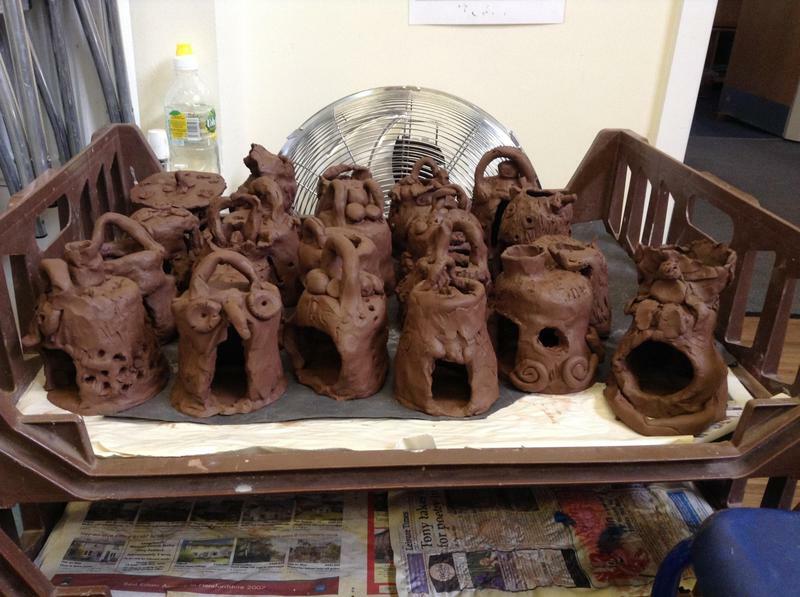 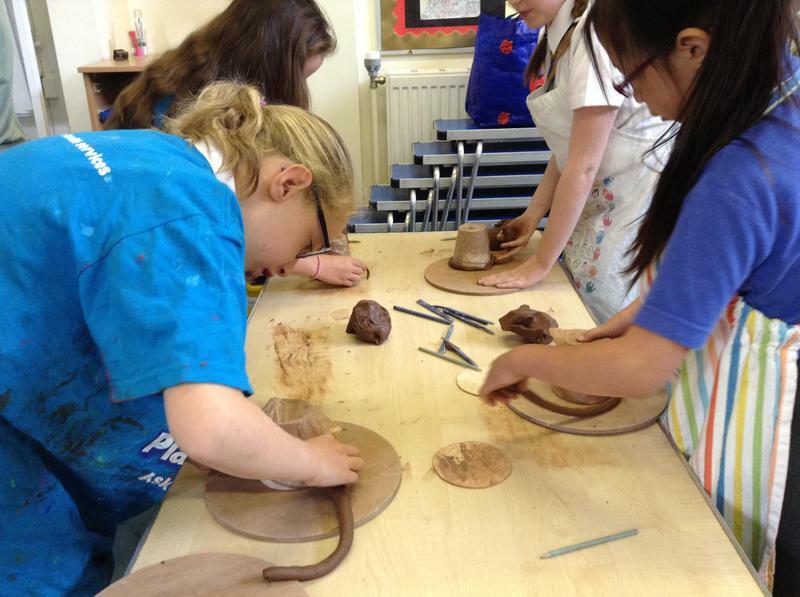 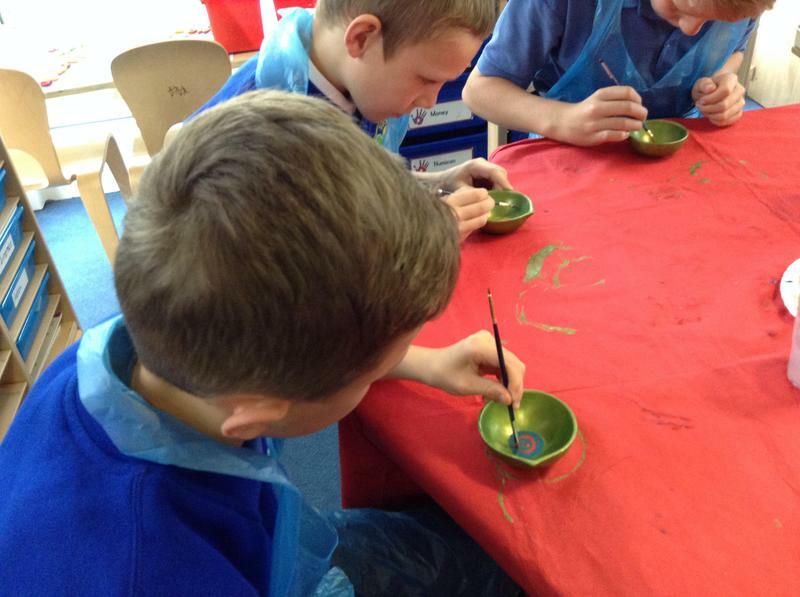 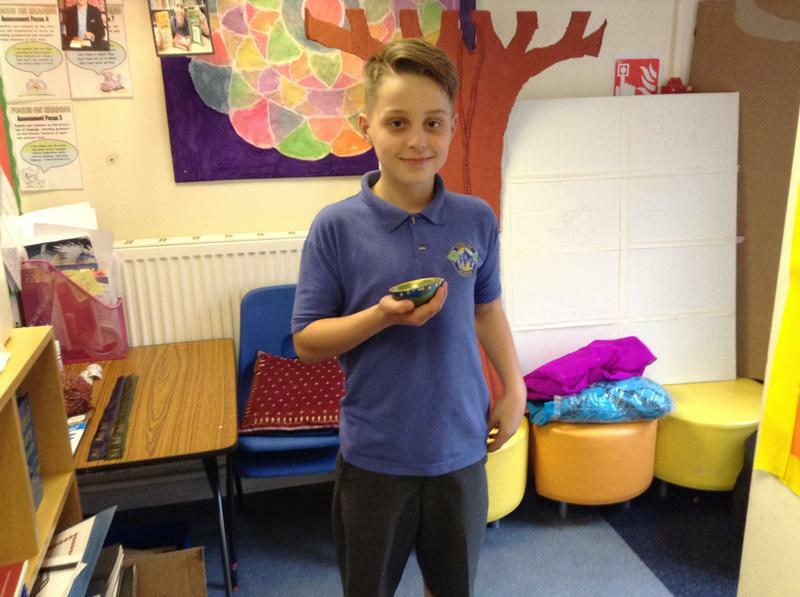 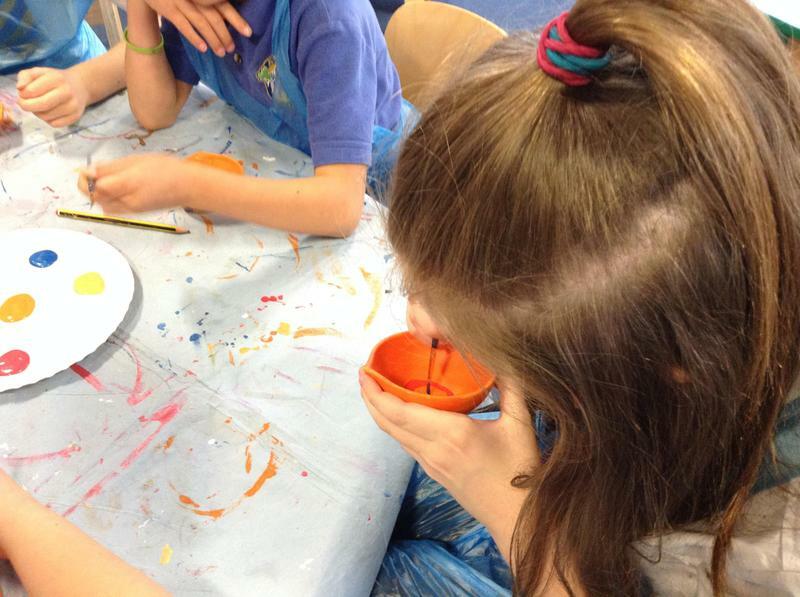 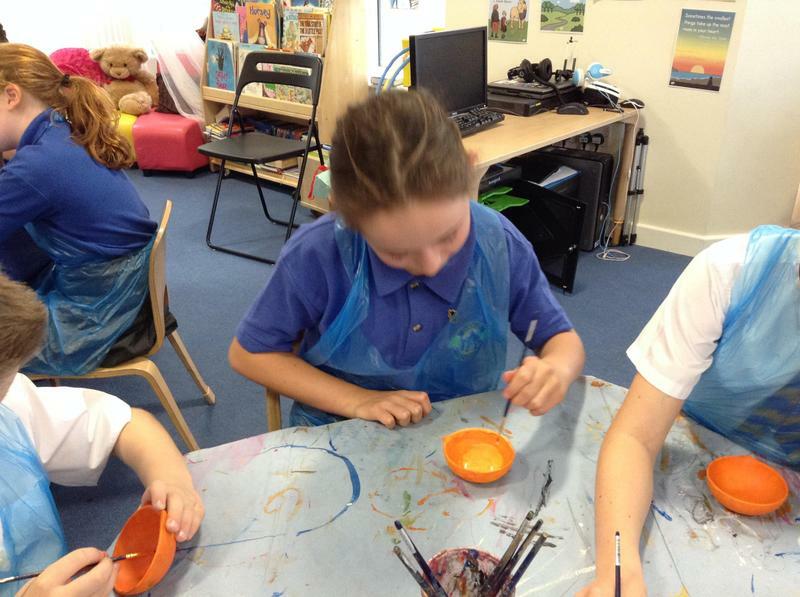 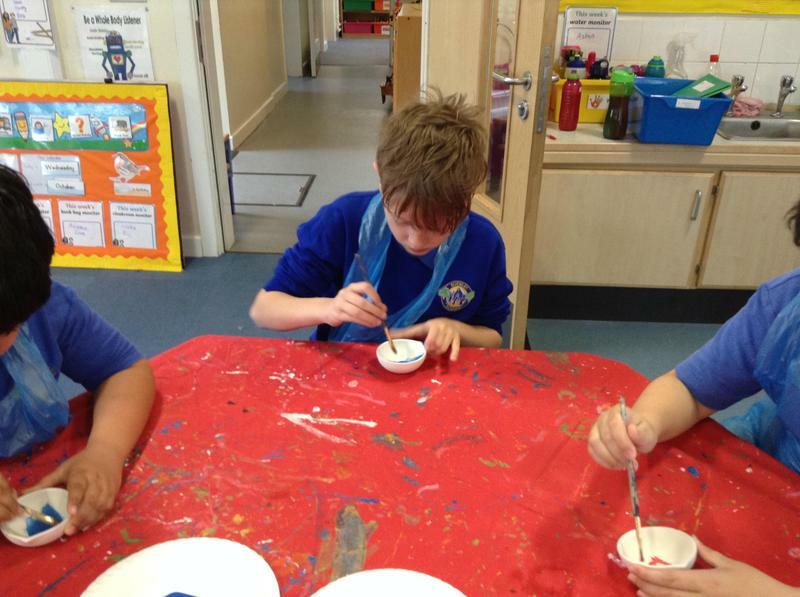 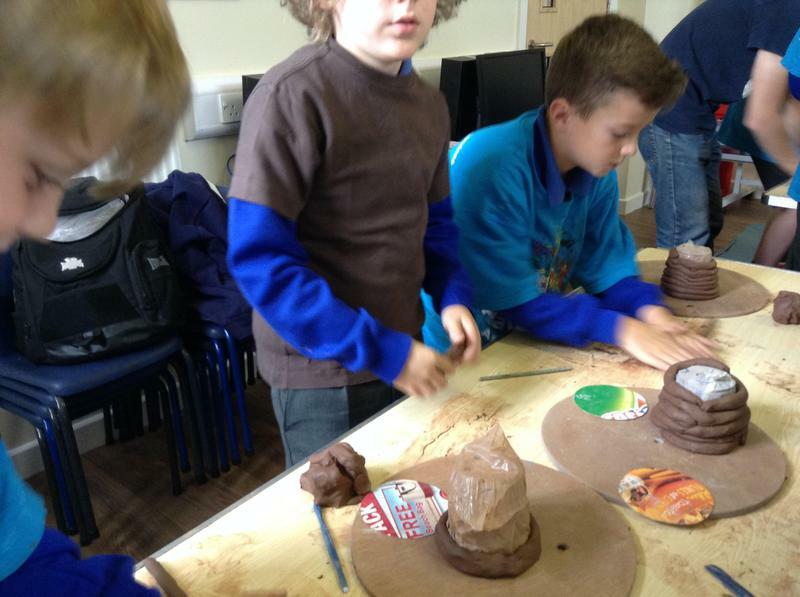 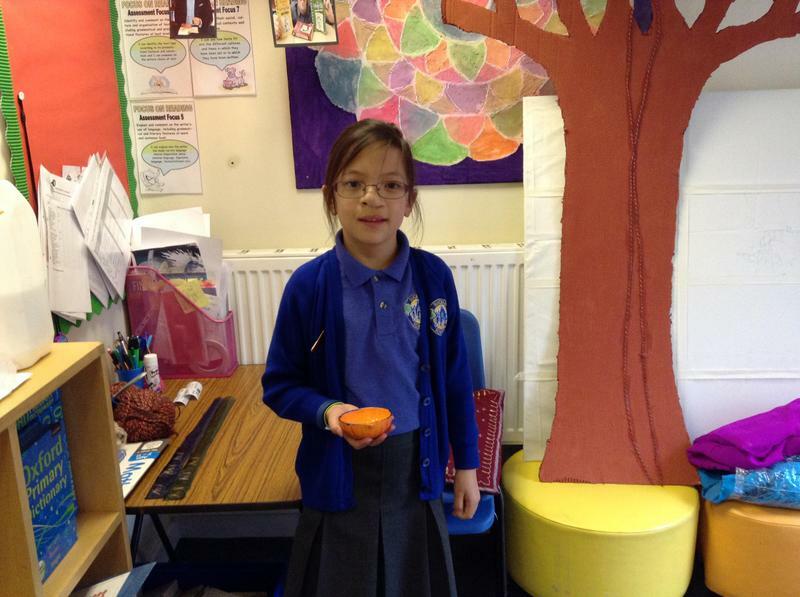 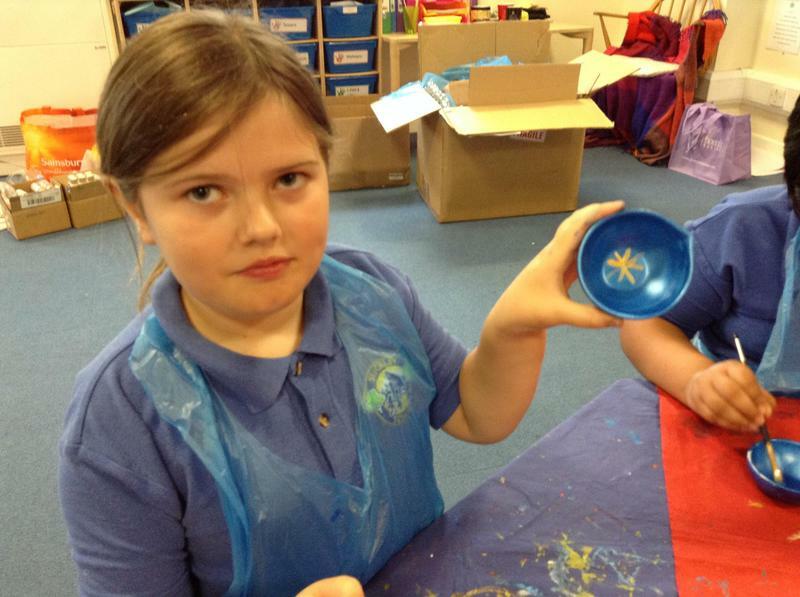 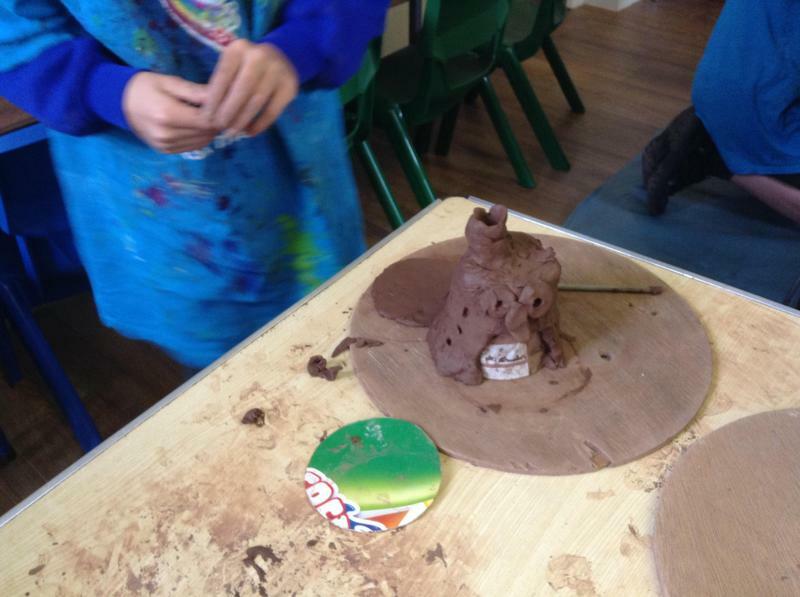 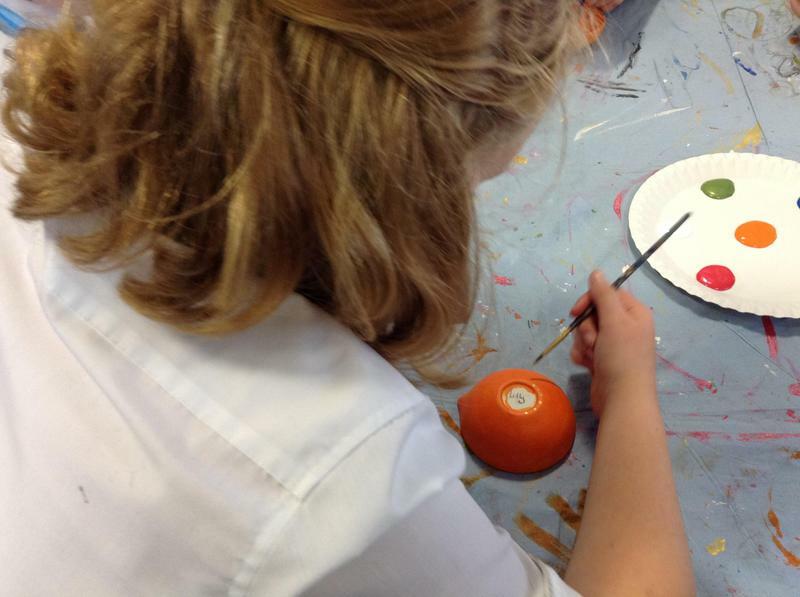 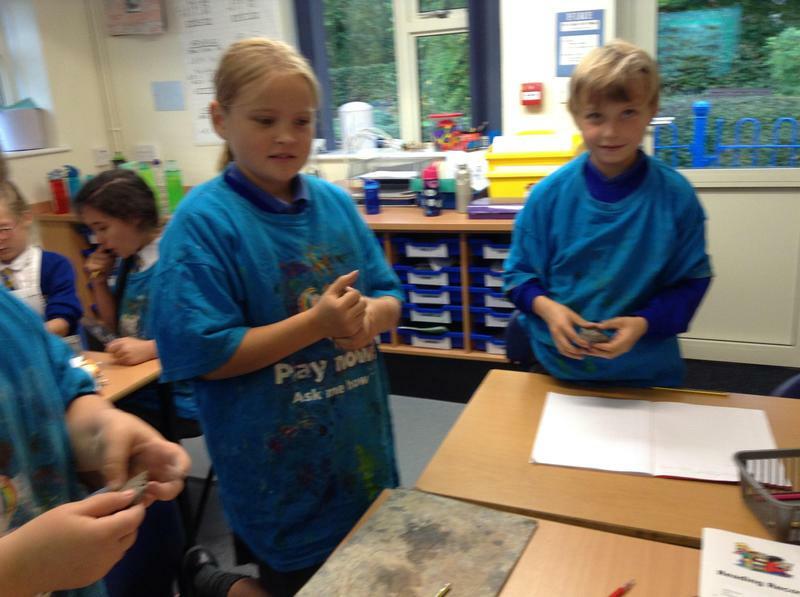 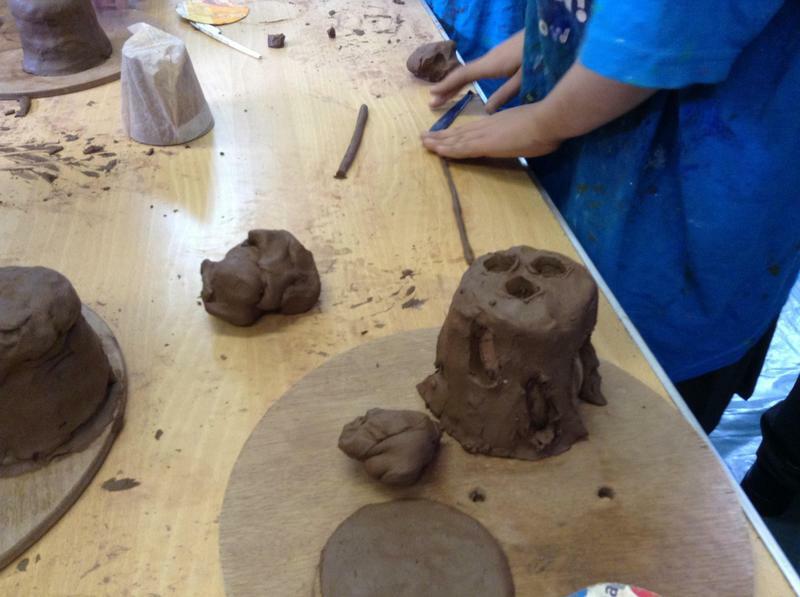 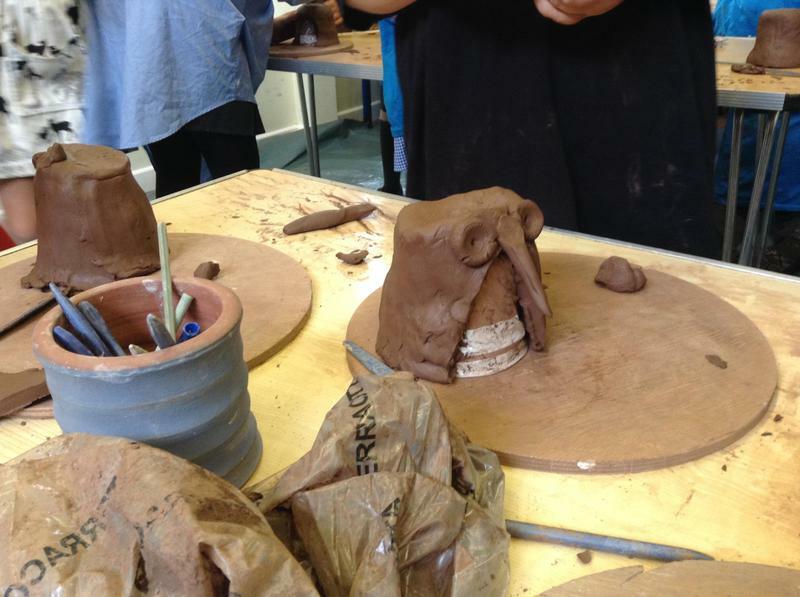 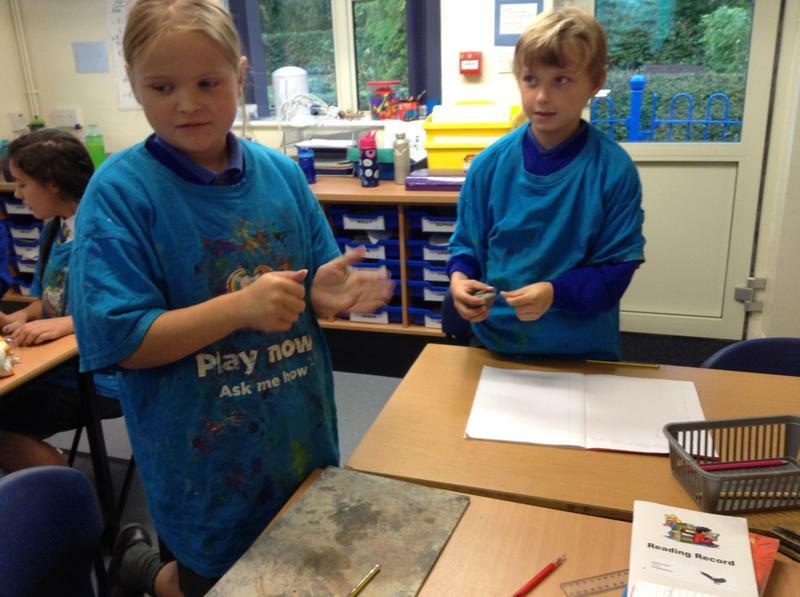 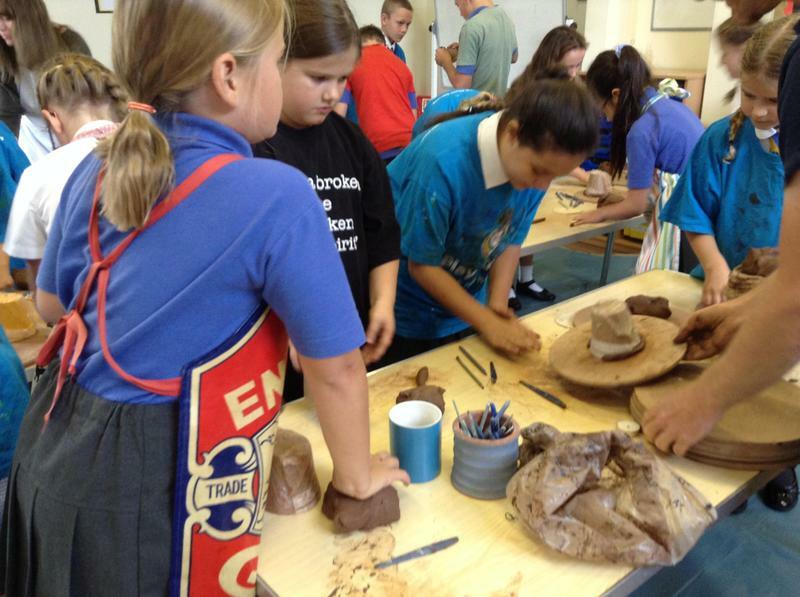 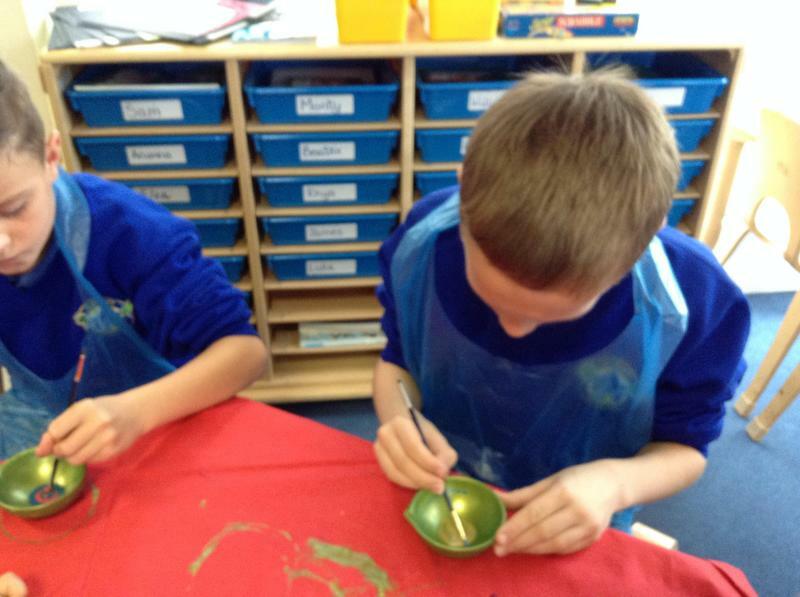 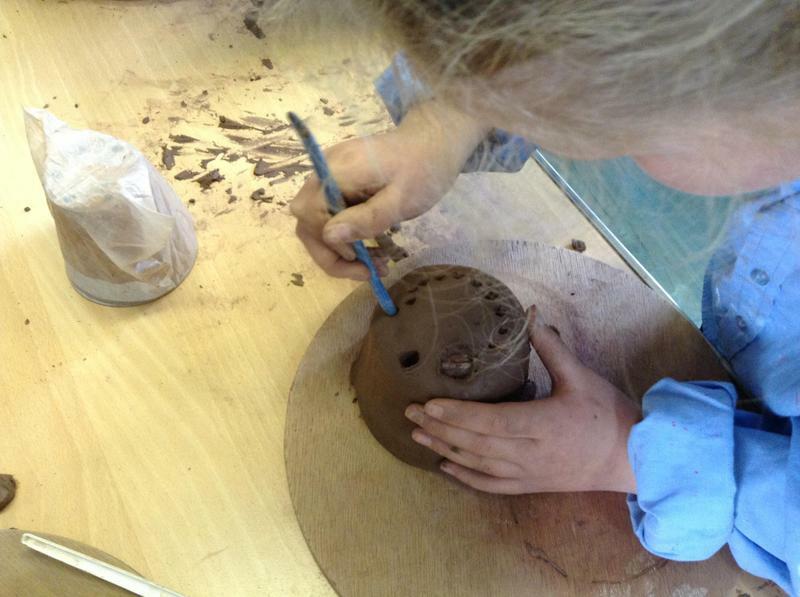 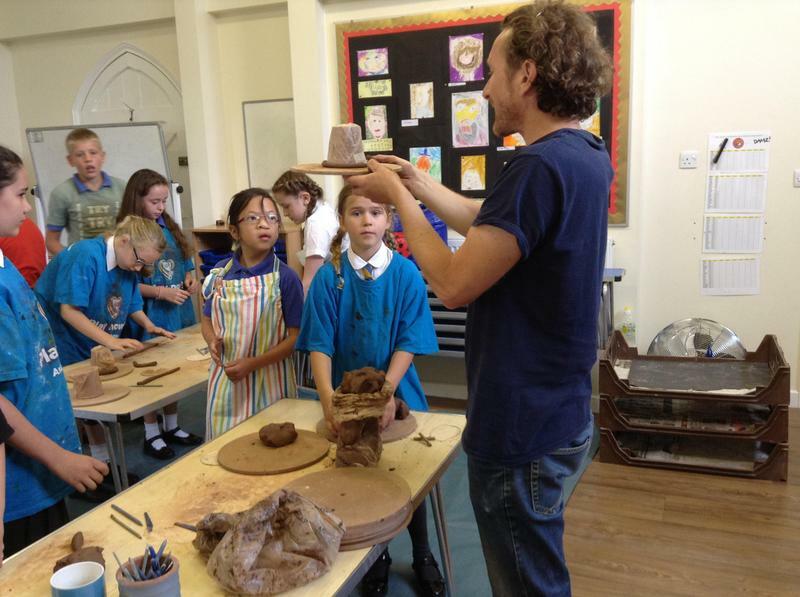 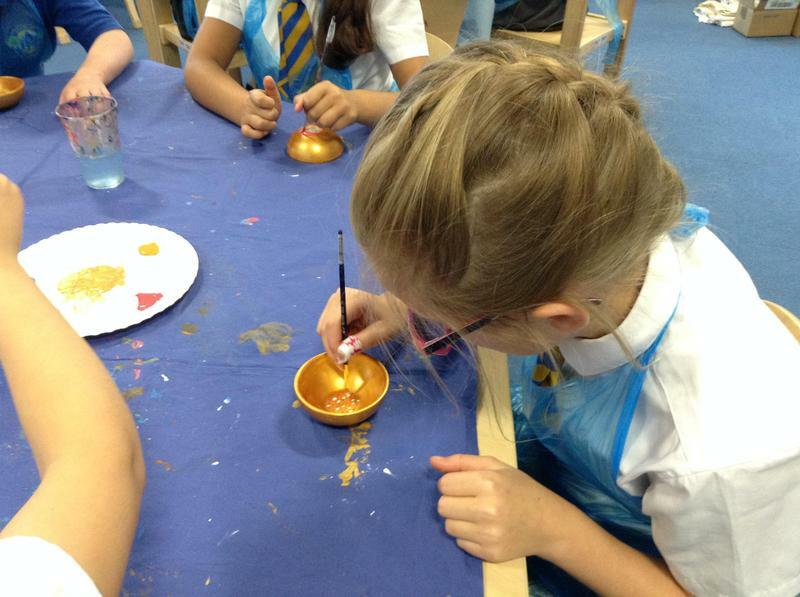 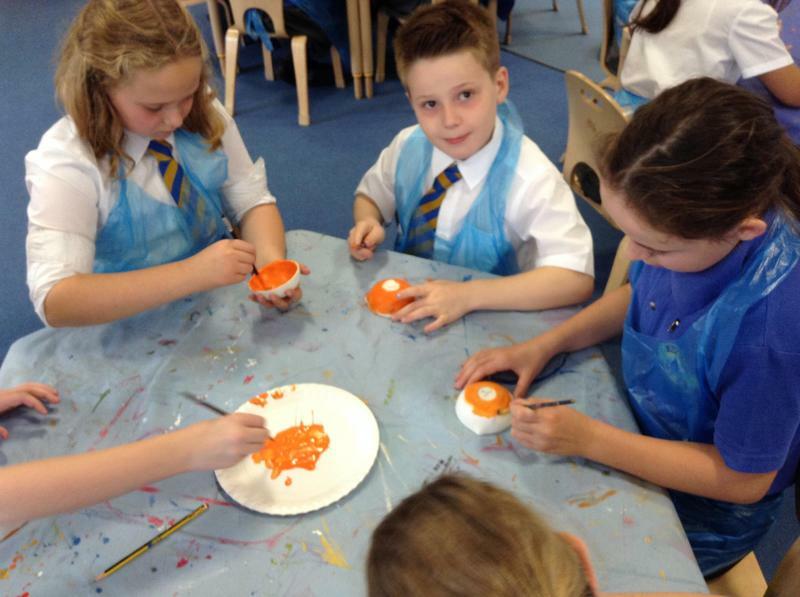 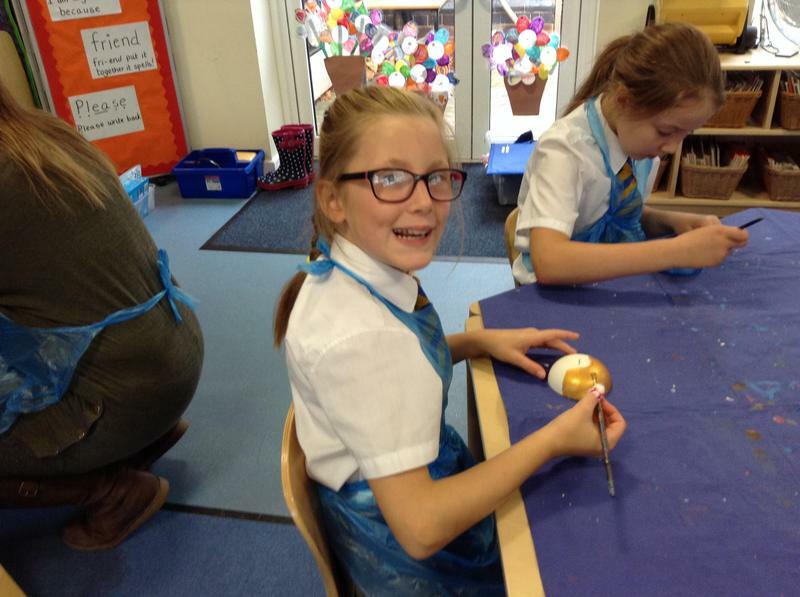 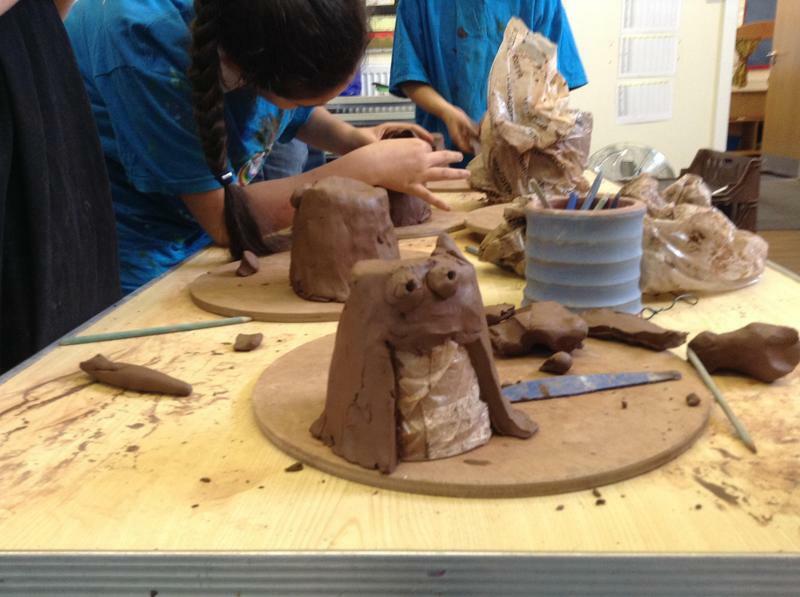 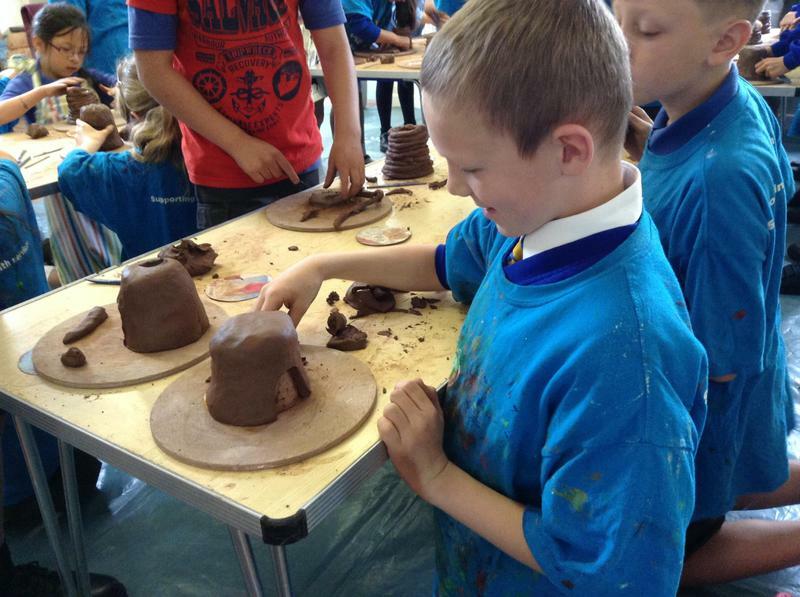 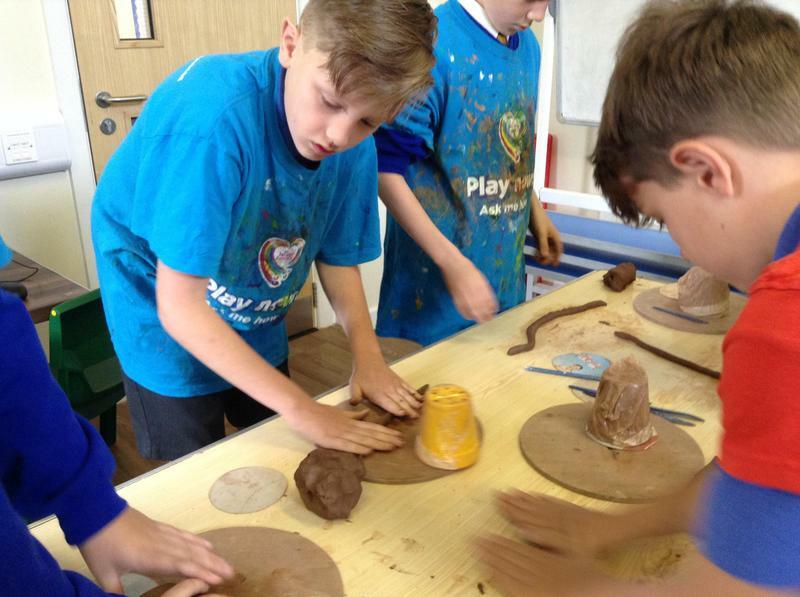 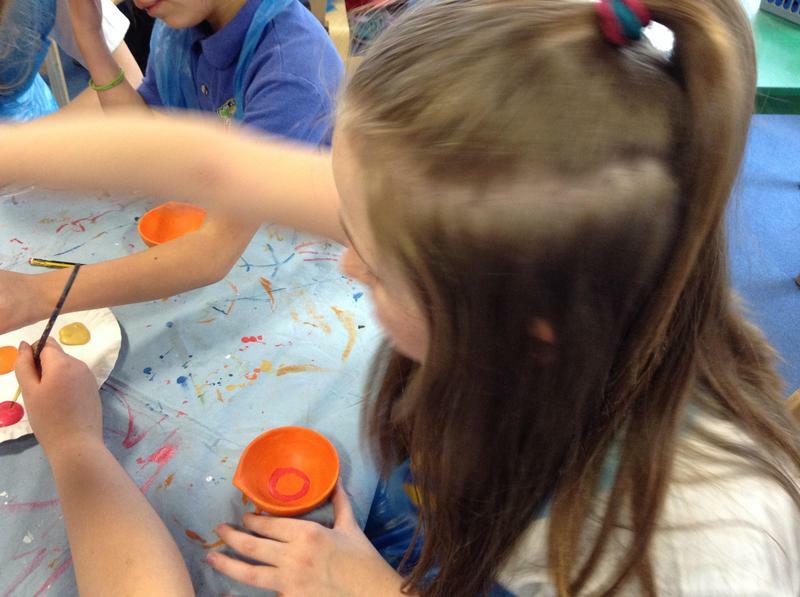 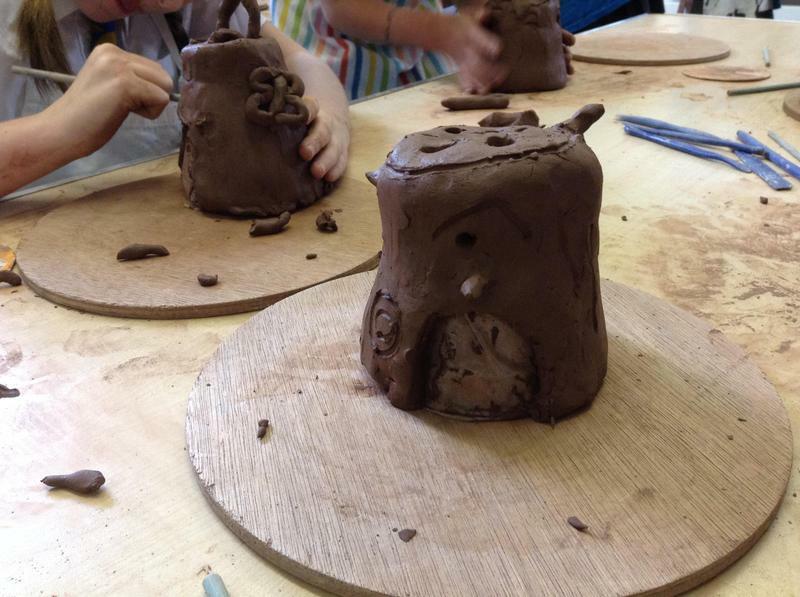 Children in Eagles Class have been busy making clay lanterns to hang in our new peaceful garden. 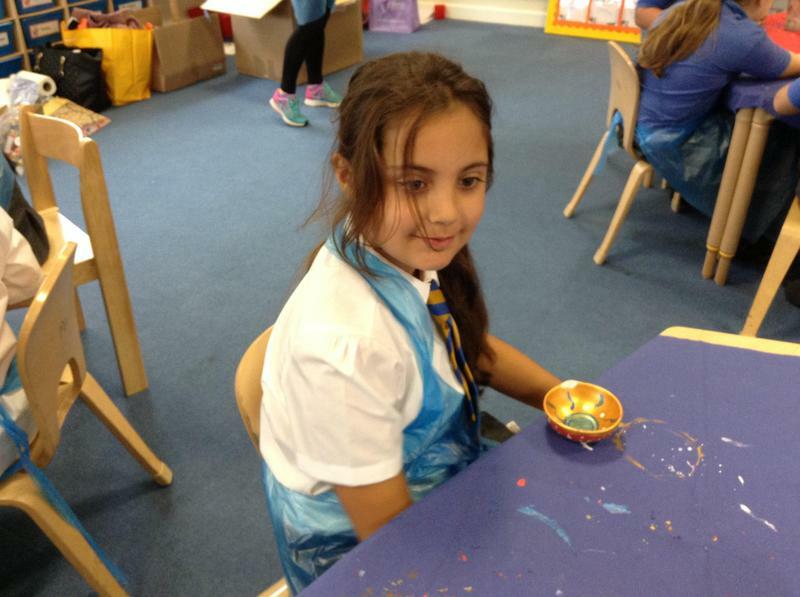 The children used their DT skills and constructed, deconstructed, shaped, embellished, analysed and evaluated their work, with pride. 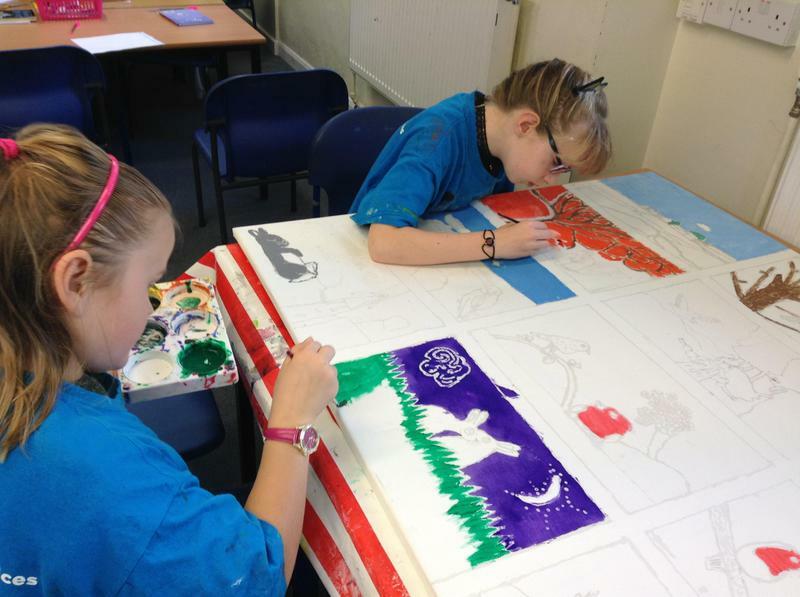 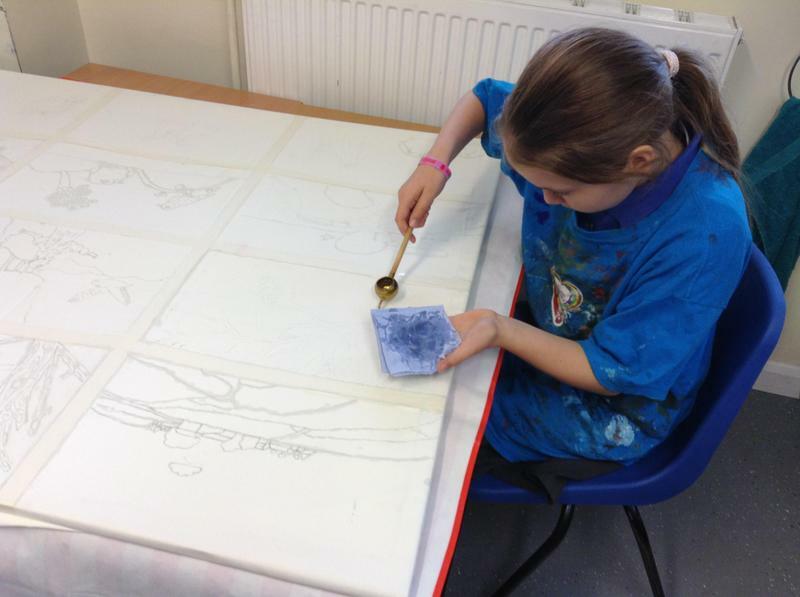 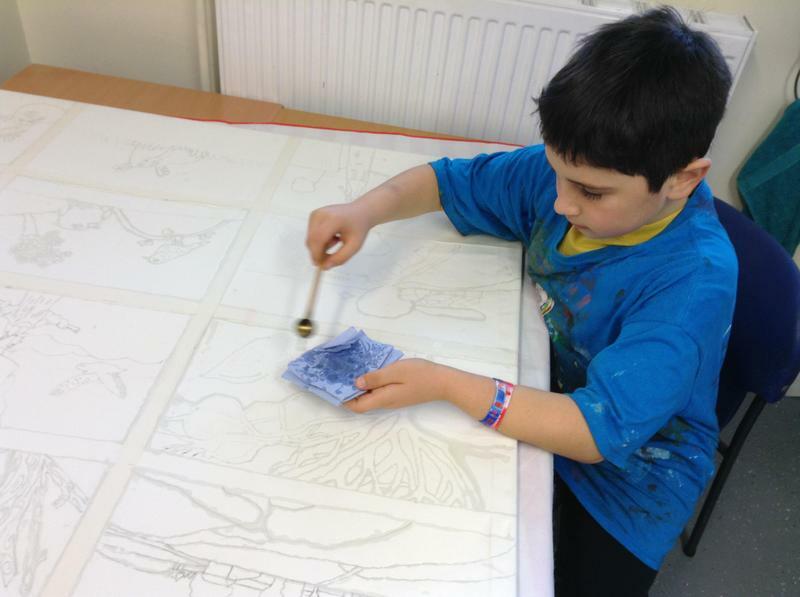 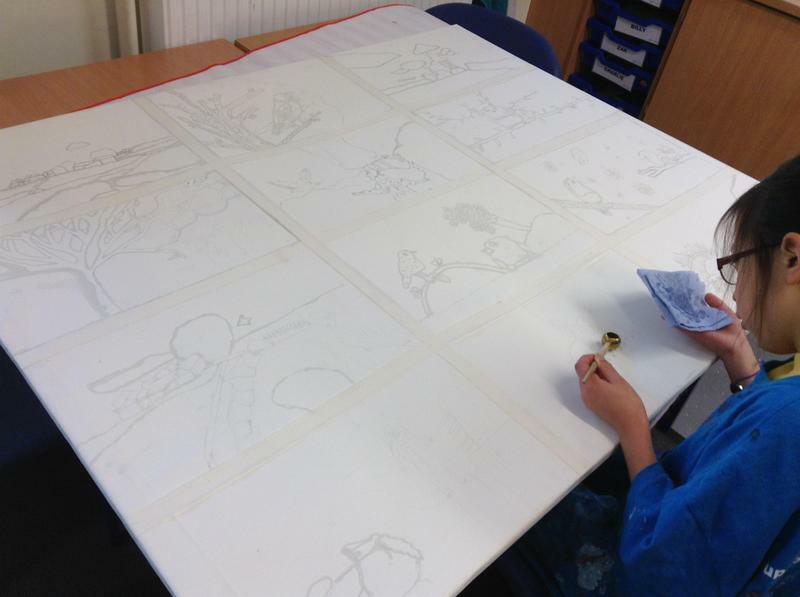 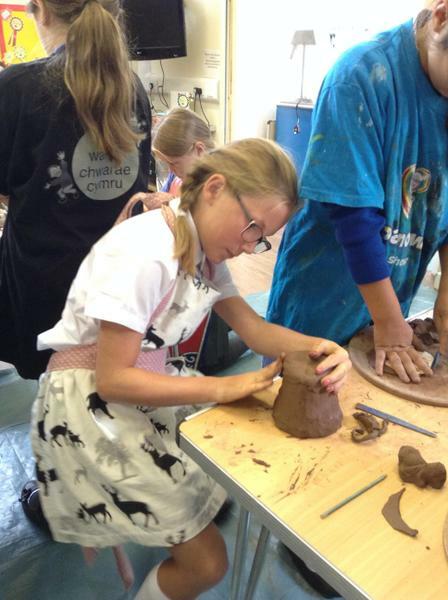 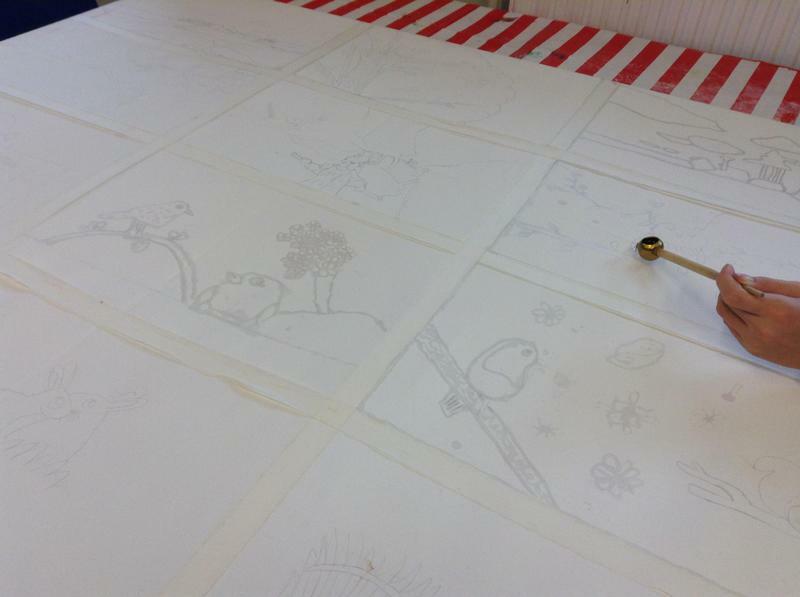 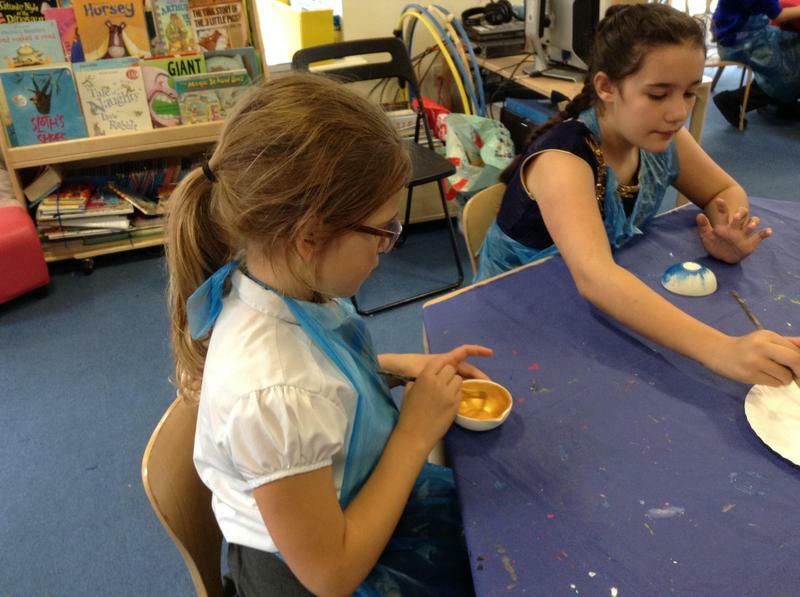 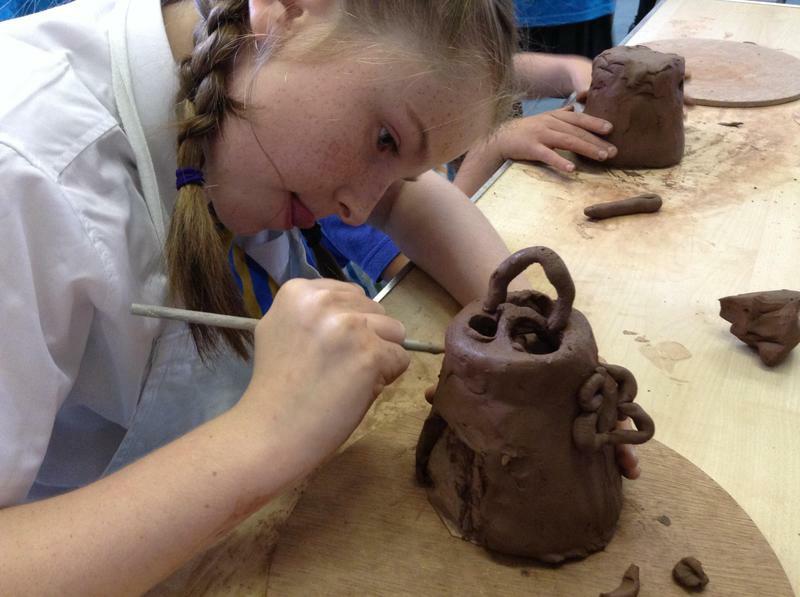 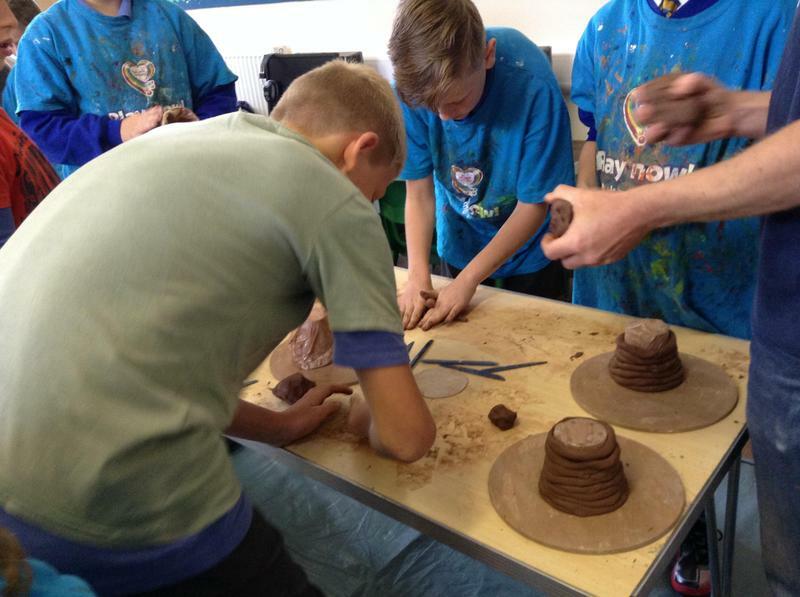 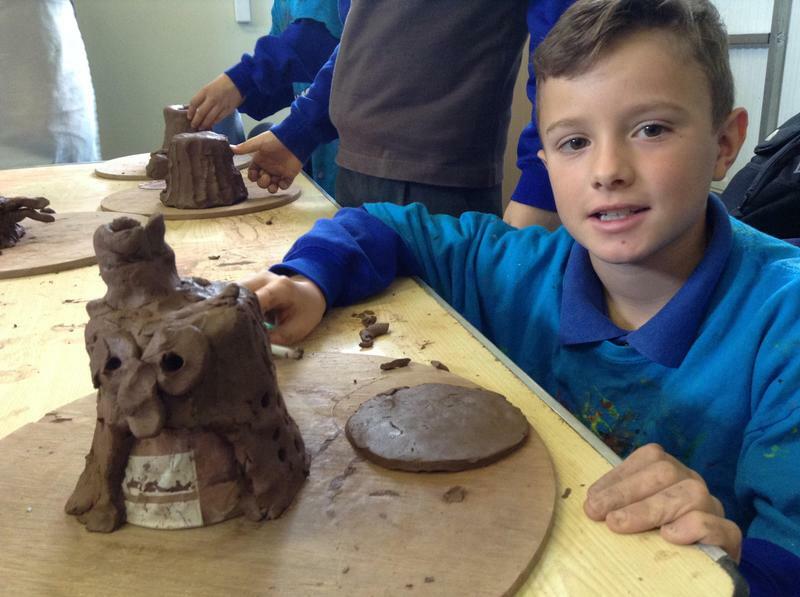 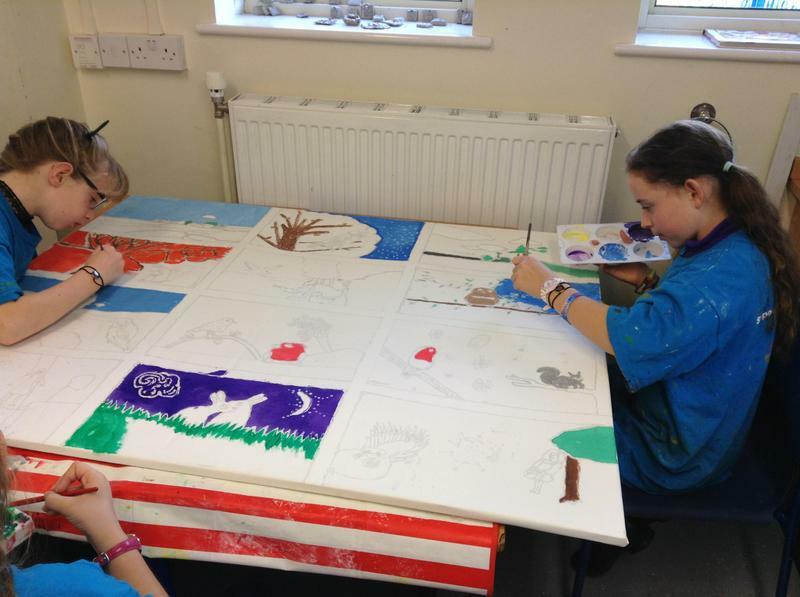 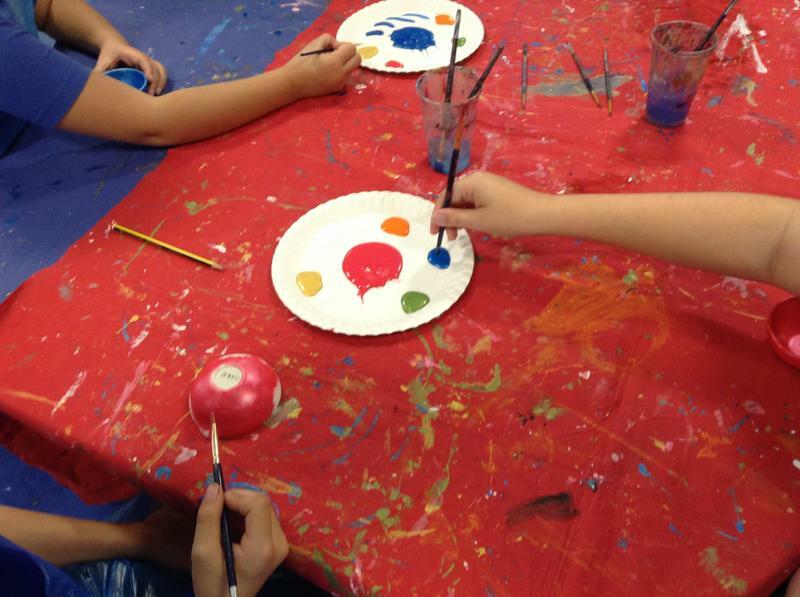 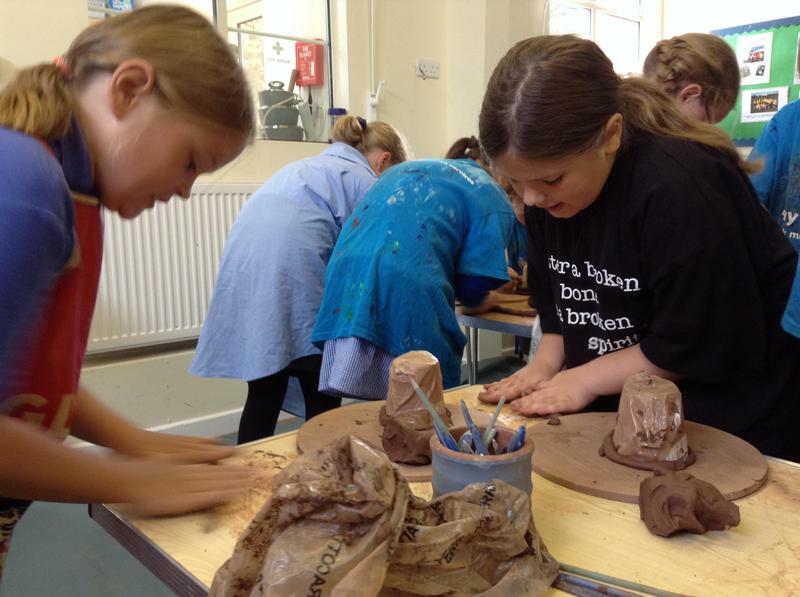 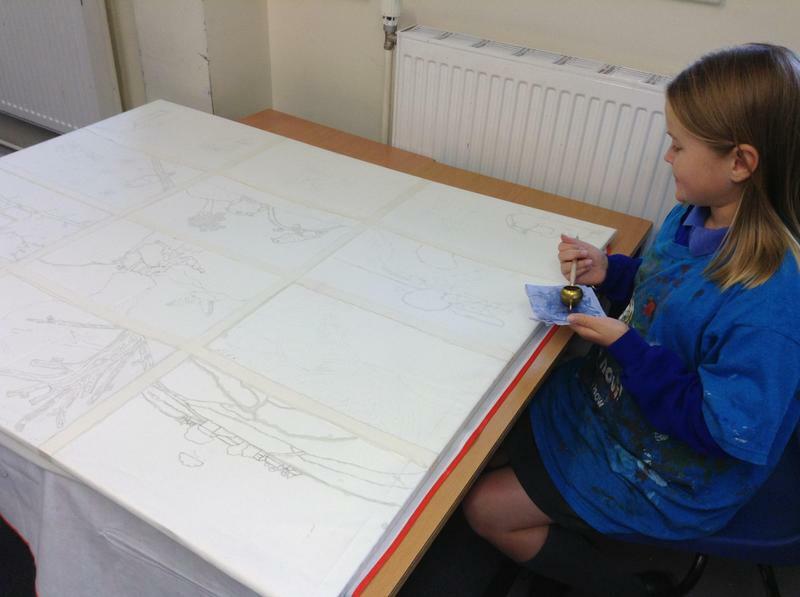 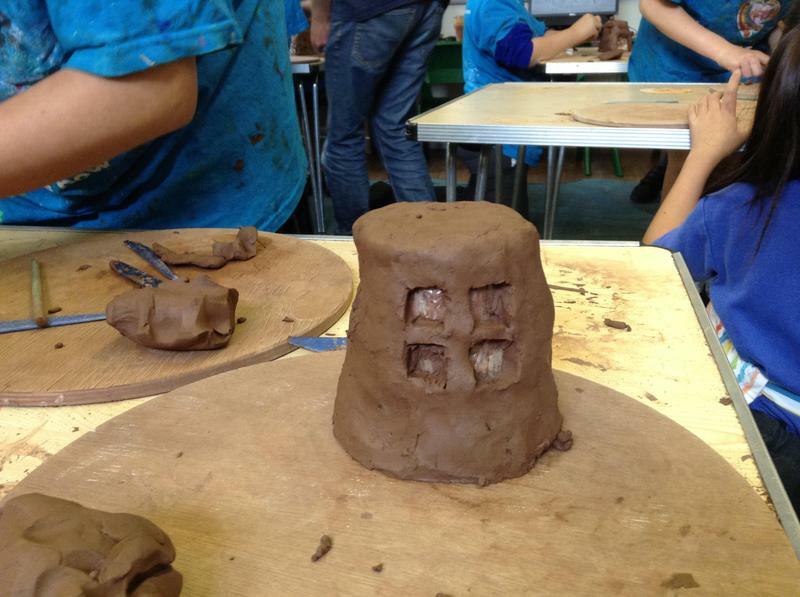 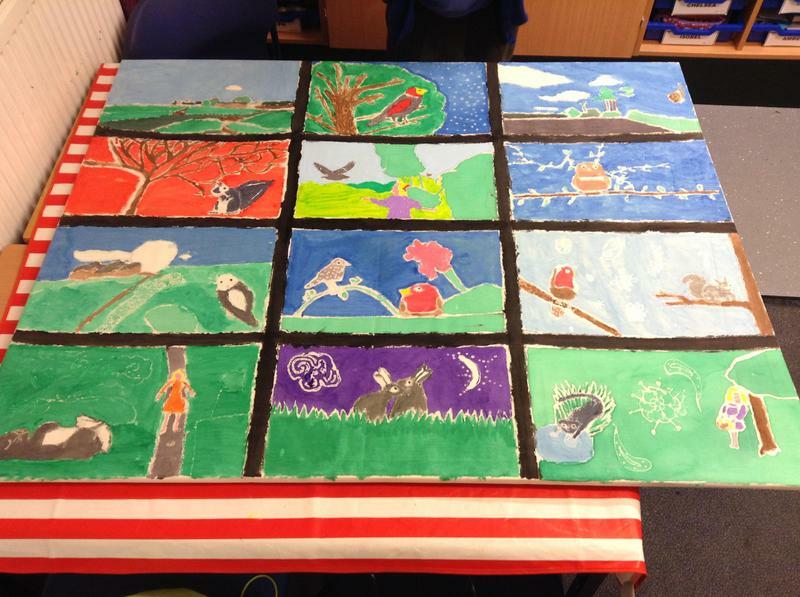 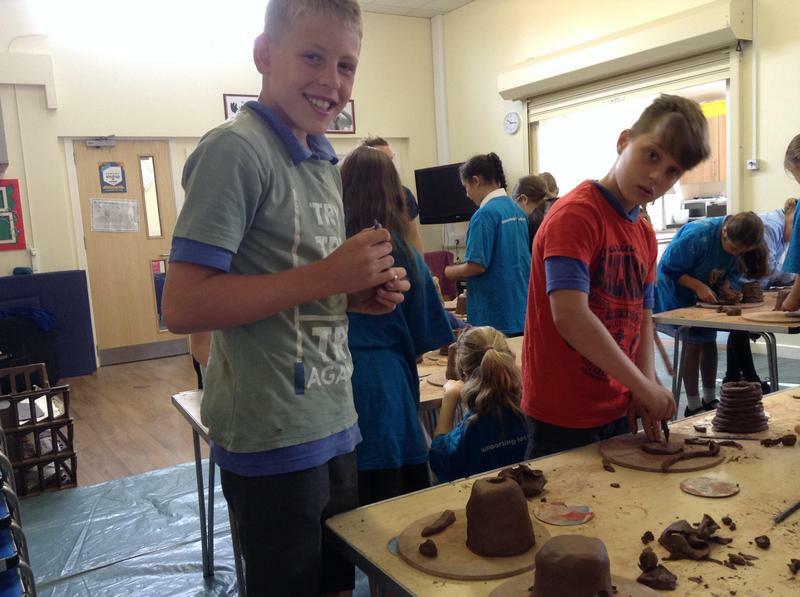 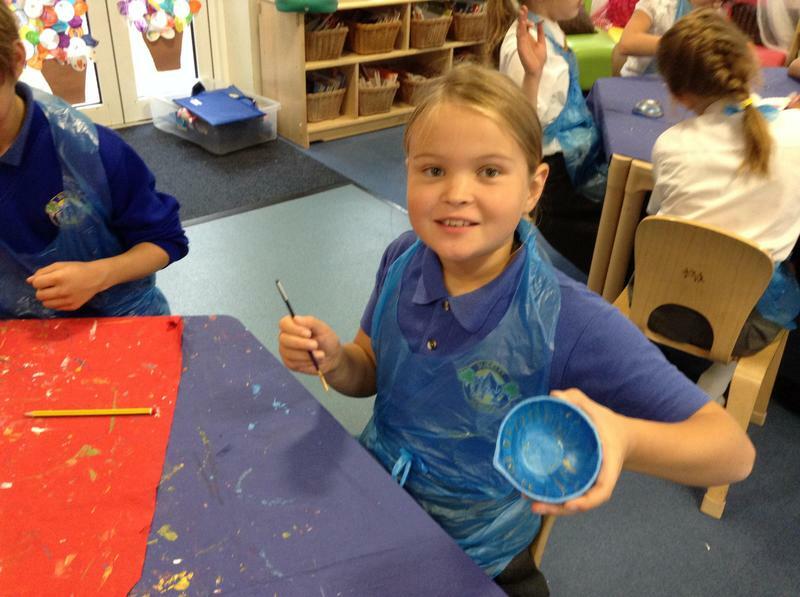 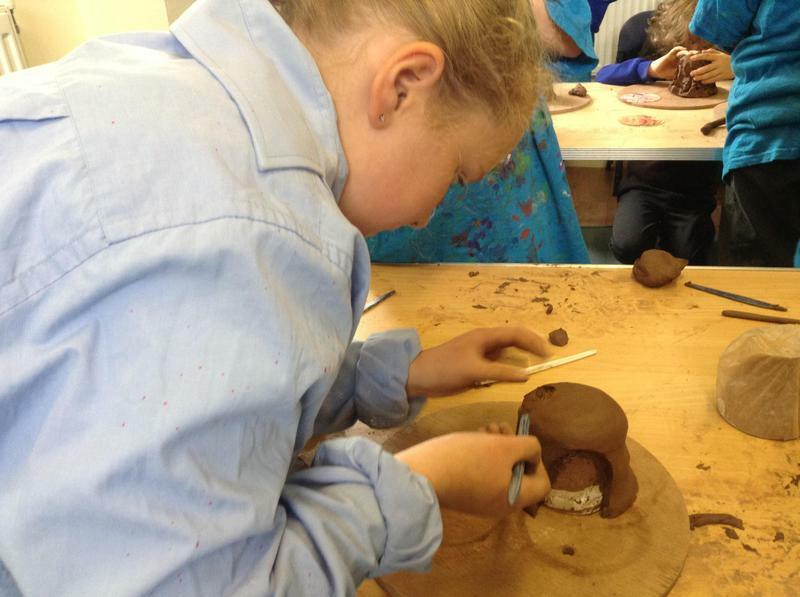 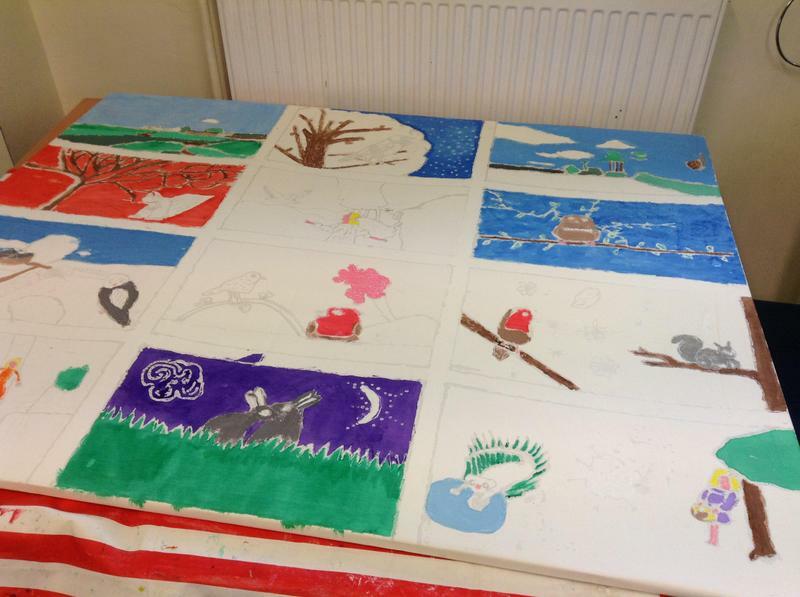 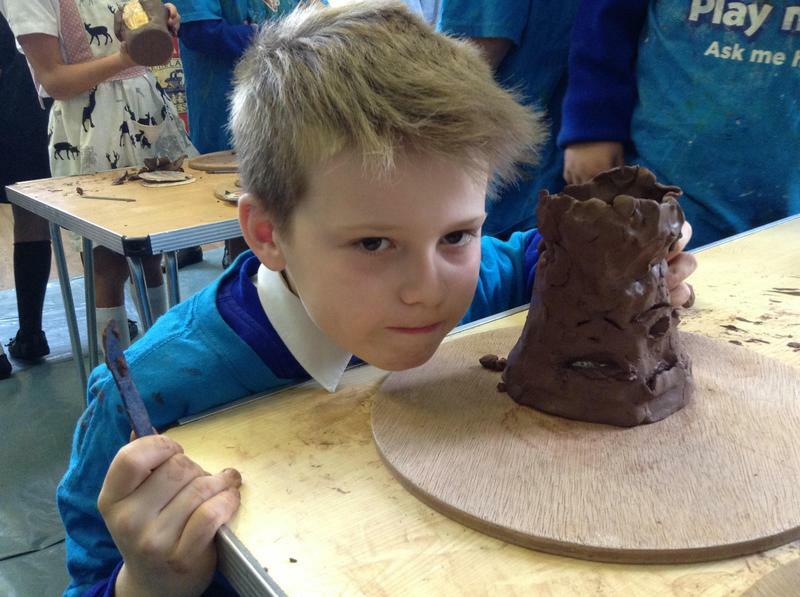 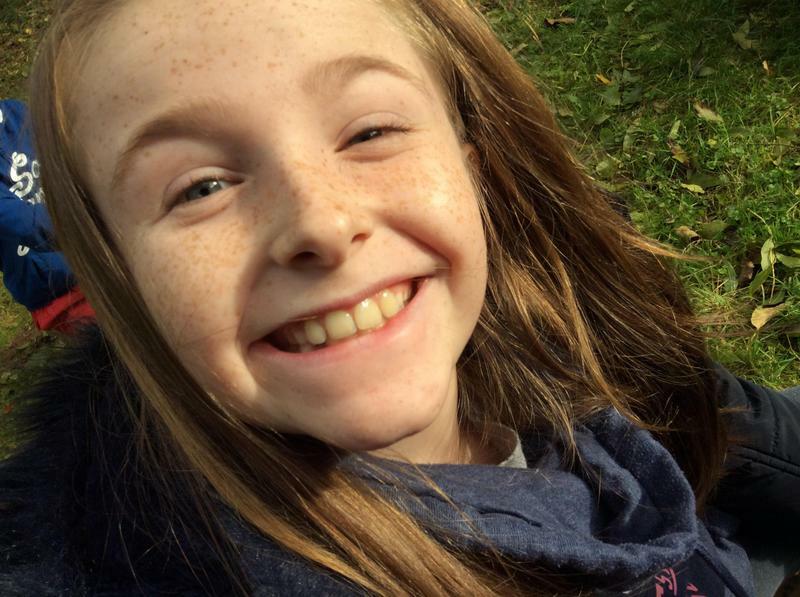 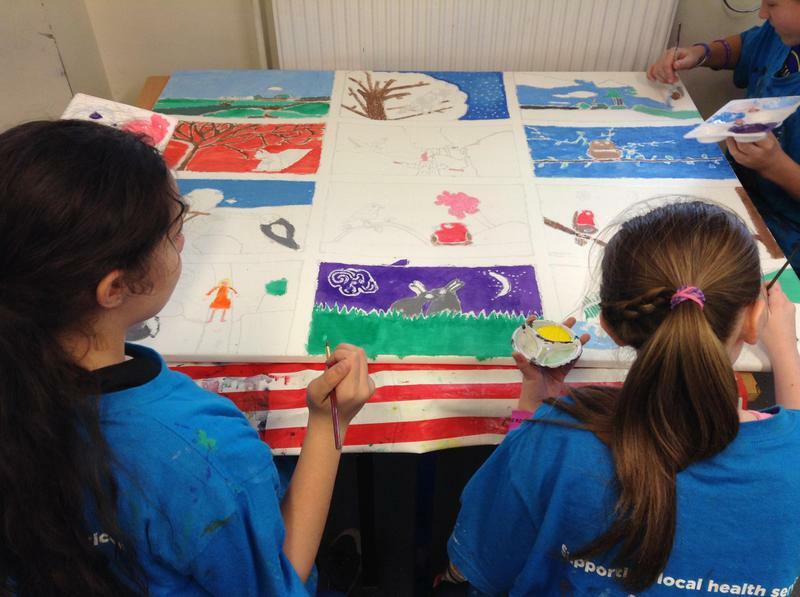 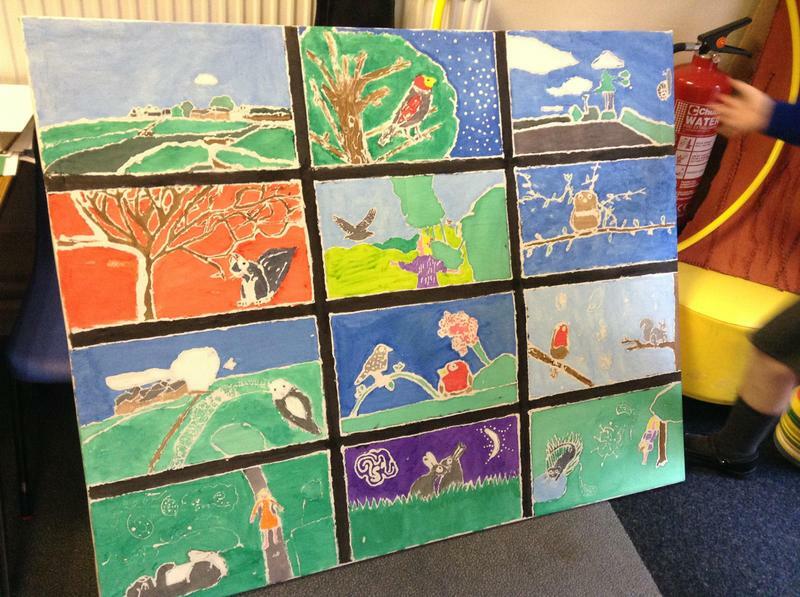 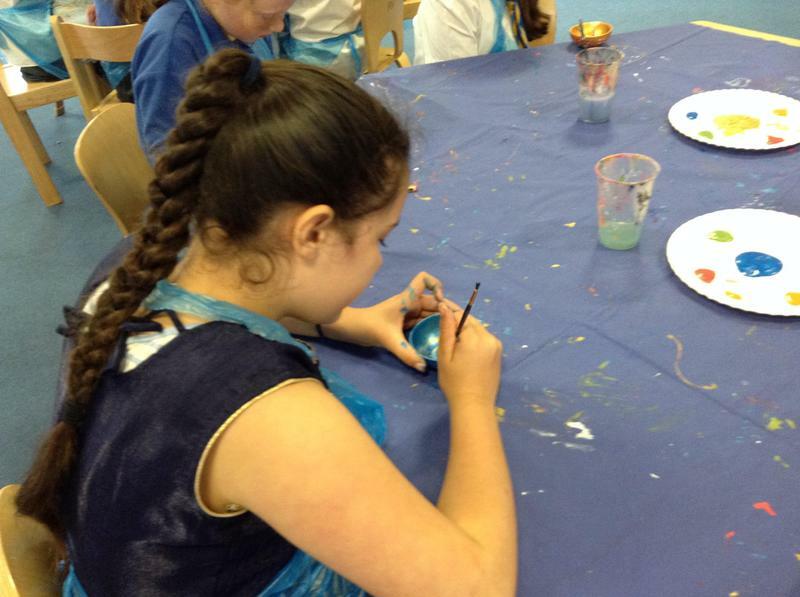 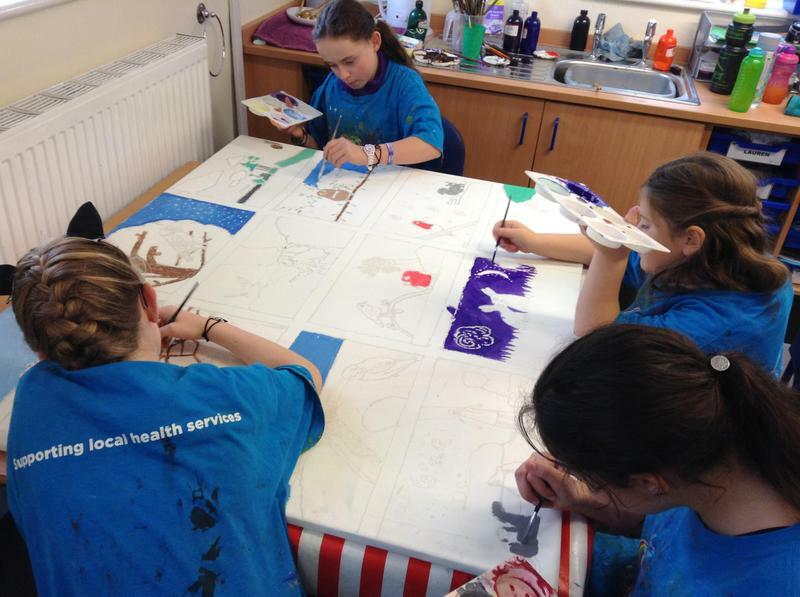 Take a look at our gallery of photos to see work in progress so far! 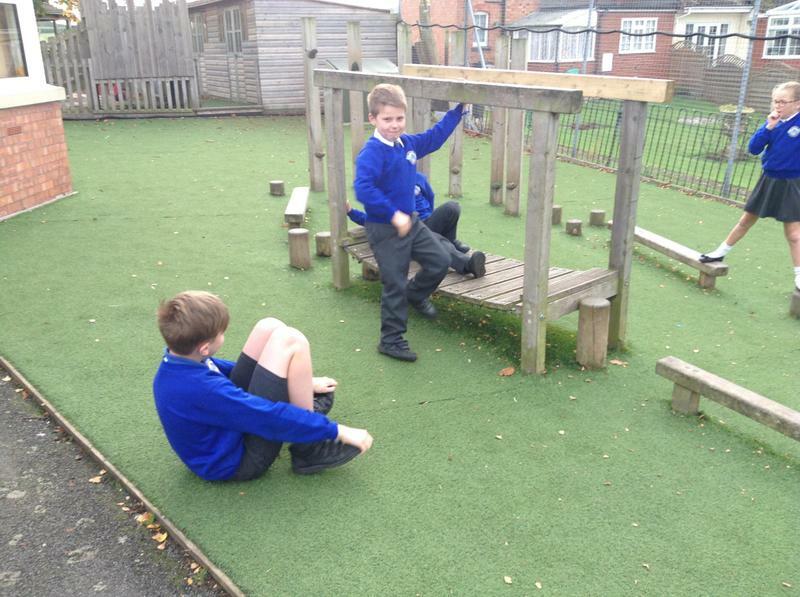 A Monday afternoon in Eagles! 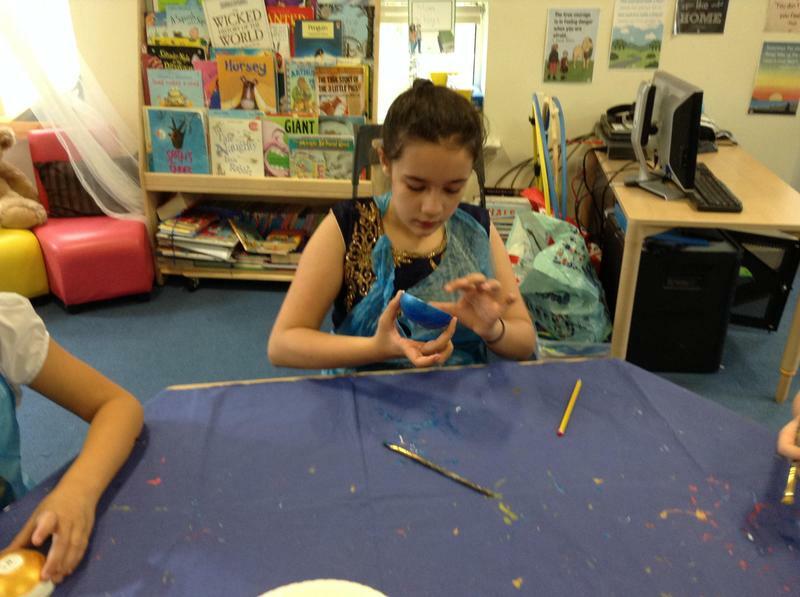 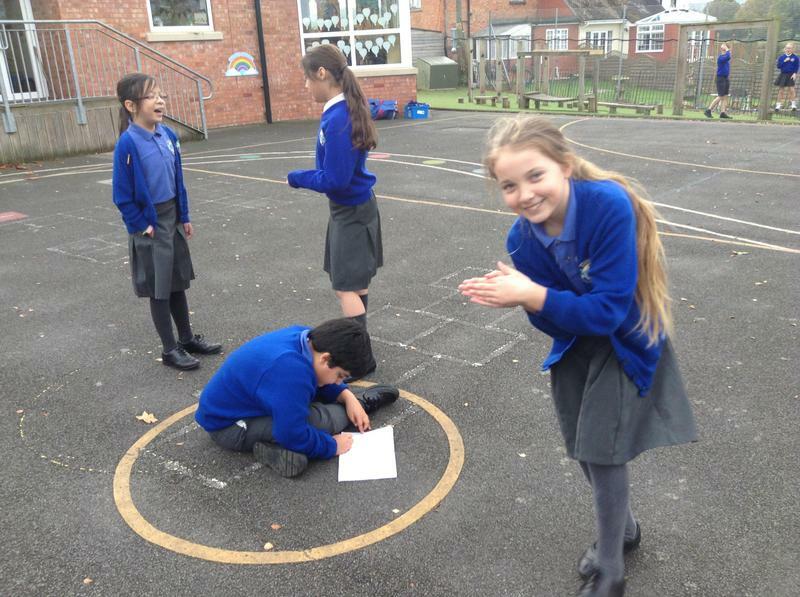 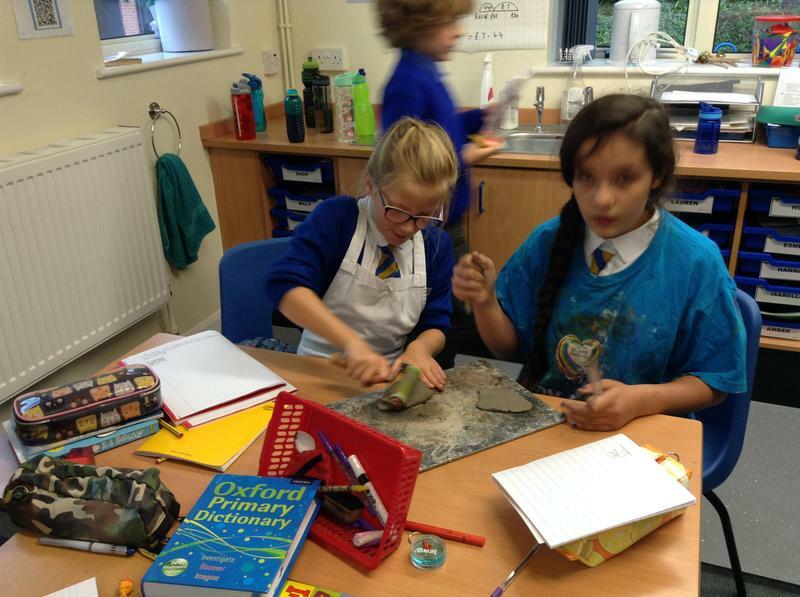 The children have been studying the Indus Valley Civilisation. 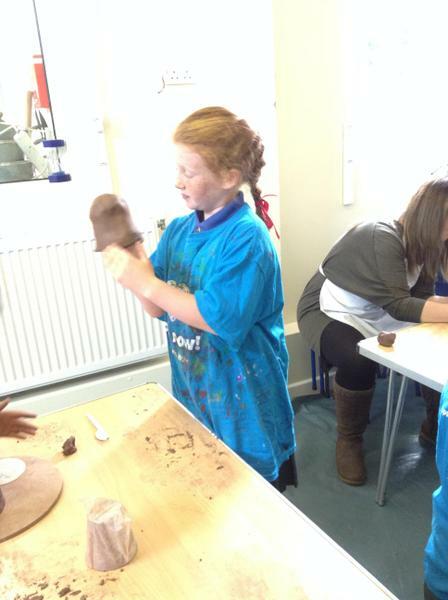 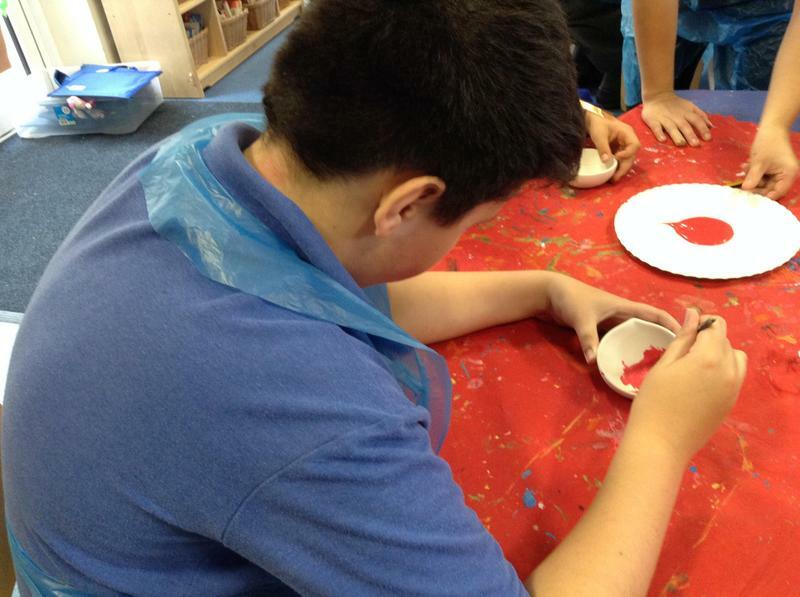 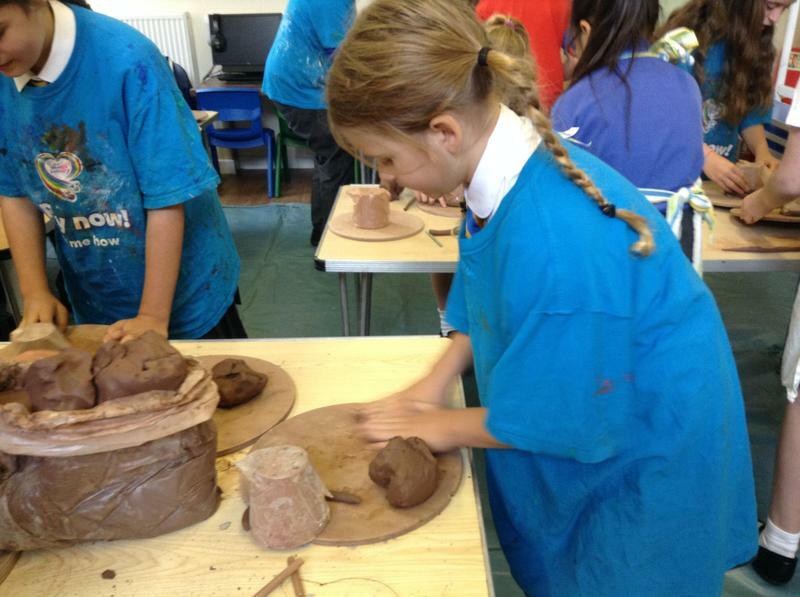 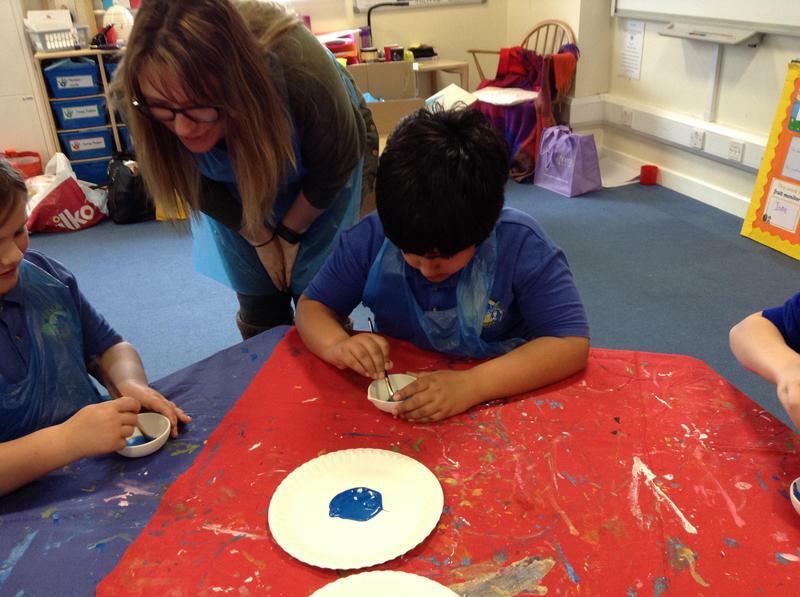 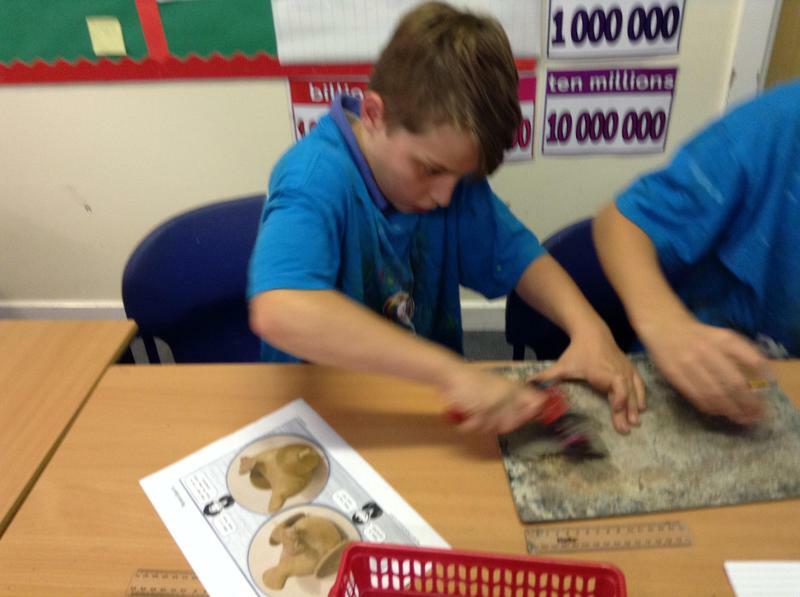 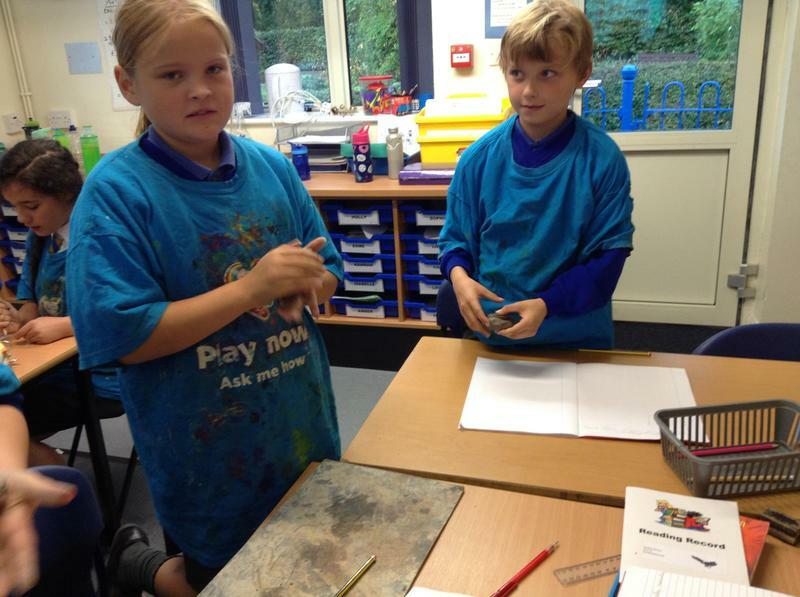 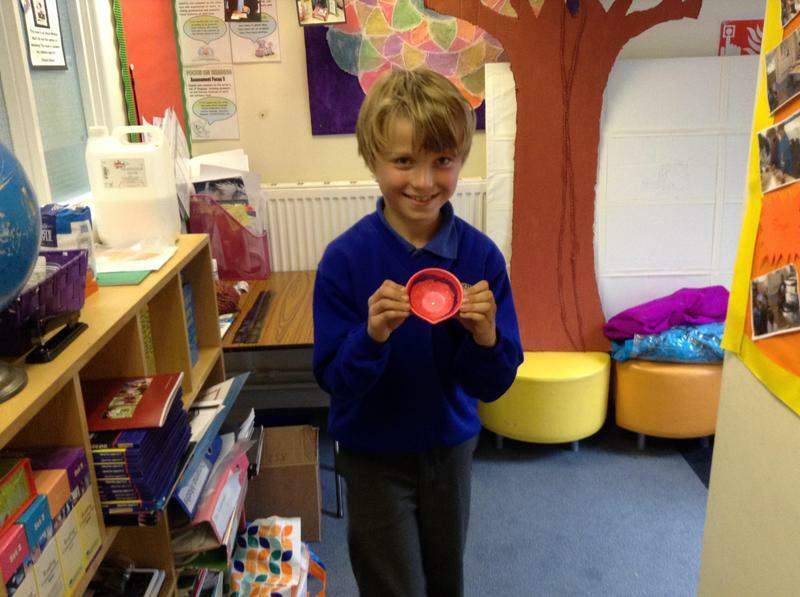 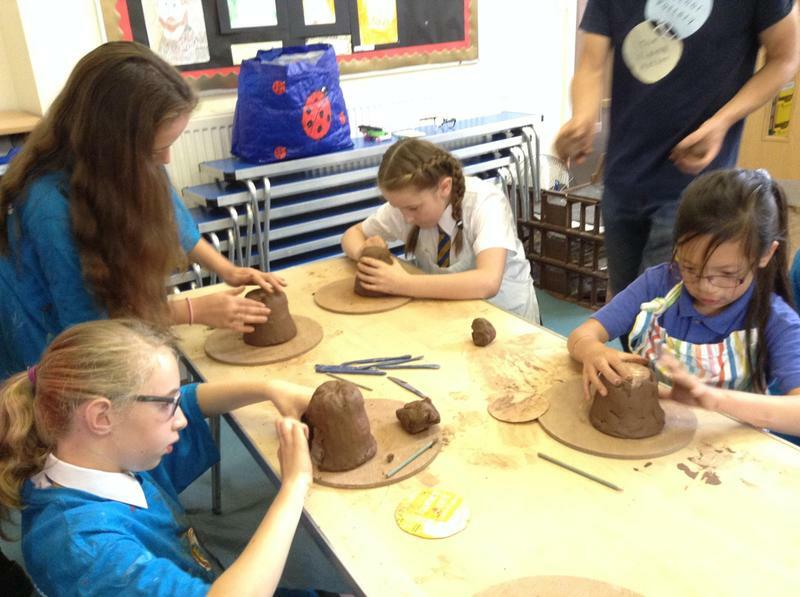 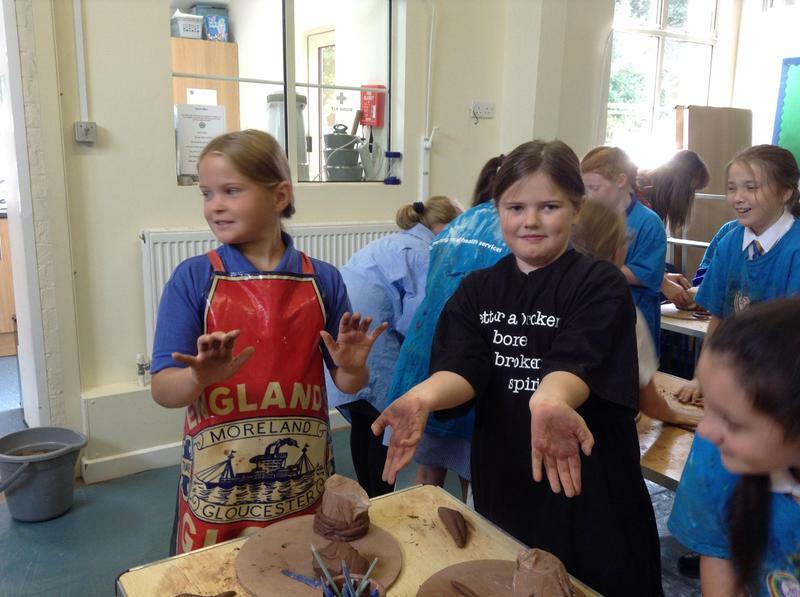 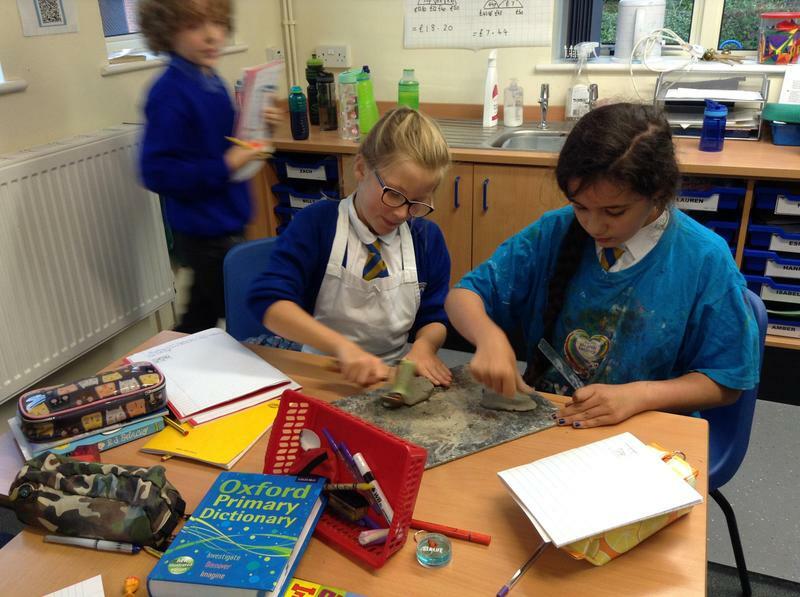 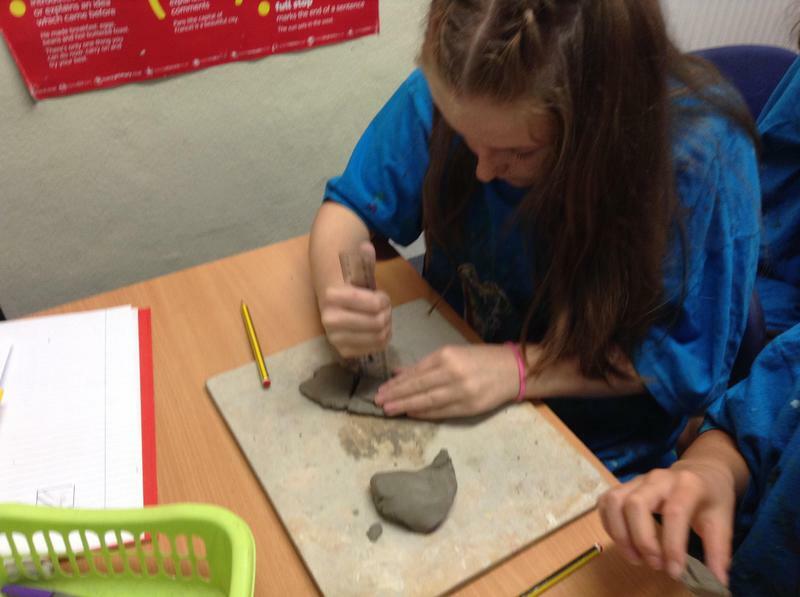 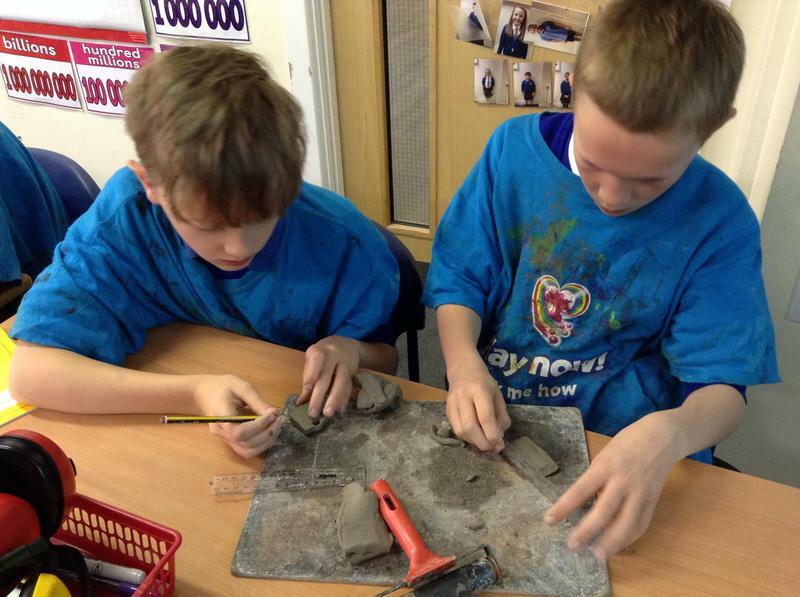 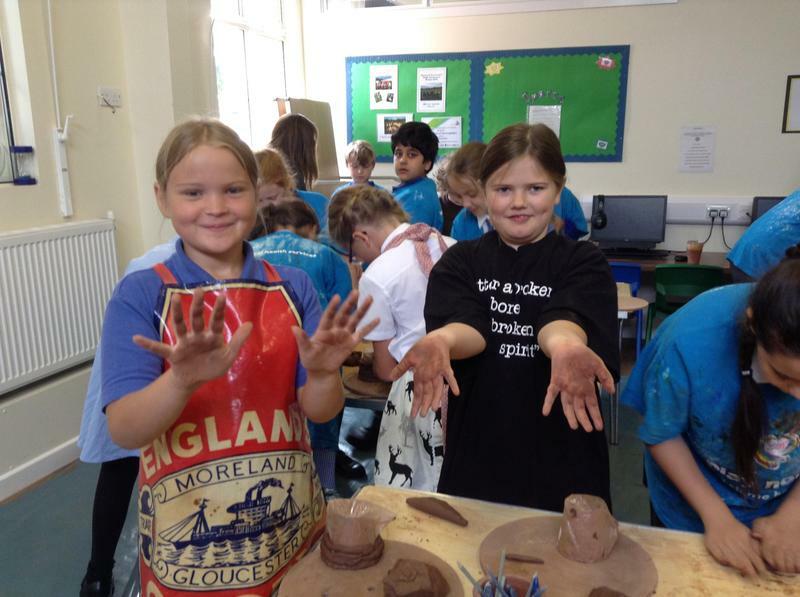 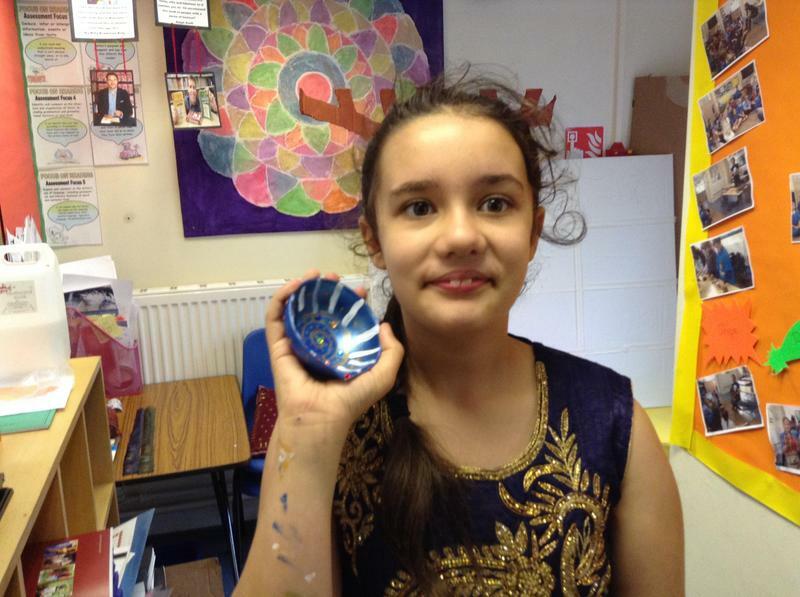 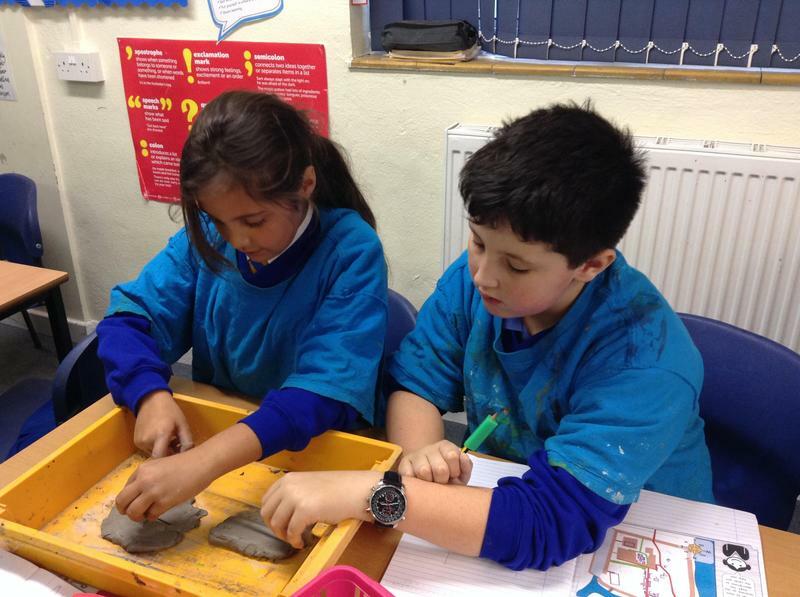 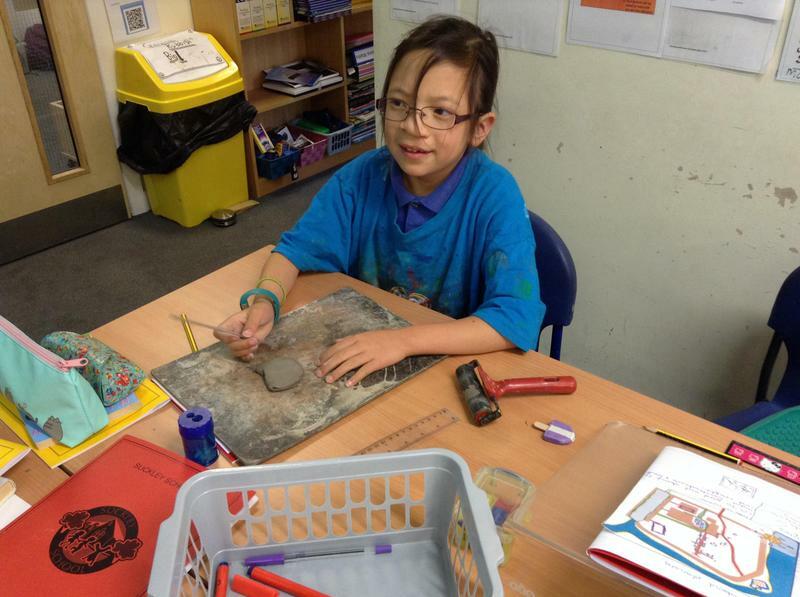 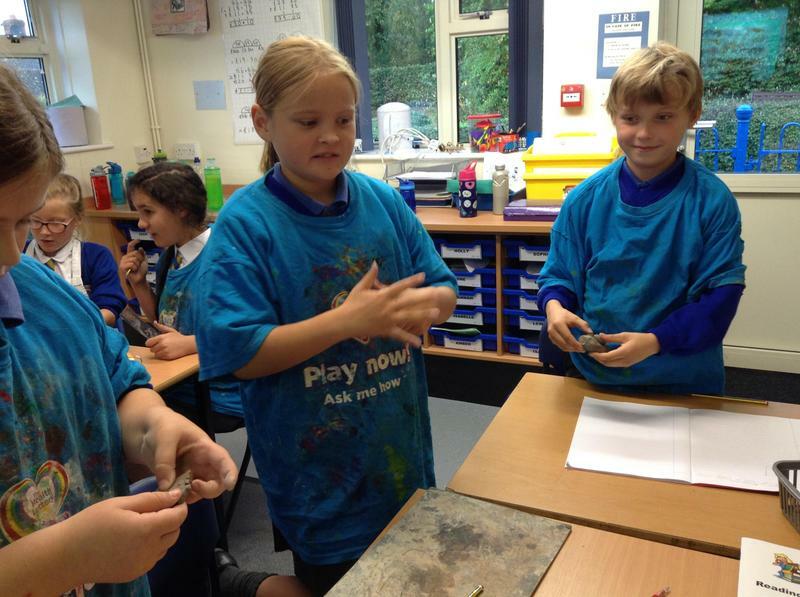 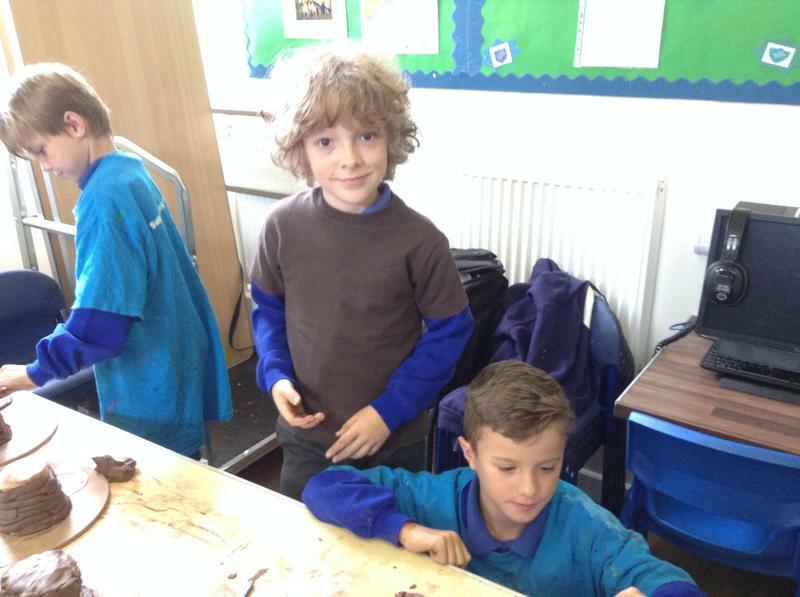 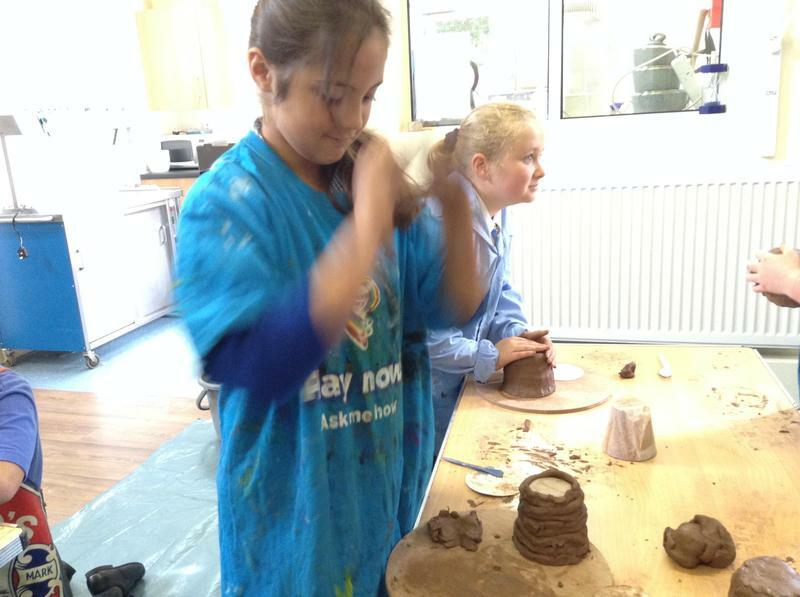 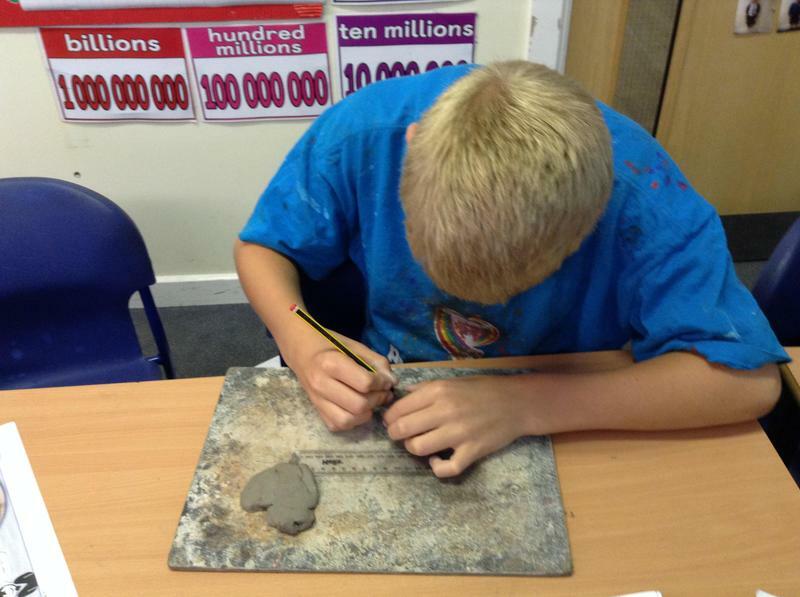 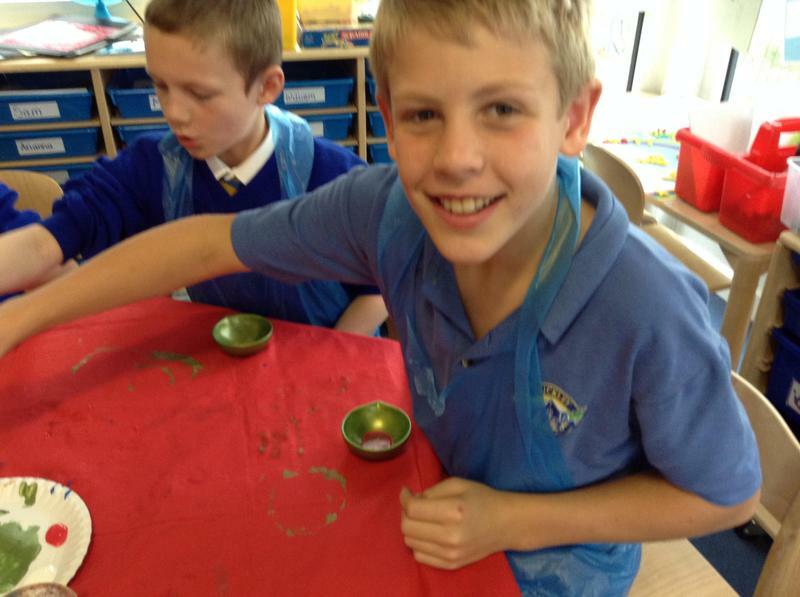 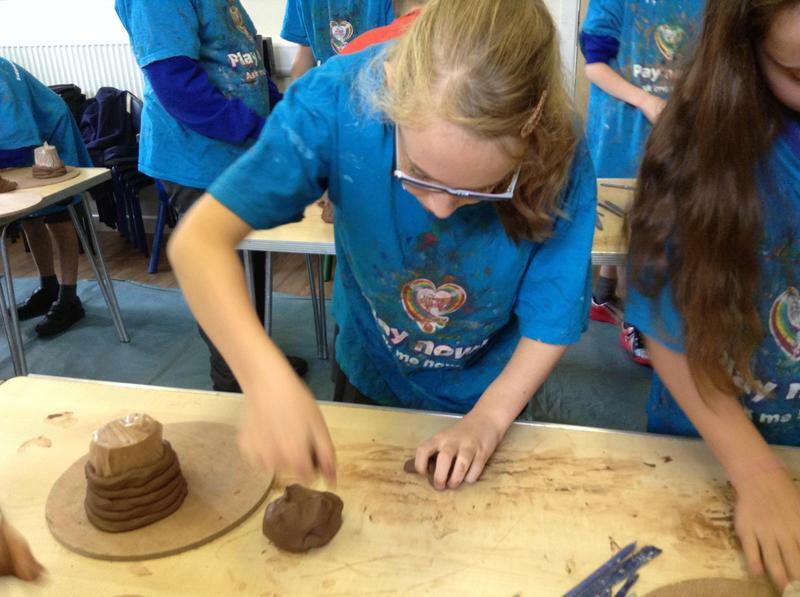 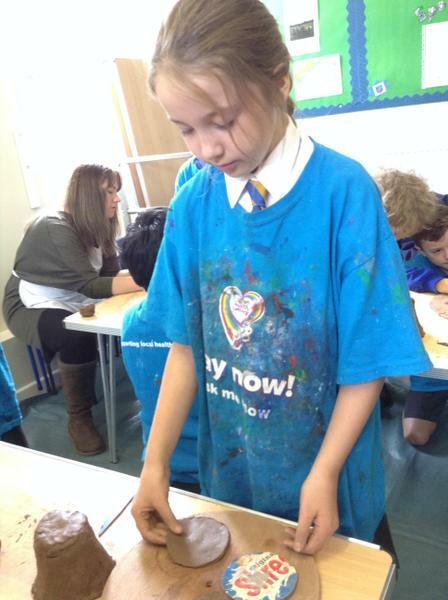 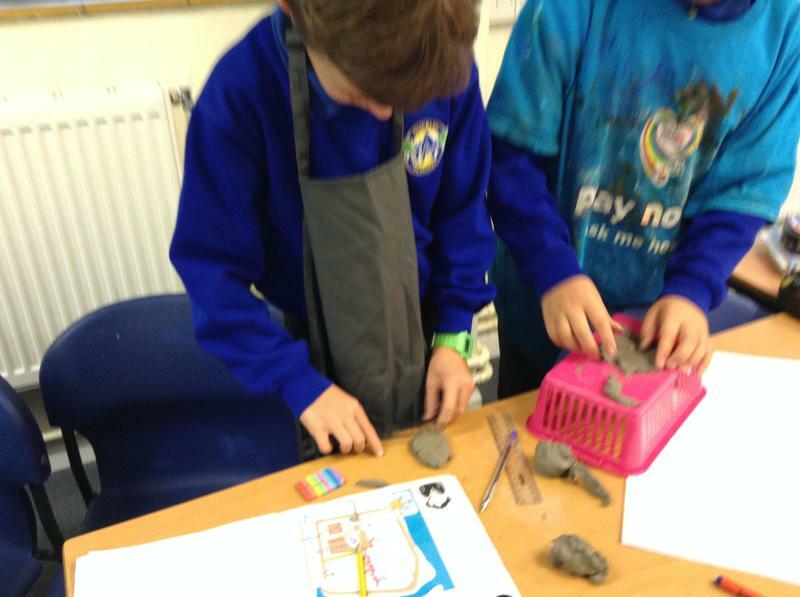 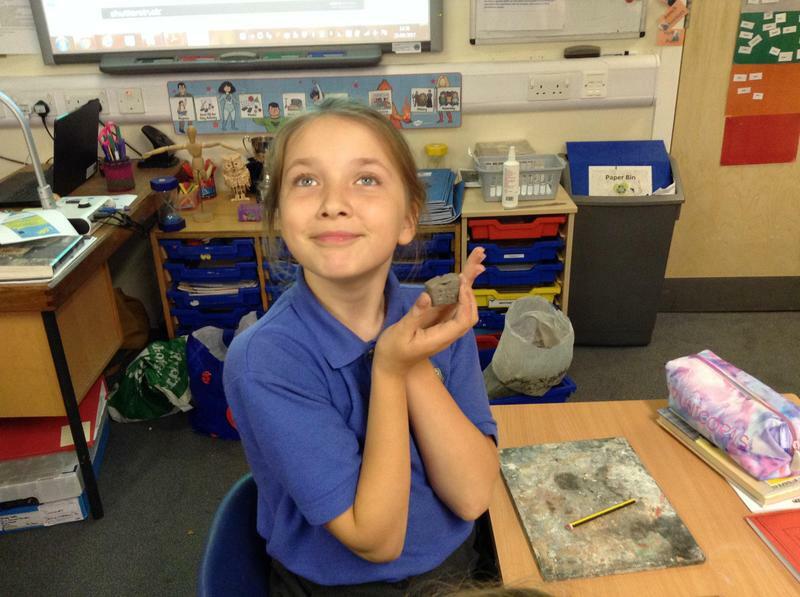 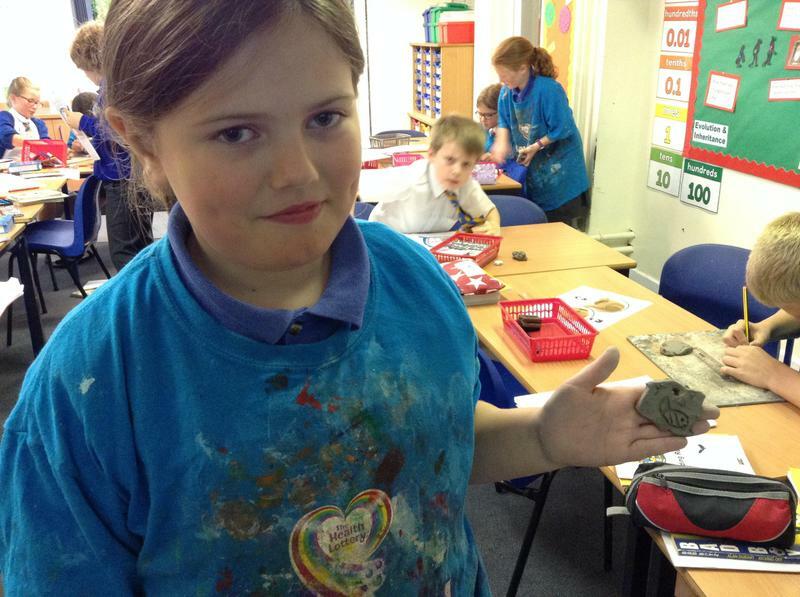 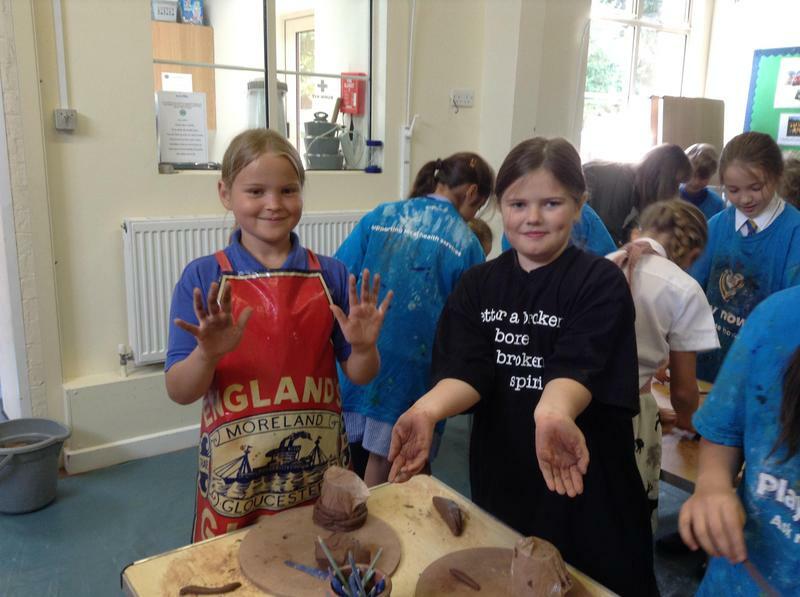 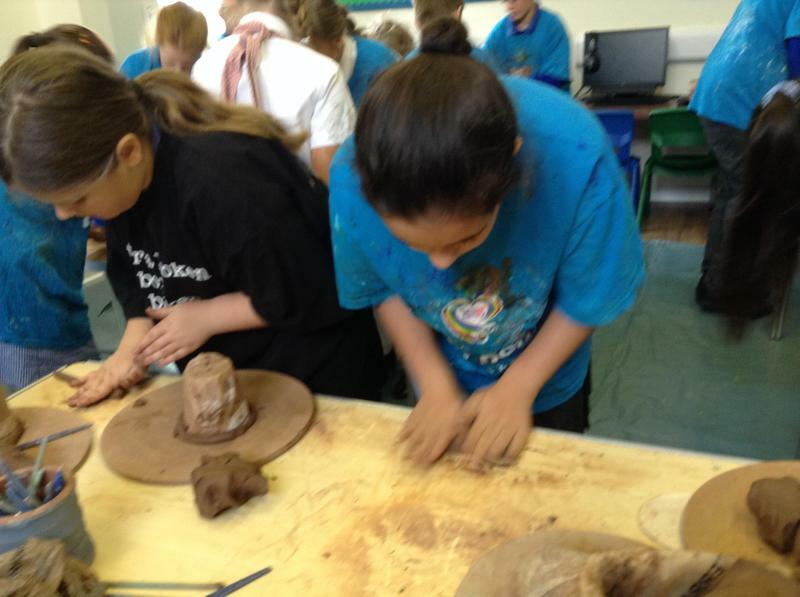 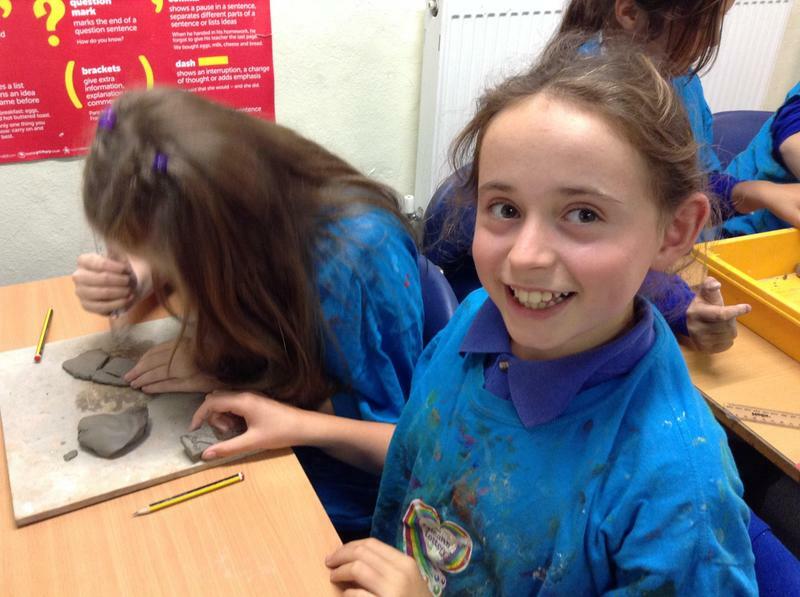 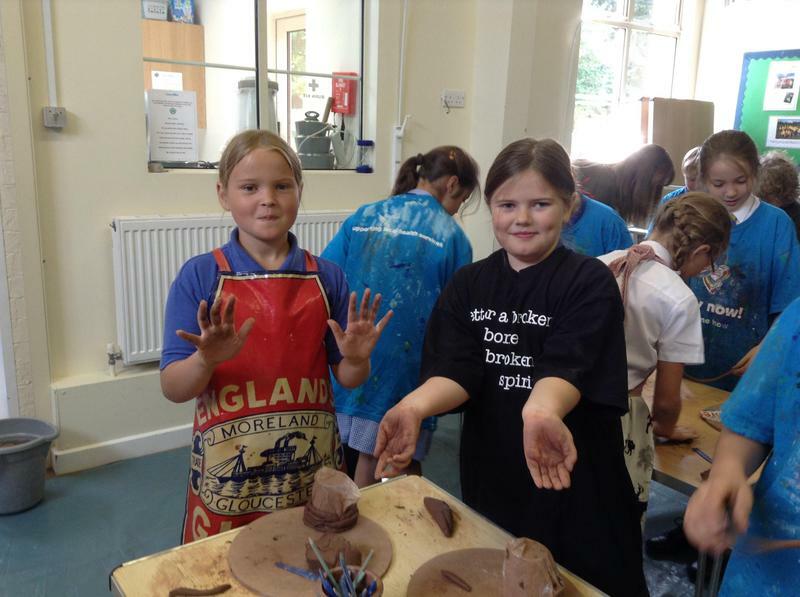 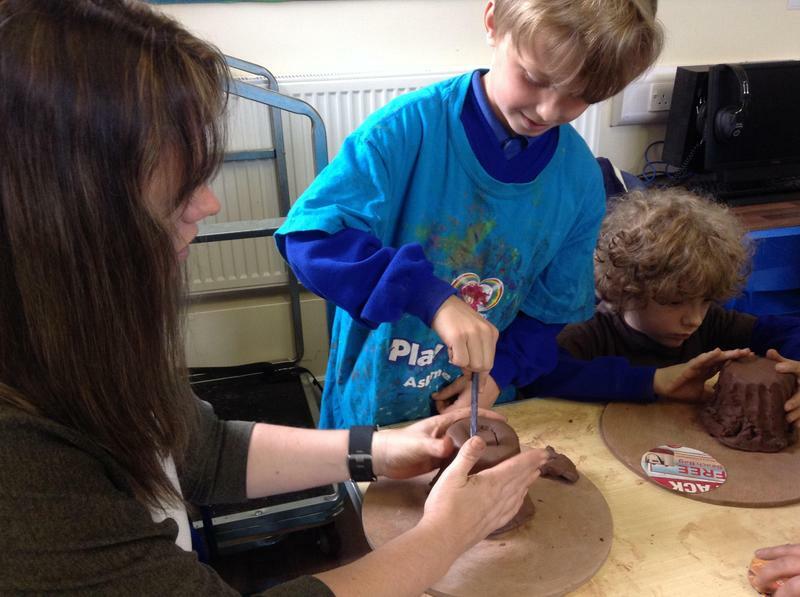 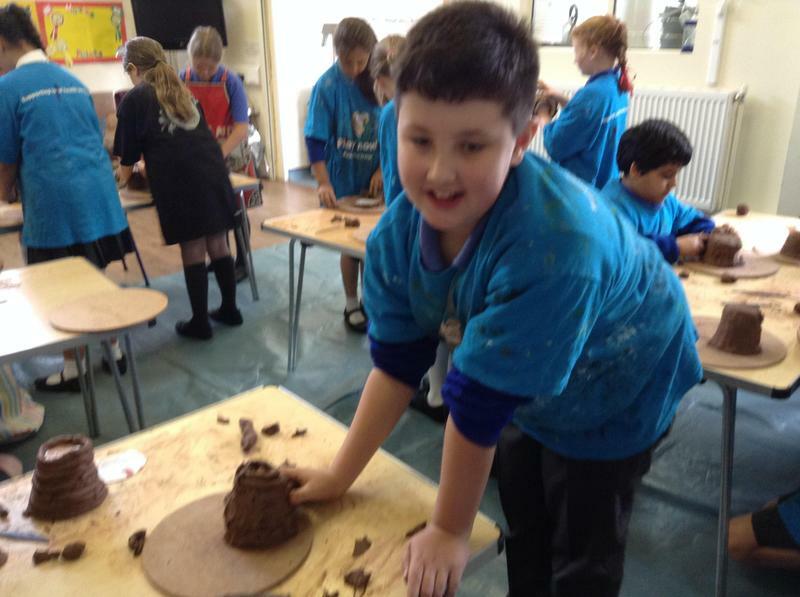 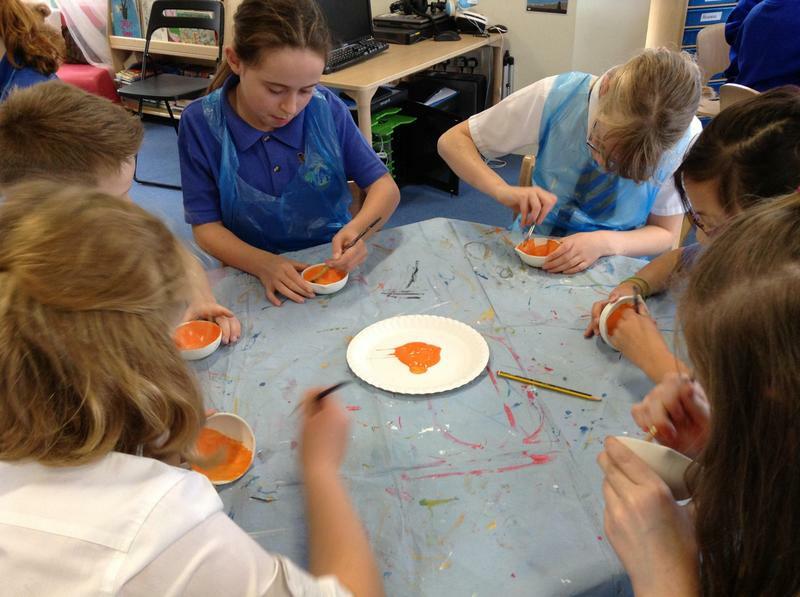 As part of their studies the children have been making Indus Valley Seals from soft clay. 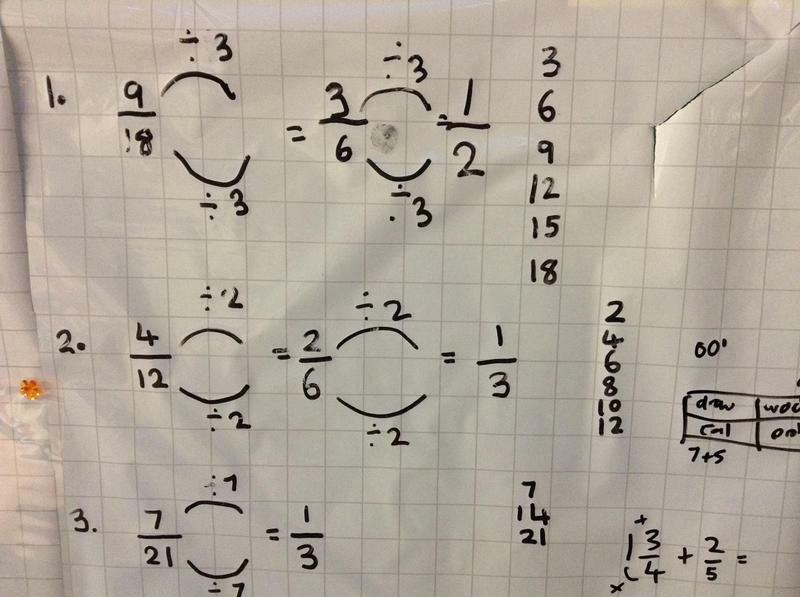 Each seal has a symbol on it. 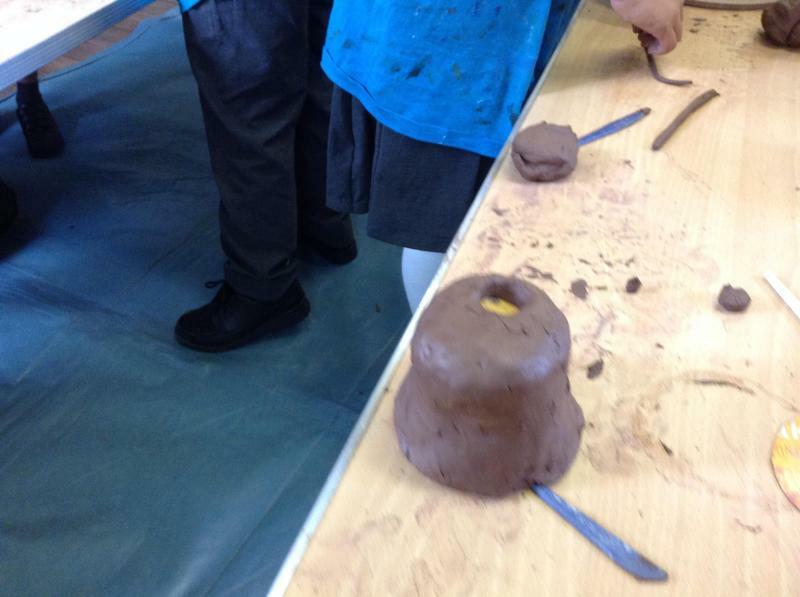 A handle has been made for each structure to be worn . 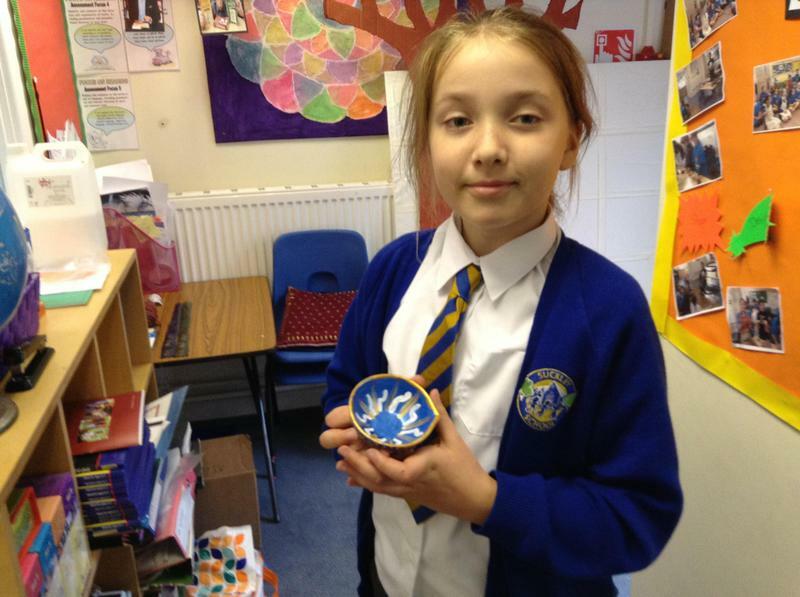 The design meant that the owner of the seal could be identified. 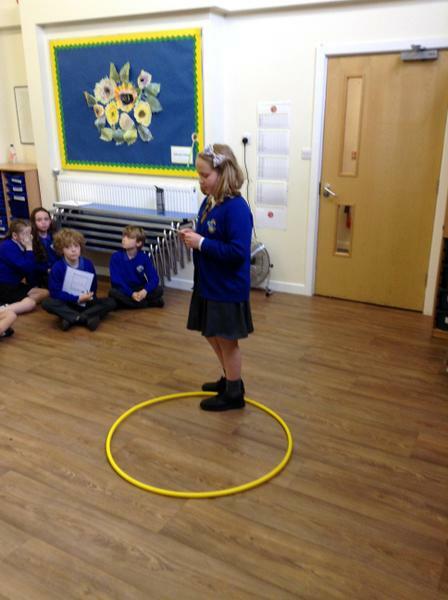 Most seals were 2.75cm squared . 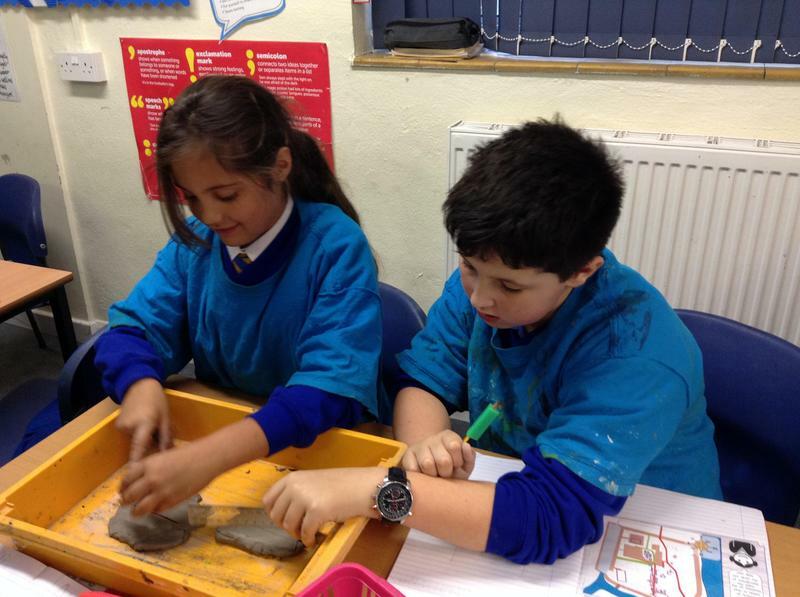 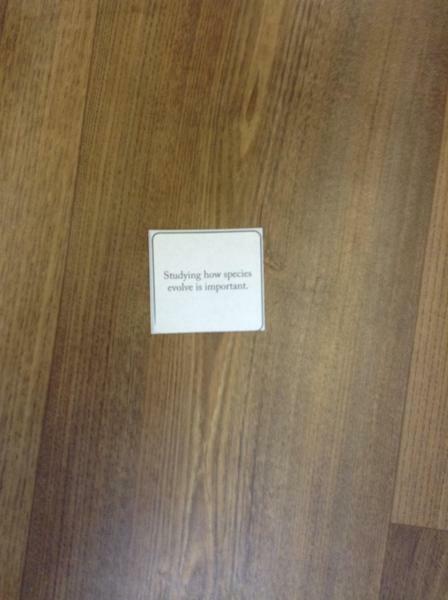 This shows that the Indus Valley people had agreed that certain things would be uniform across their civilisation. 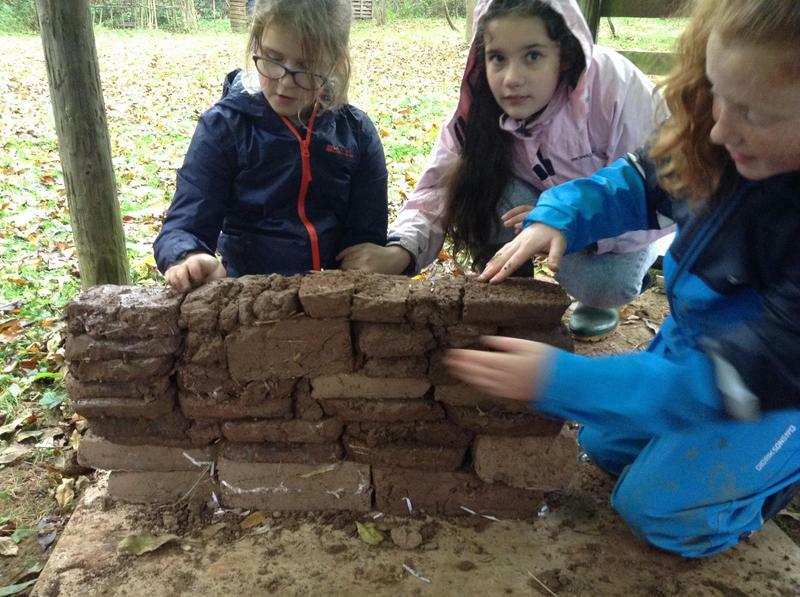 The Indus Valley settlements used mud baked bricks to build their settlements. 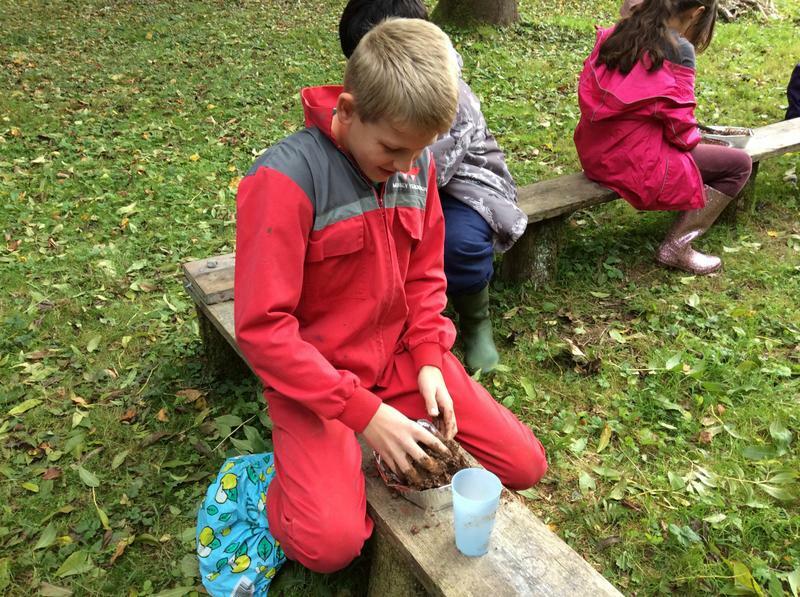 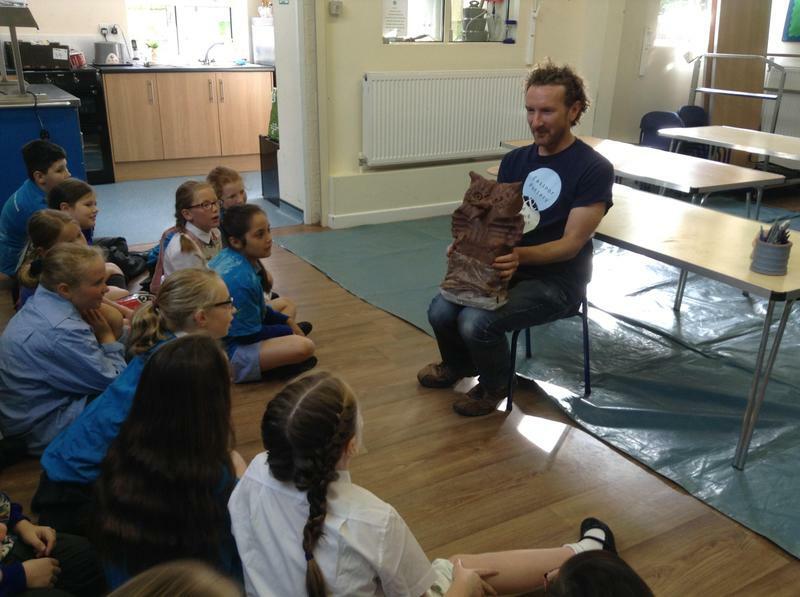 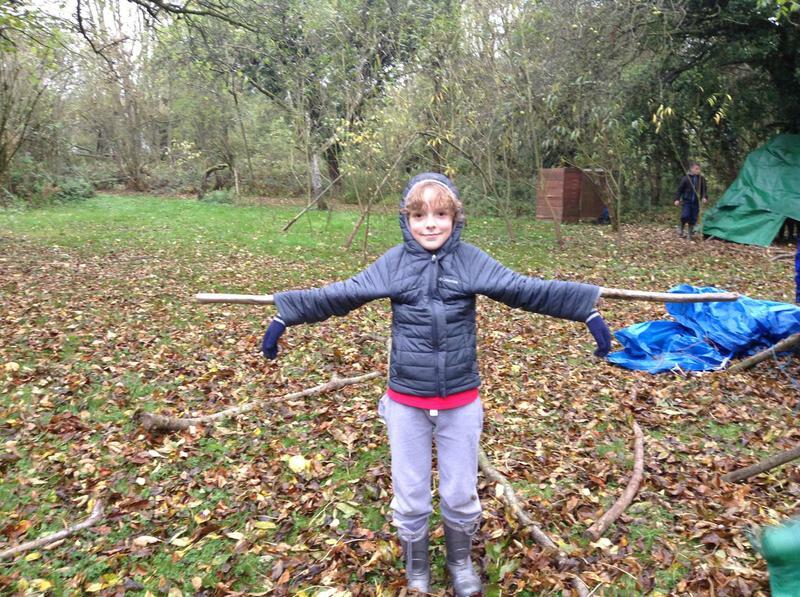 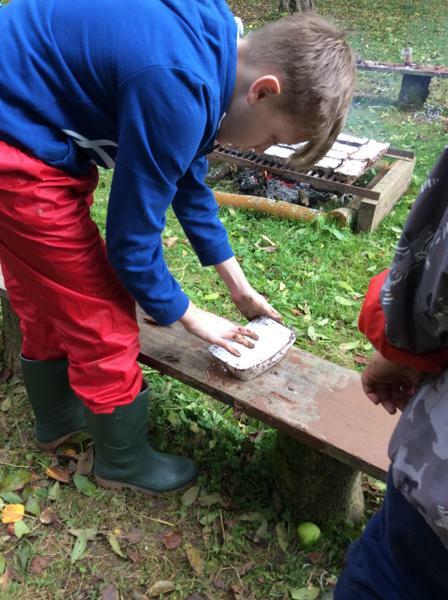 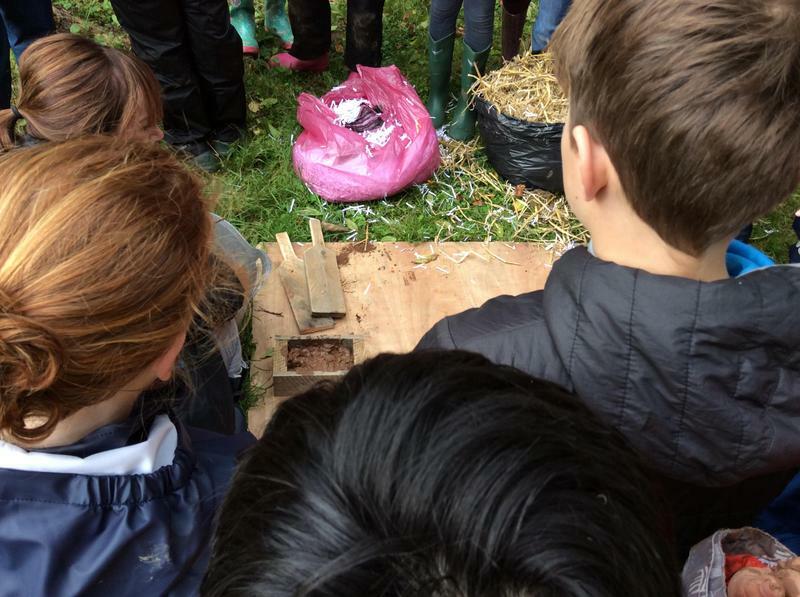 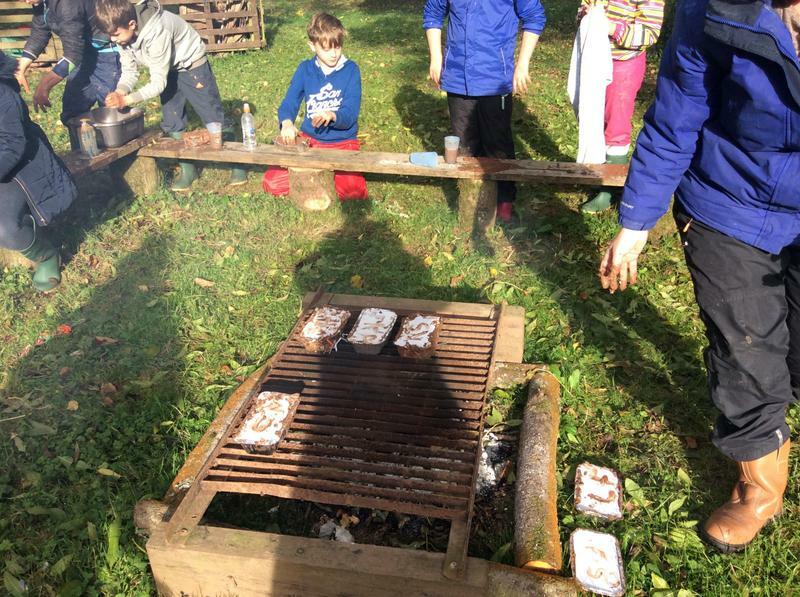 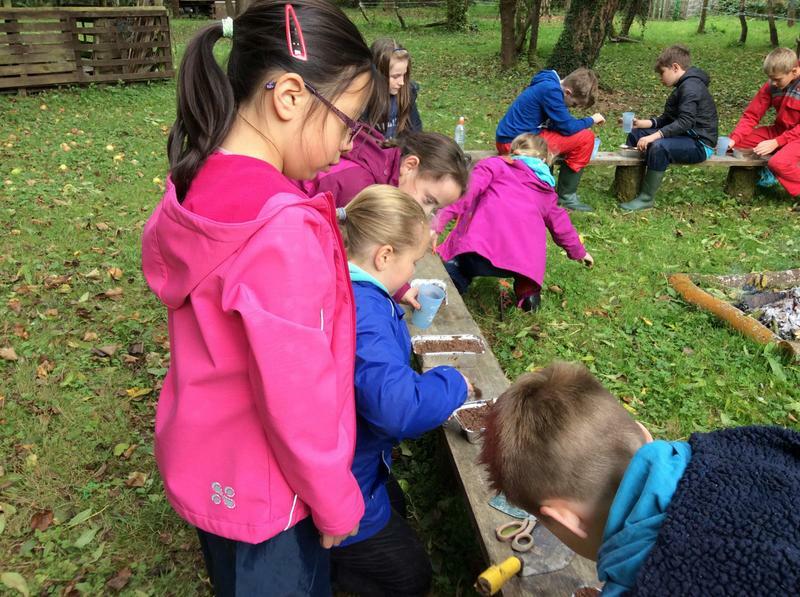 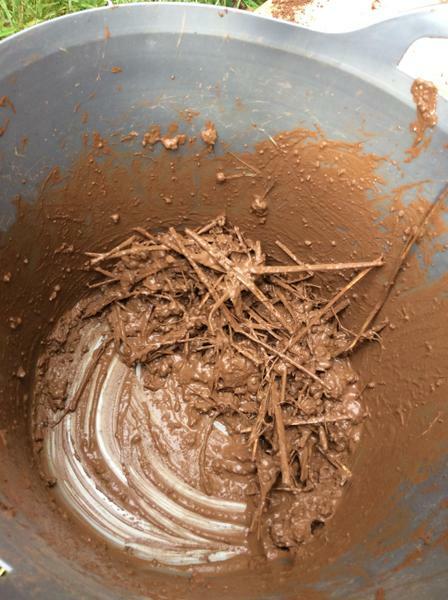 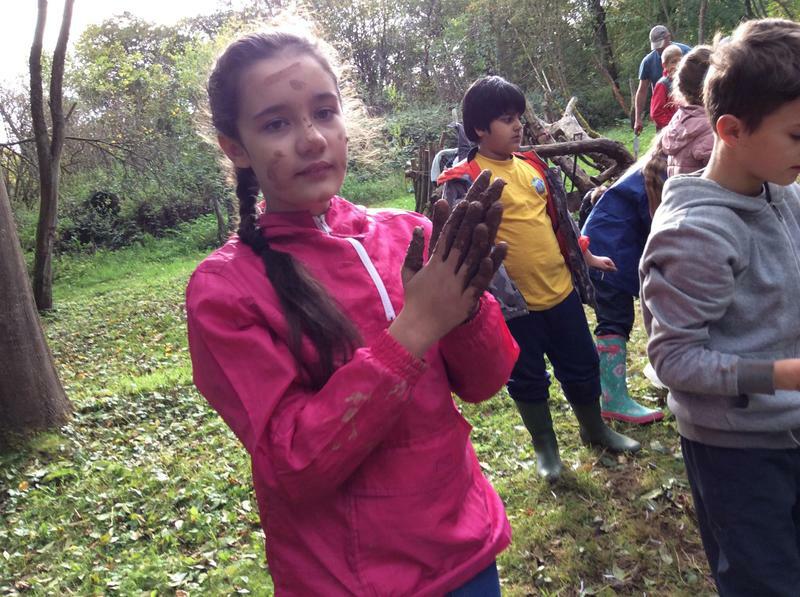 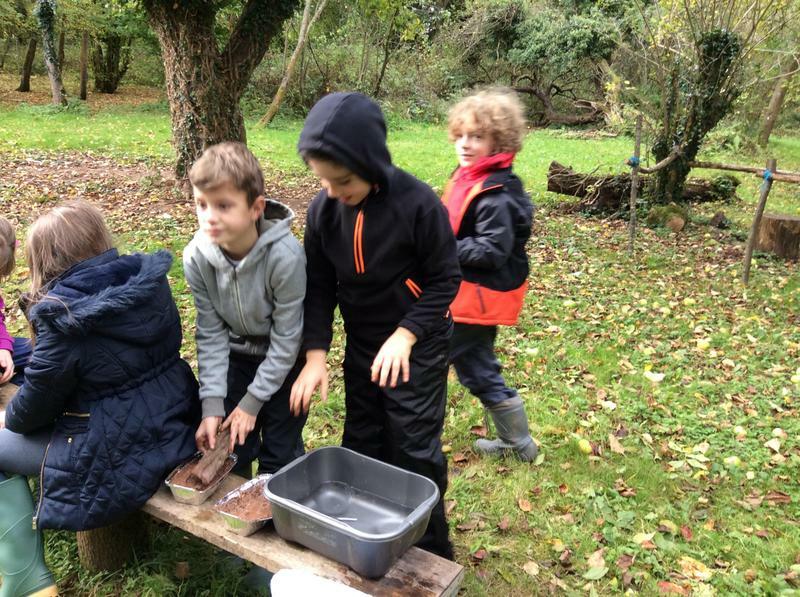 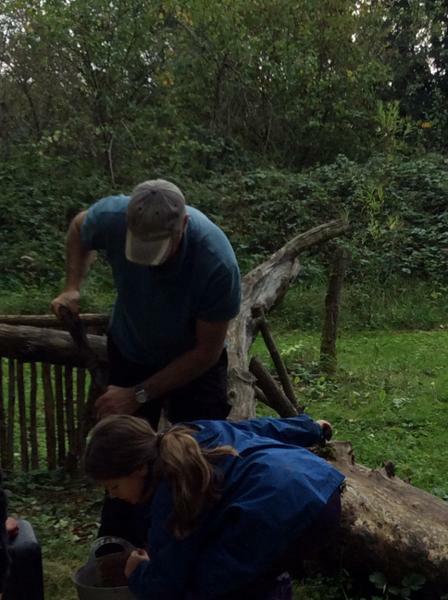 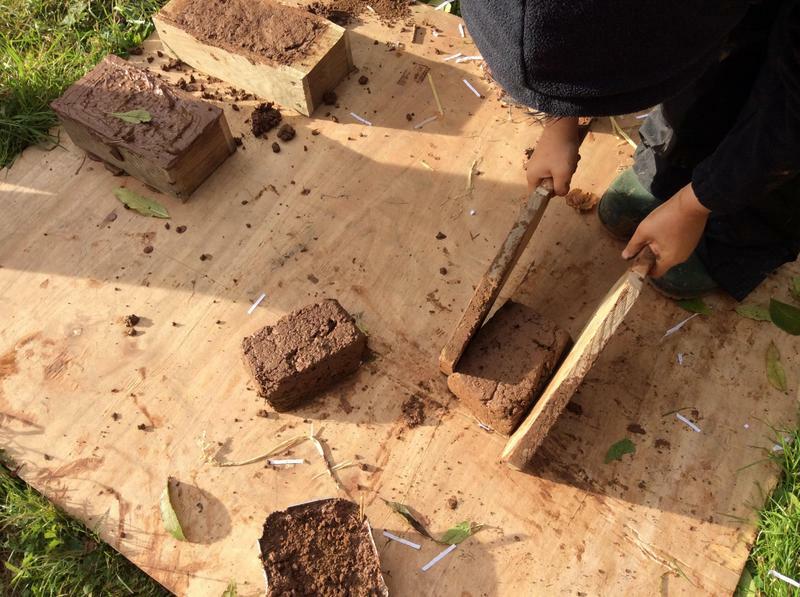 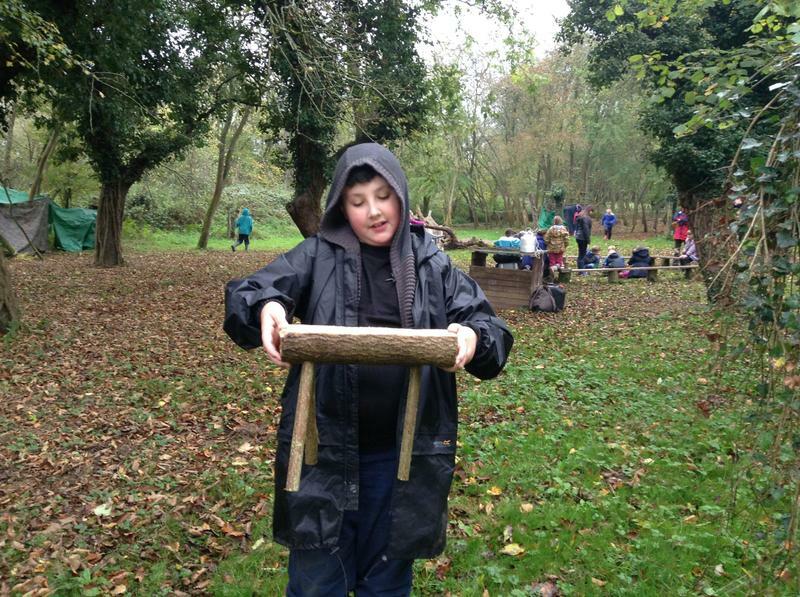 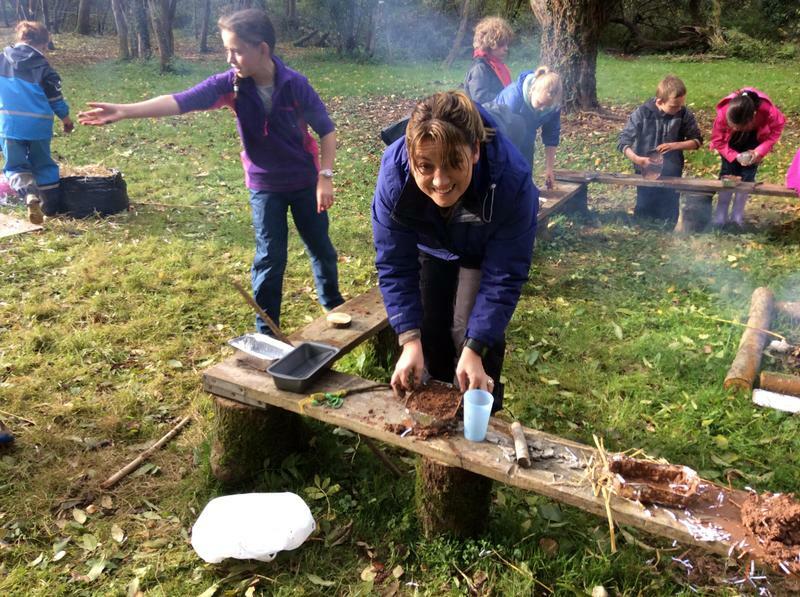 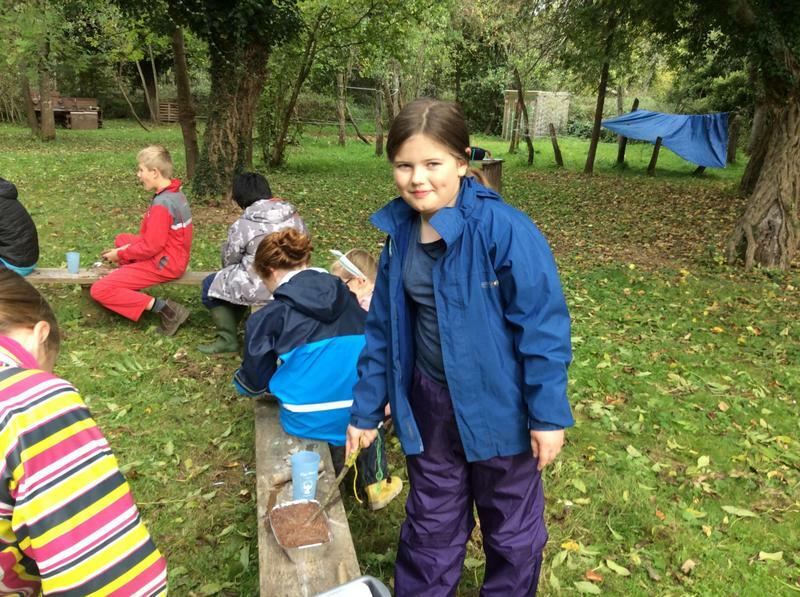 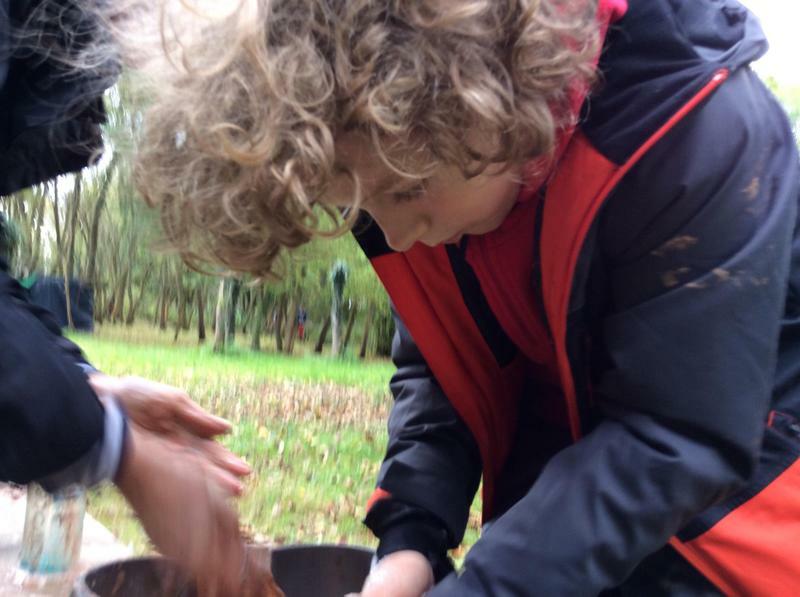 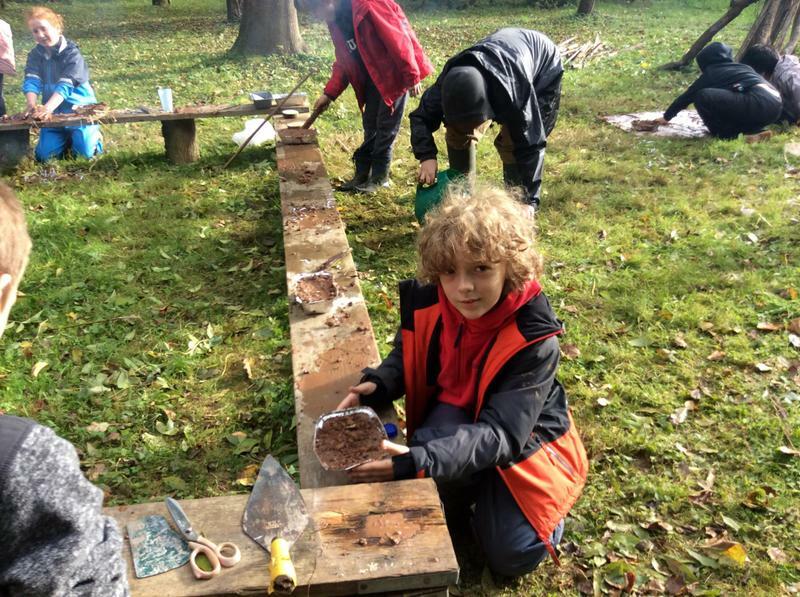 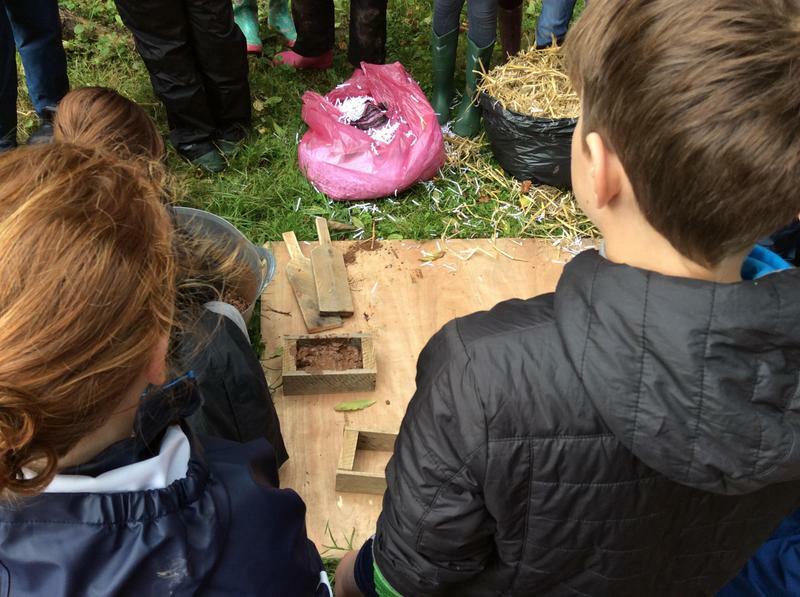 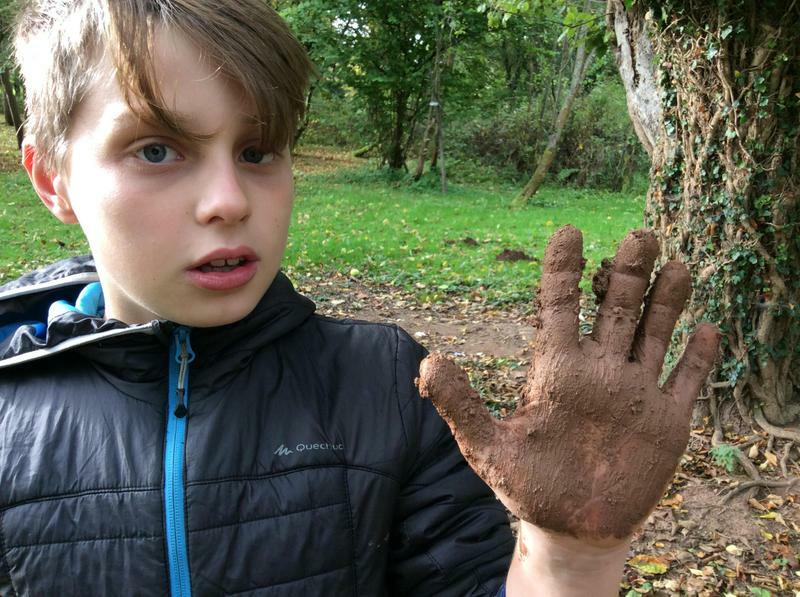 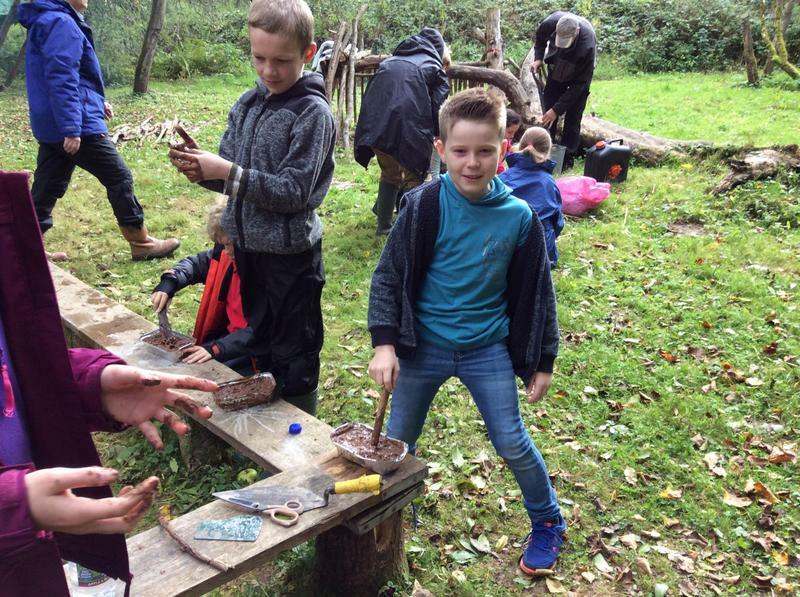 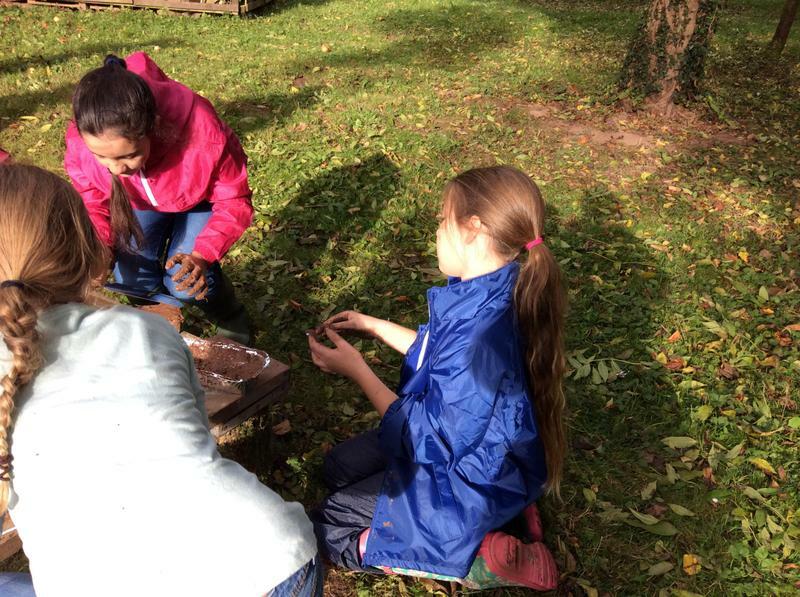 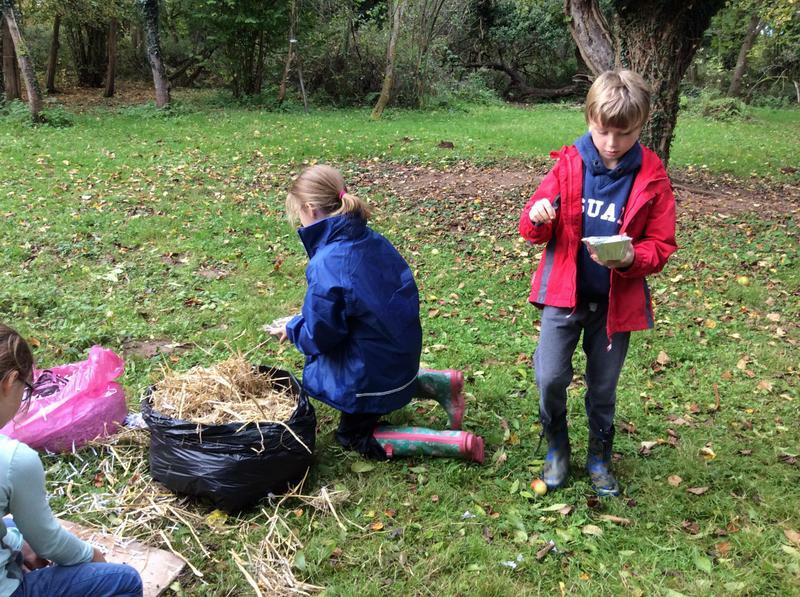 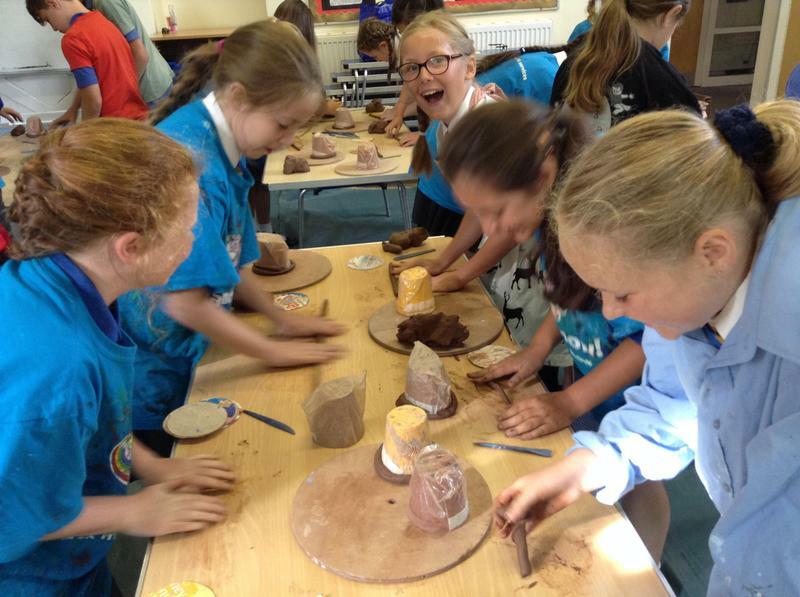 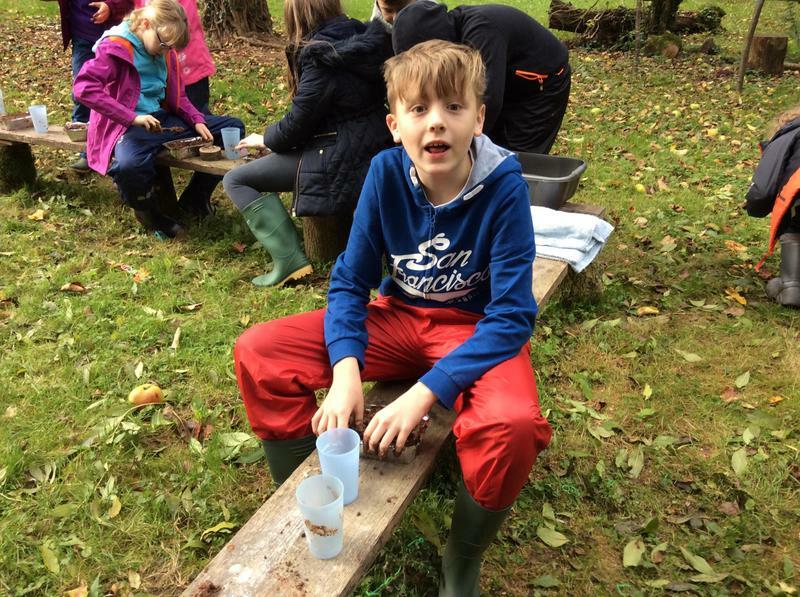 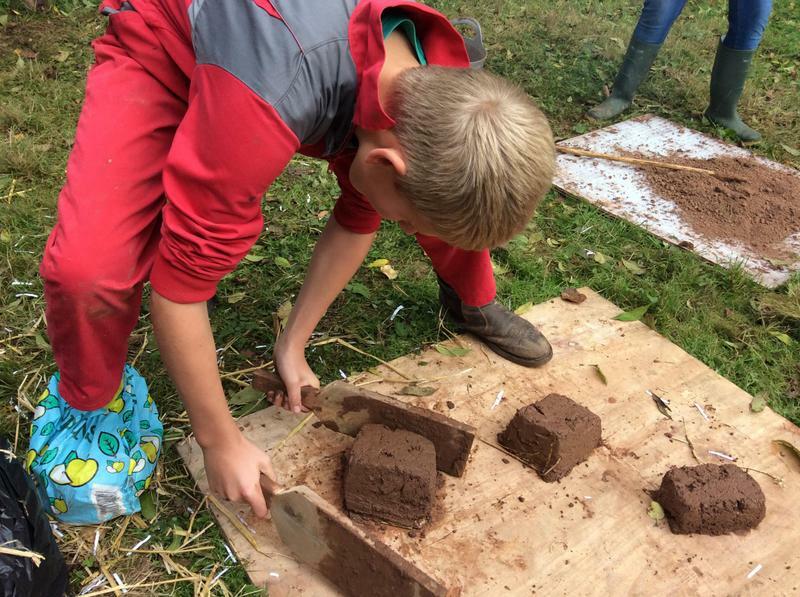 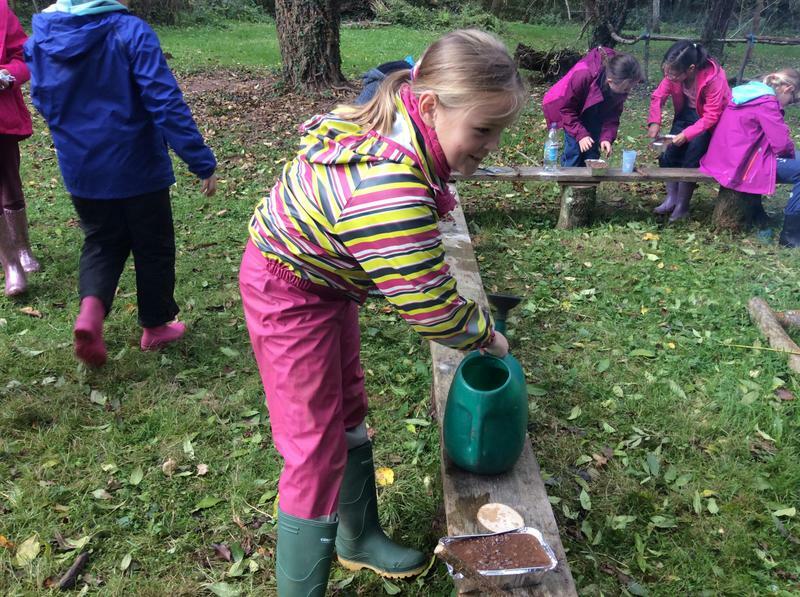 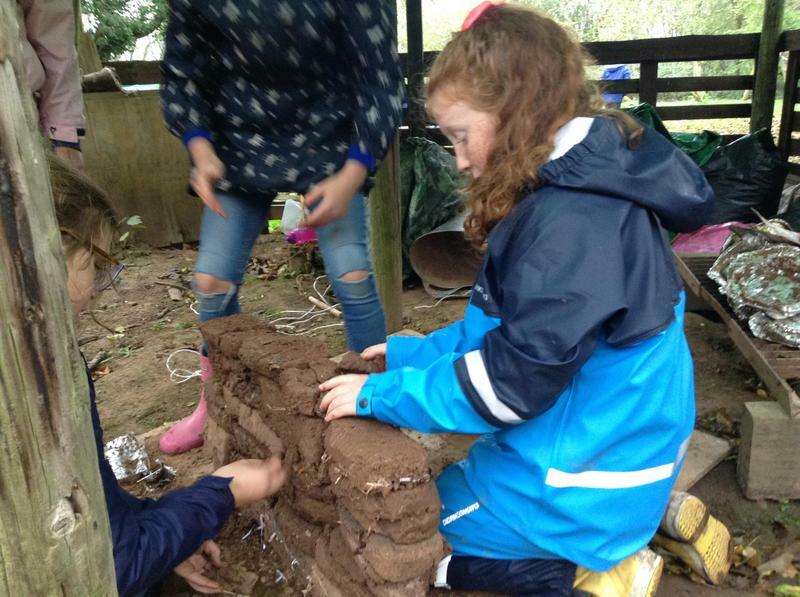 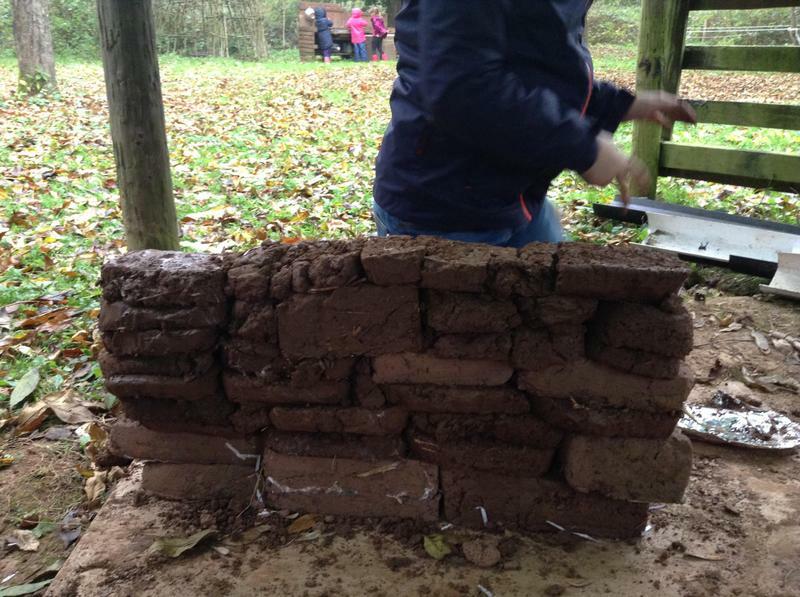 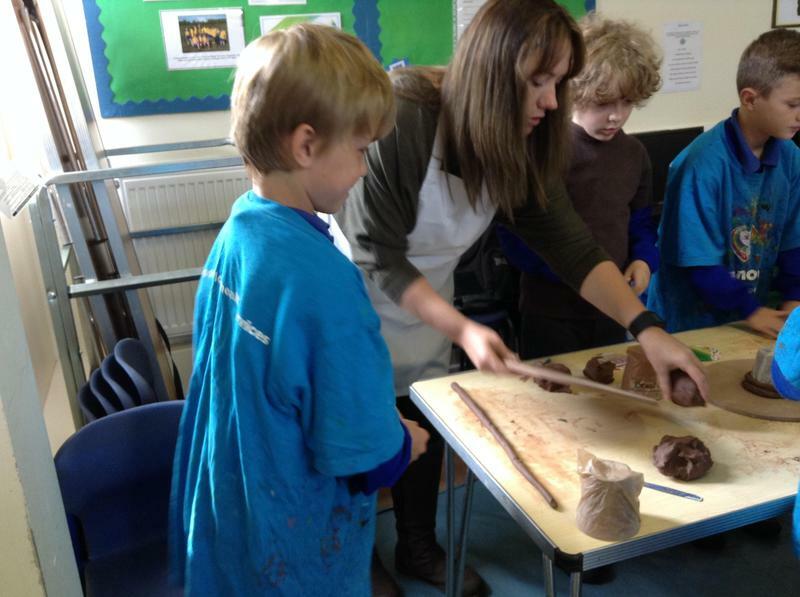 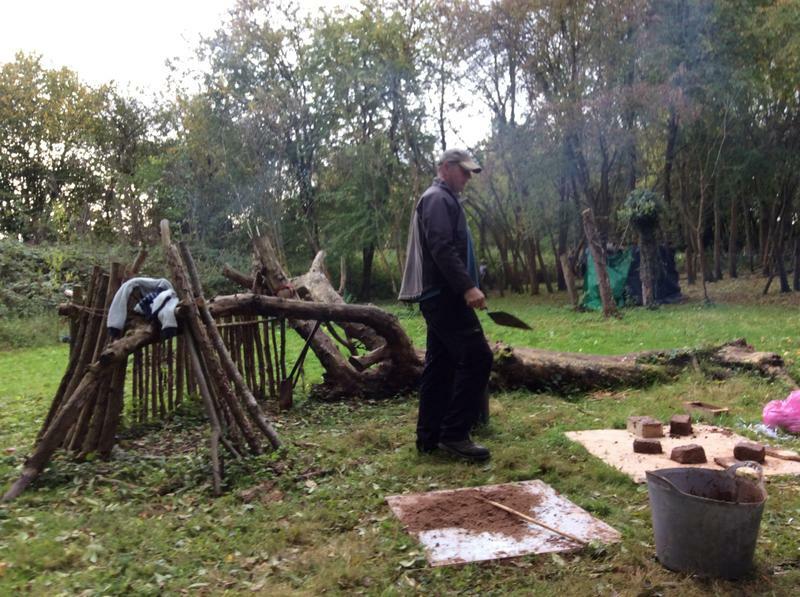 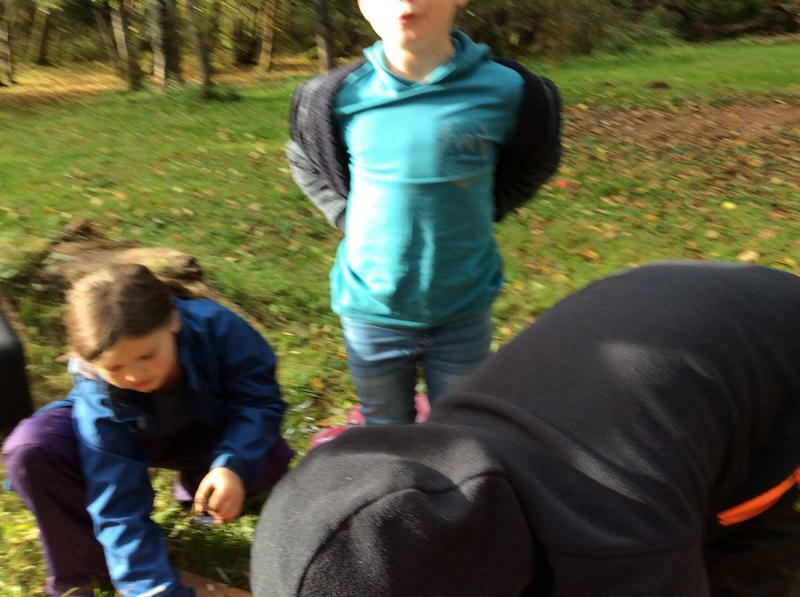 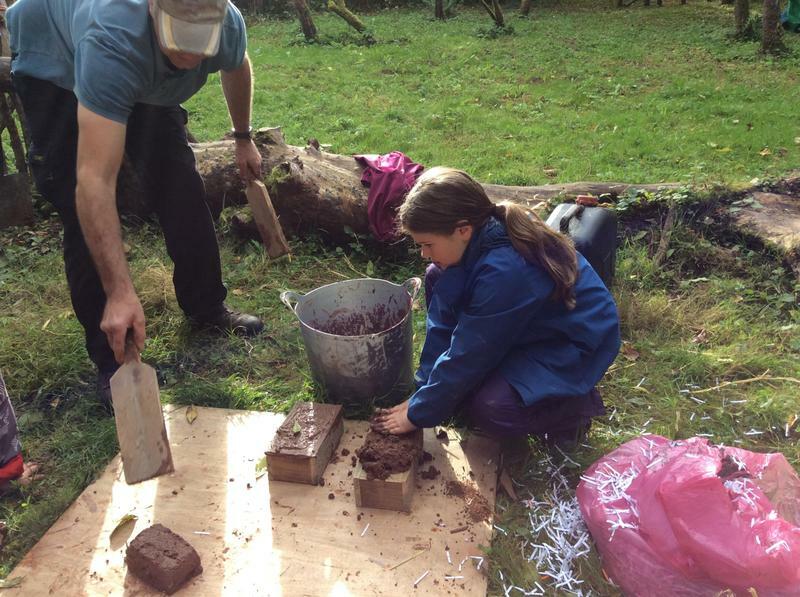 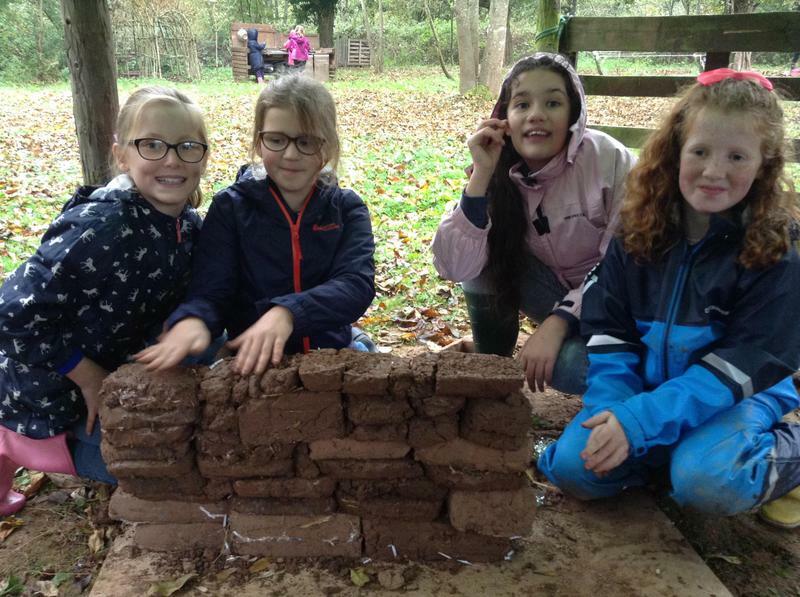 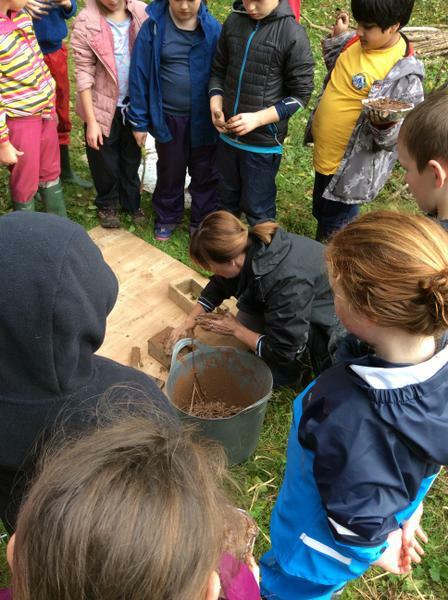 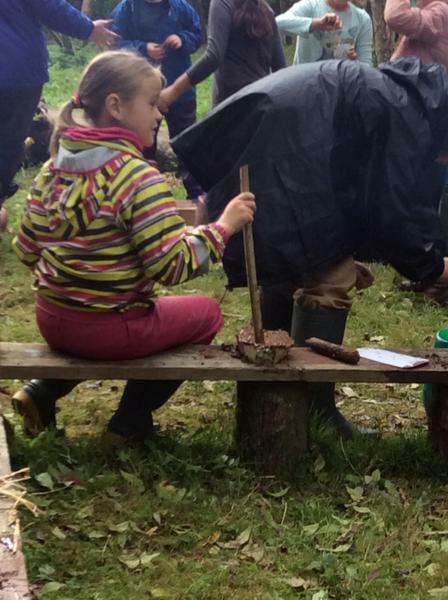 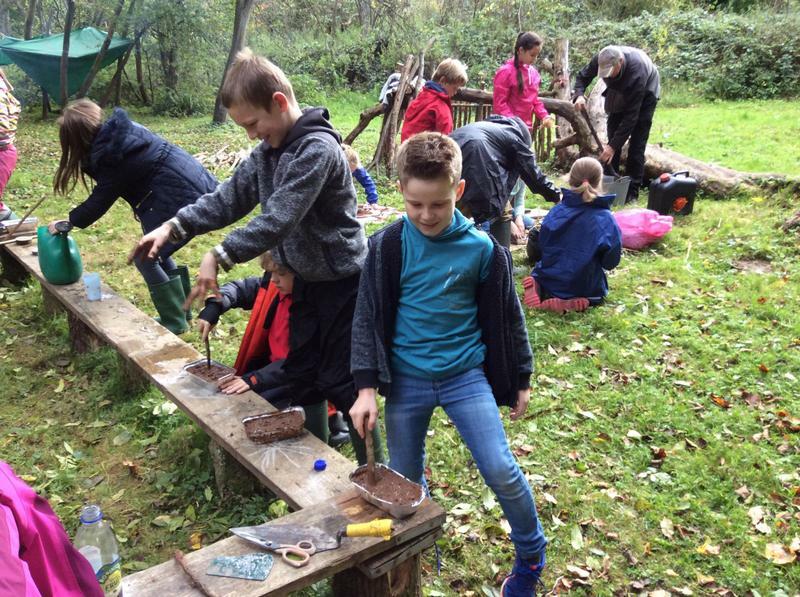 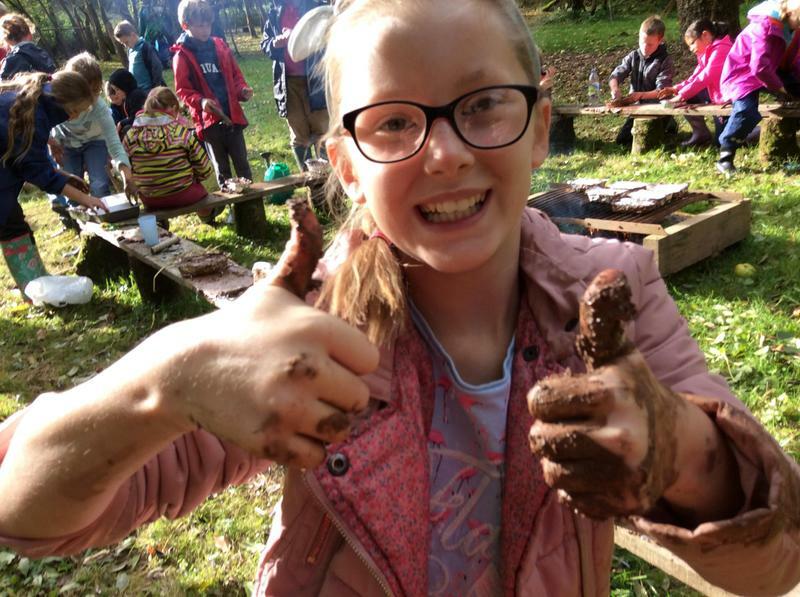 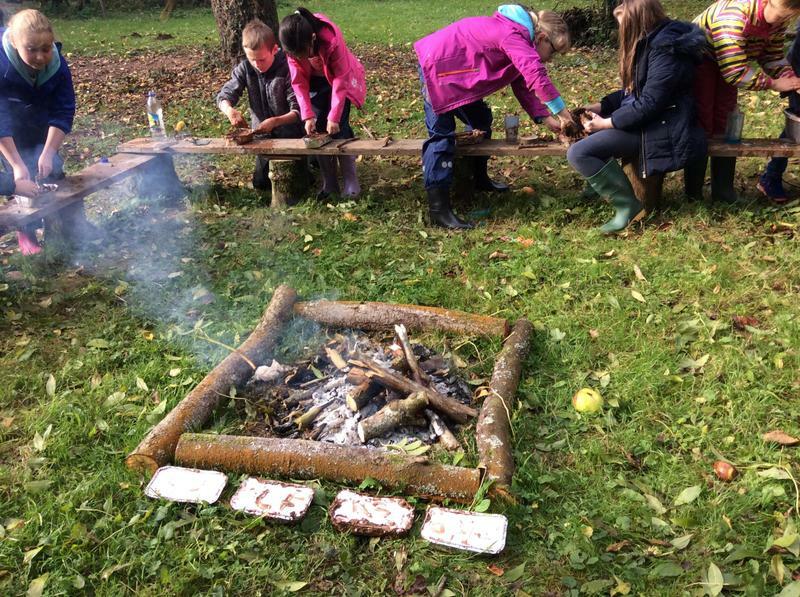 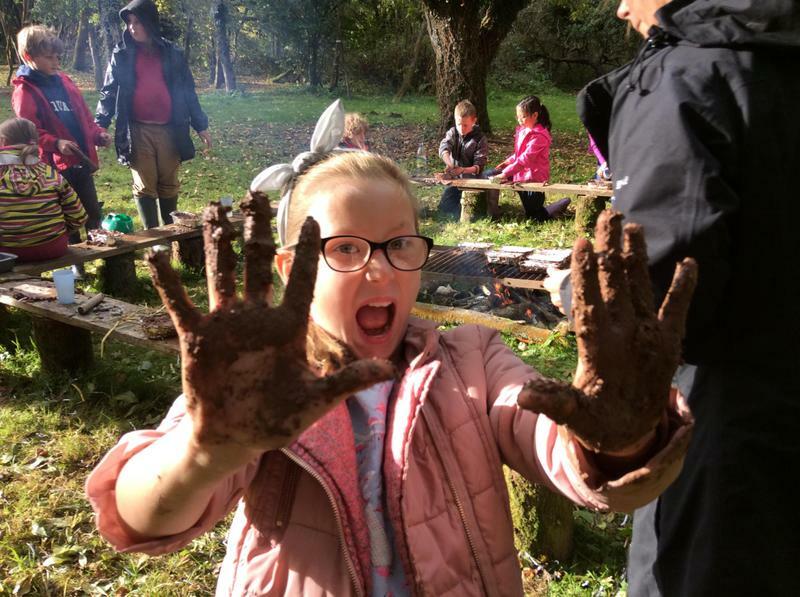 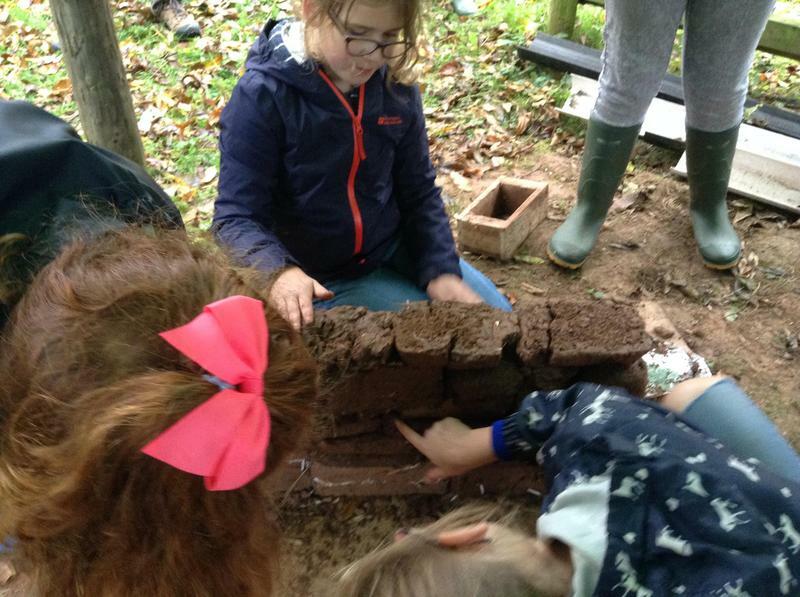 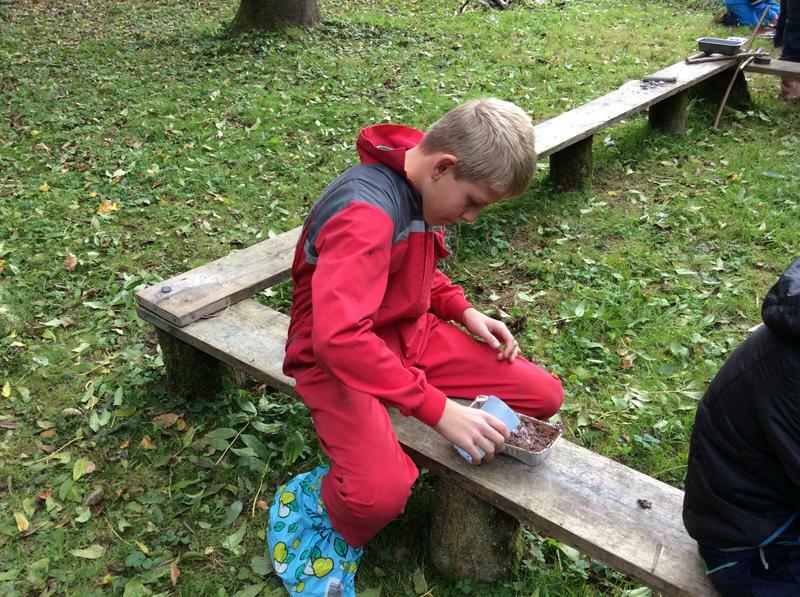 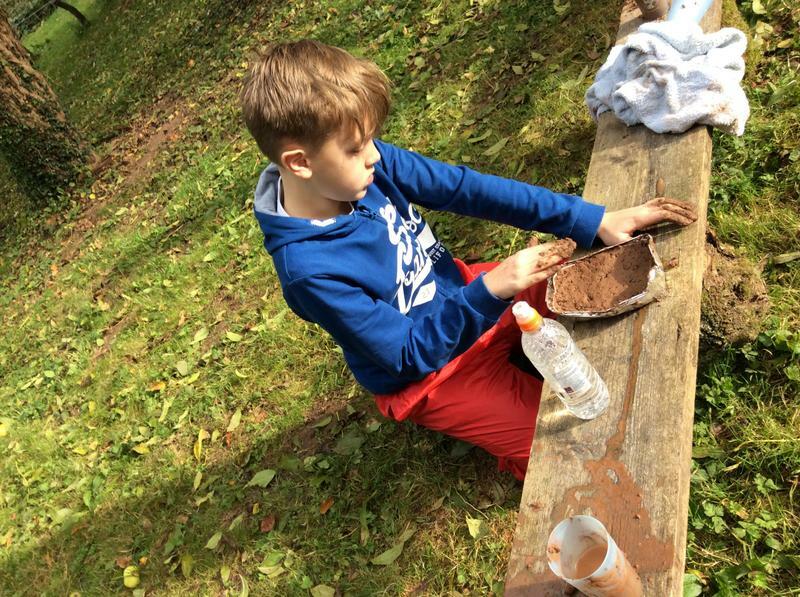 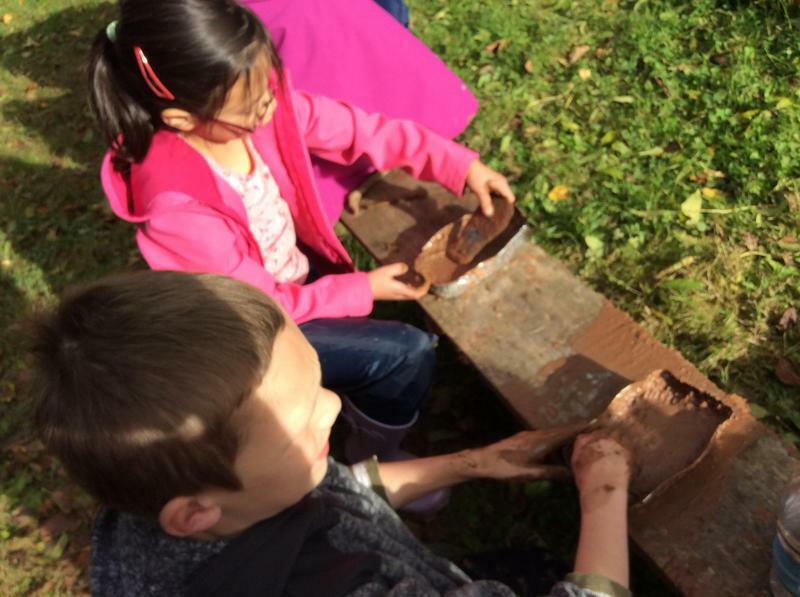 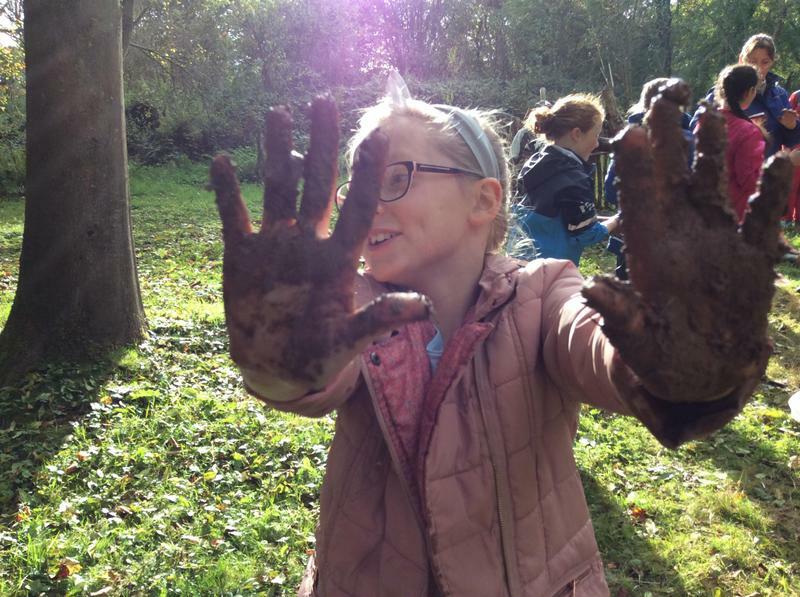 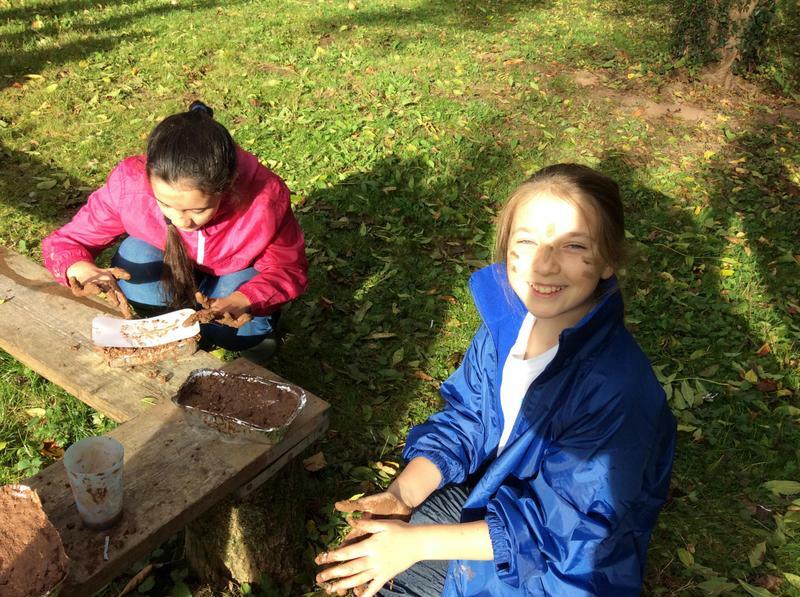 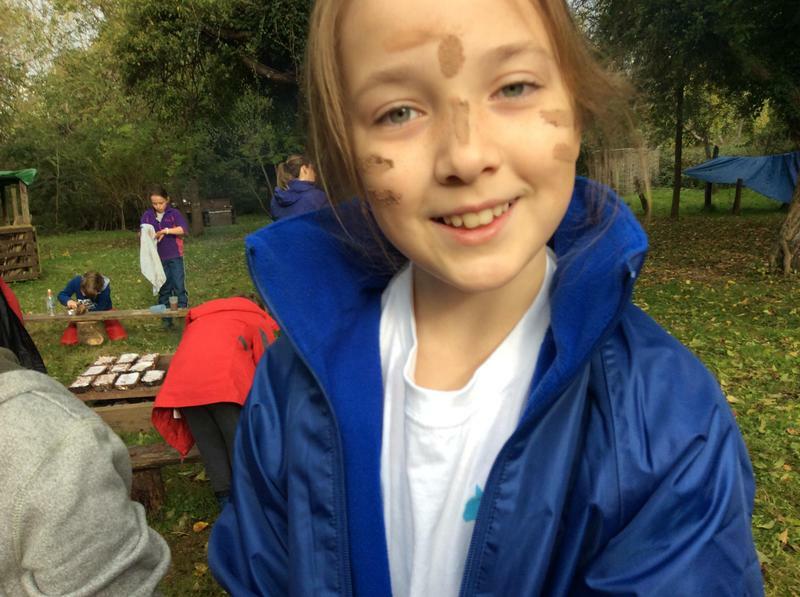 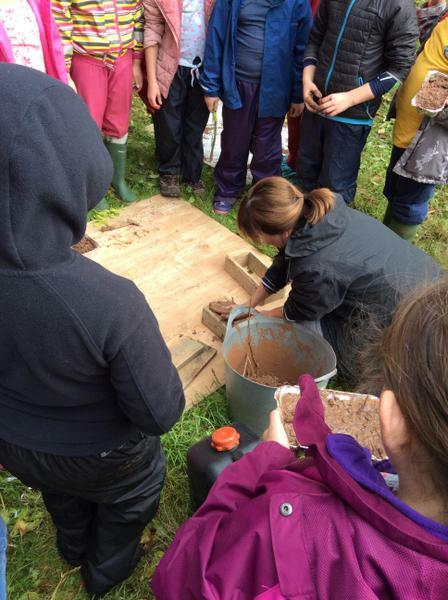 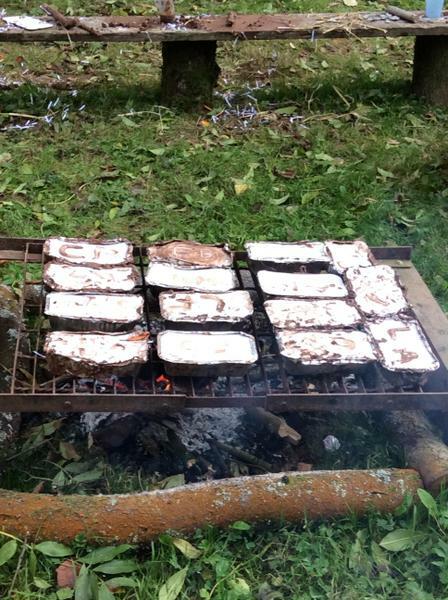 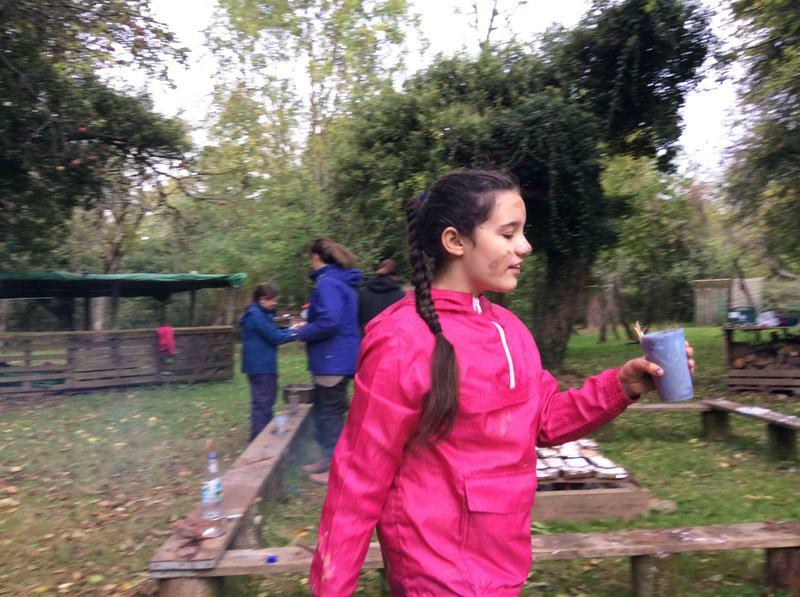 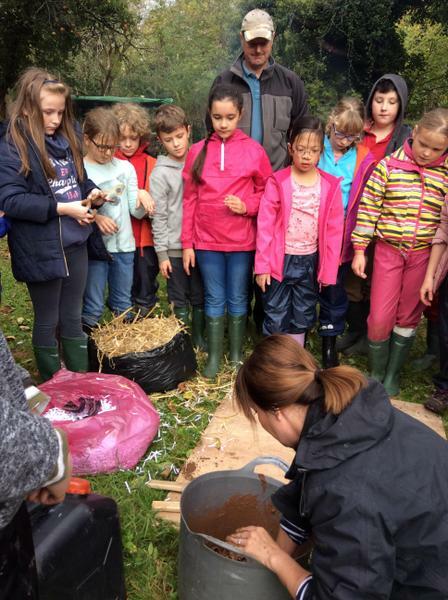 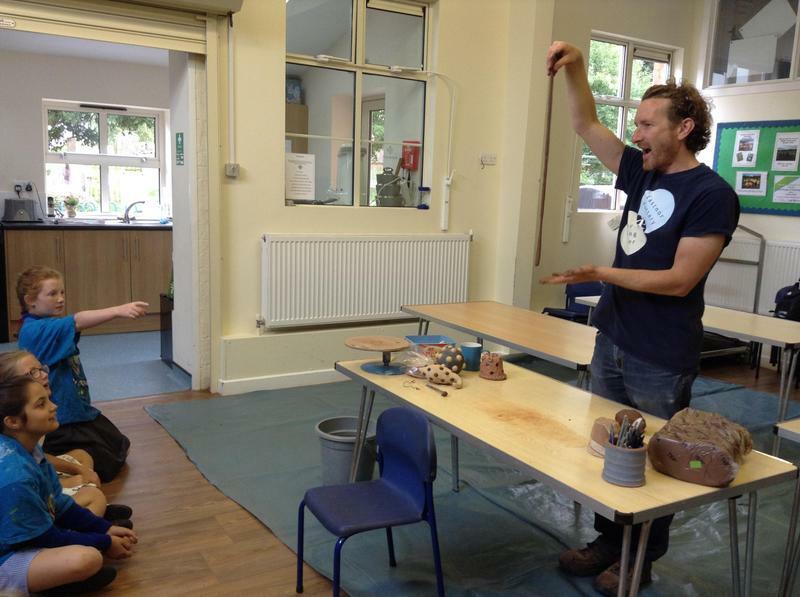 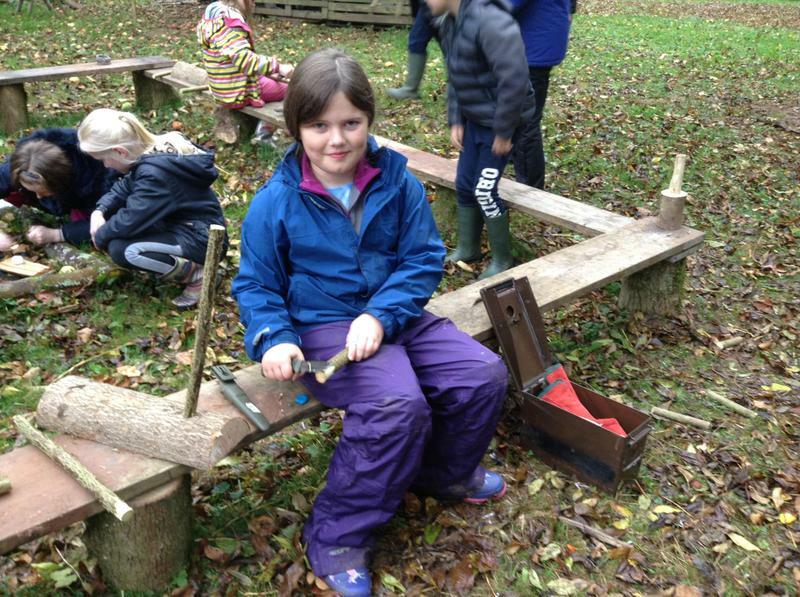 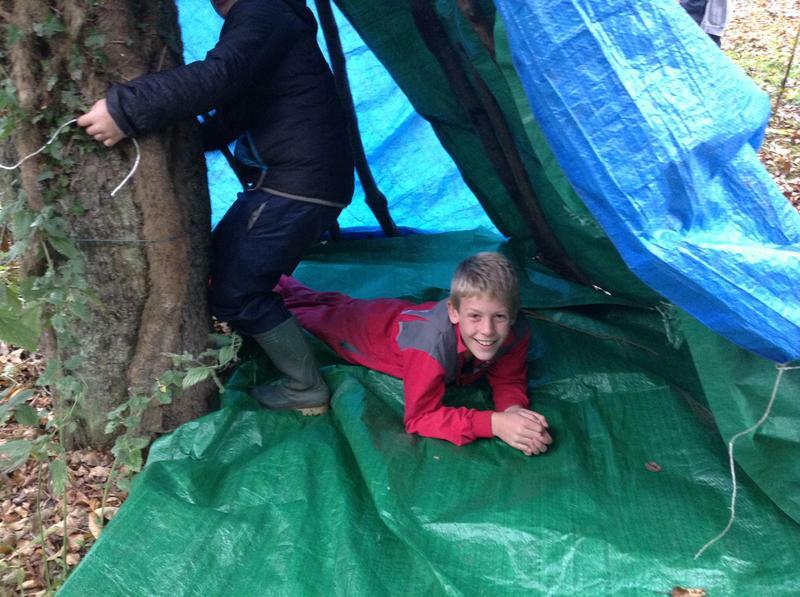 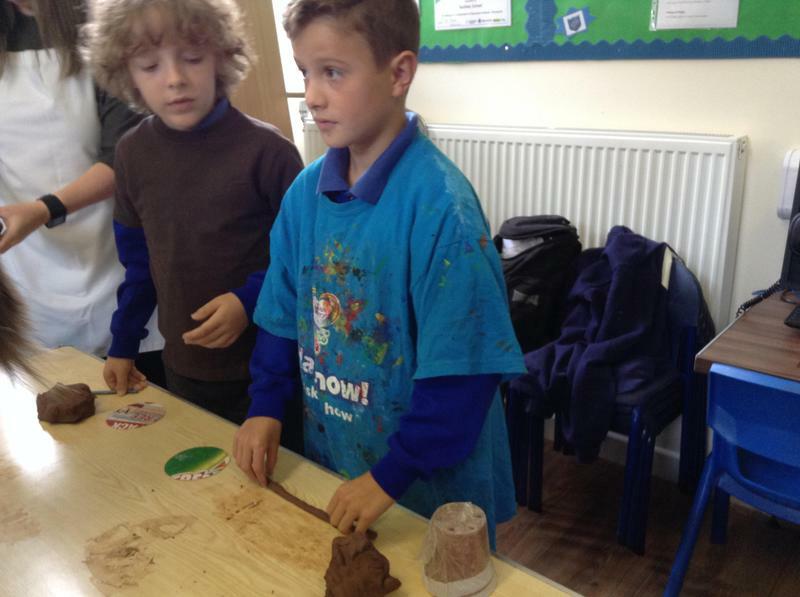 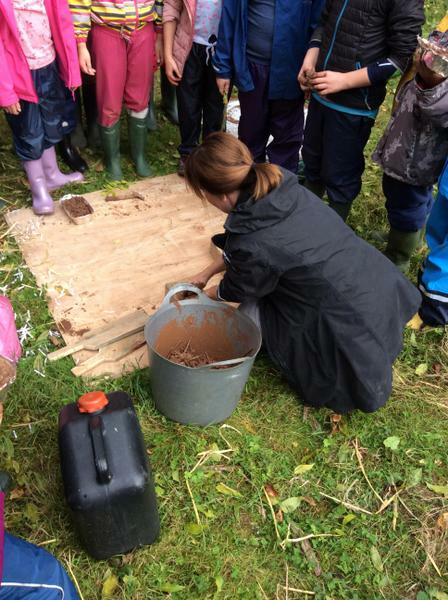 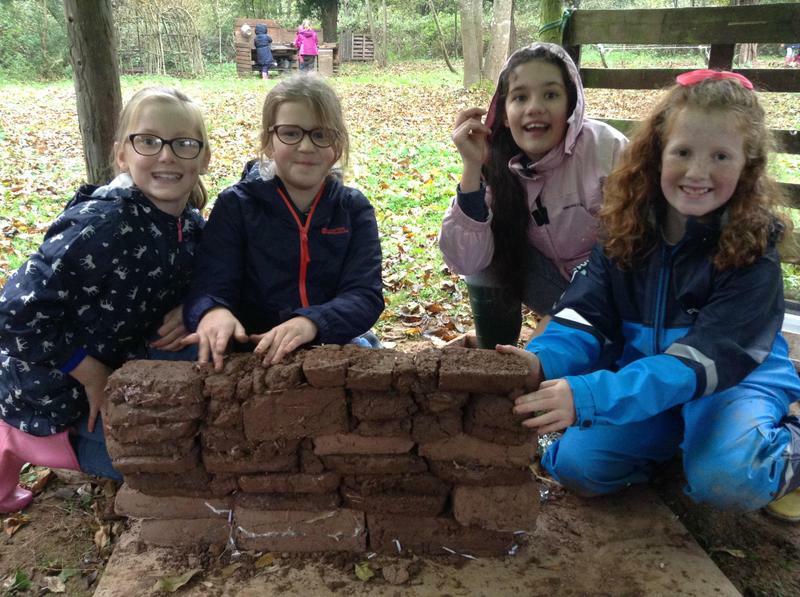 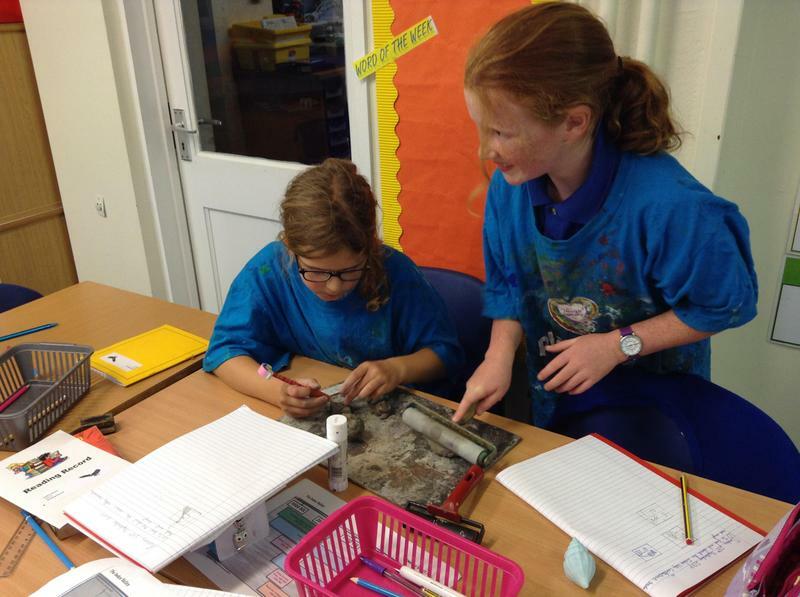 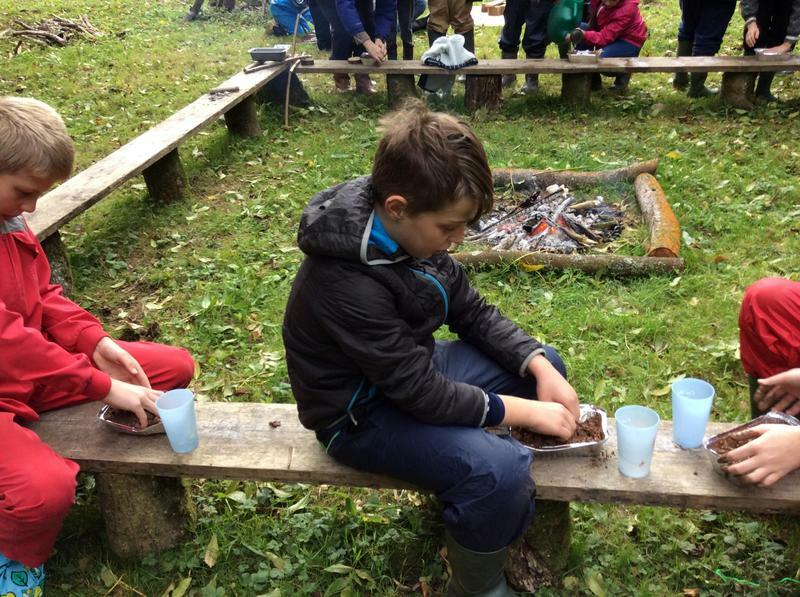 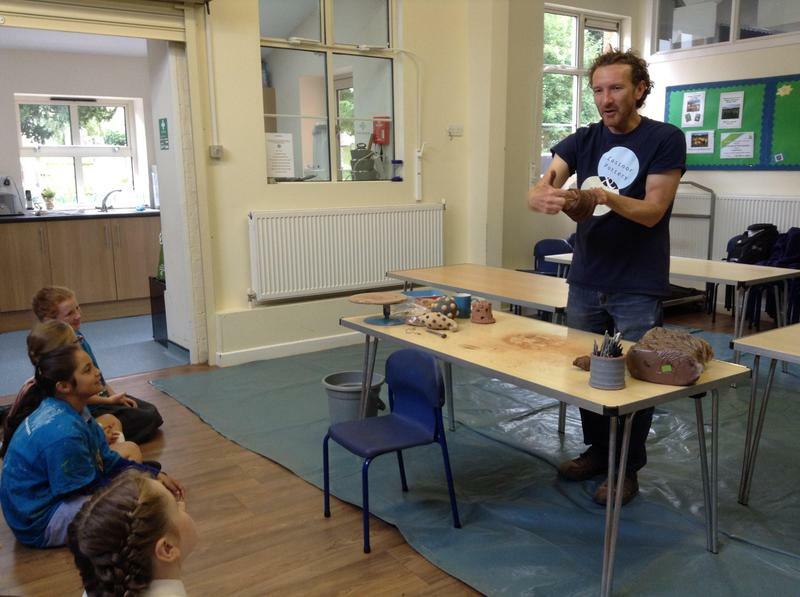 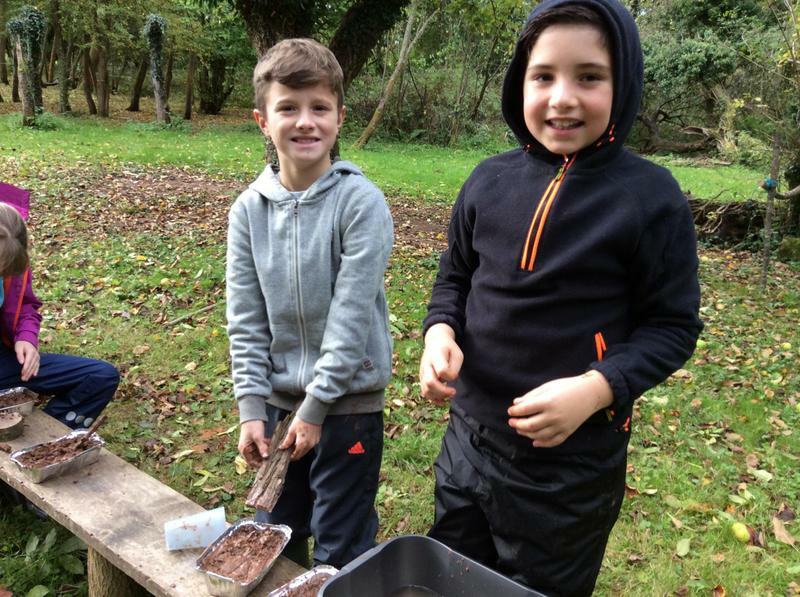 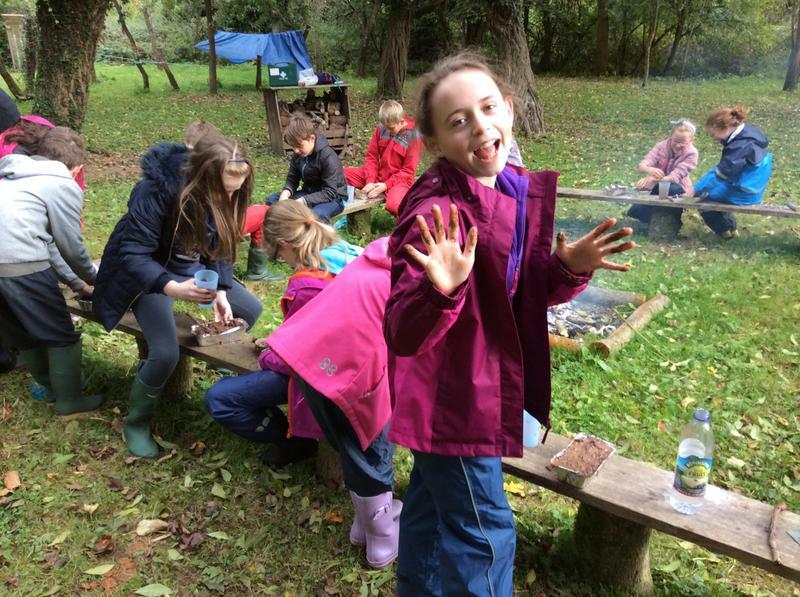 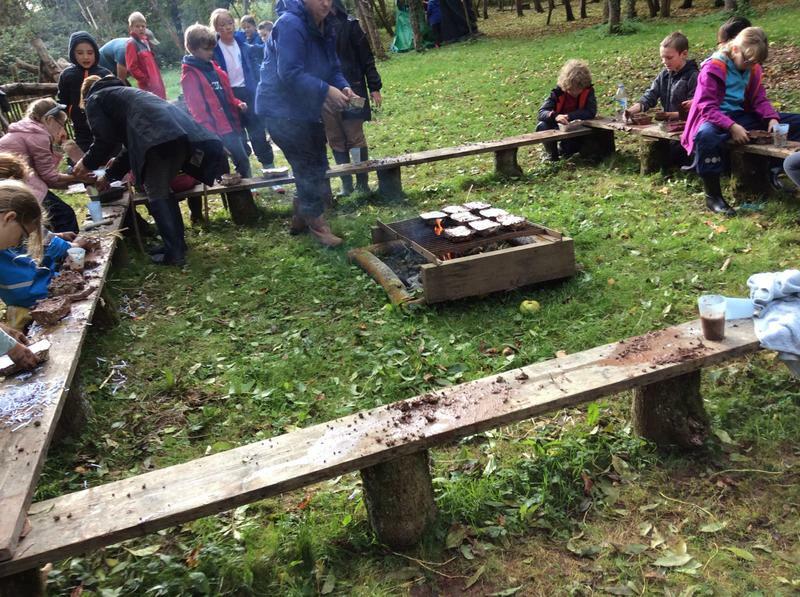 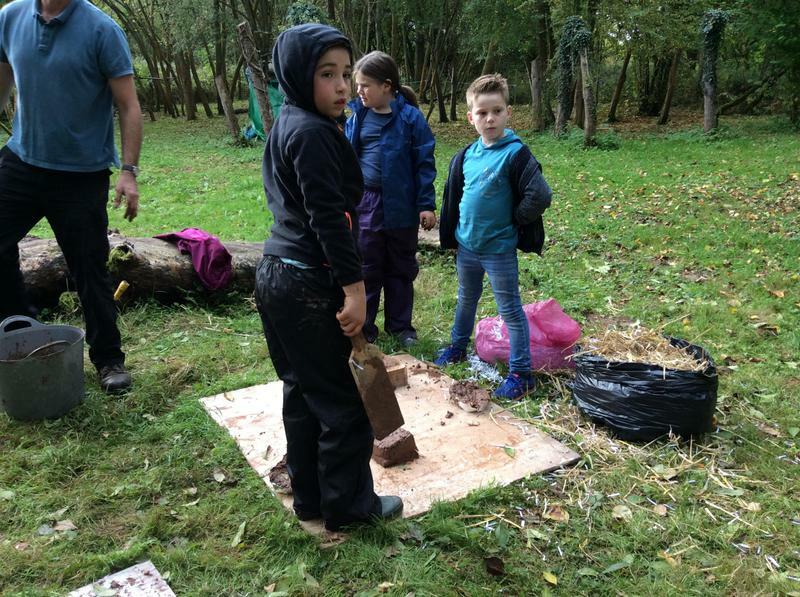 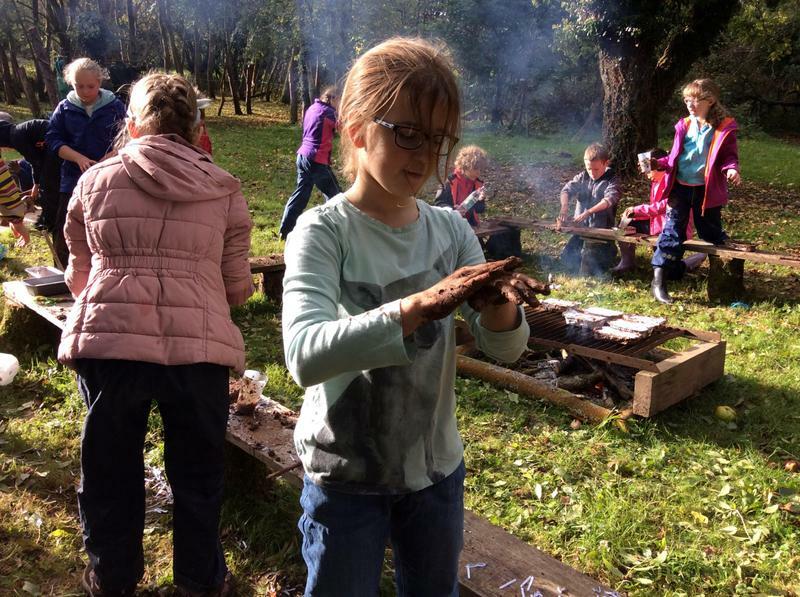 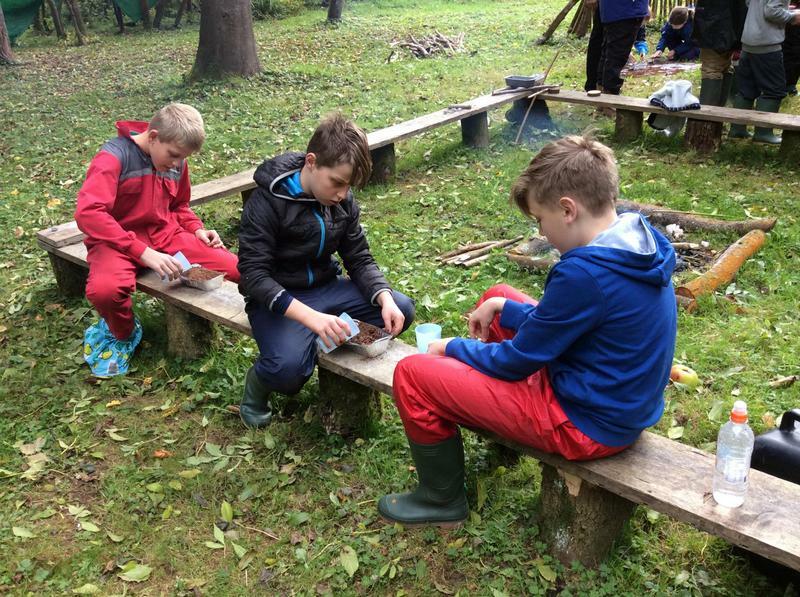 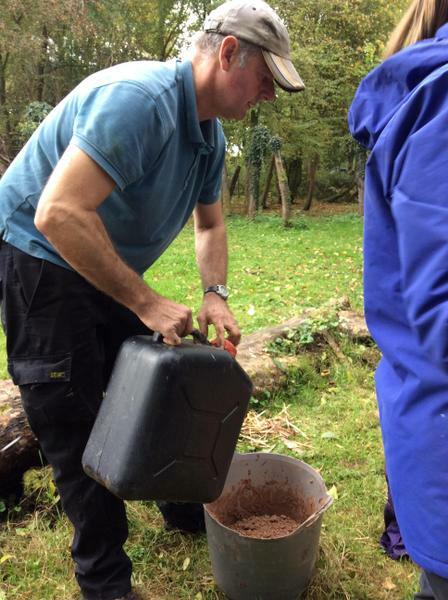 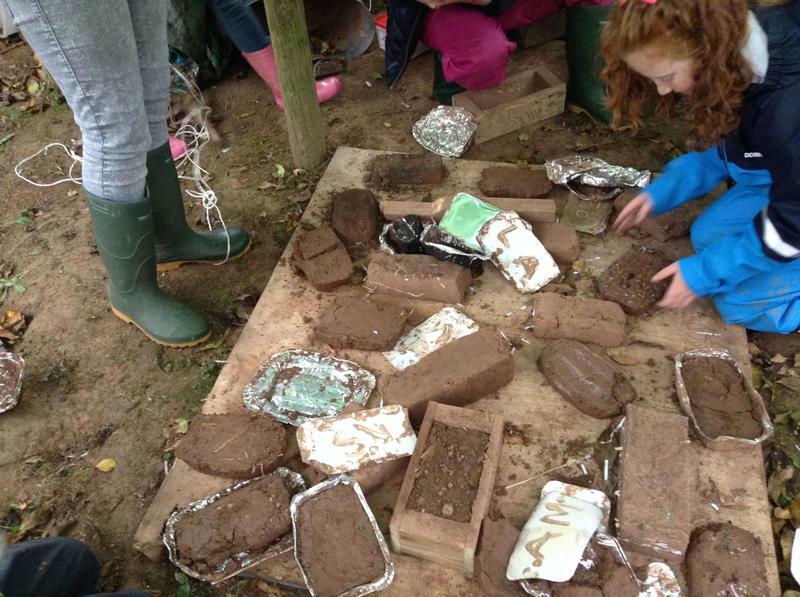 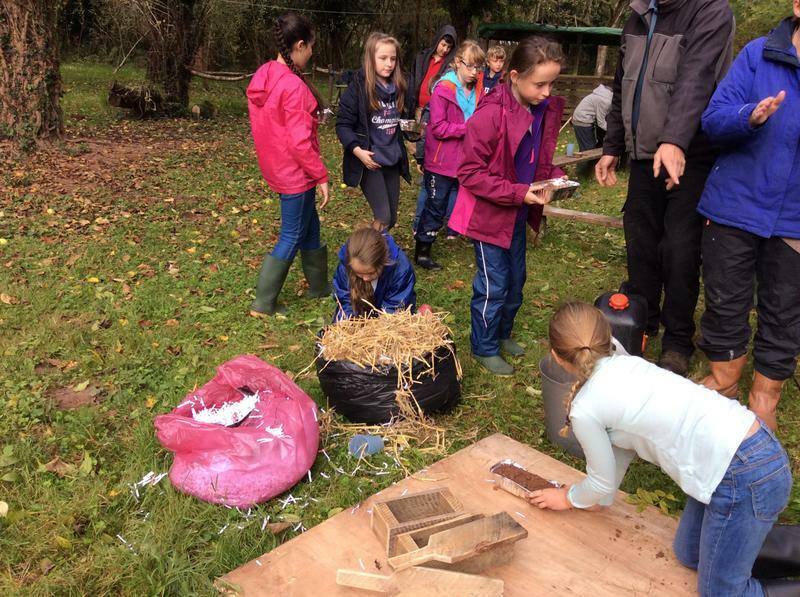 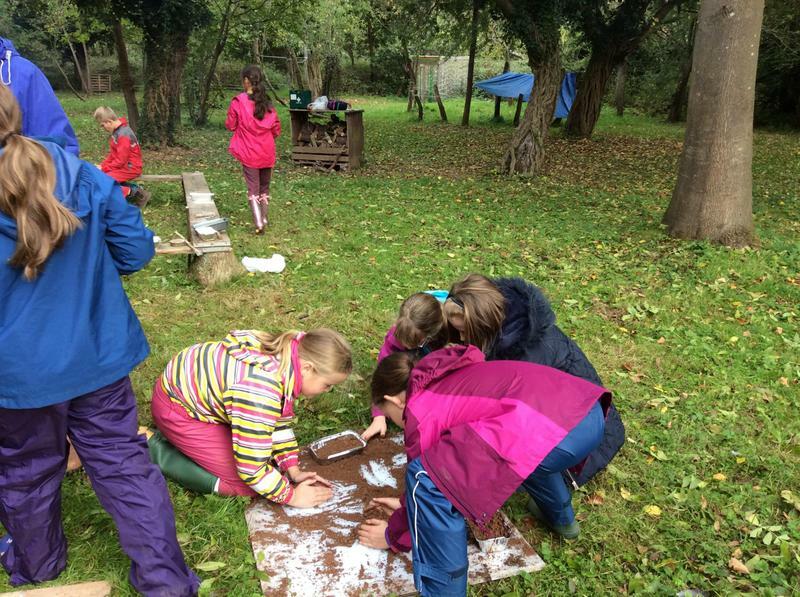 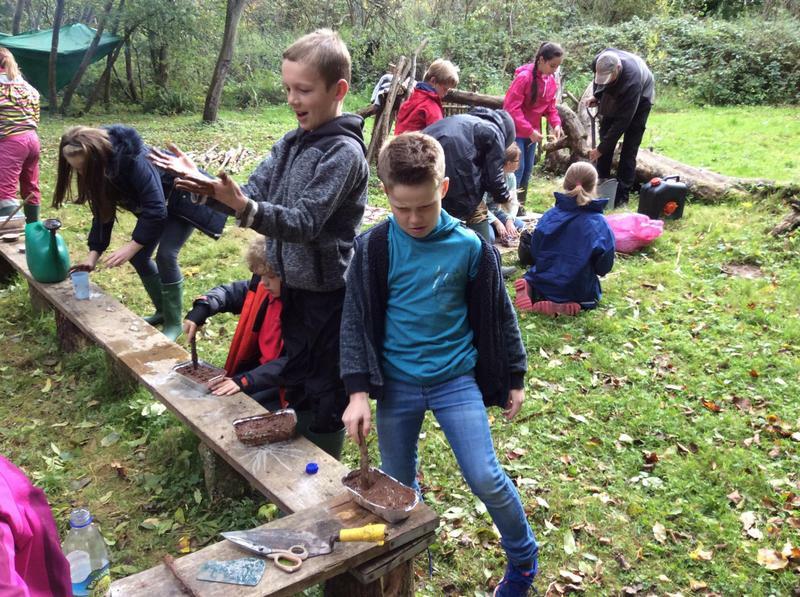 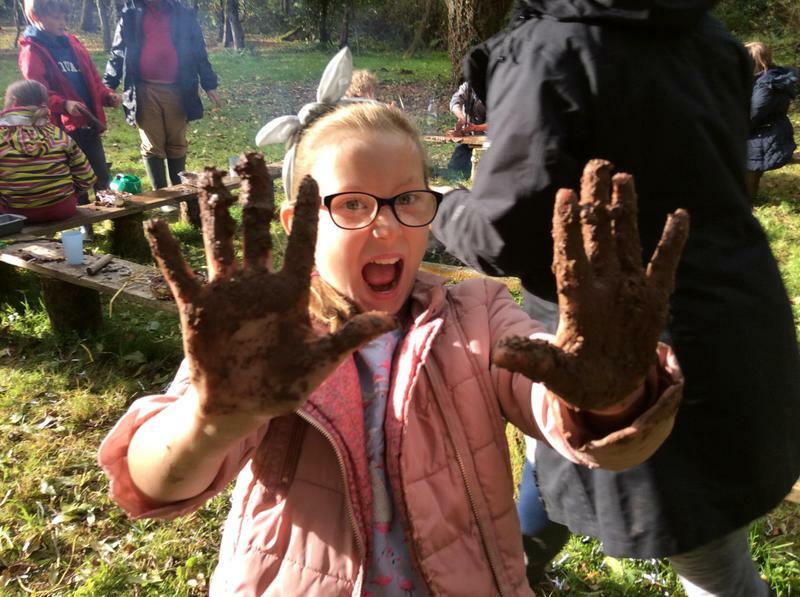 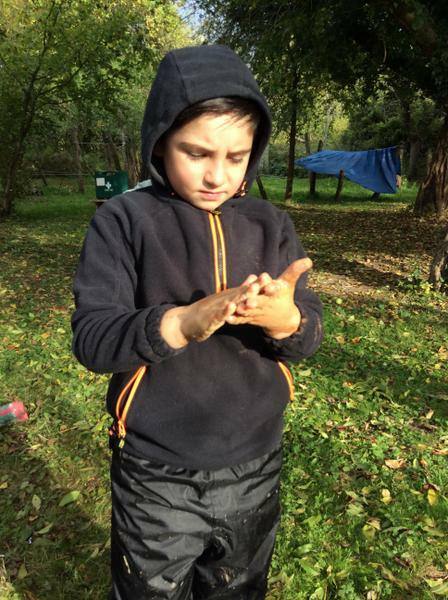 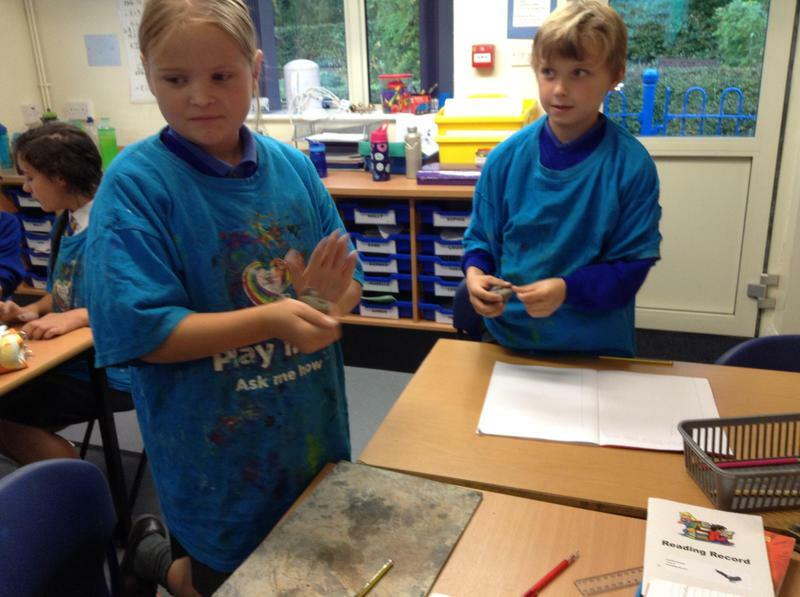 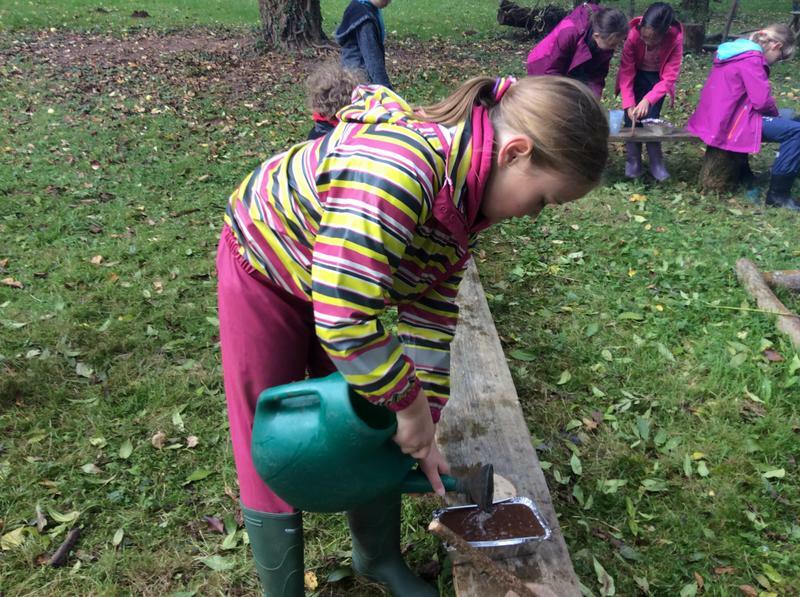 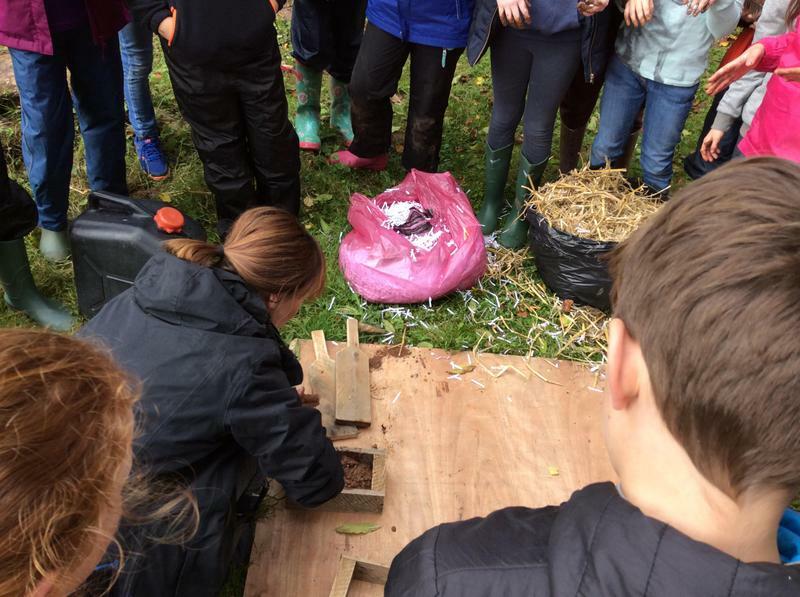 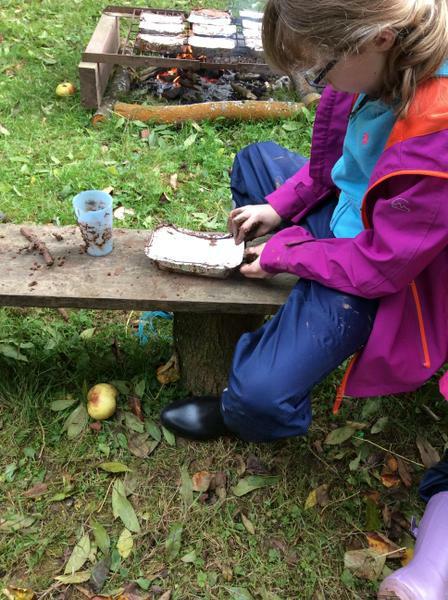 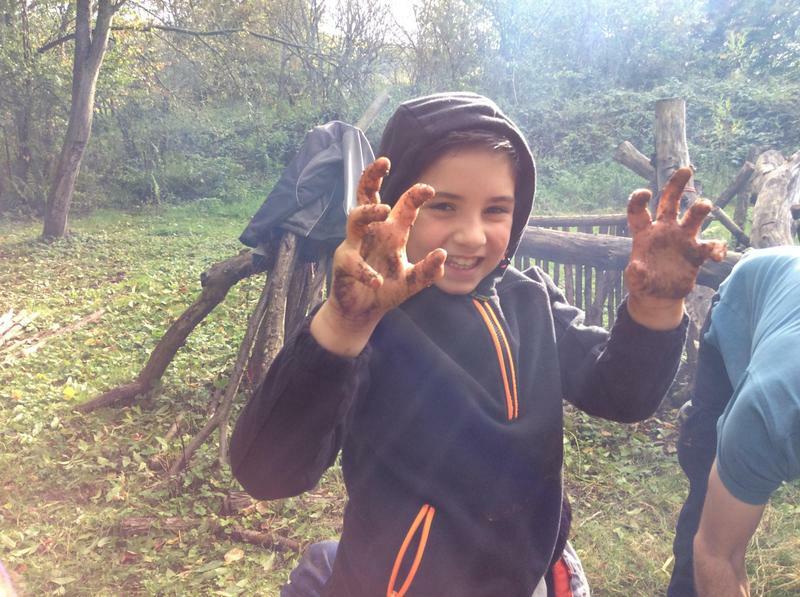 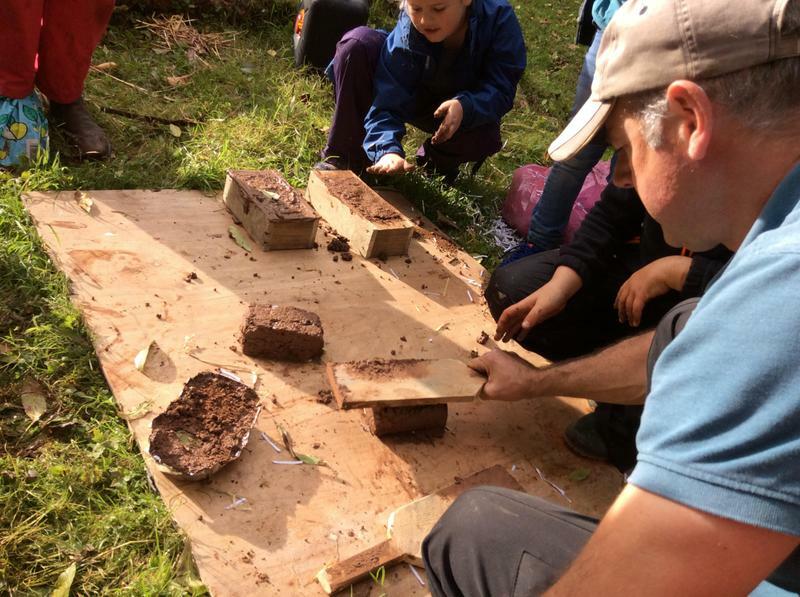 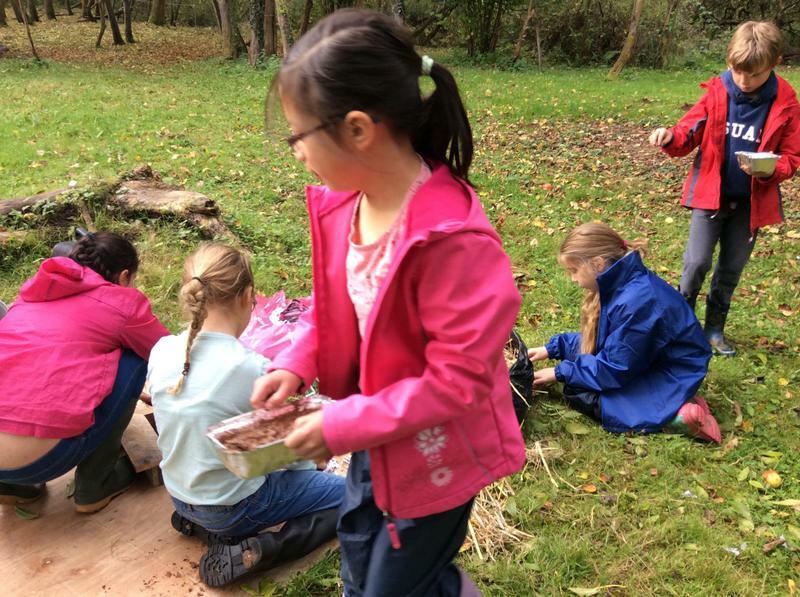 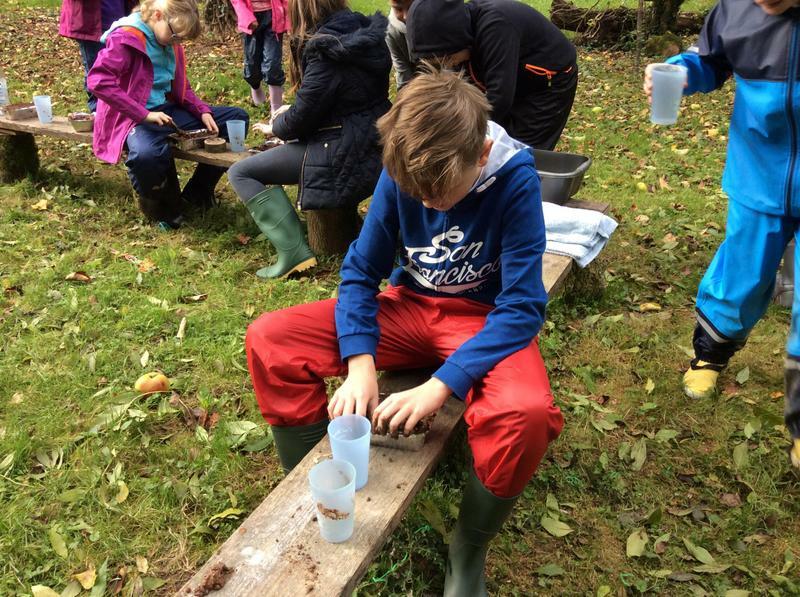 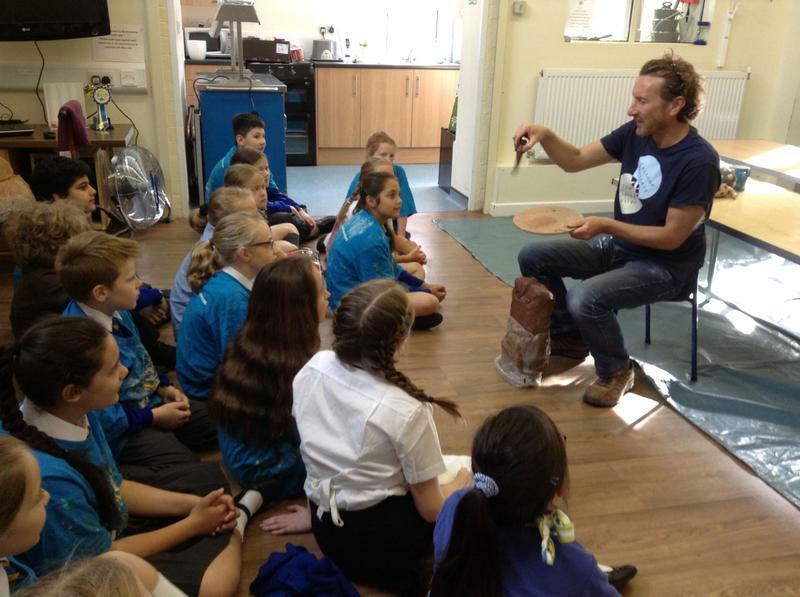 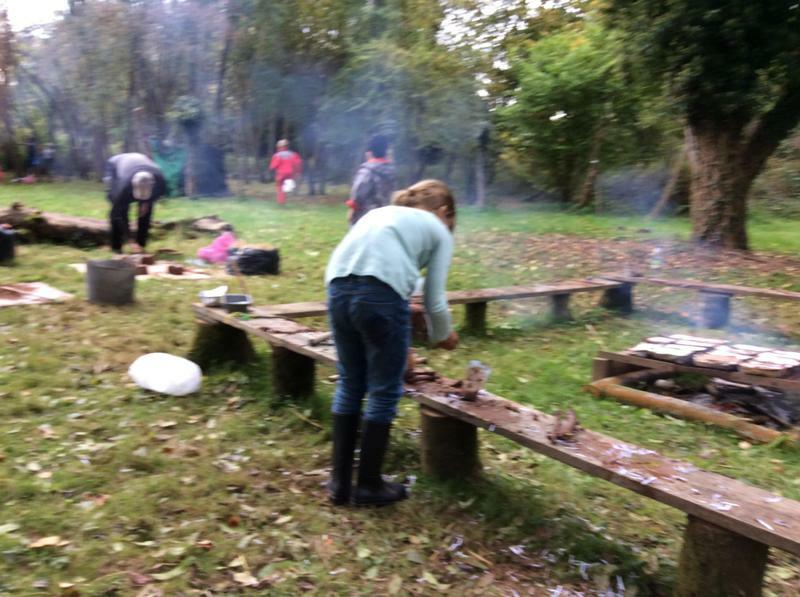 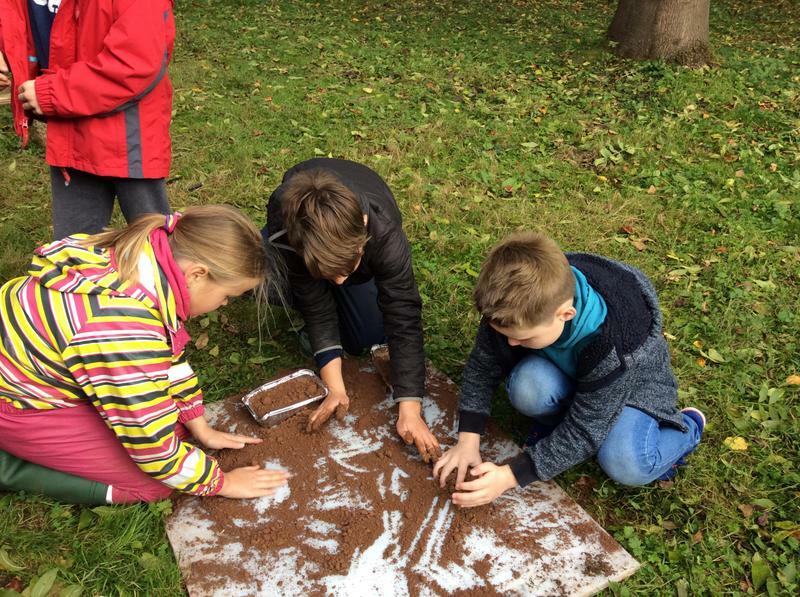 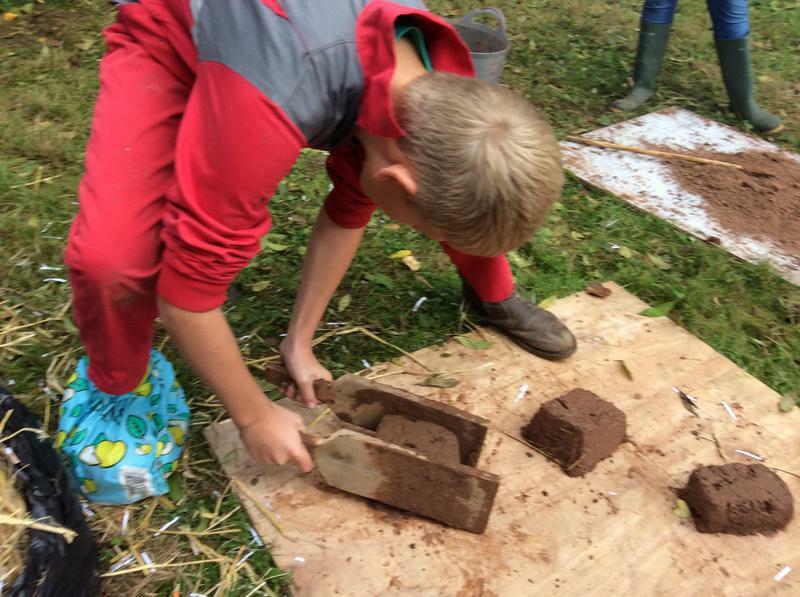 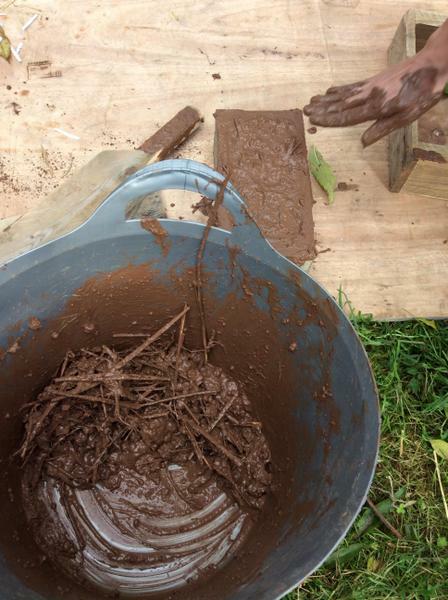 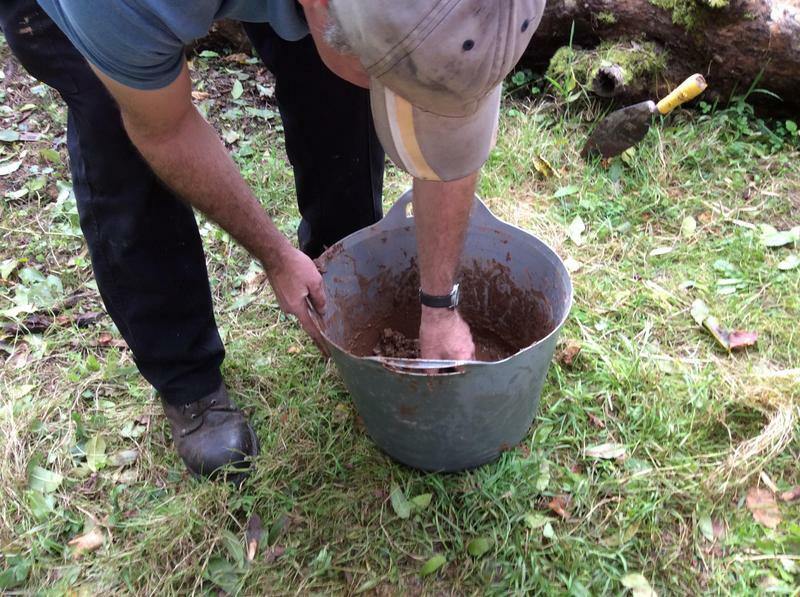 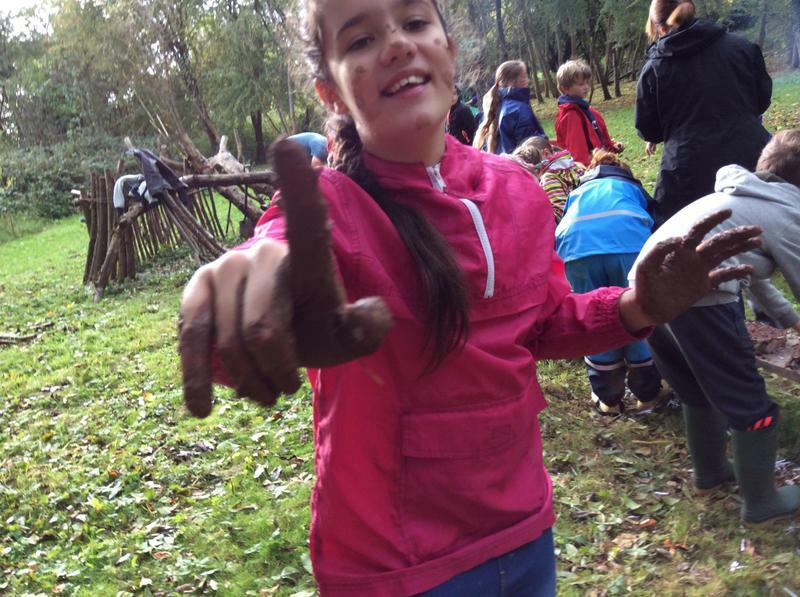 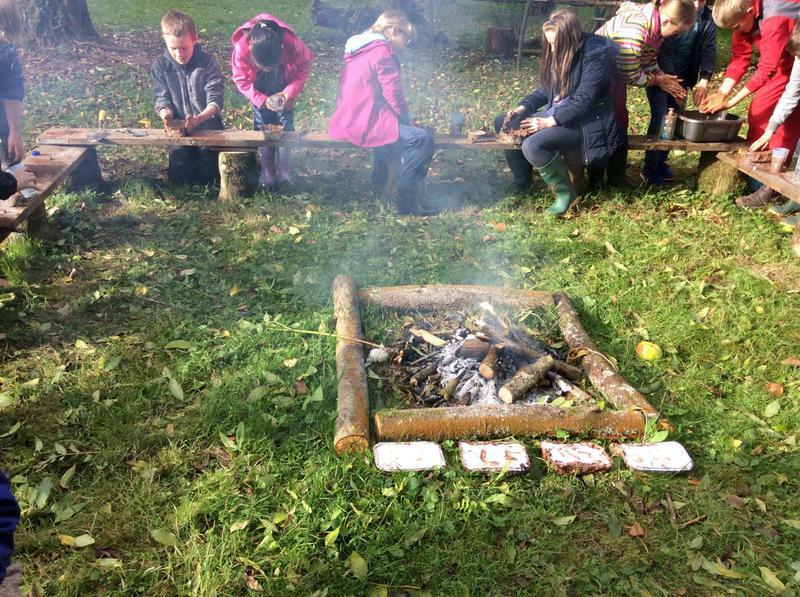 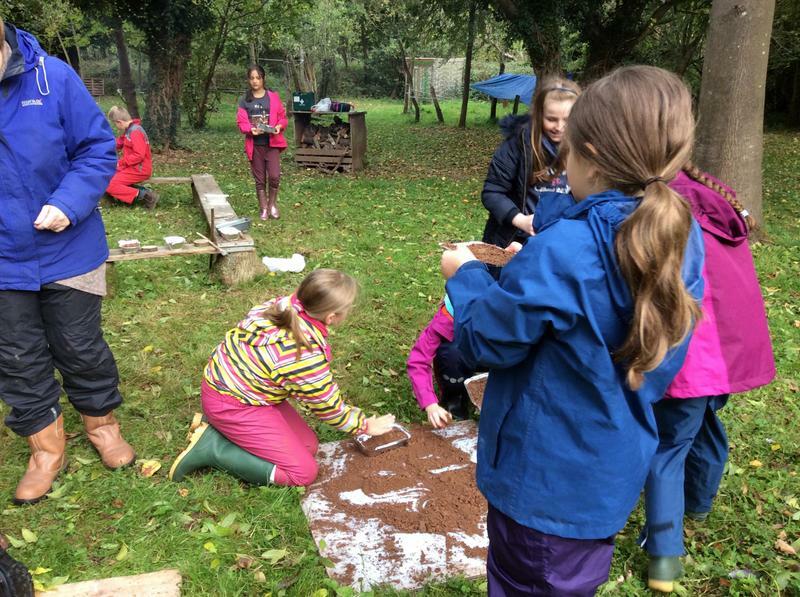 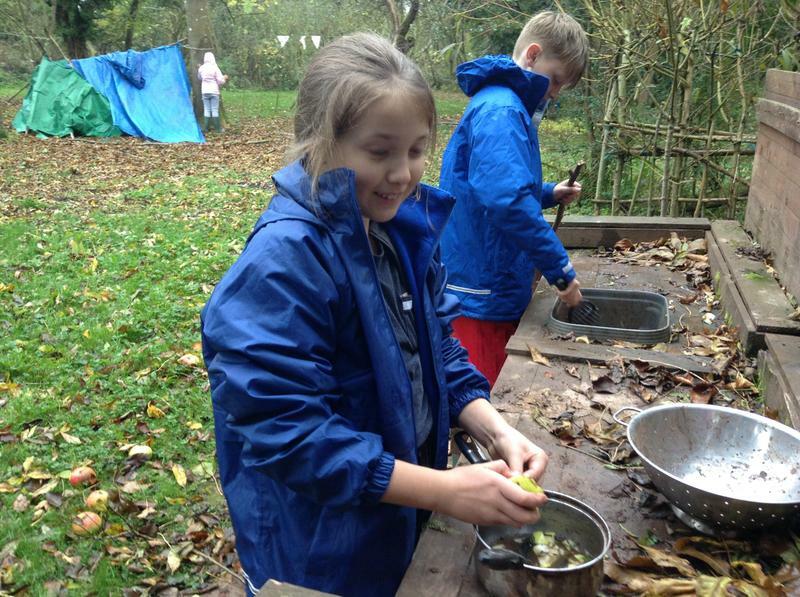 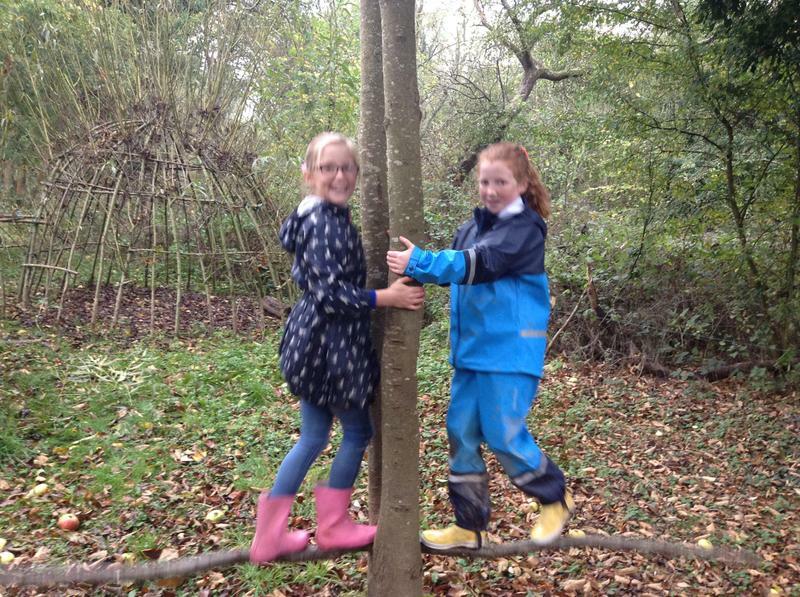 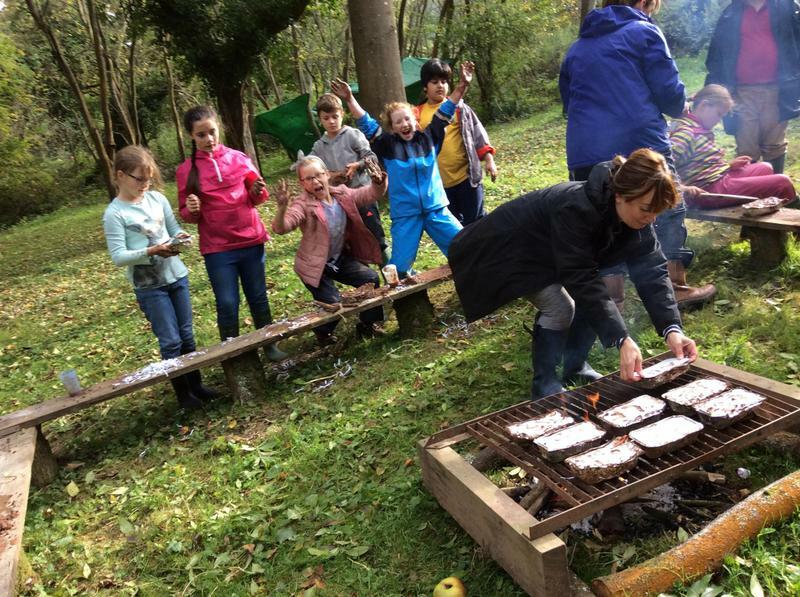 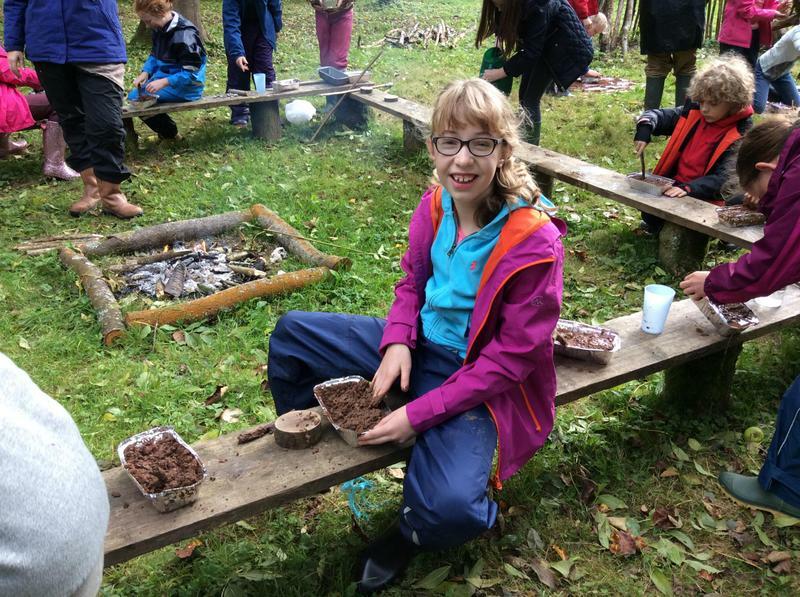 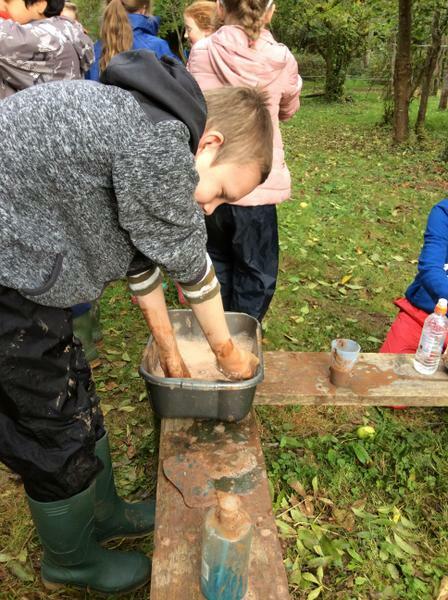 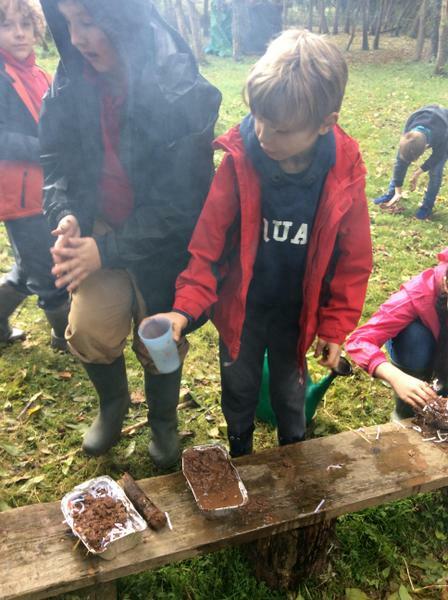 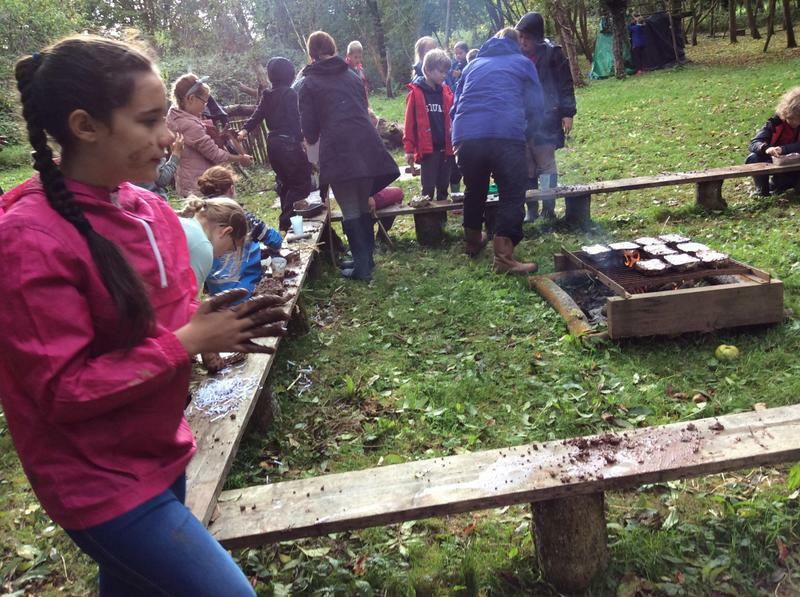 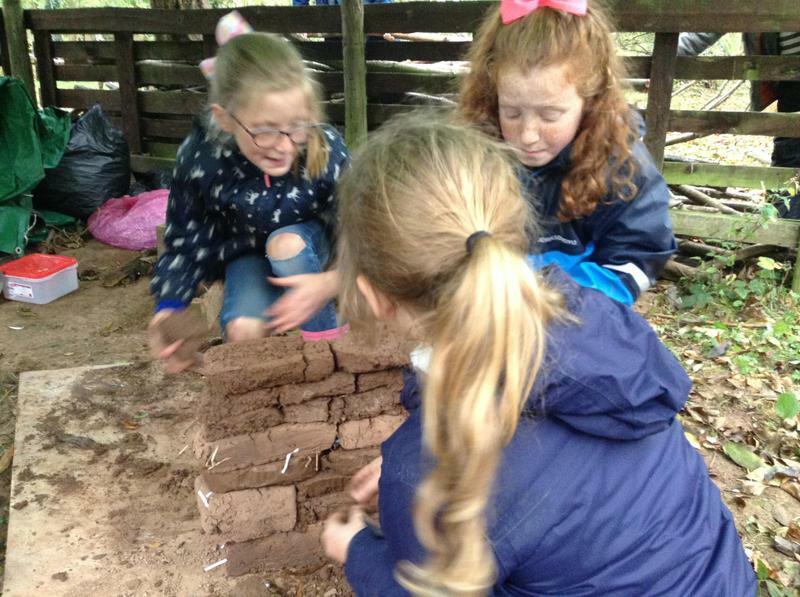 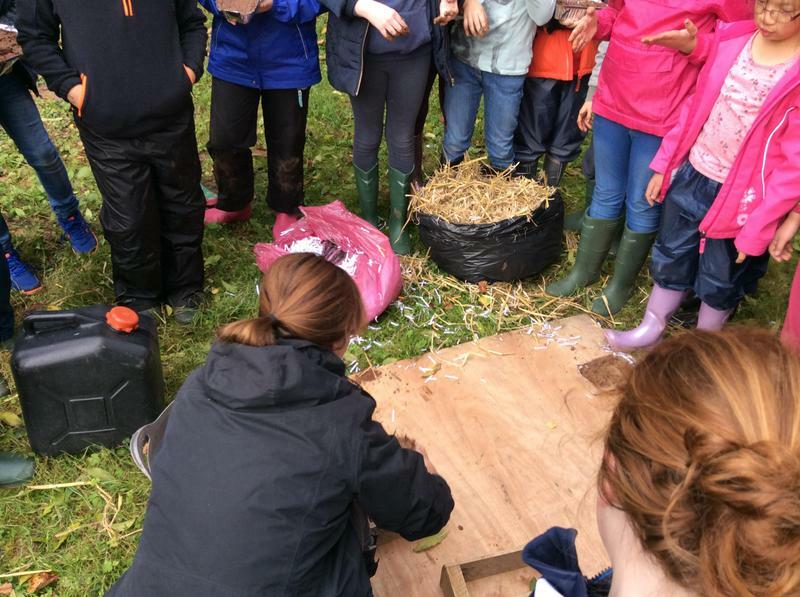 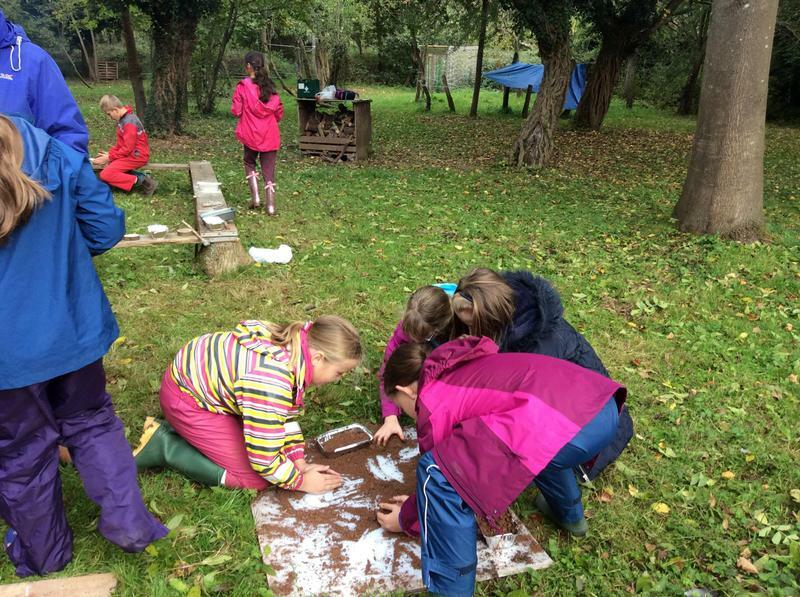 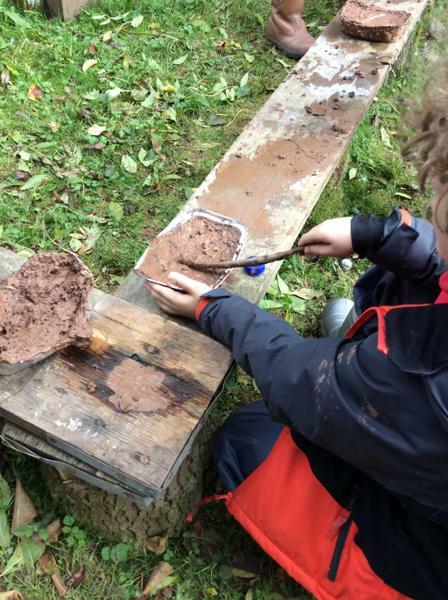 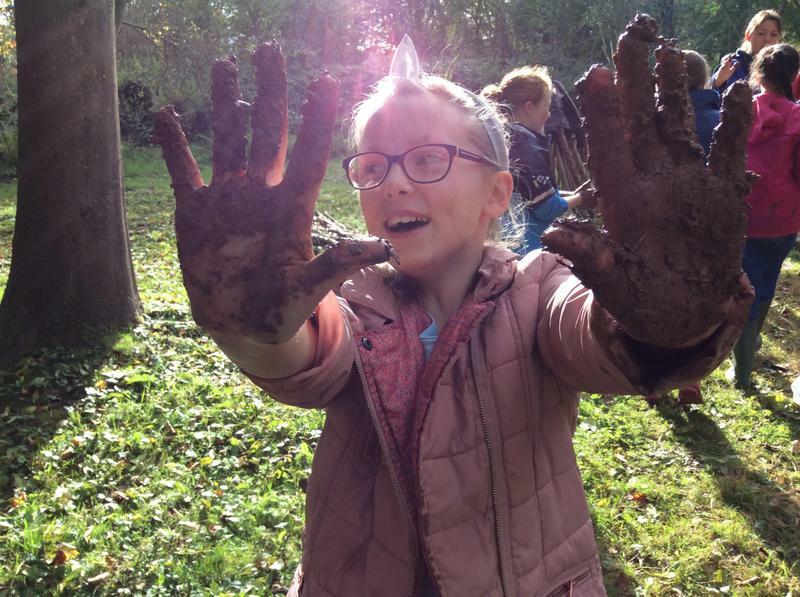 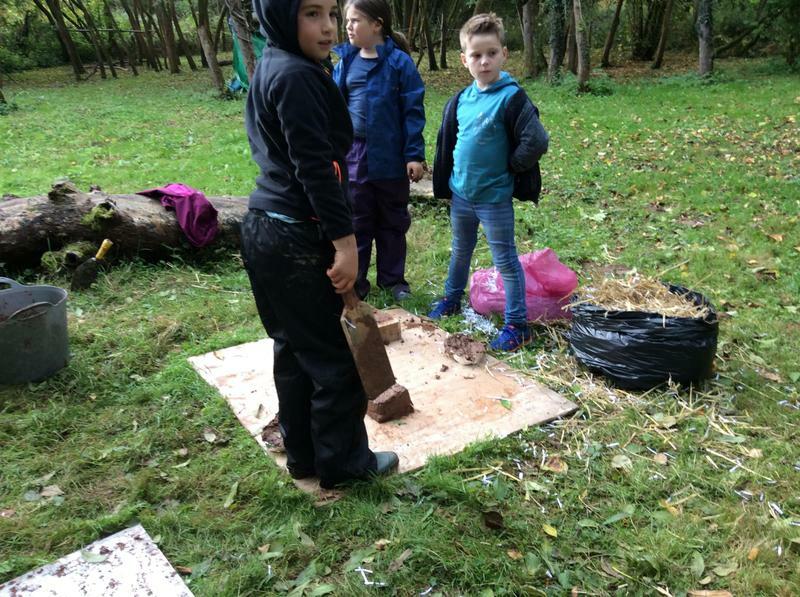 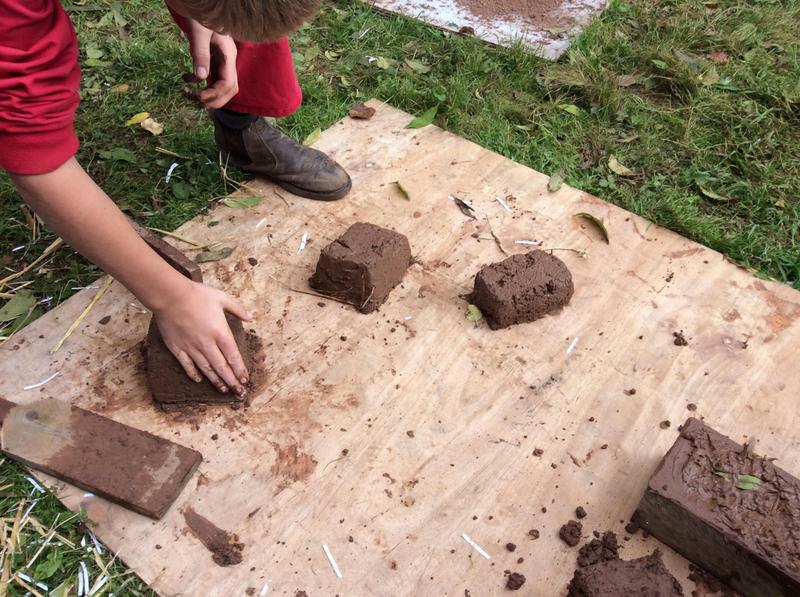 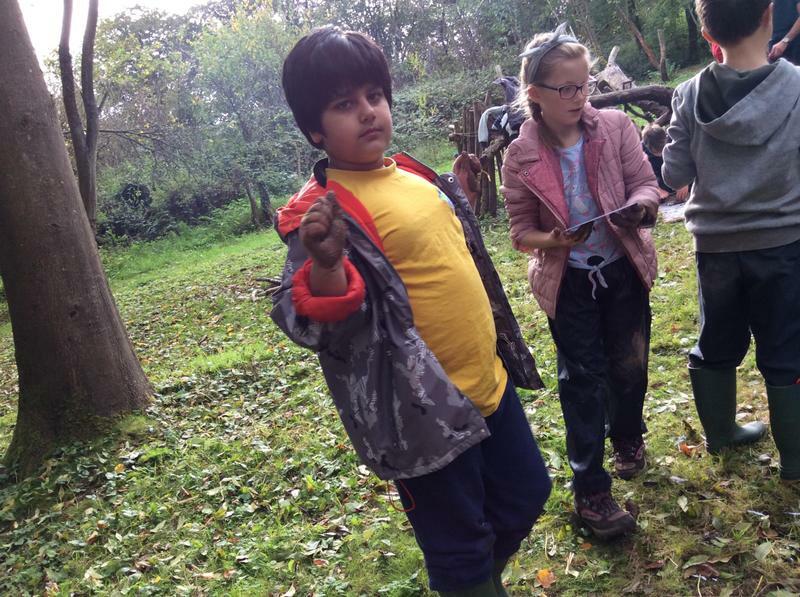 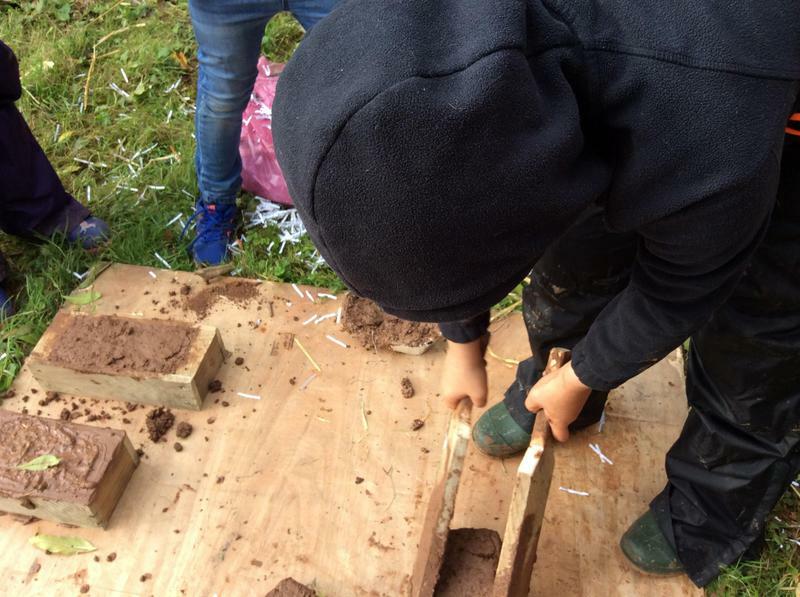 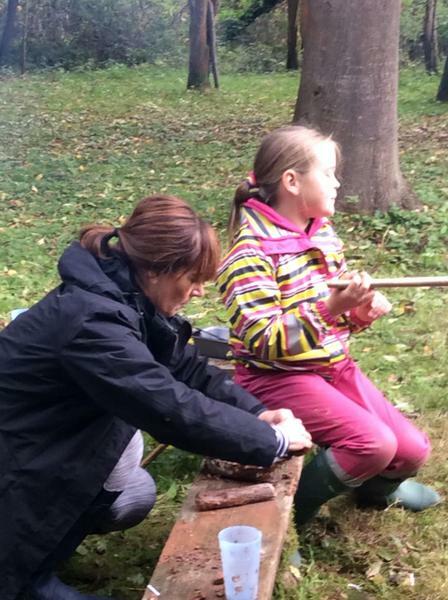 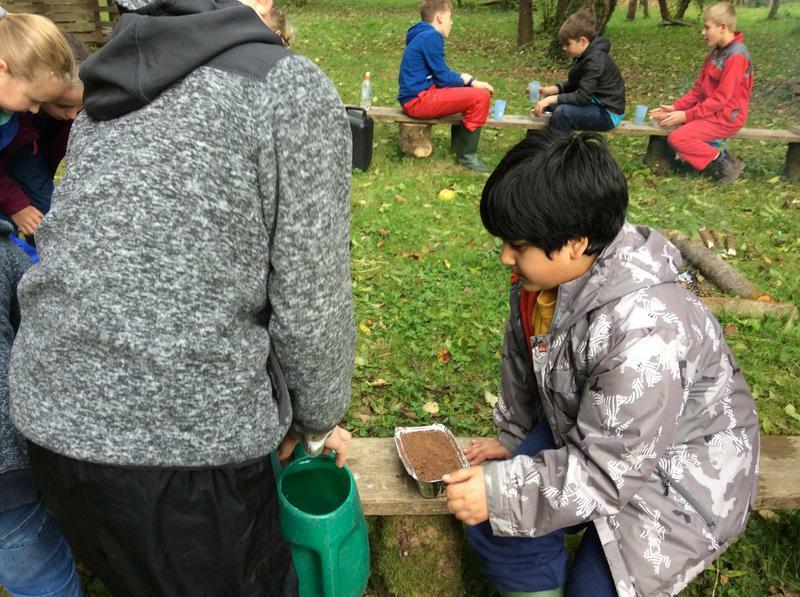 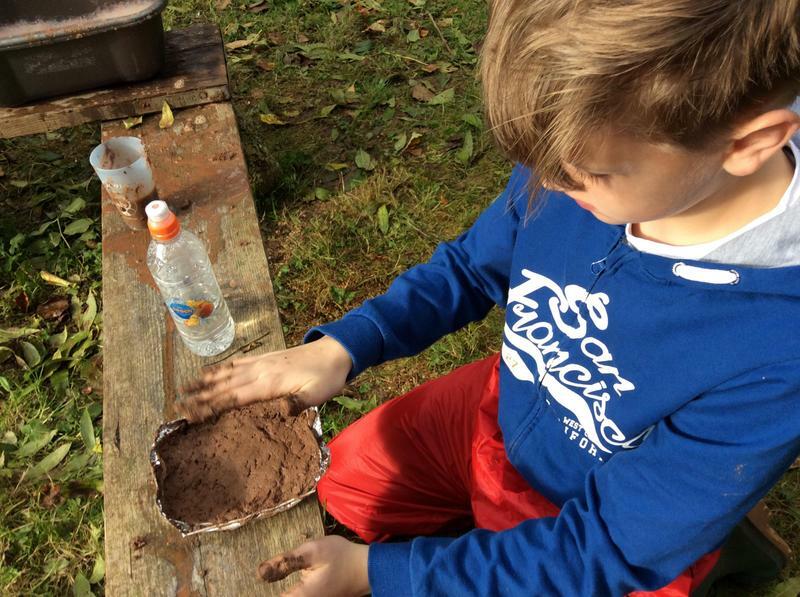 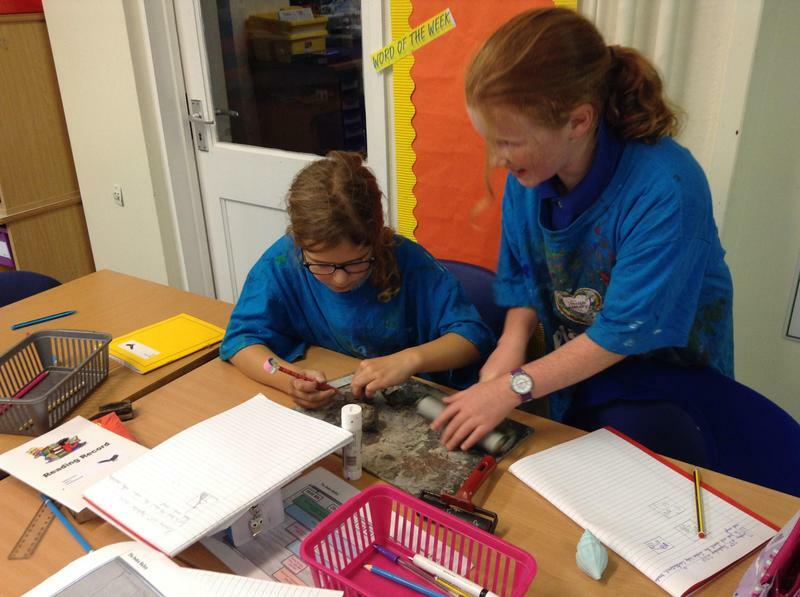 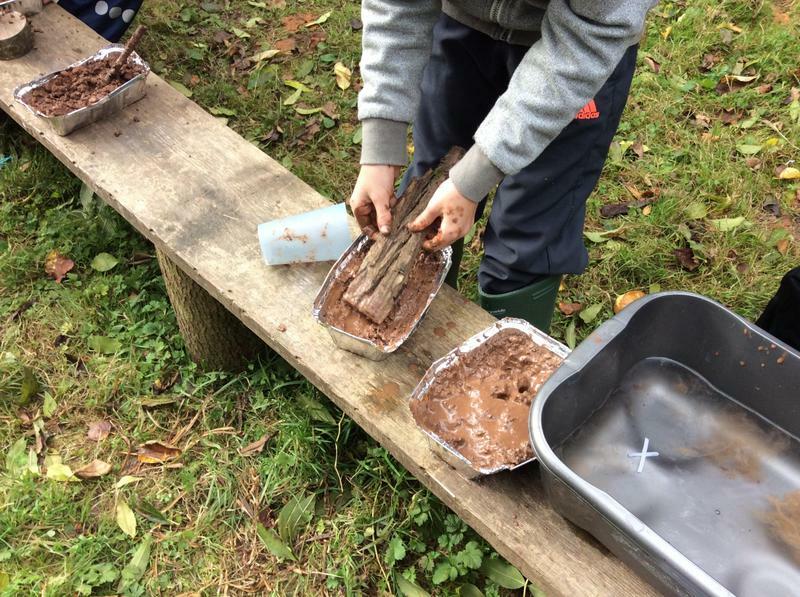 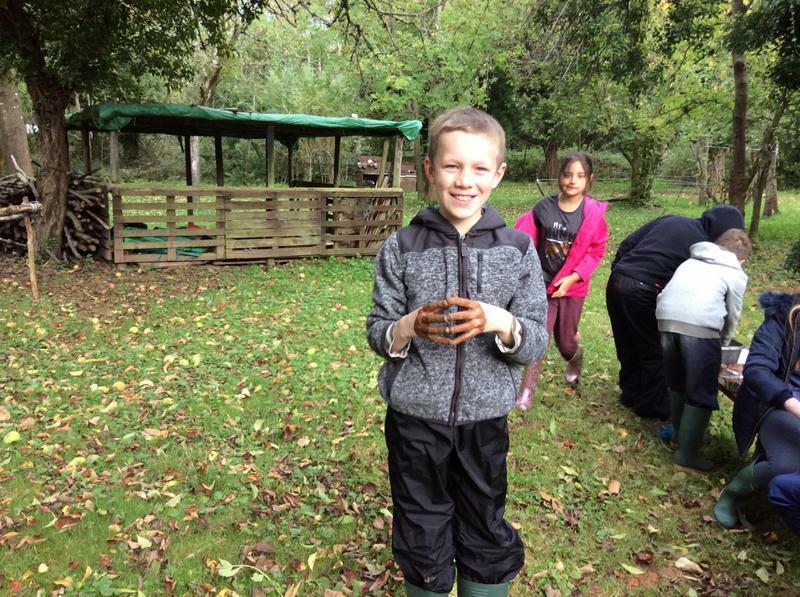 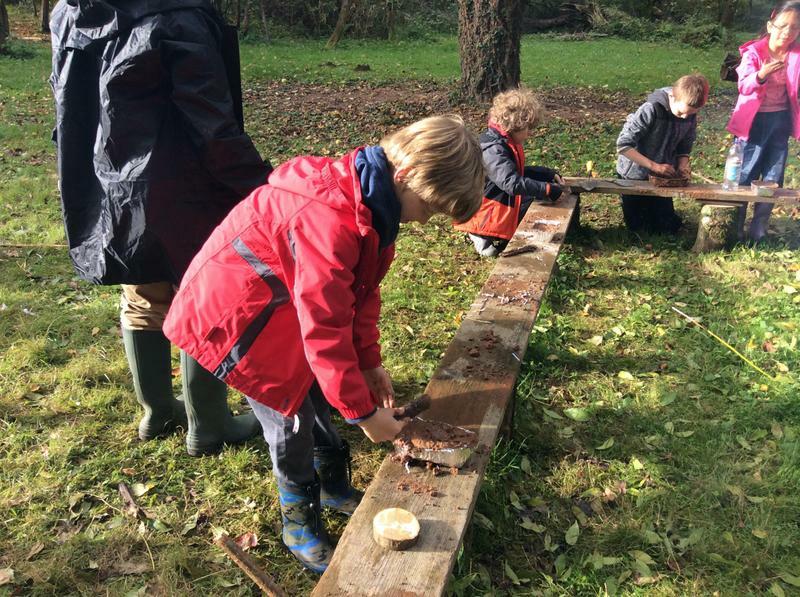 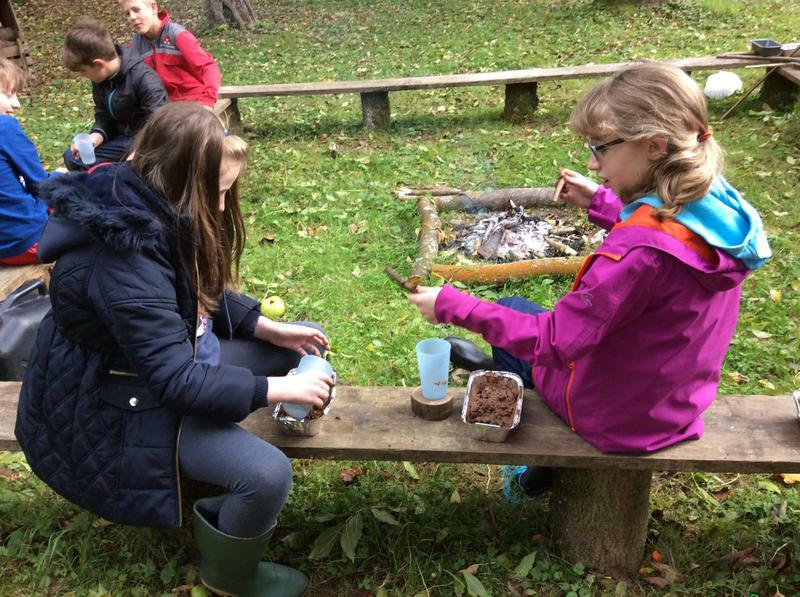 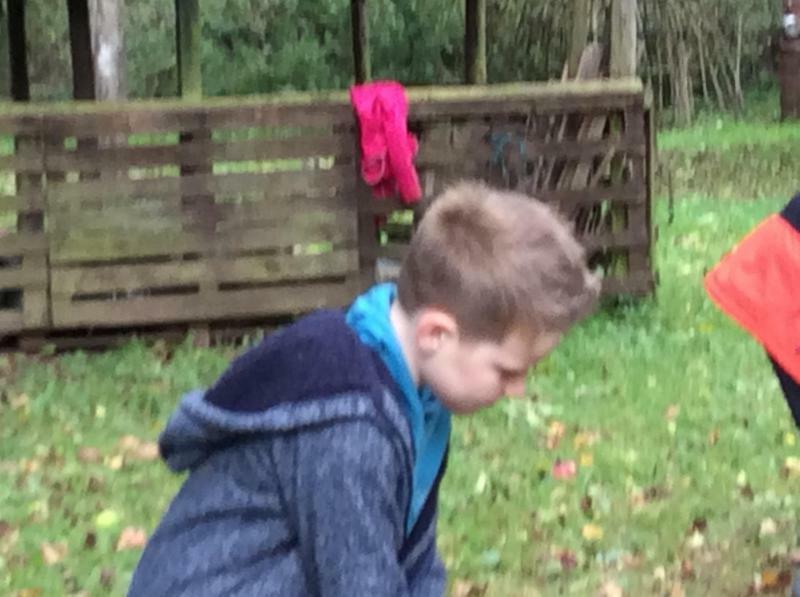 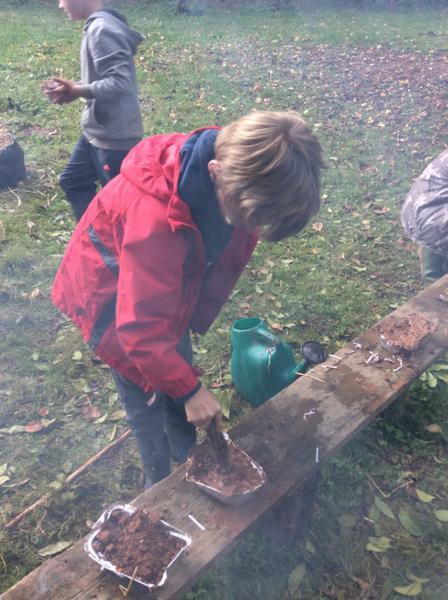 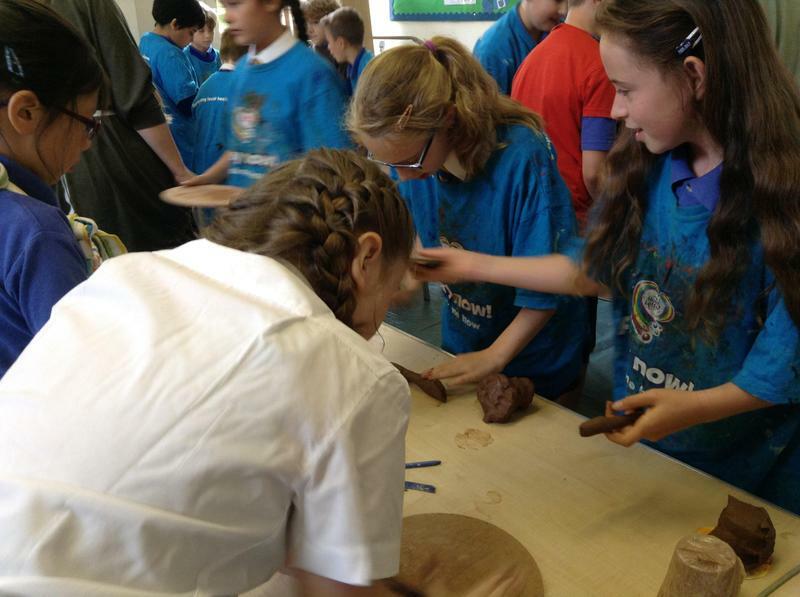 In Forest School we decided to have a go at making our own mud baked bricks as they did 3,000 BC years ago. 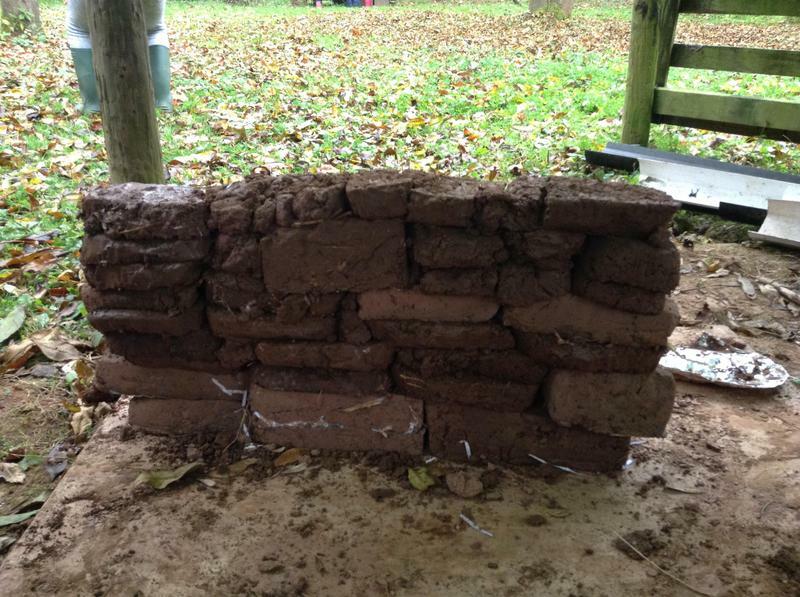 This type of brick is very strong and is still in use today! 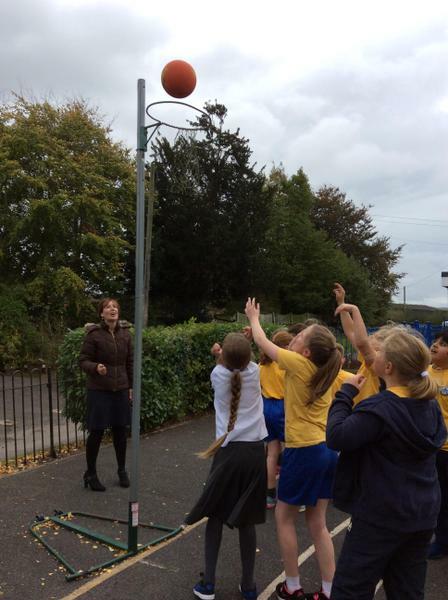 Take a look at us in action!!! 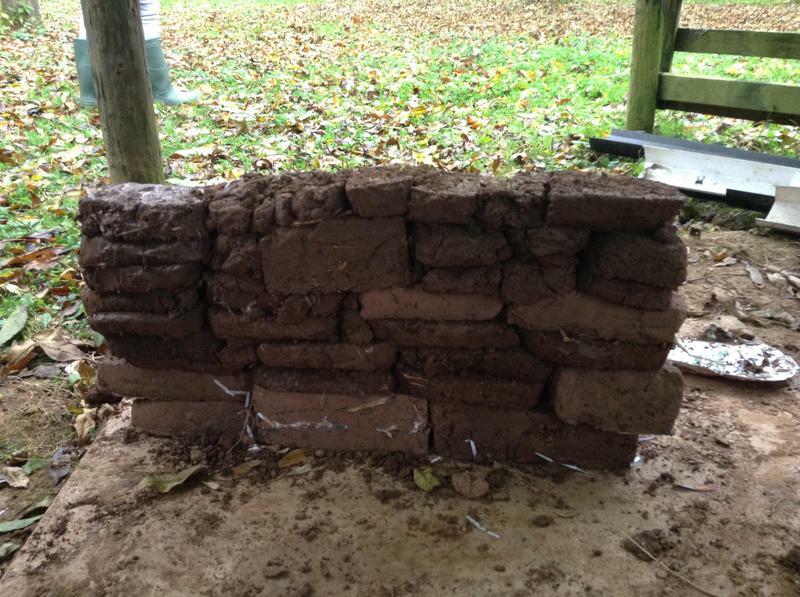 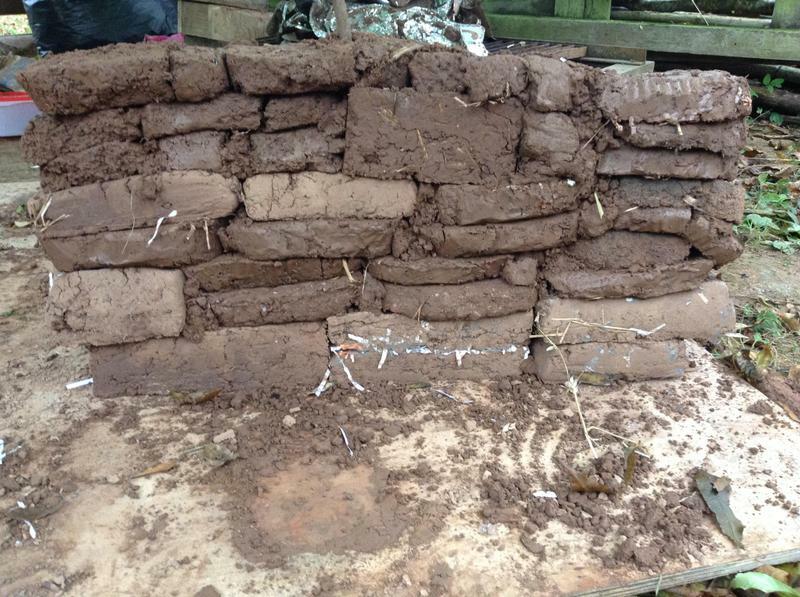 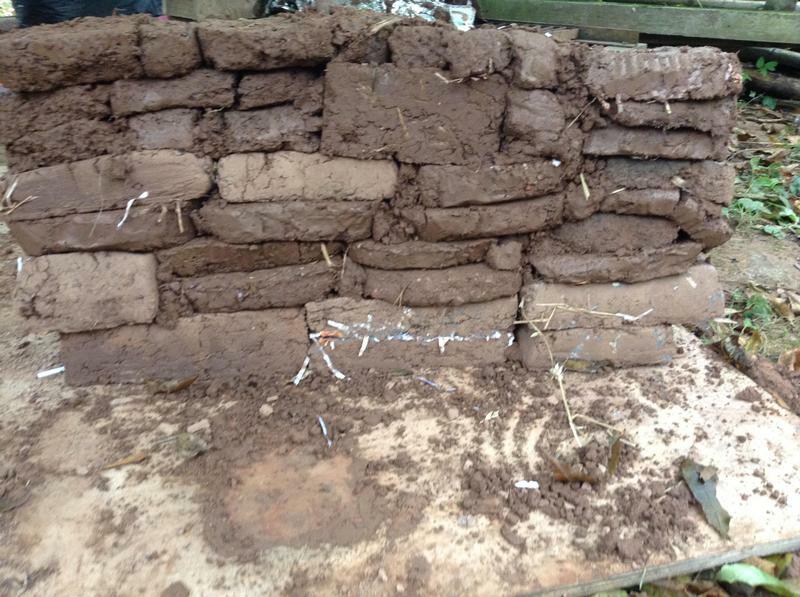 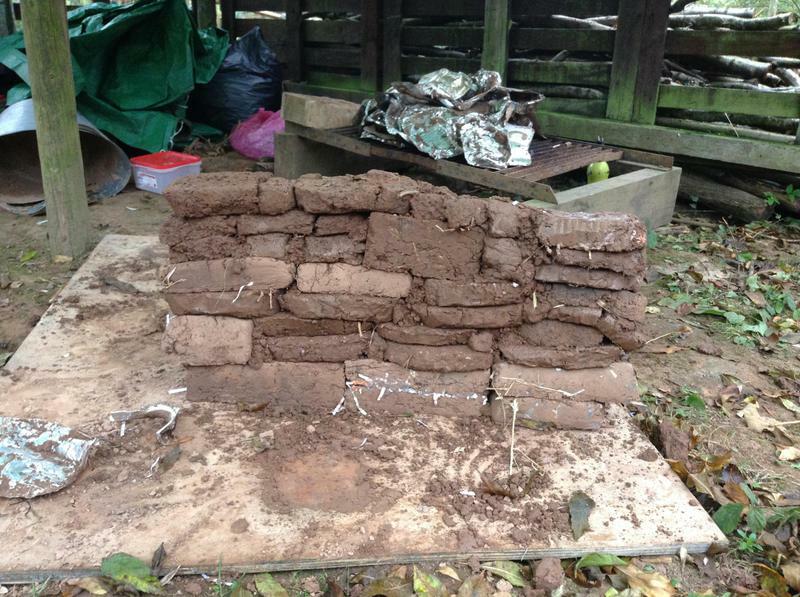 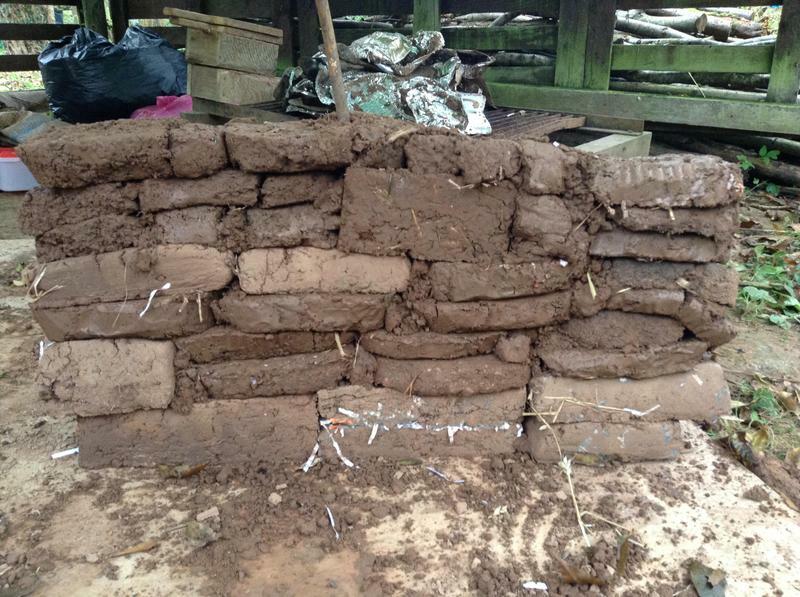 Finally our bricks have dried and we were able to build our Indus Valley mud brick wall! 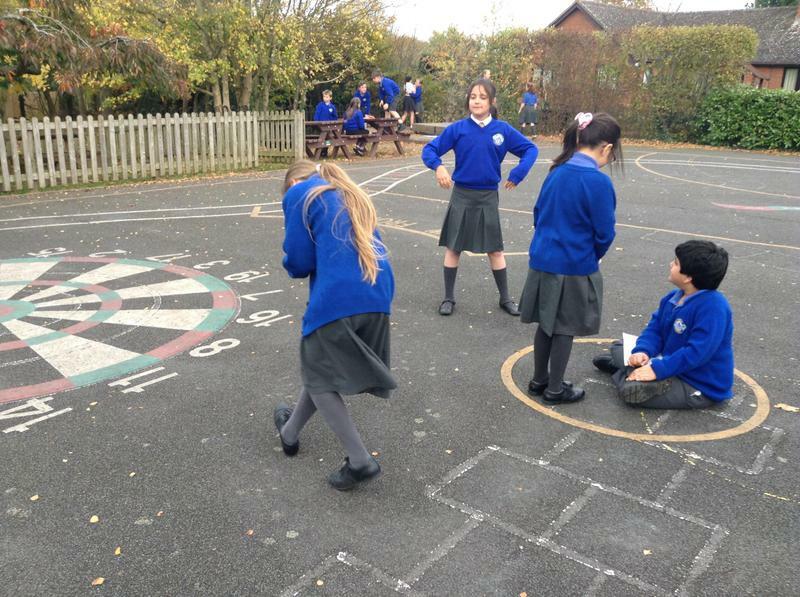 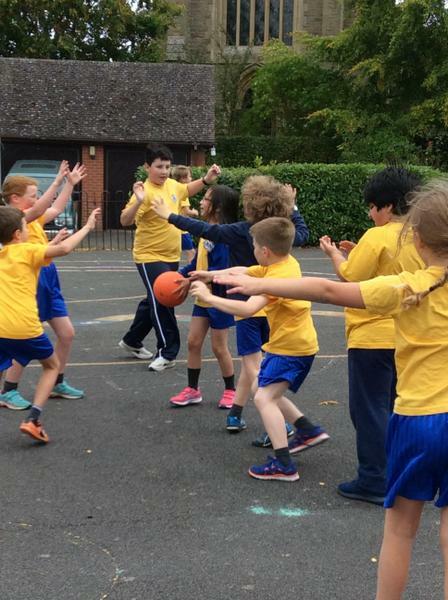 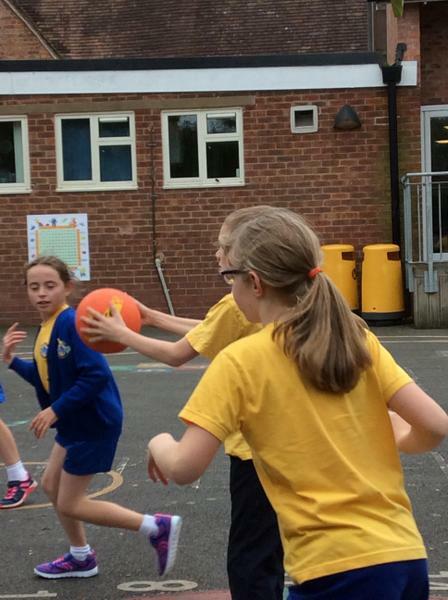 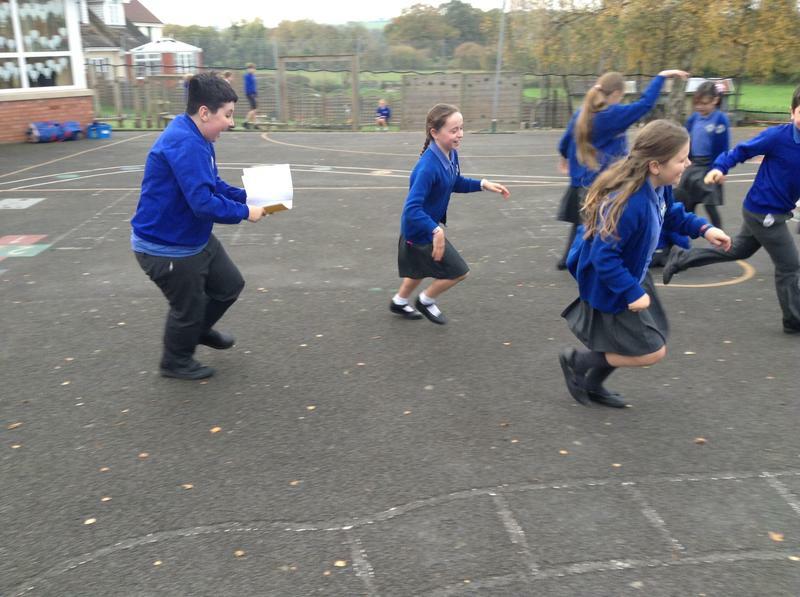 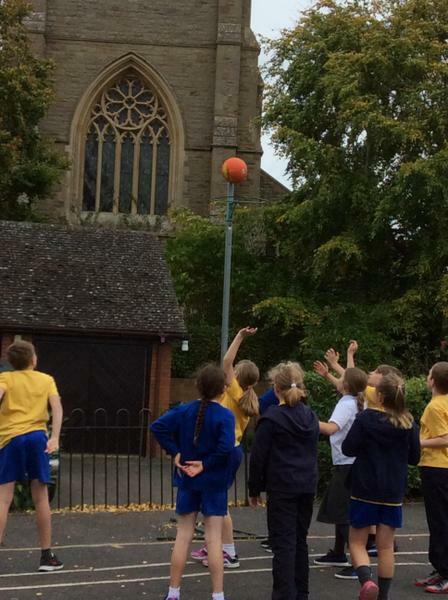 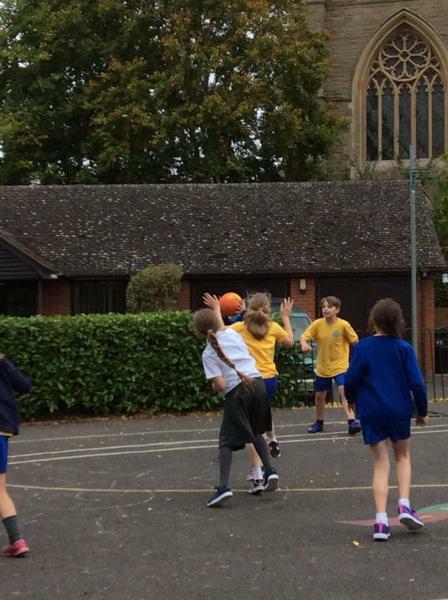 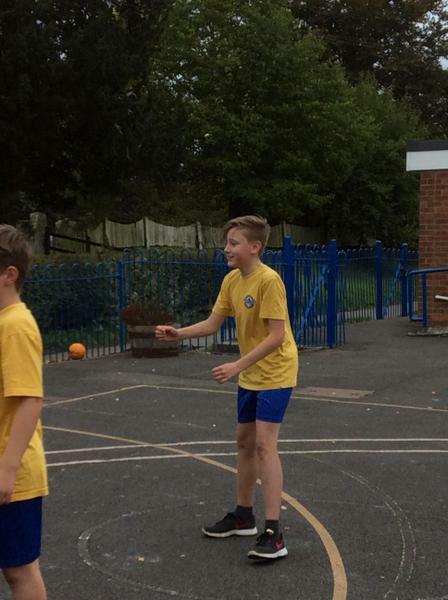 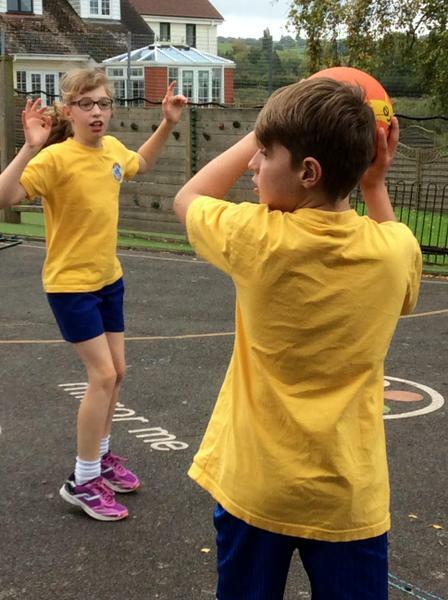 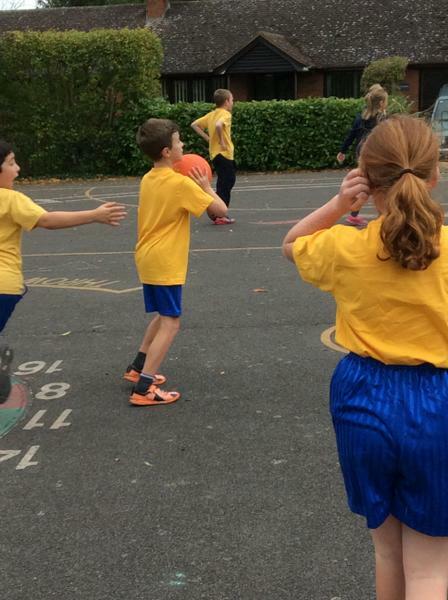 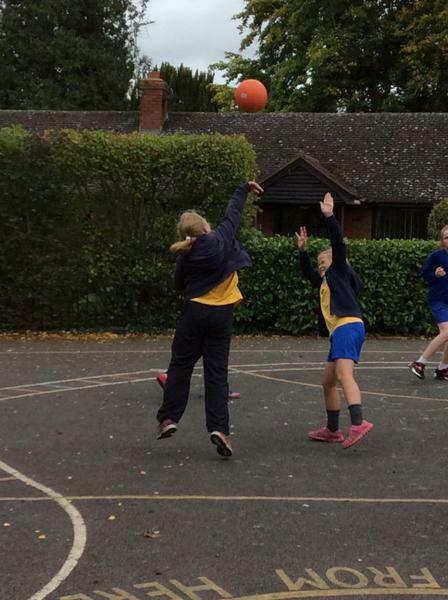 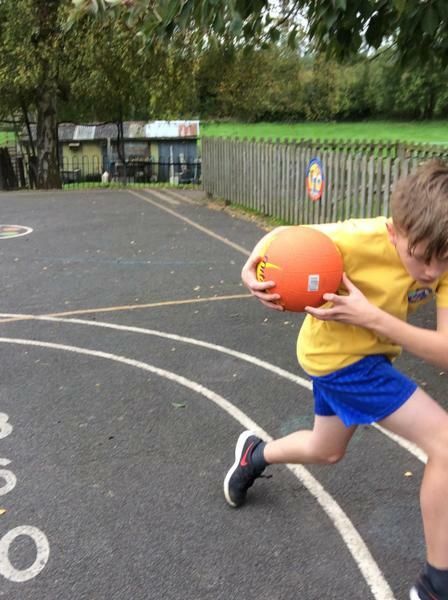 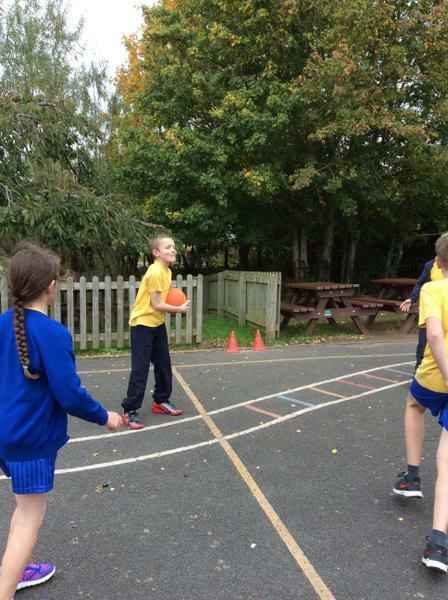 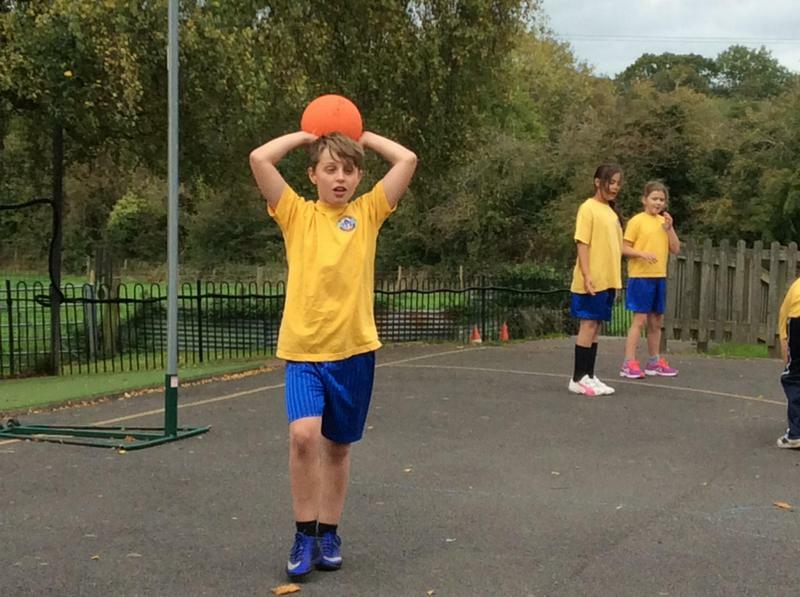 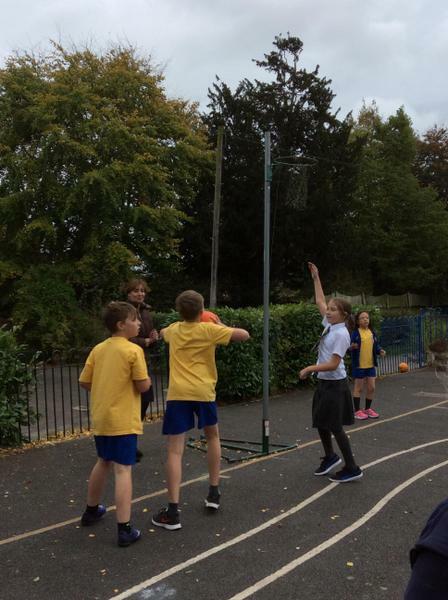 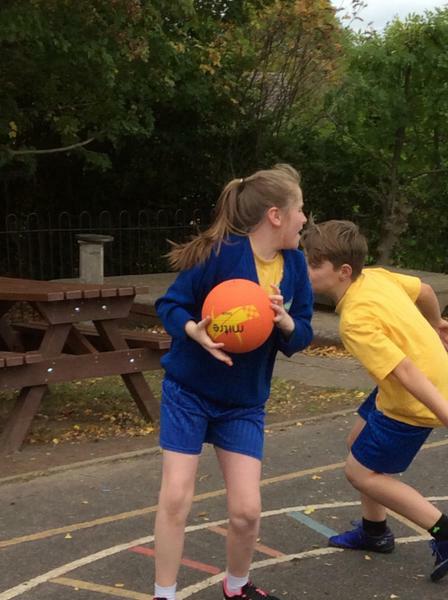 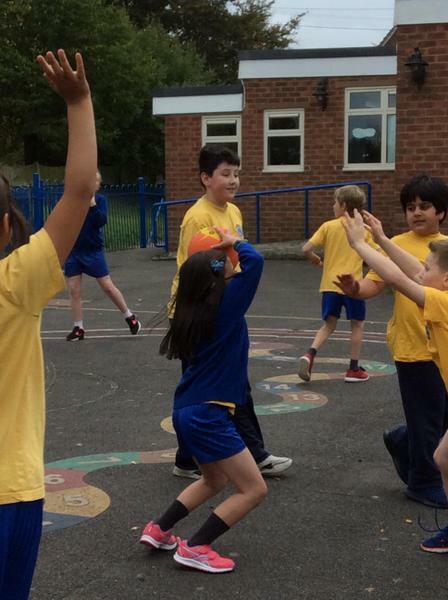 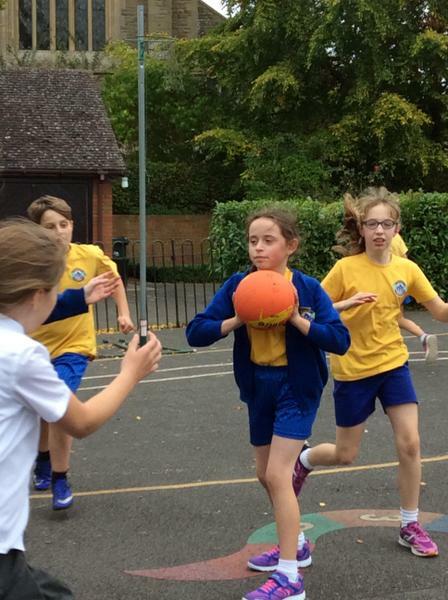 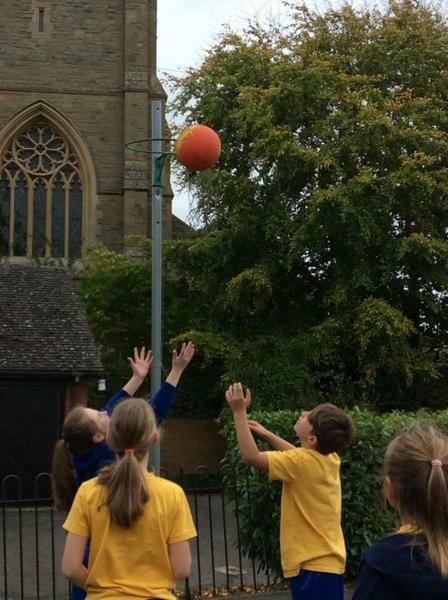 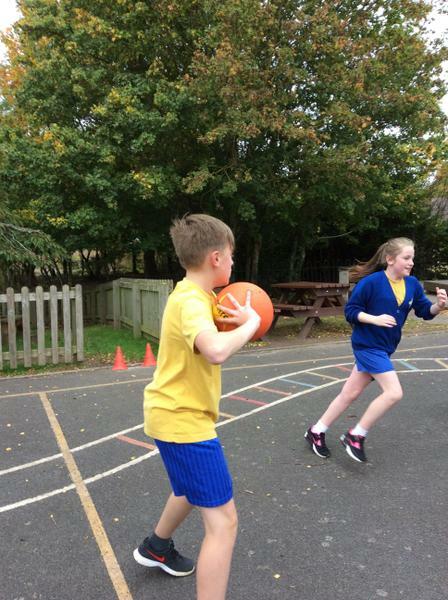 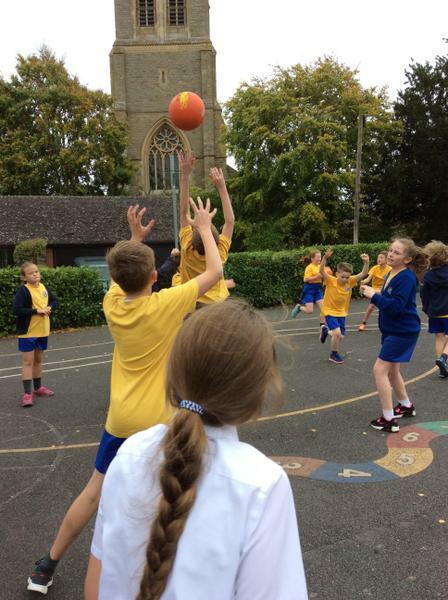 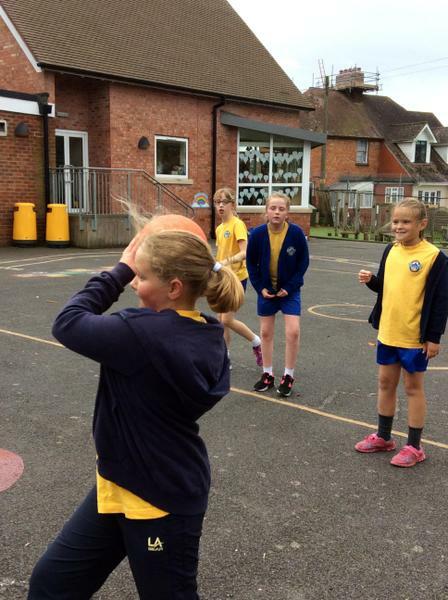 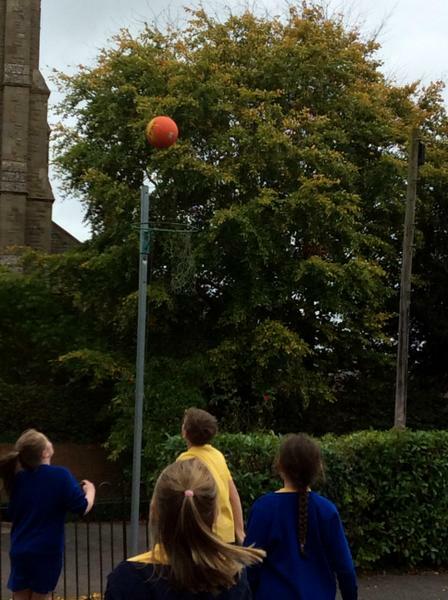 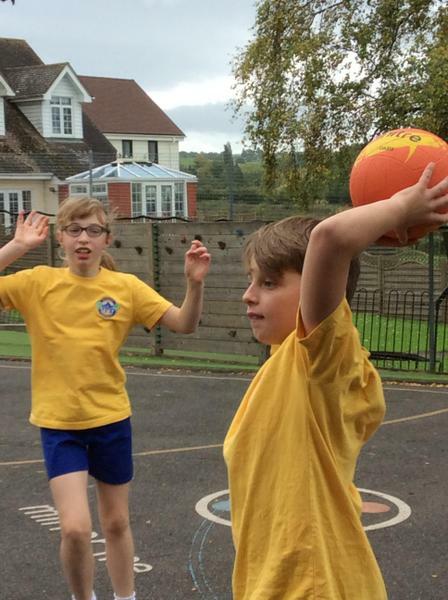 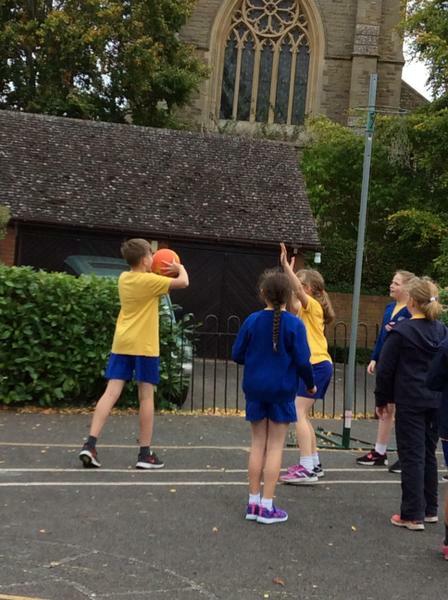 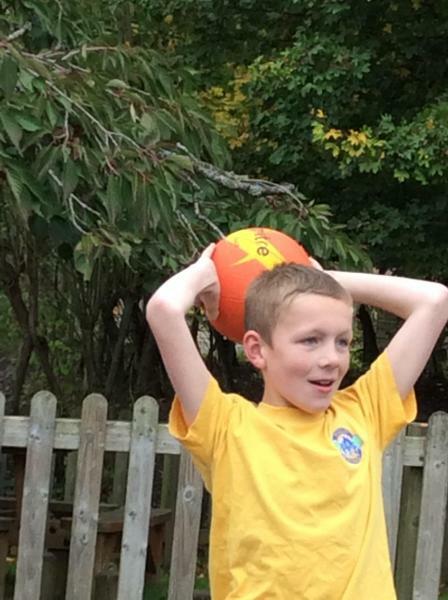 Eagles Class show casing their netball skills during PE! 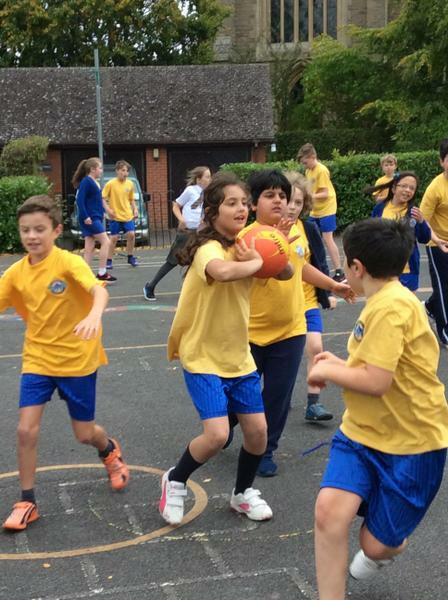 Go team Eagles !!! 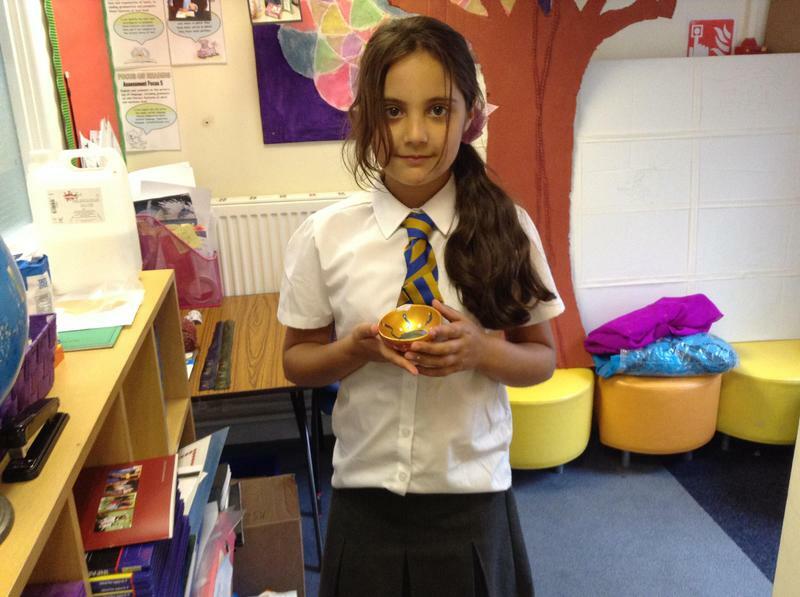 Today in Eagles we have been learning about the Hindu celebration of Diwali. 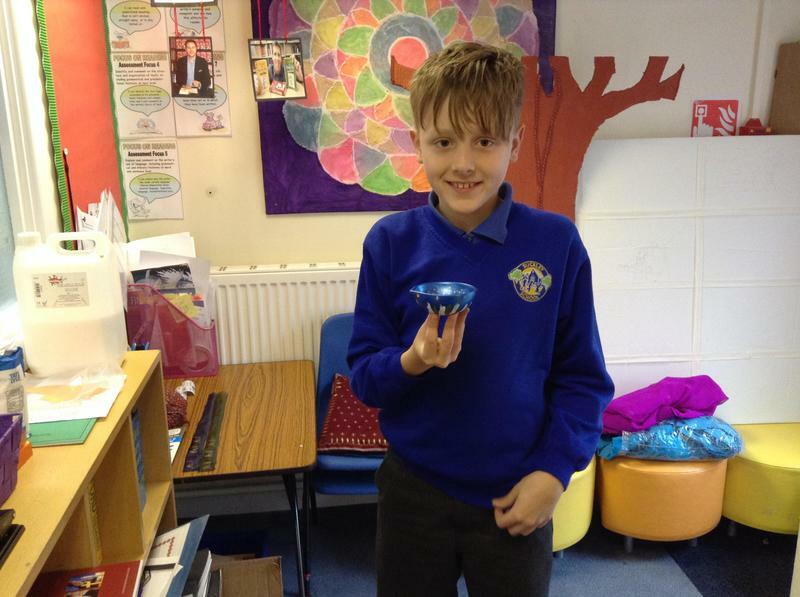 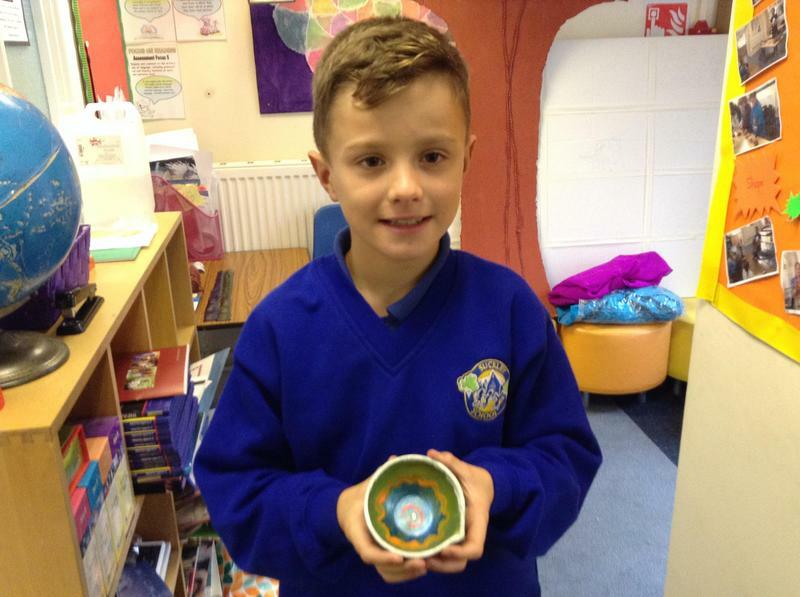 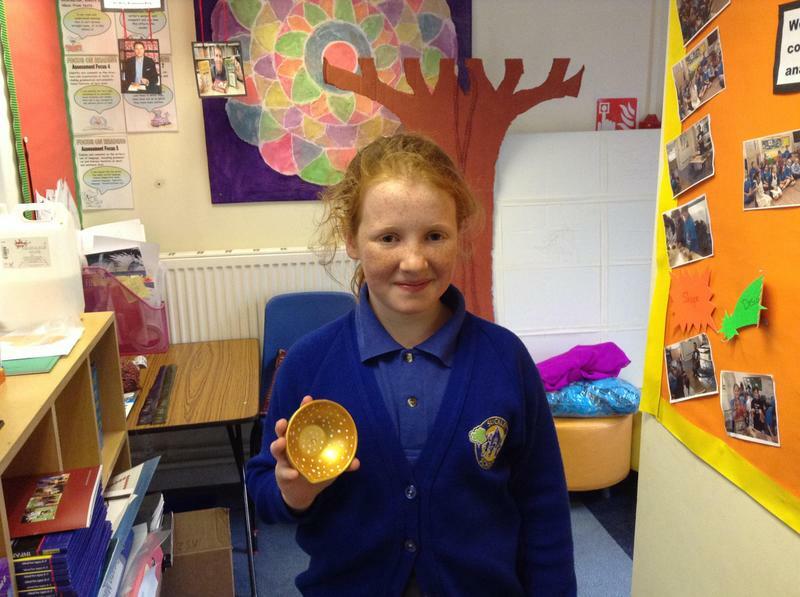 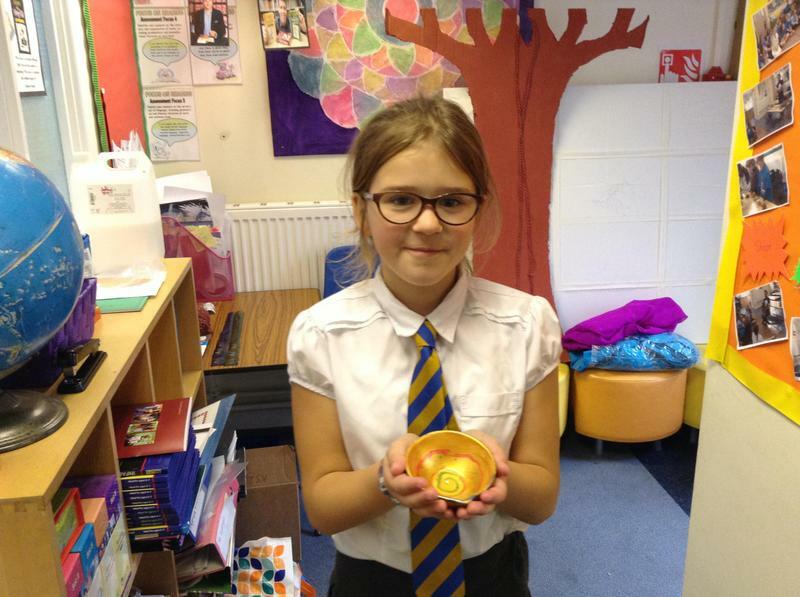 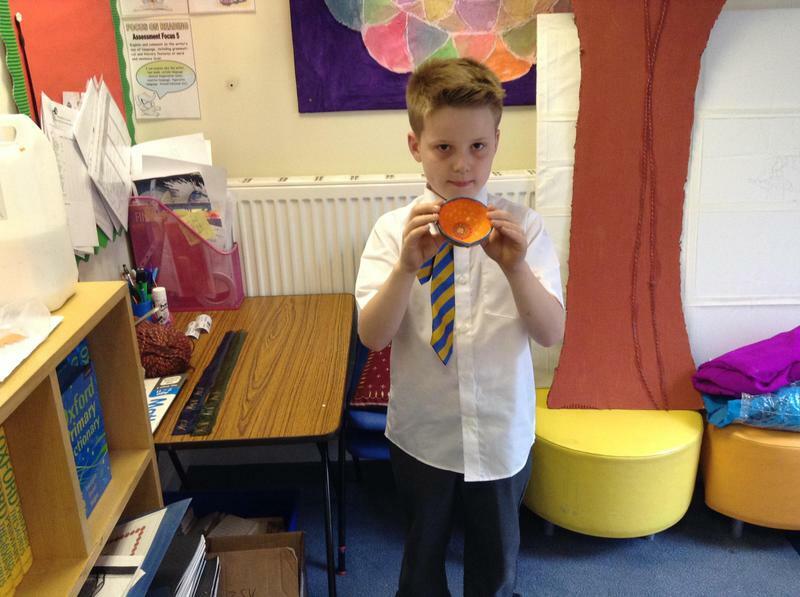 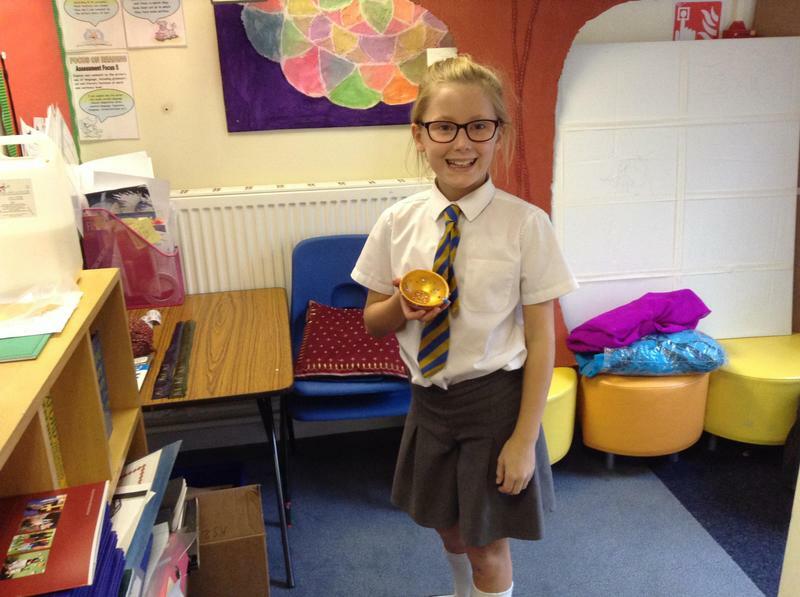 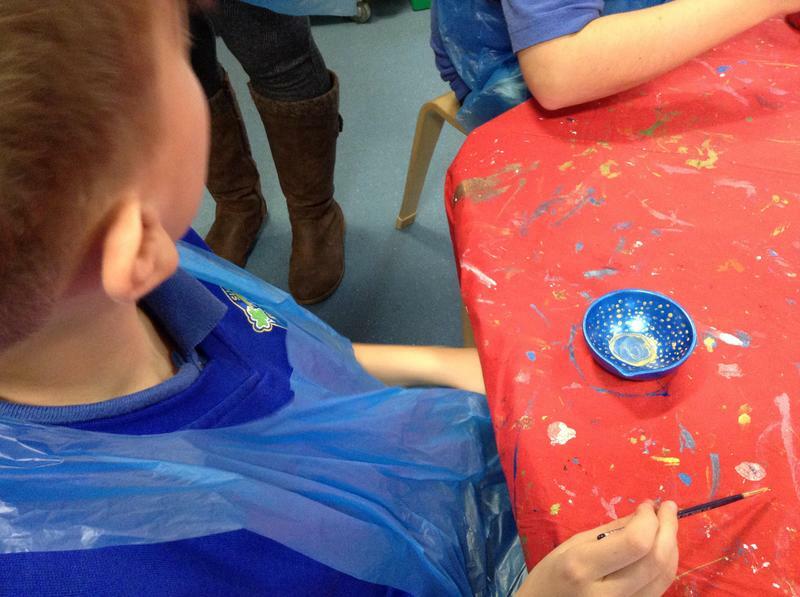 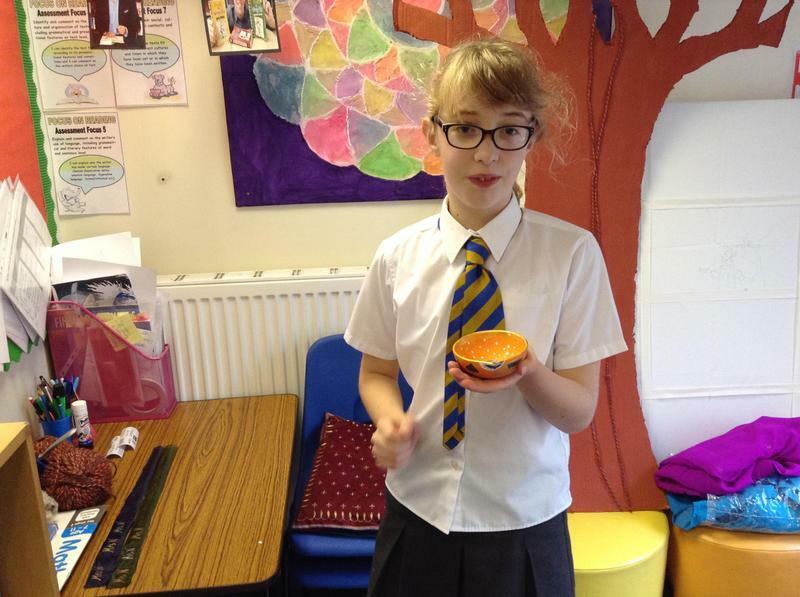 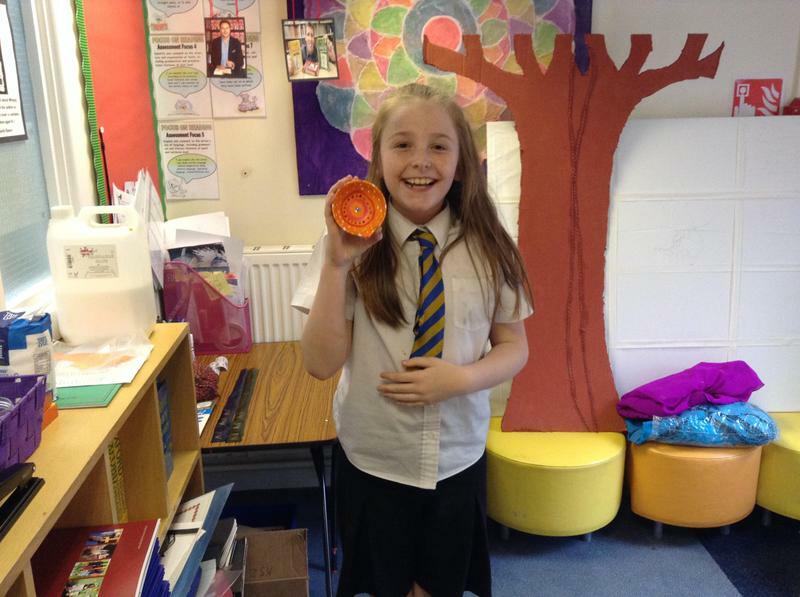 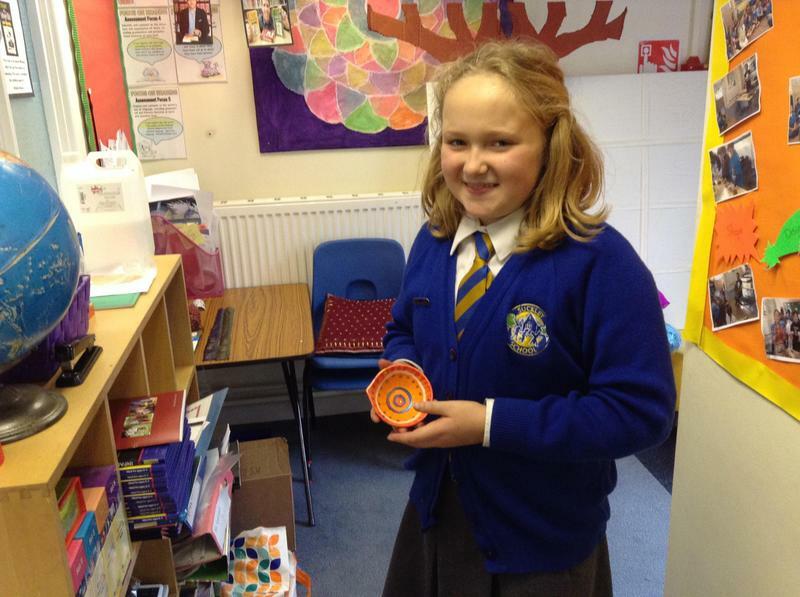 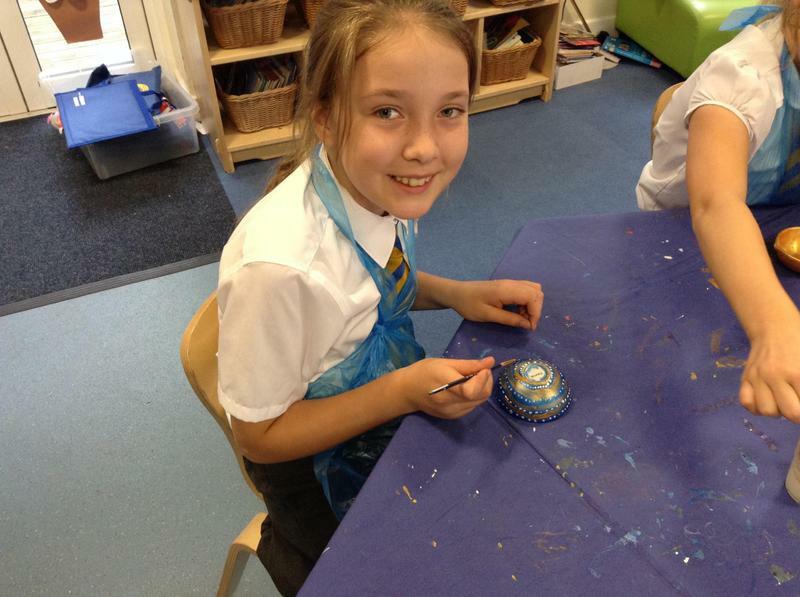 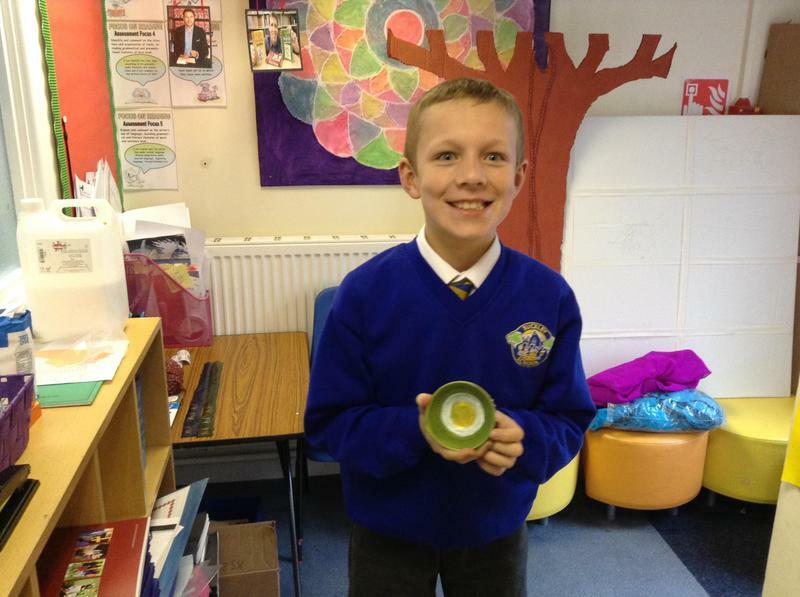 As part of our learning we made Diya Lights. 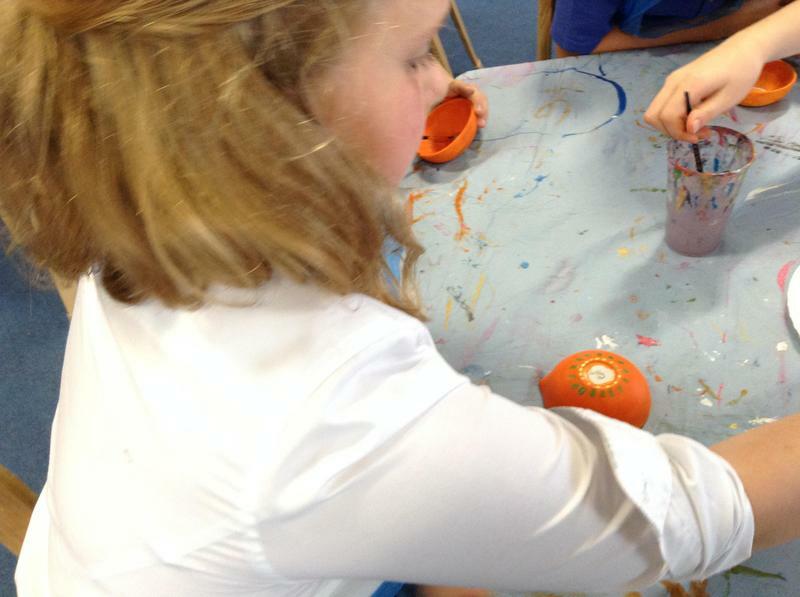 The Diya lights play an important part of this ancient Indian celebration. 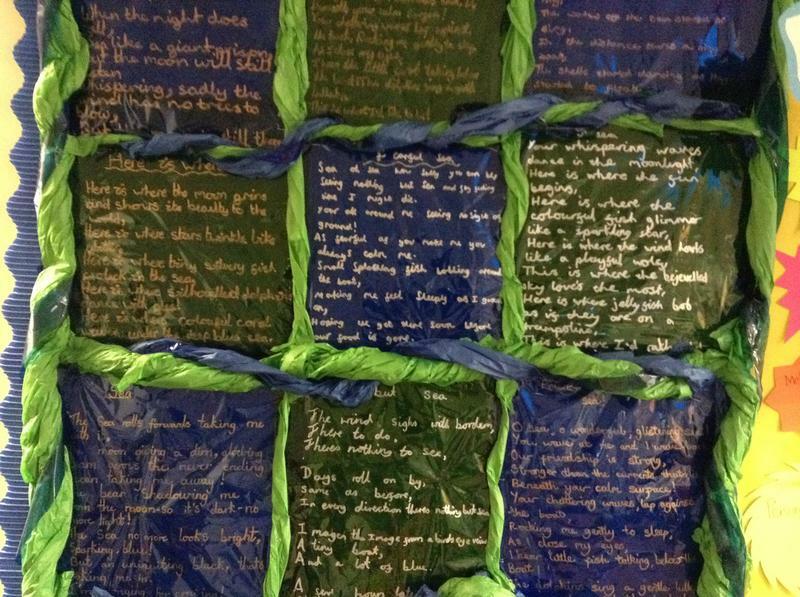 We have also read the story of Rama and Sita, which explains that good will always conquer over evil; truth over ignorance and light over darkness. 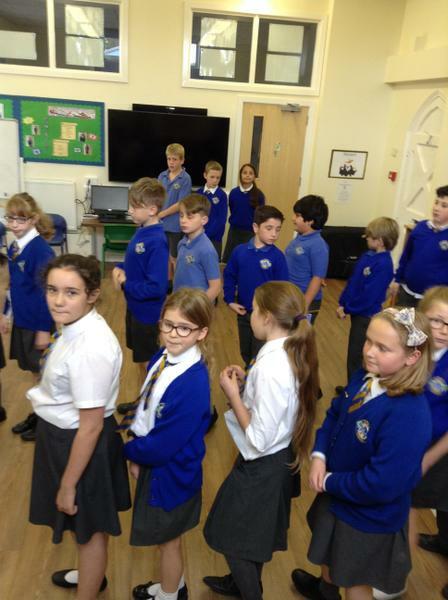 To complete the day the children performed an Indian Dance. 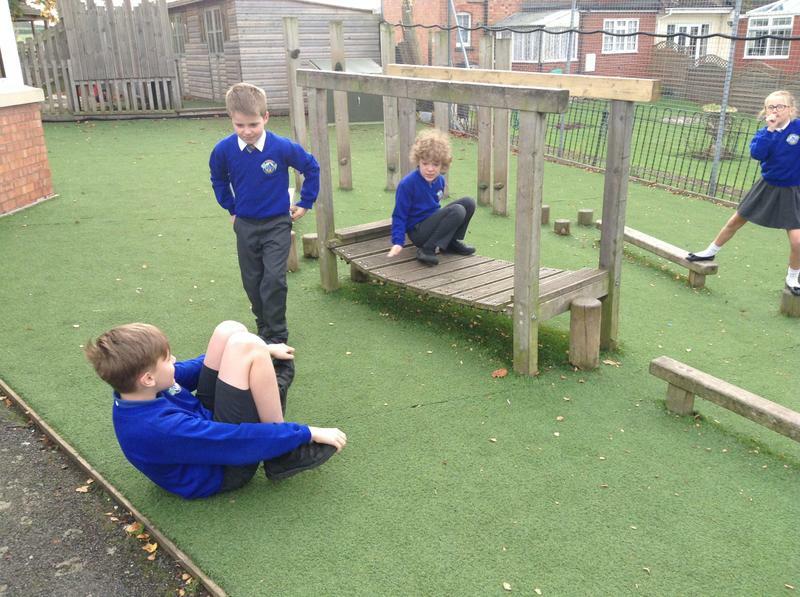 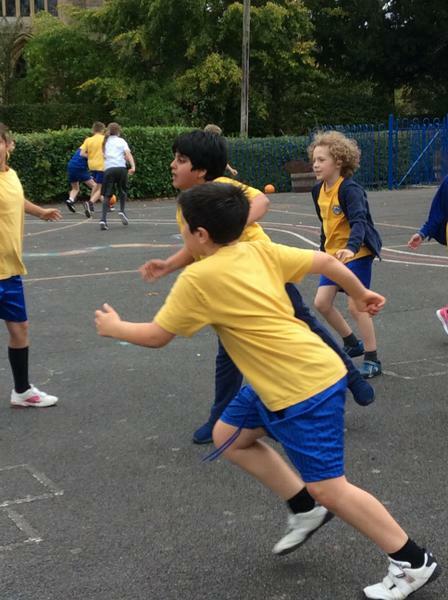 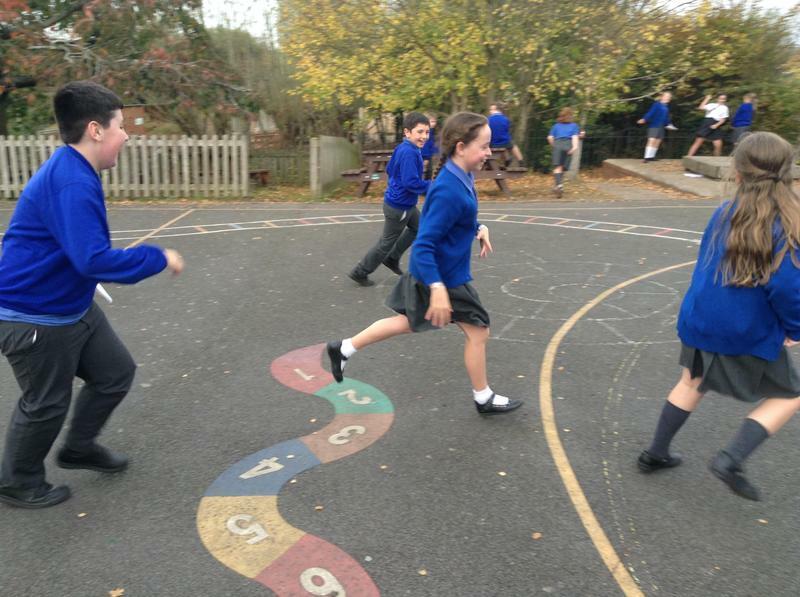 Eagles Class enjoyed an amazing challenging cross country event on Friday. 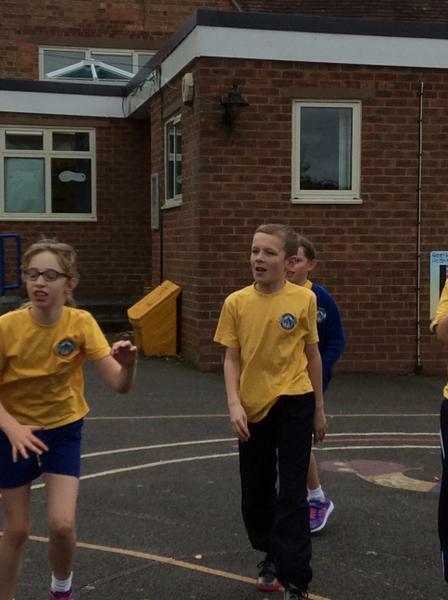 All the children participated and did exceptionally well and beat their personal best times! 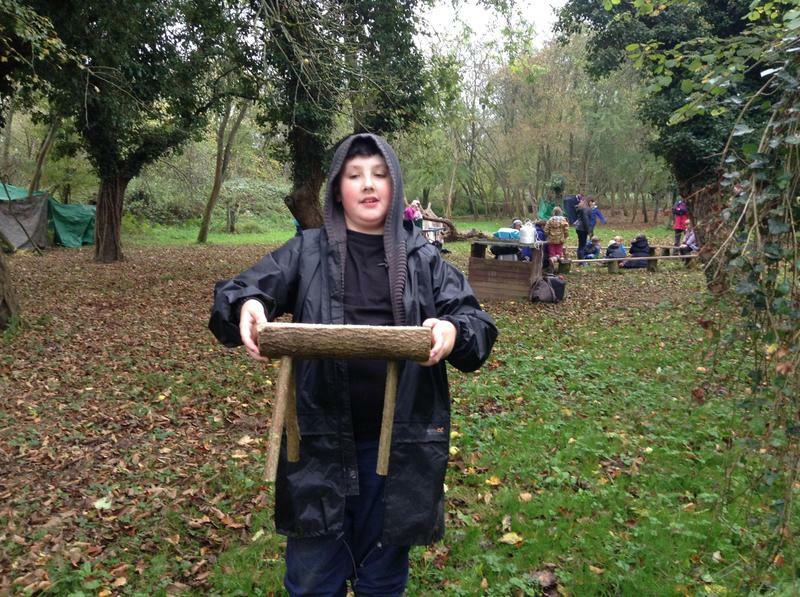 A great triumph .... Well done to everyone ........ A super day ! 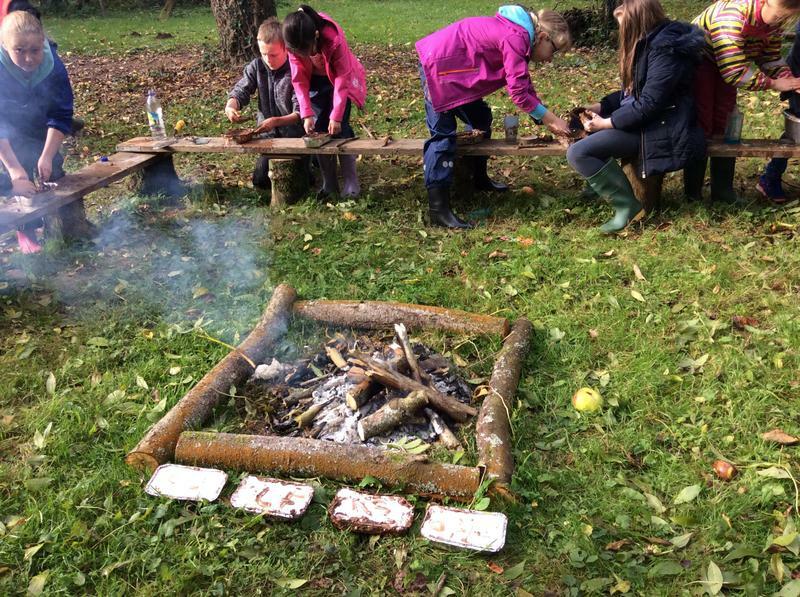 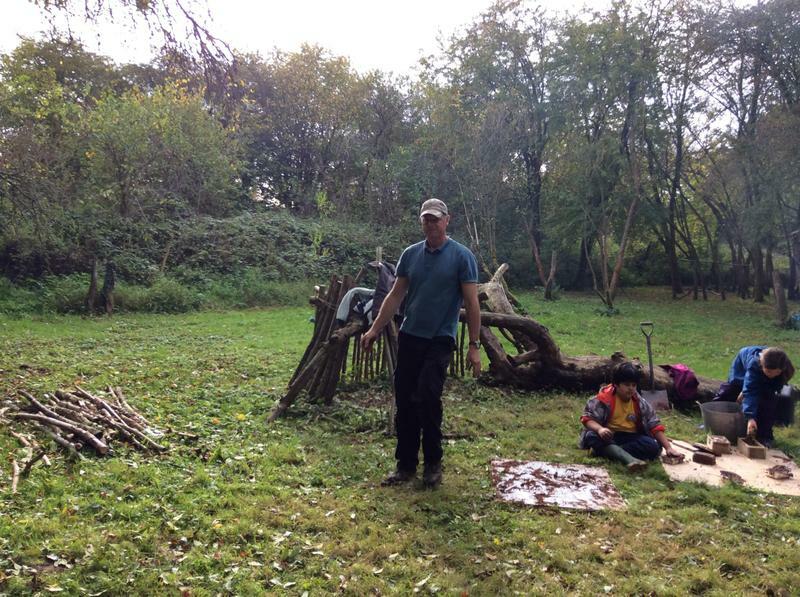 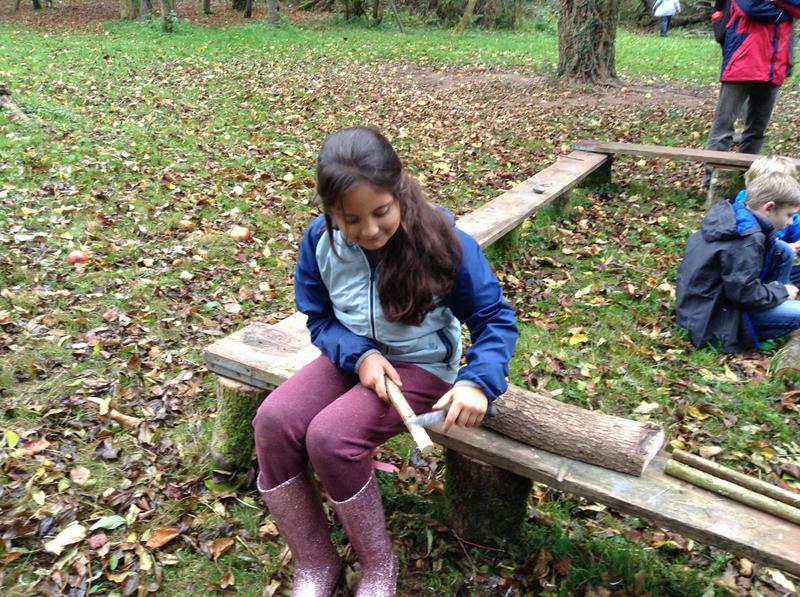 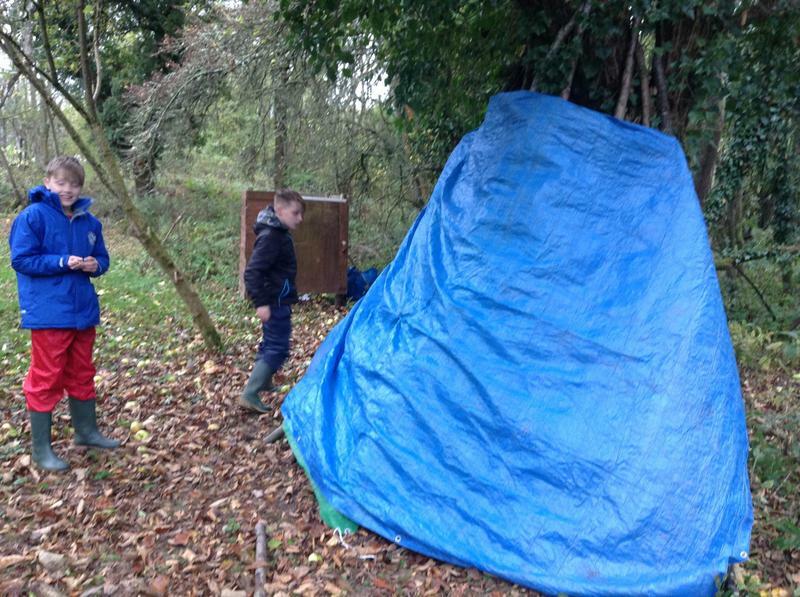 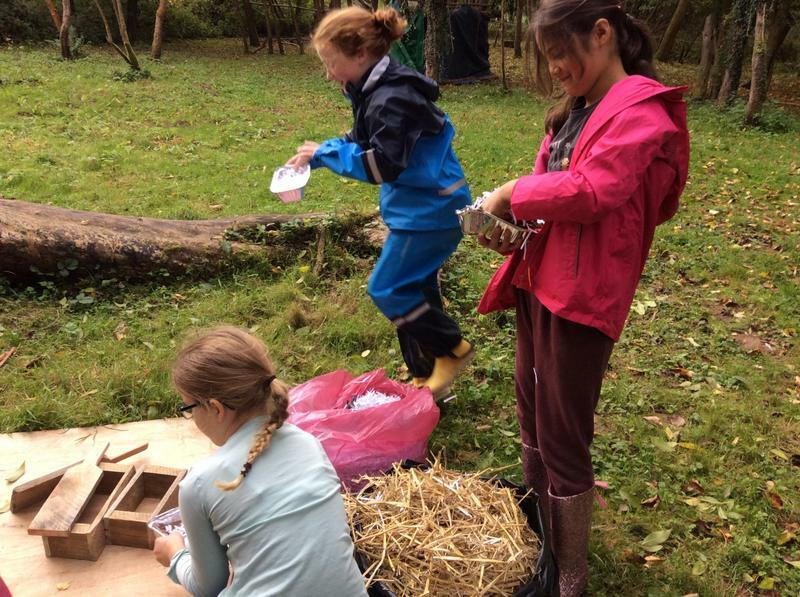 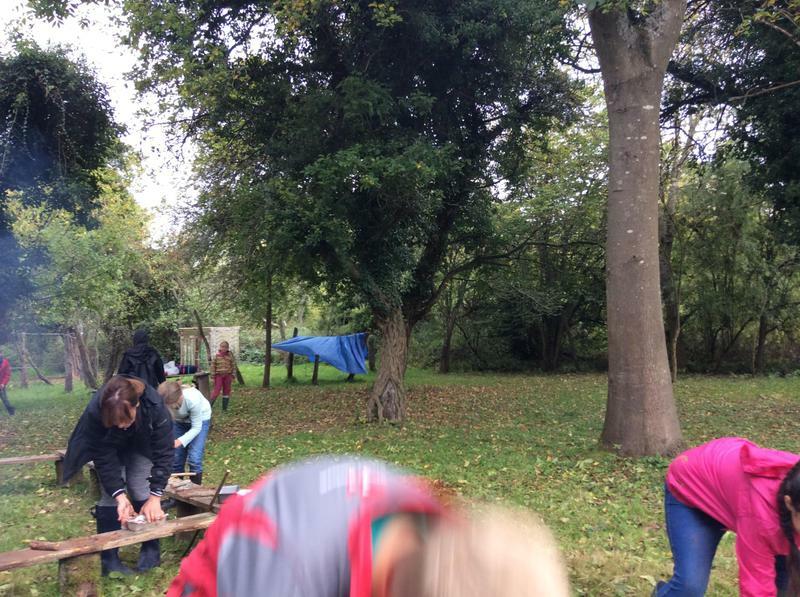 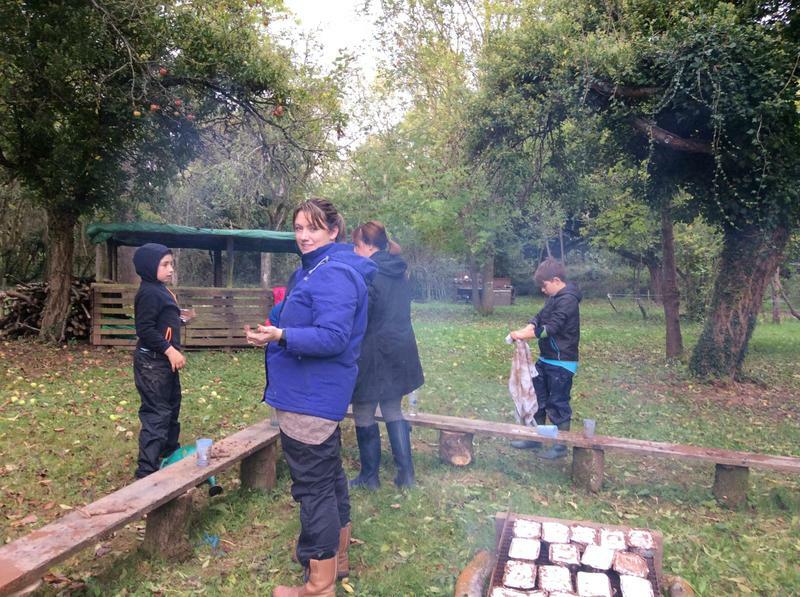 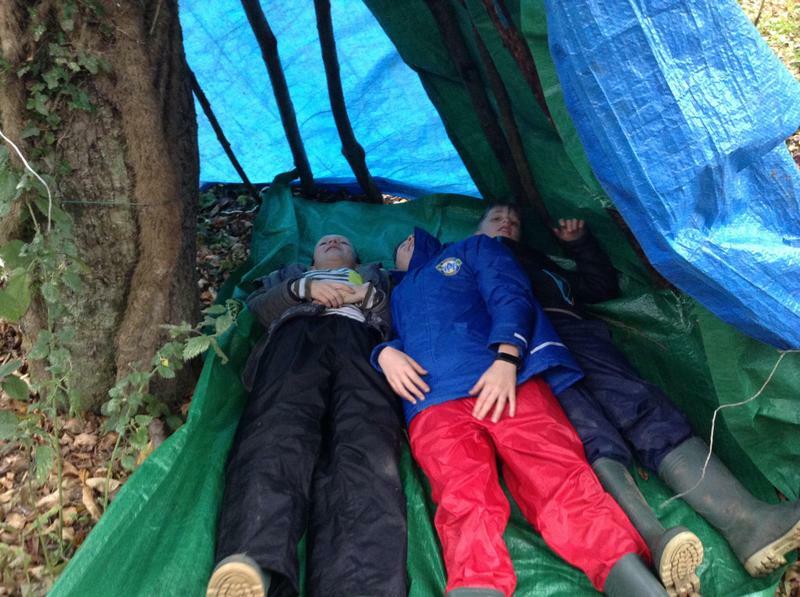 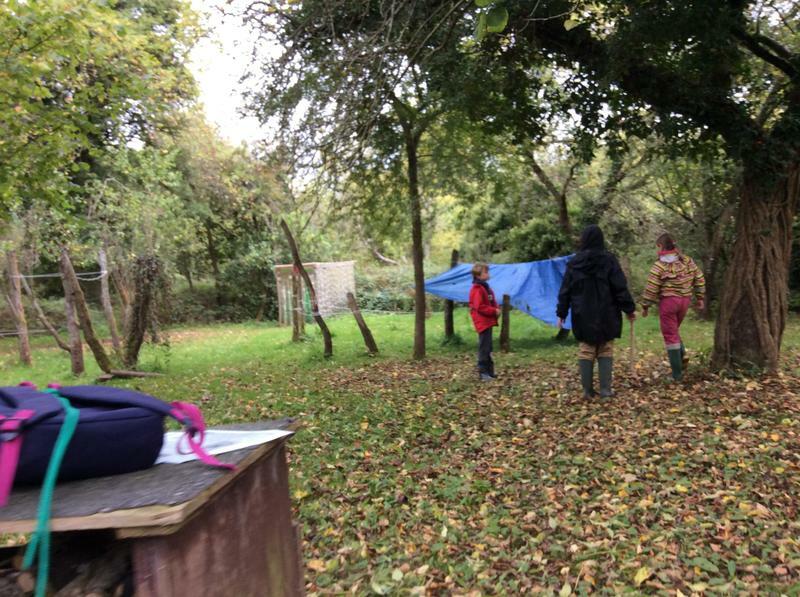 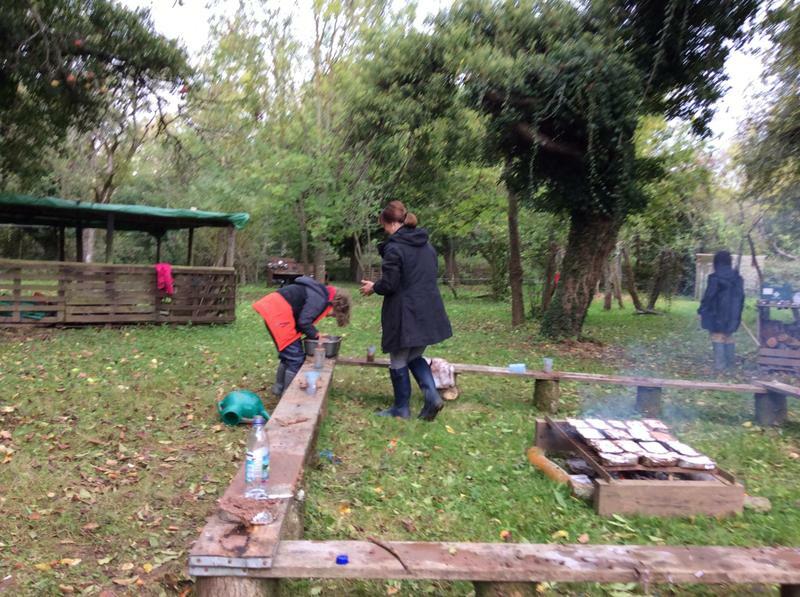 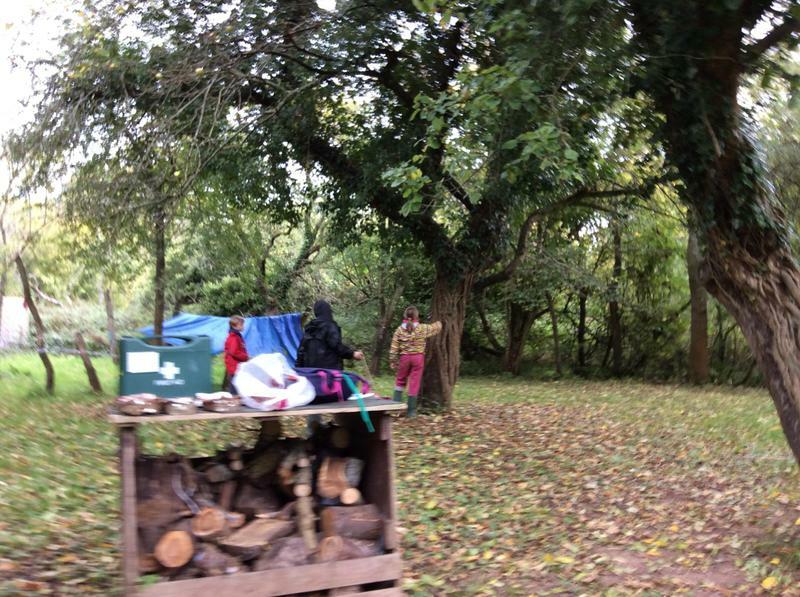 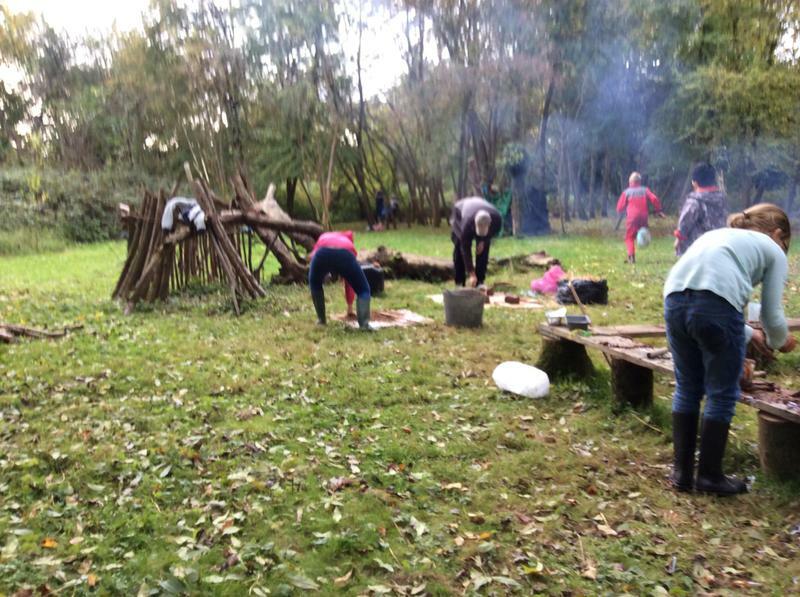 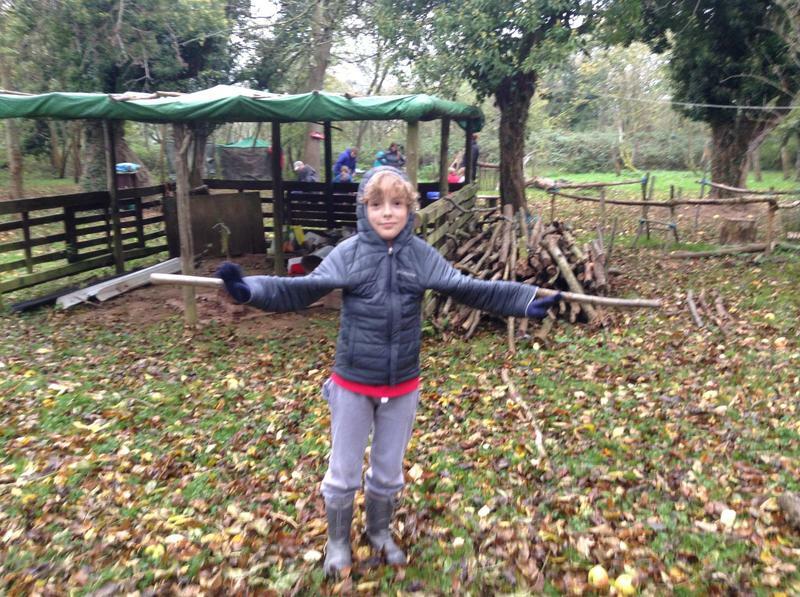 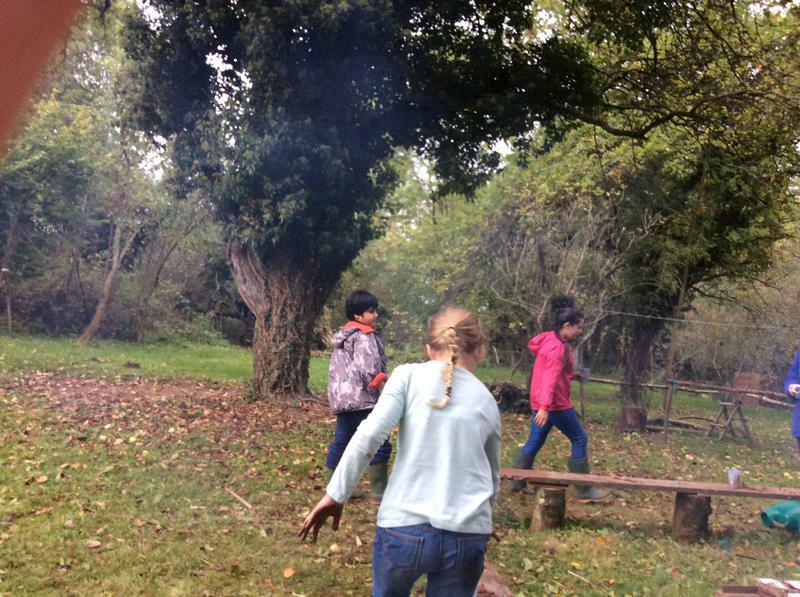 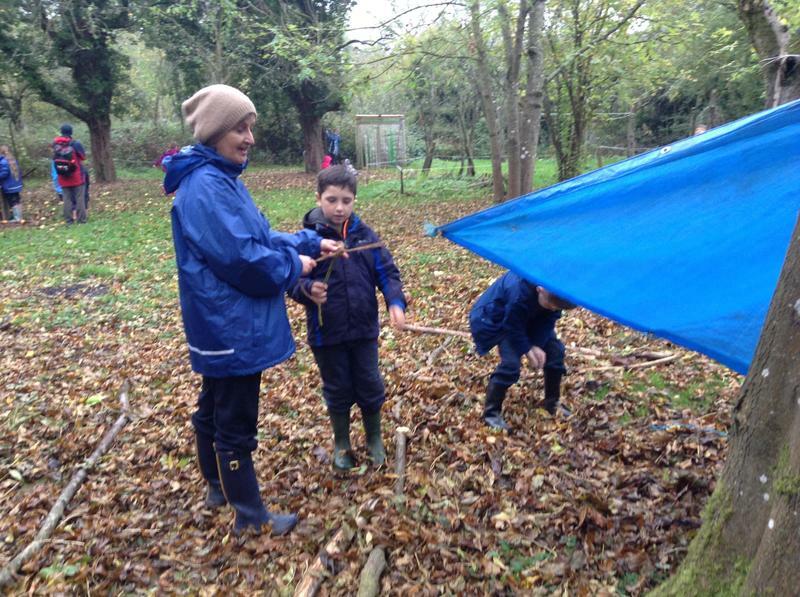 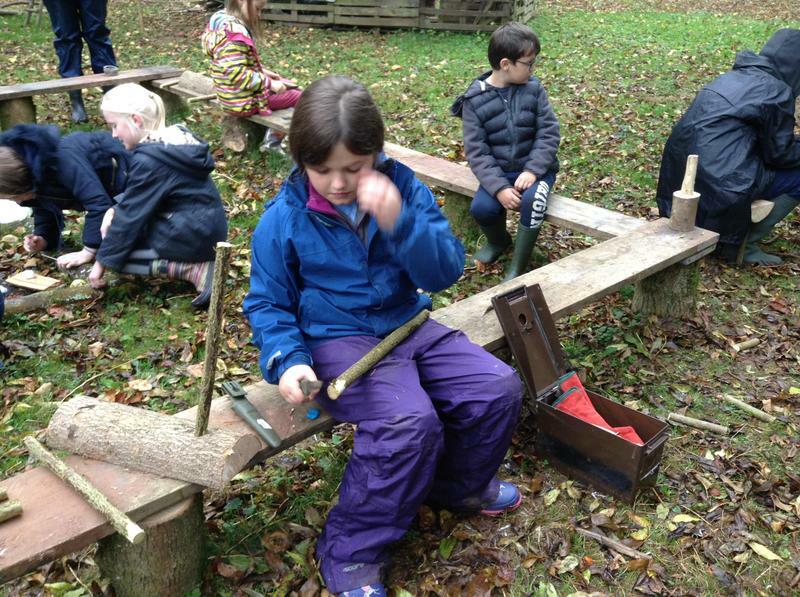 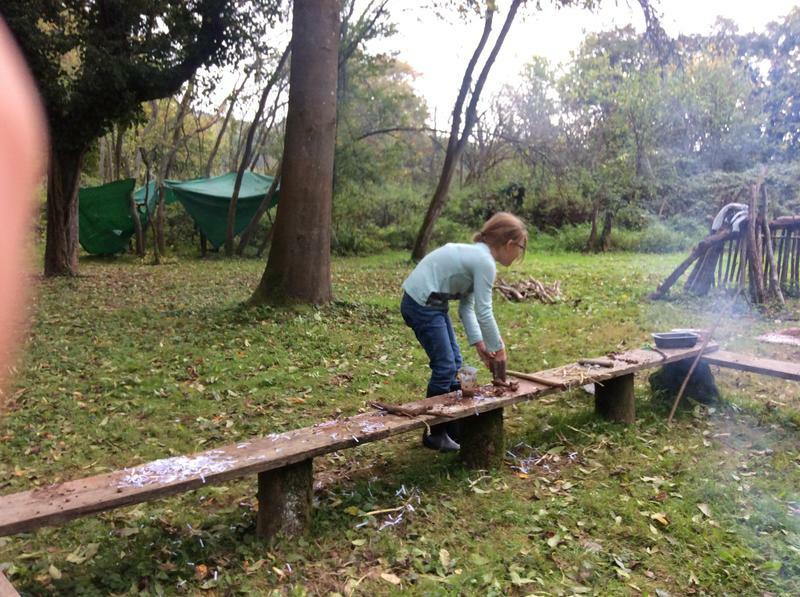 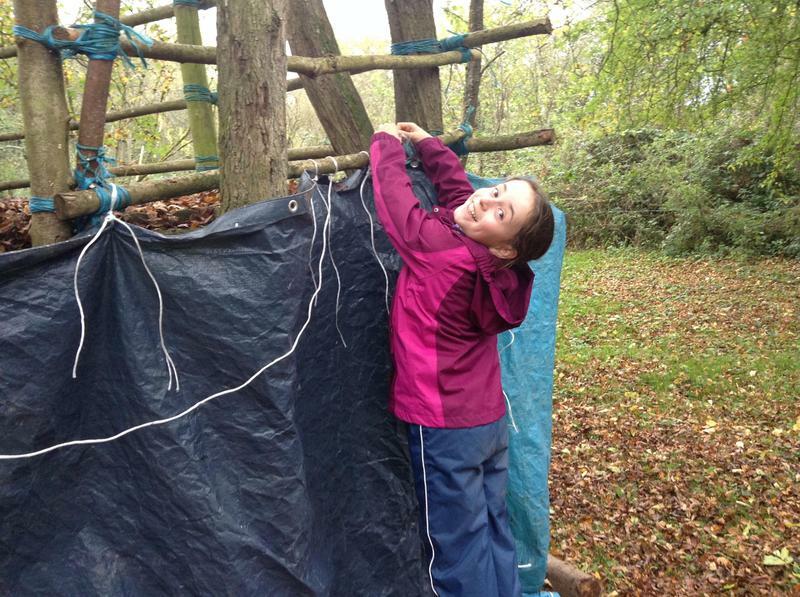 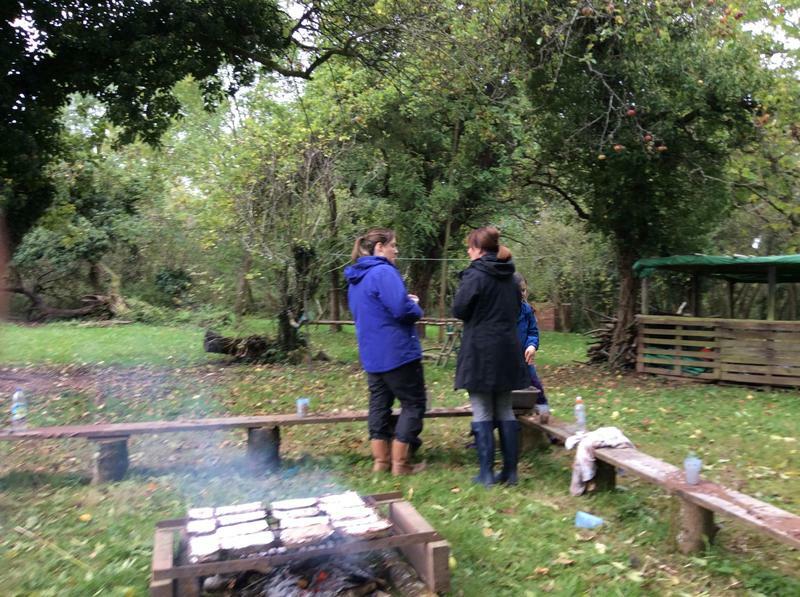 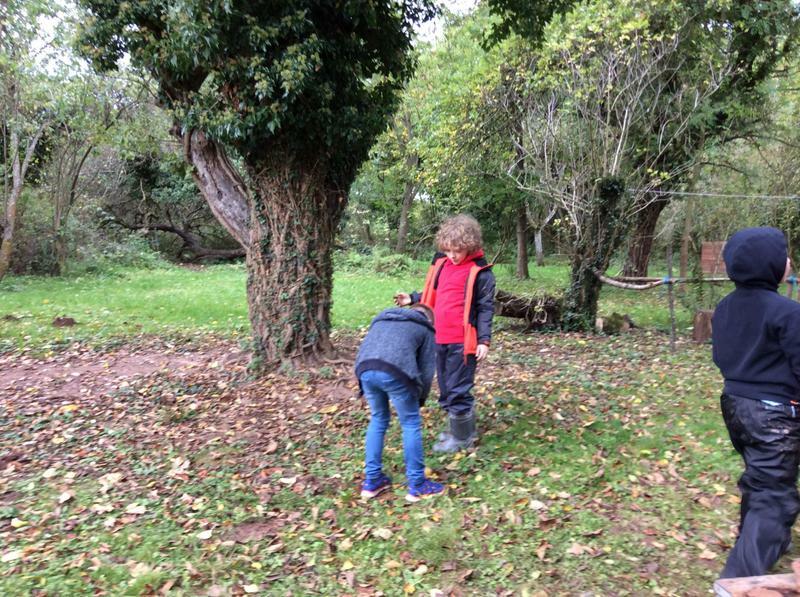 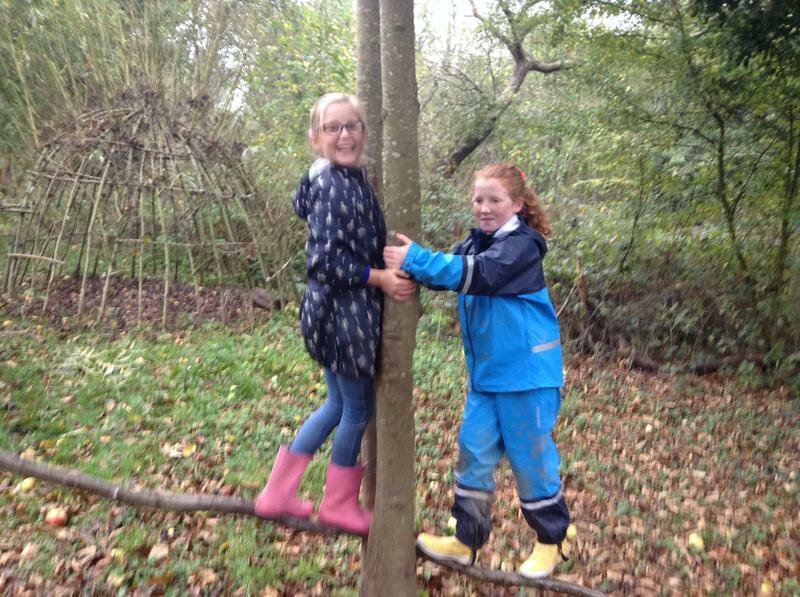 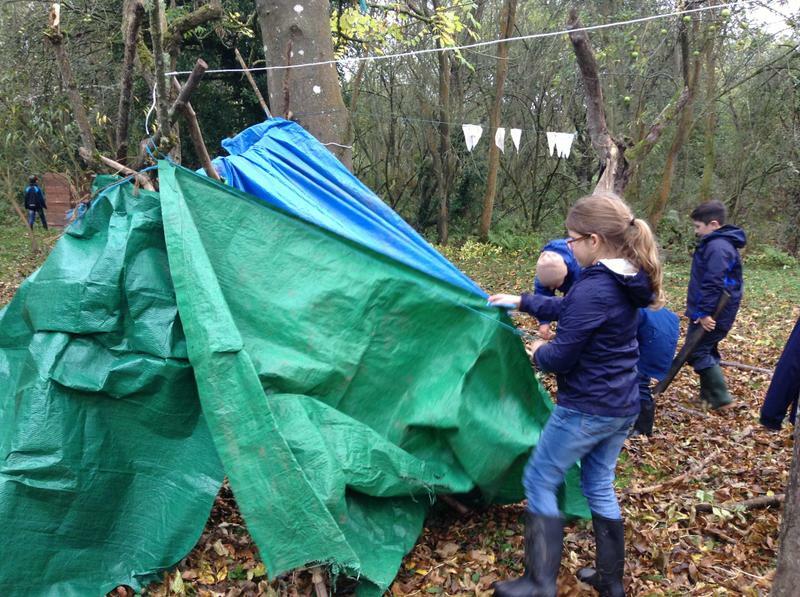 Today in Forest School the children had fun building dens, making stools by whittling , cooking, completing our brick wall and lighting fires. 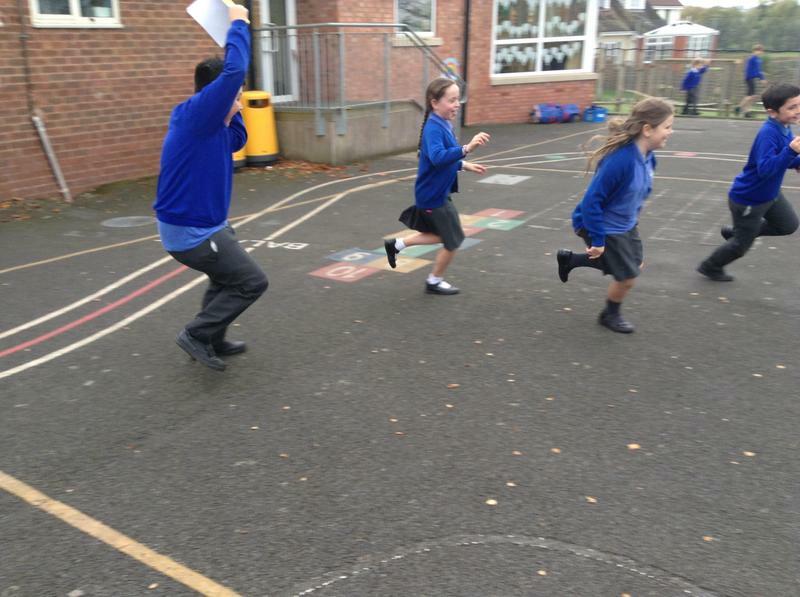 If you look closely you will even see our Head teacher joining in!!! 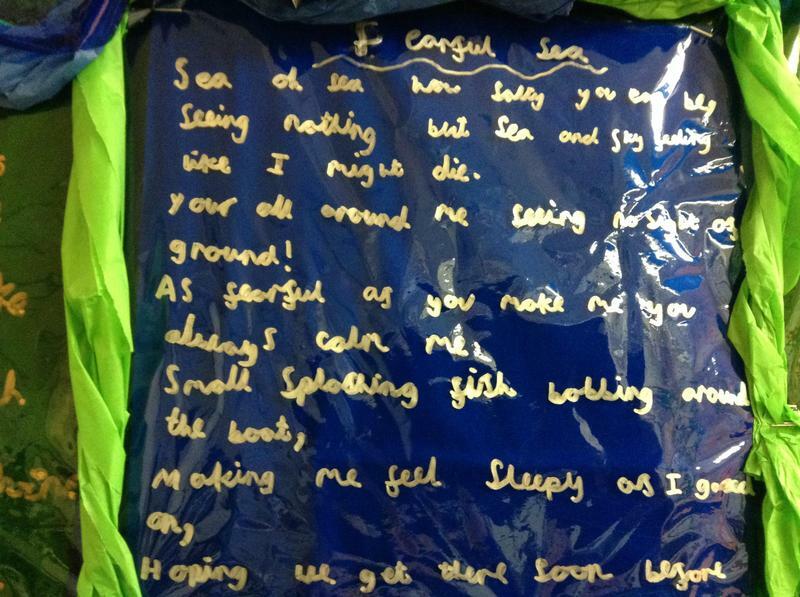 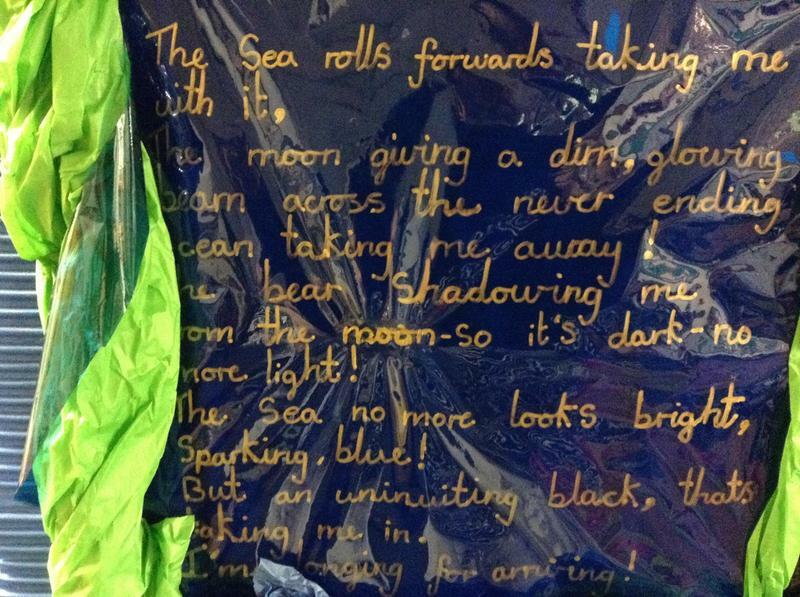 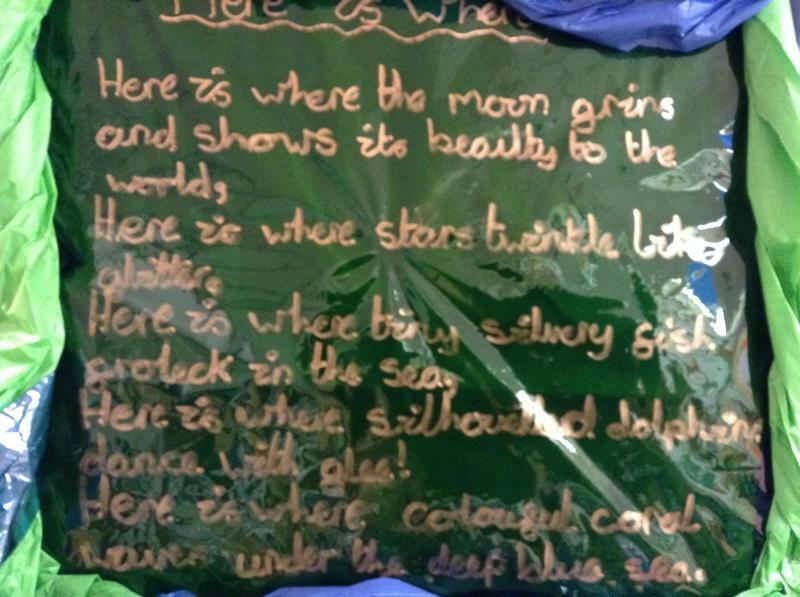 This half term we have been reading a book called 'A Boy and a Bear in a Boat' by Dave Shelton, which has truly inspired the children to write some beautiful poetry, ghost stories, letters and narratives. 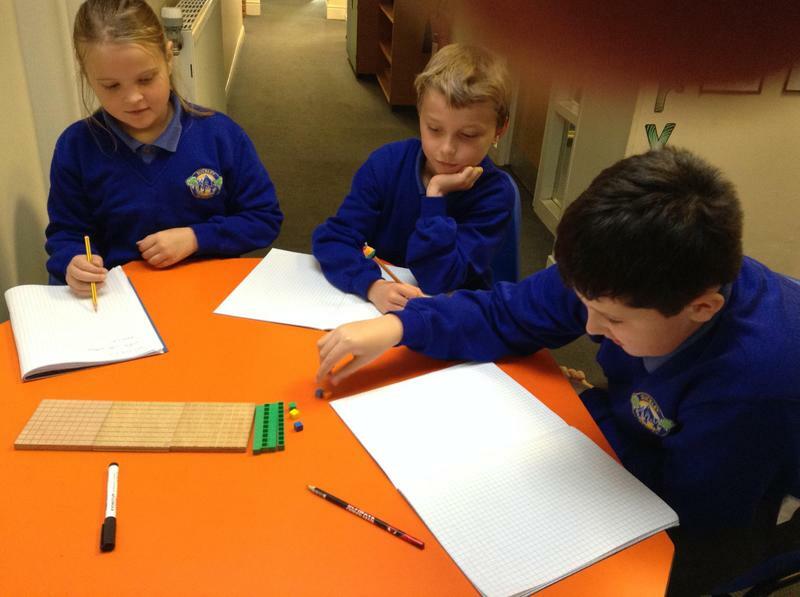 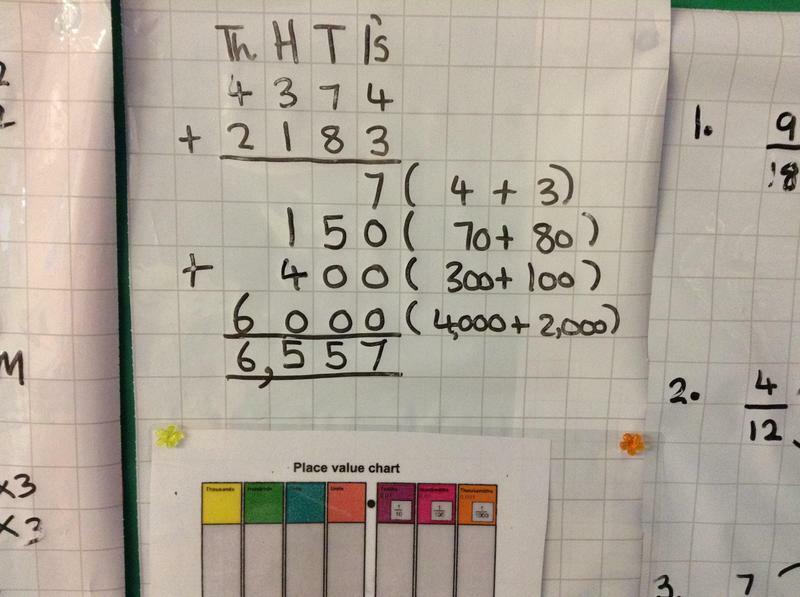 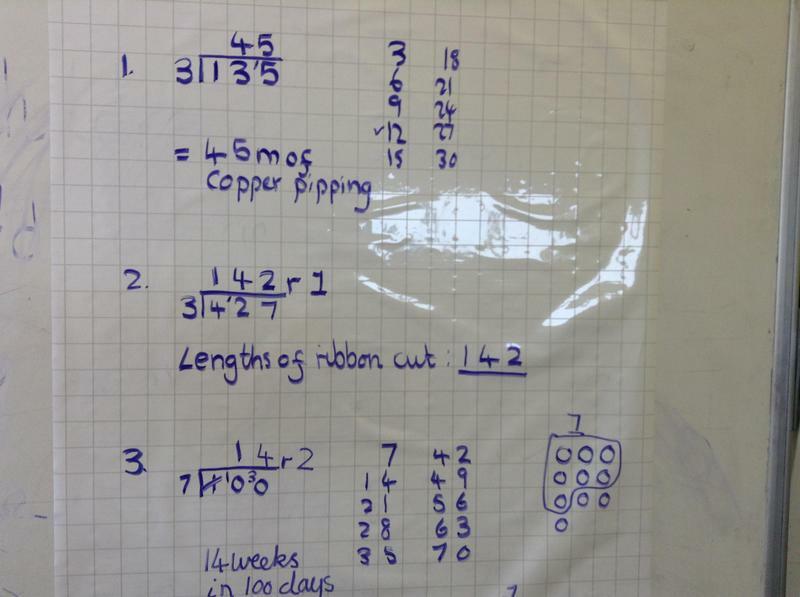 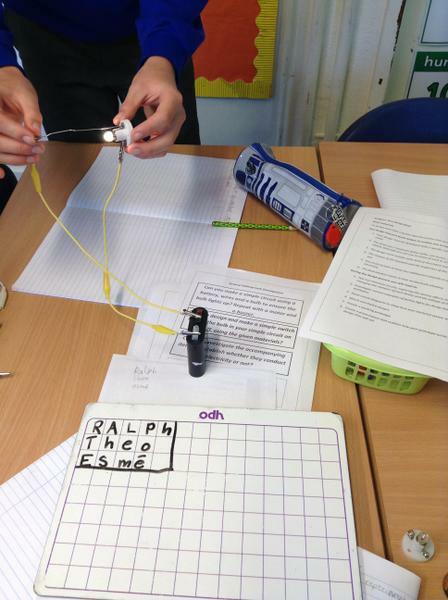 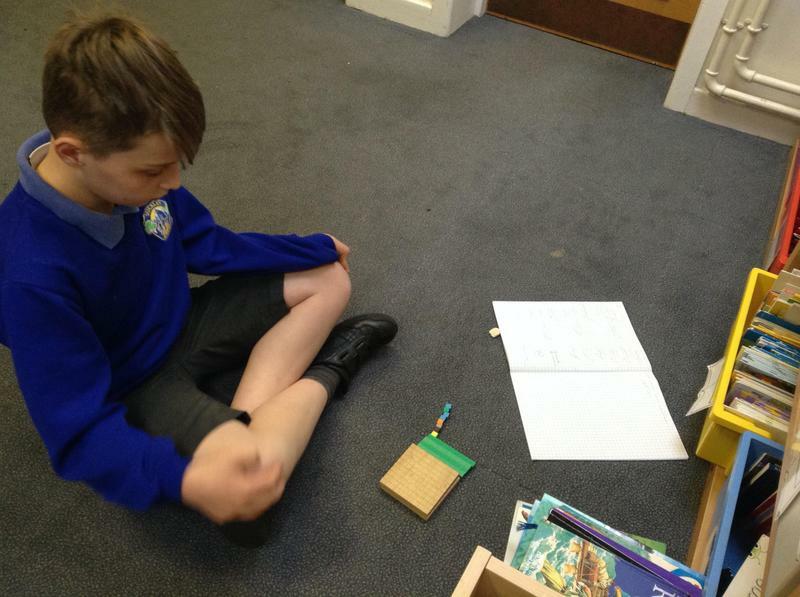 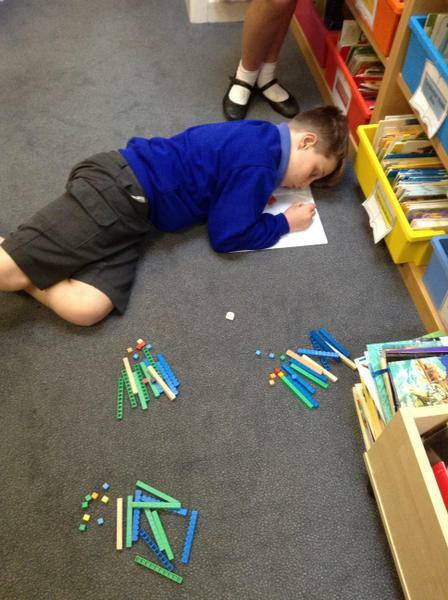 They have also been working very diligently securing their place value and decimals.